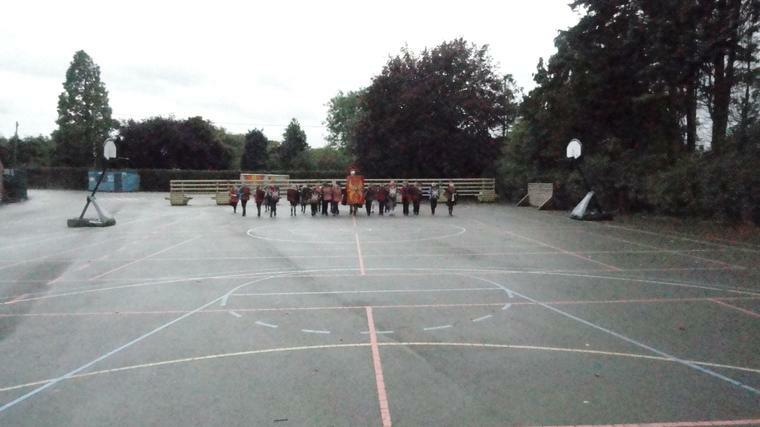 Welcome to the Dolphins and Koalas! 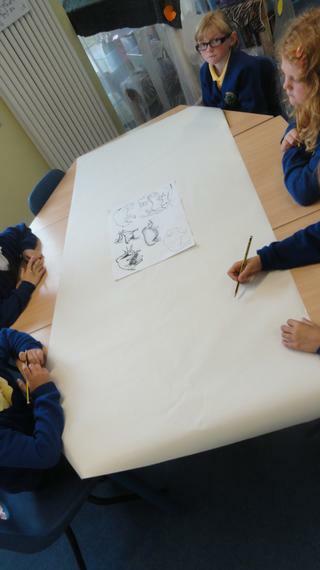 Mrs Morning and Mrs Marshall will be filling this page with exciting class news, pictures of things we’ve done and more. 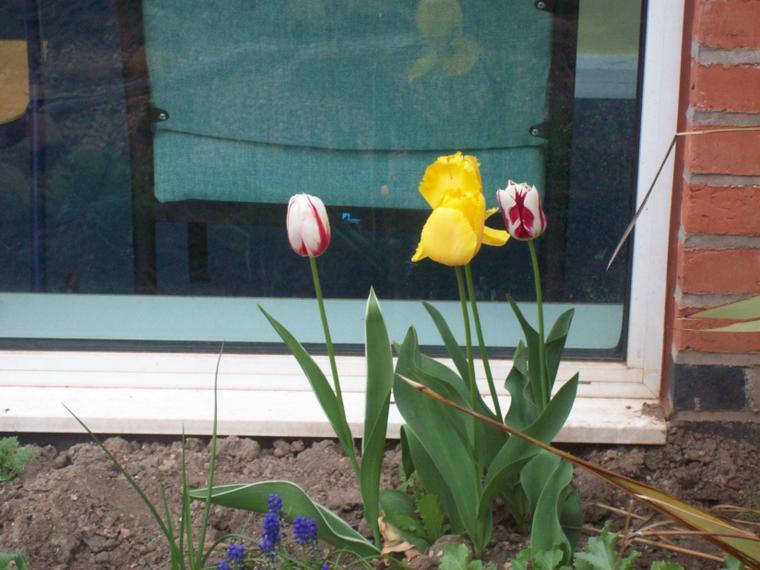 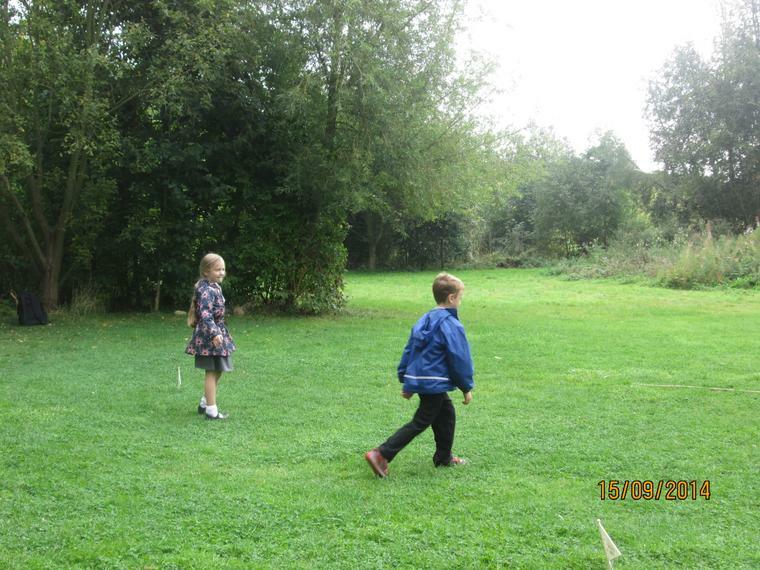 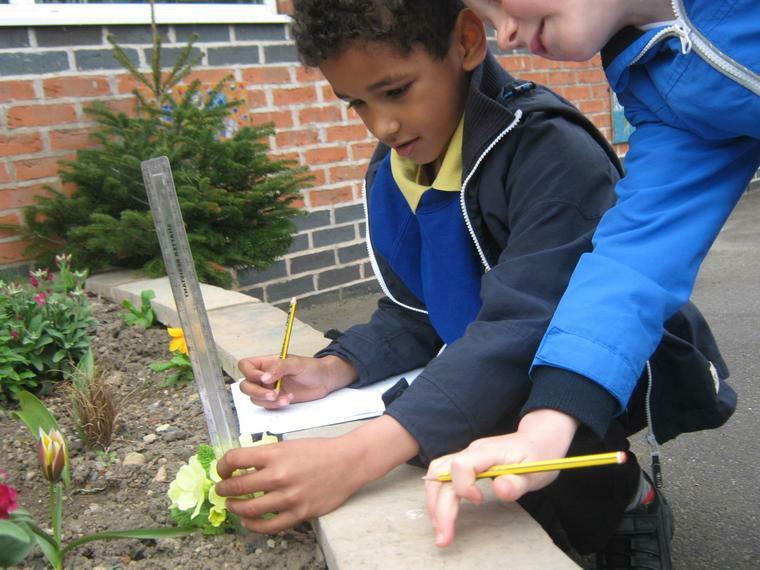 We are starting our new topic by looking at light and shadows, moving on to plants and flowers. 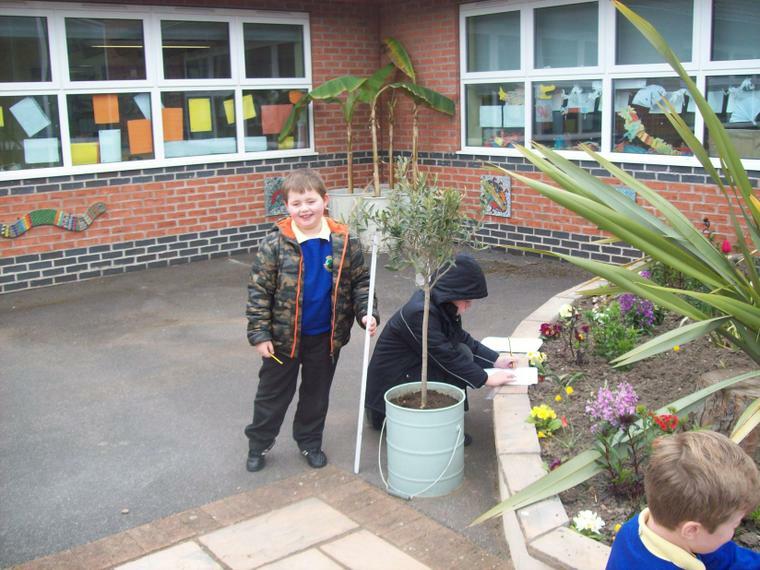 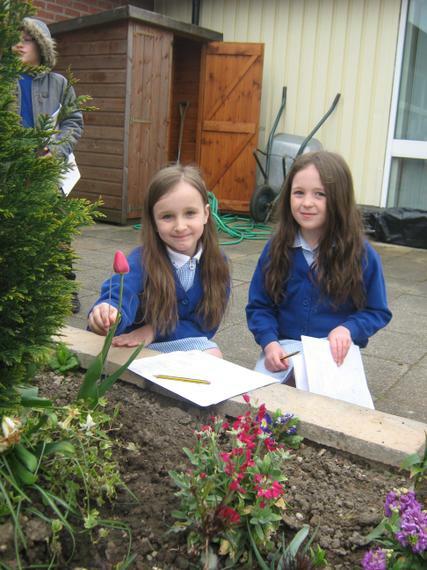 Bring in your flower home learning for us to display. 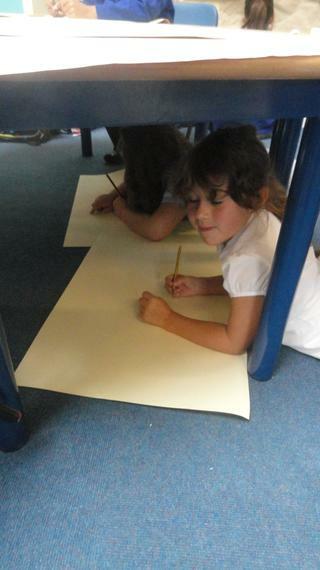 We've already had some super work! 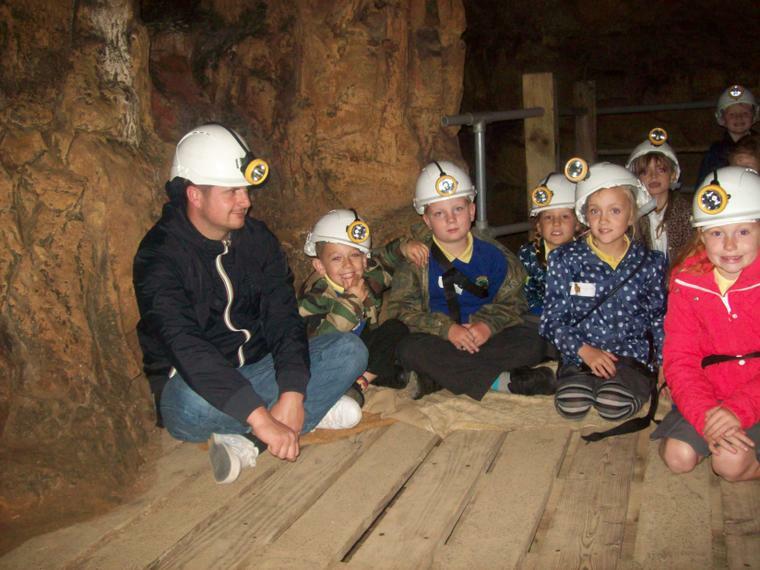 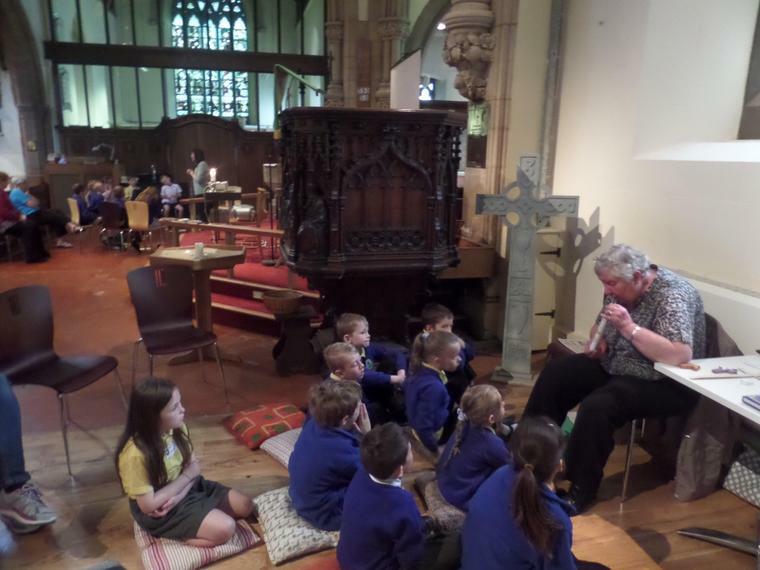 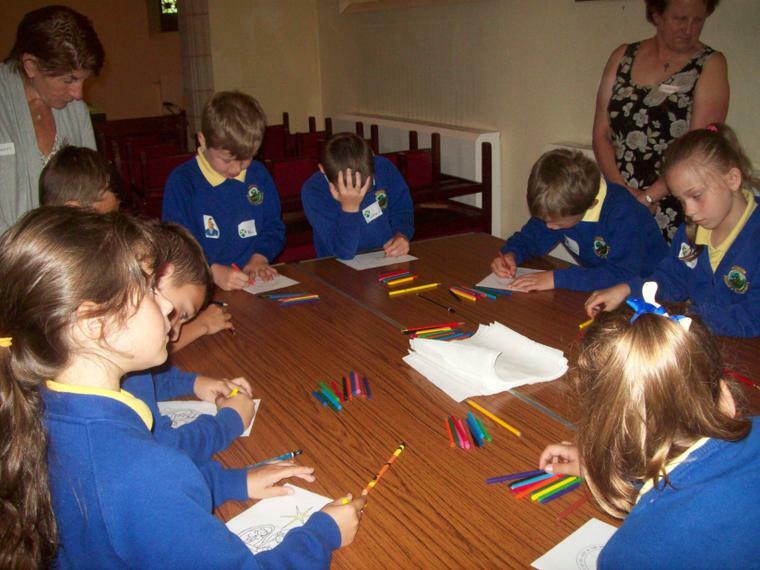 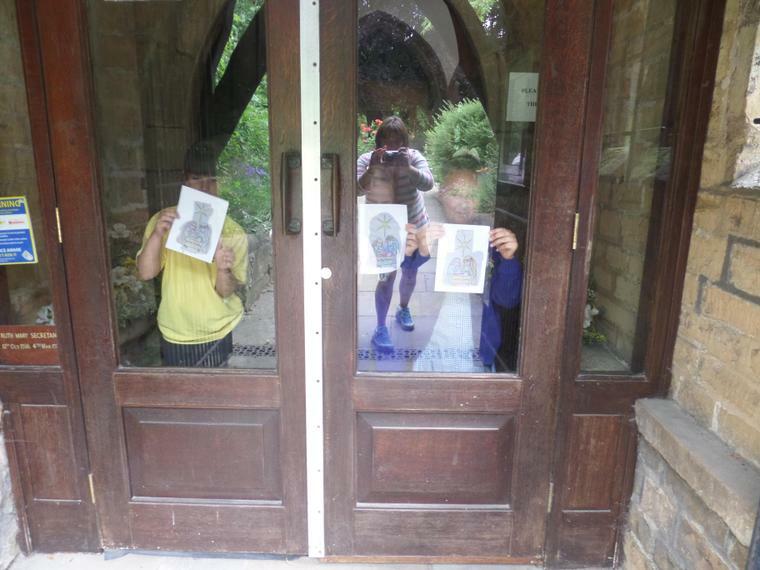 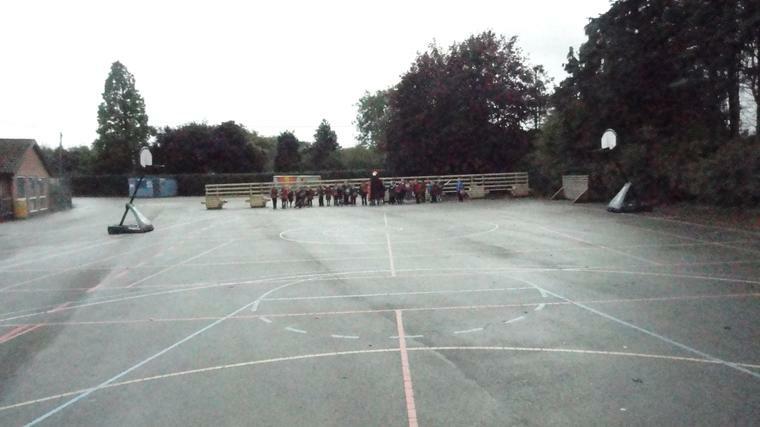 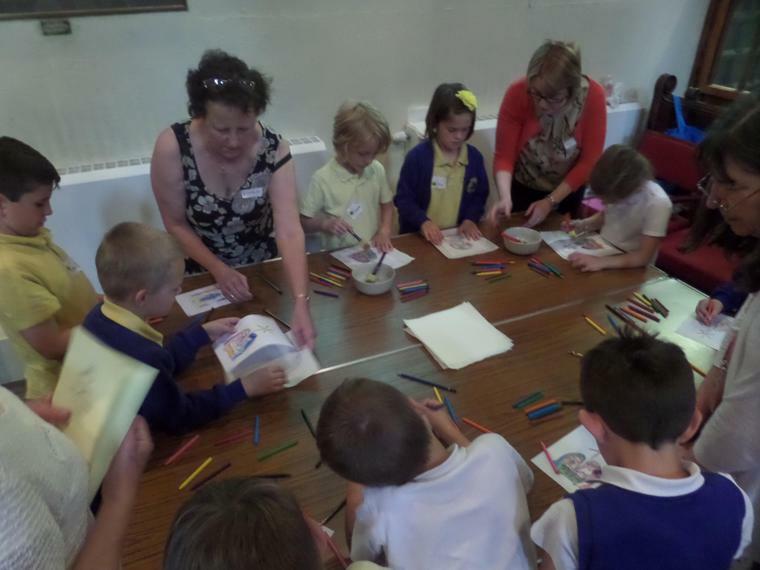 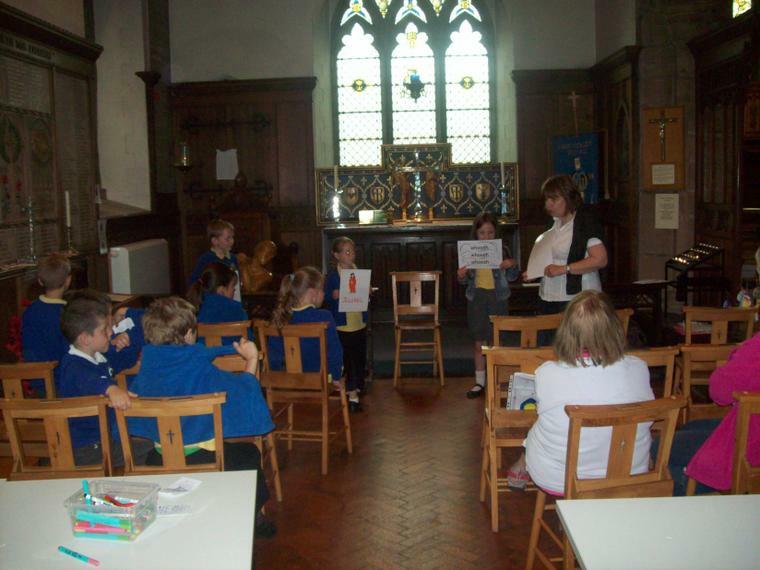 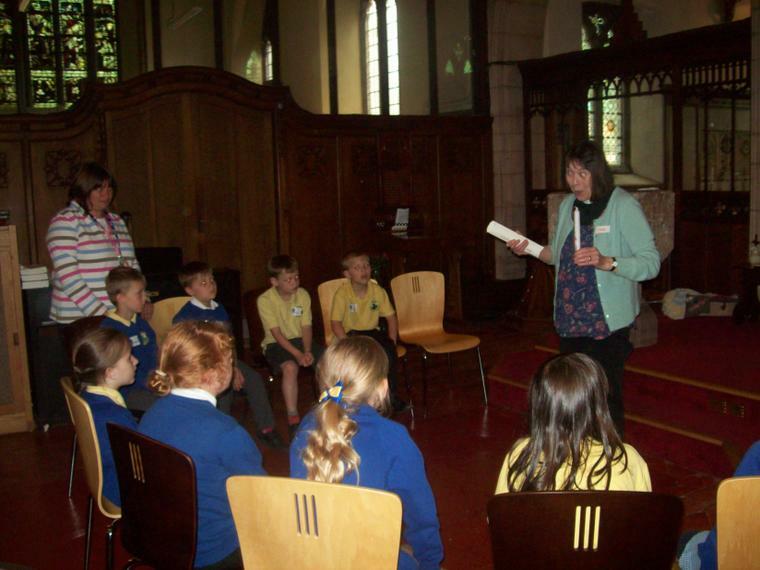 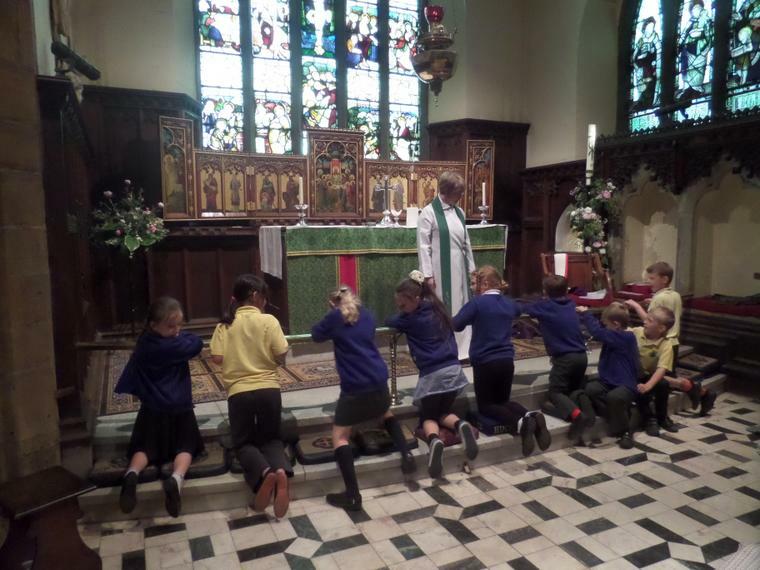 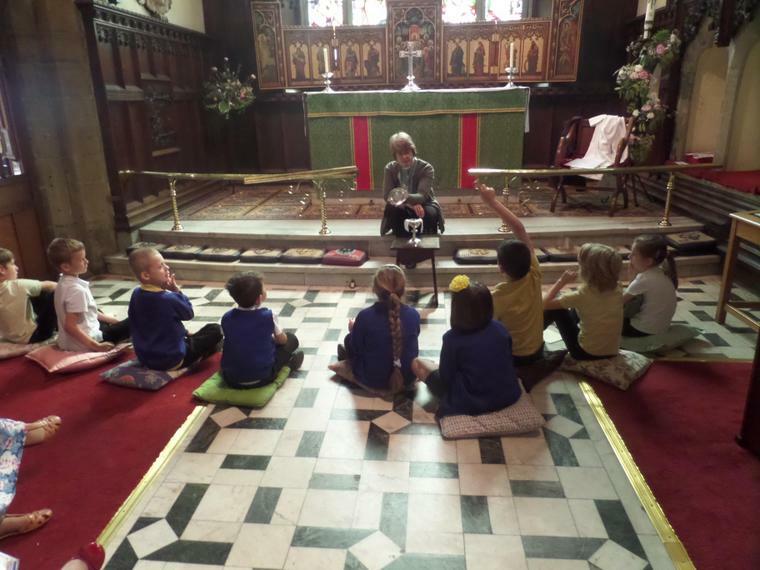 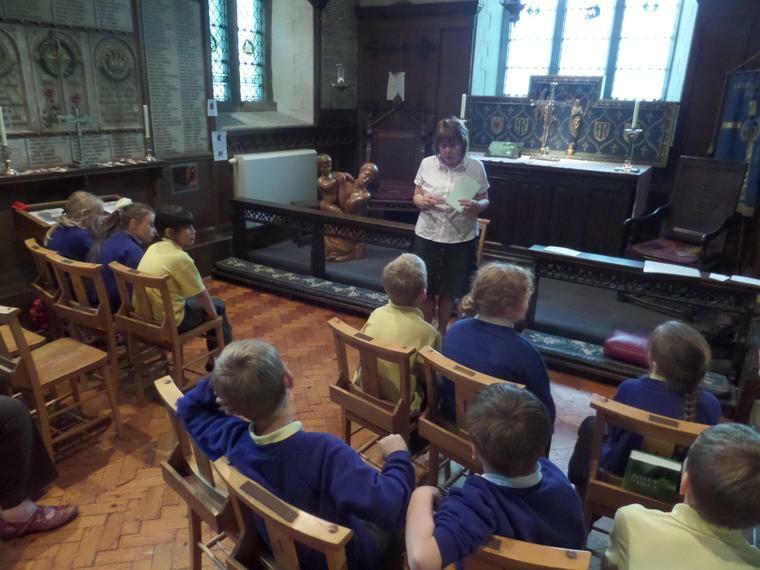 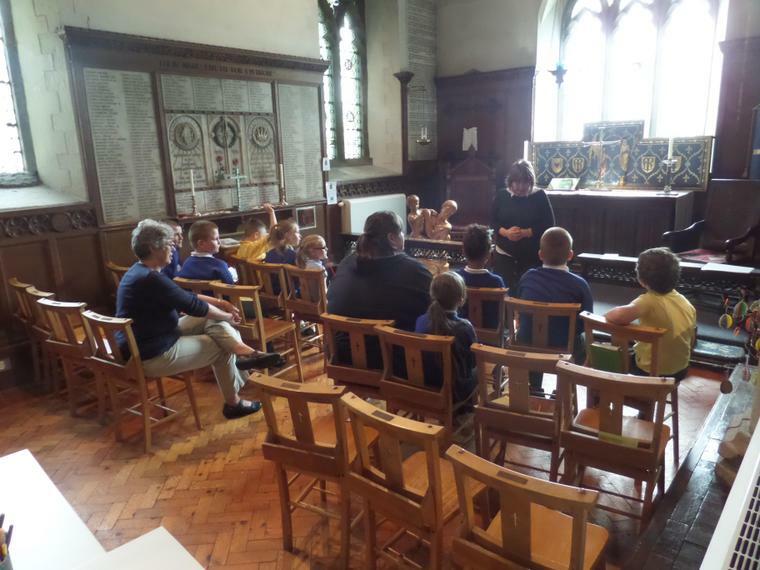 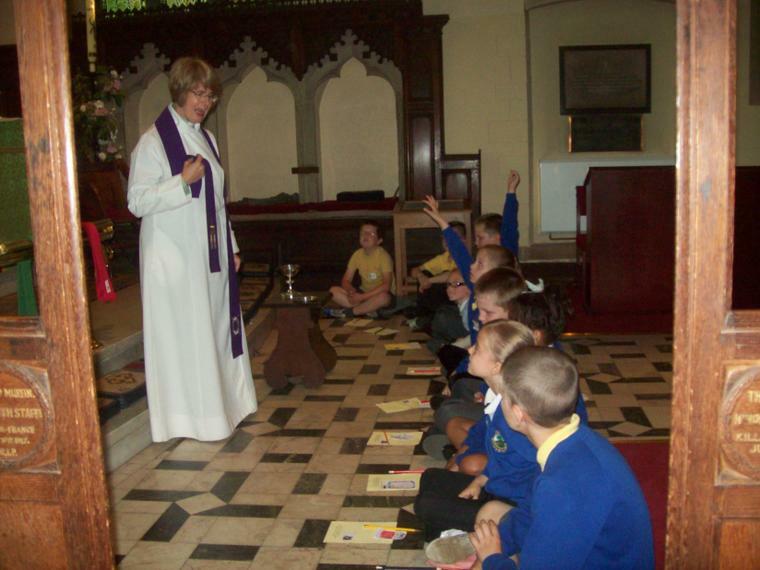 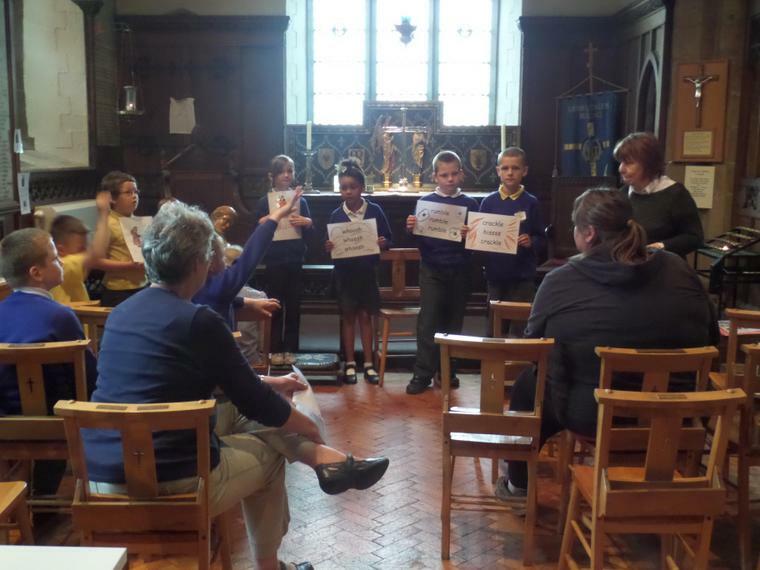 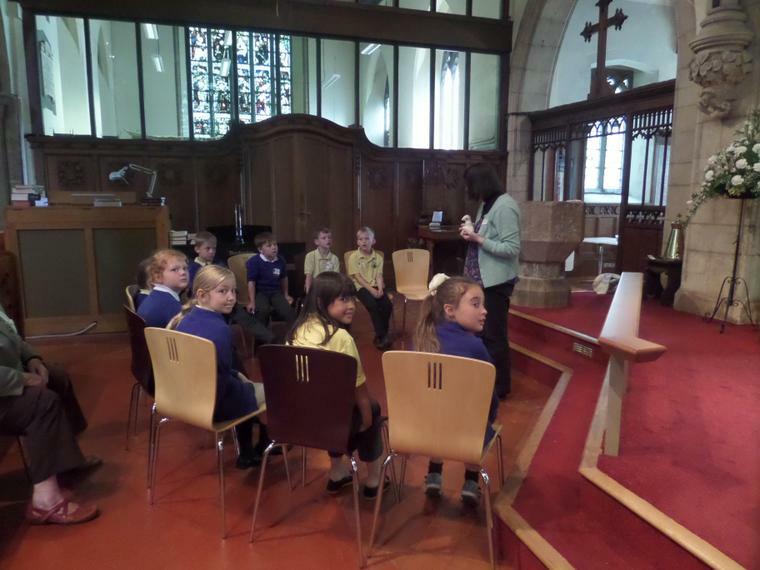 26.6.15 We went Time Travelling at St.Mary's! 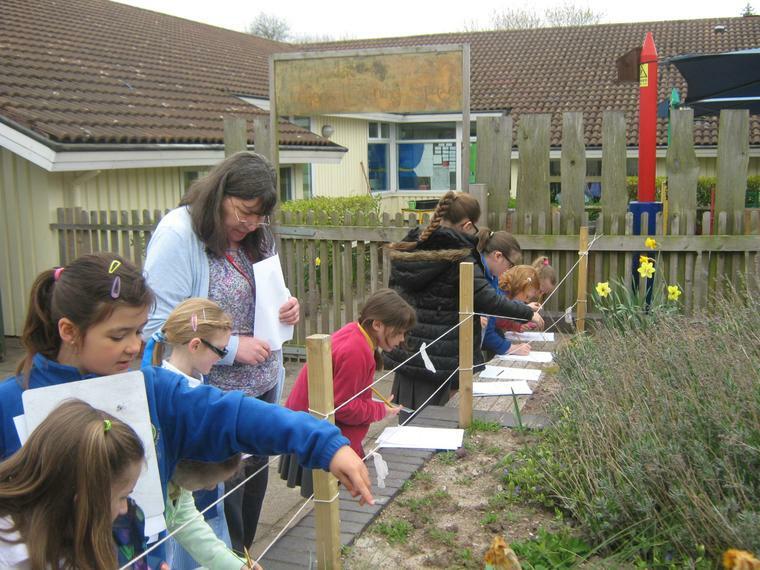 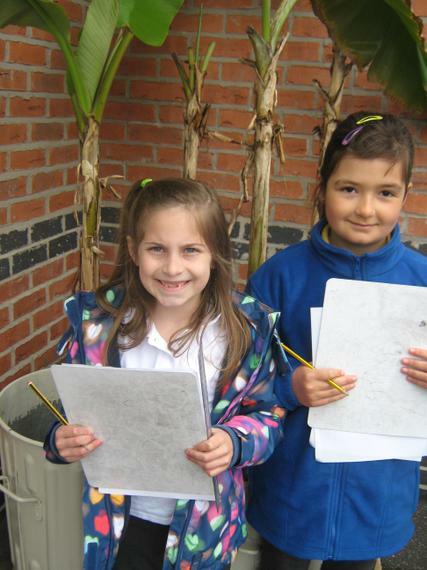 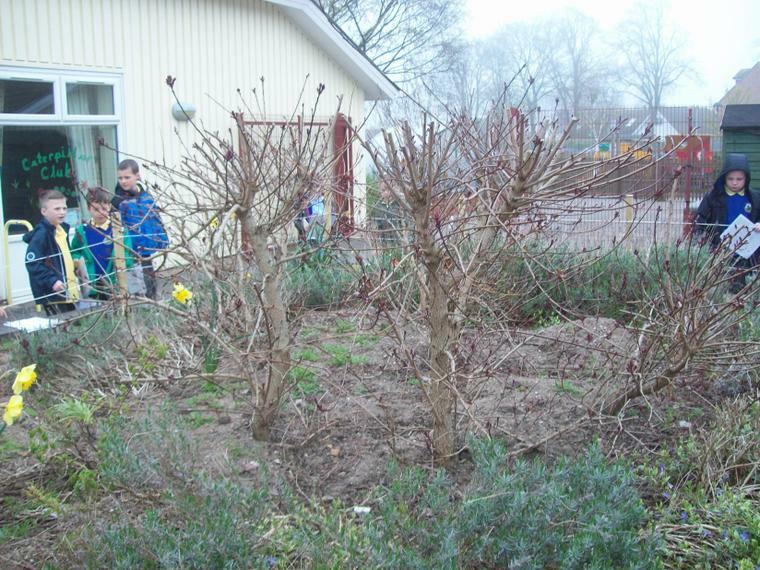 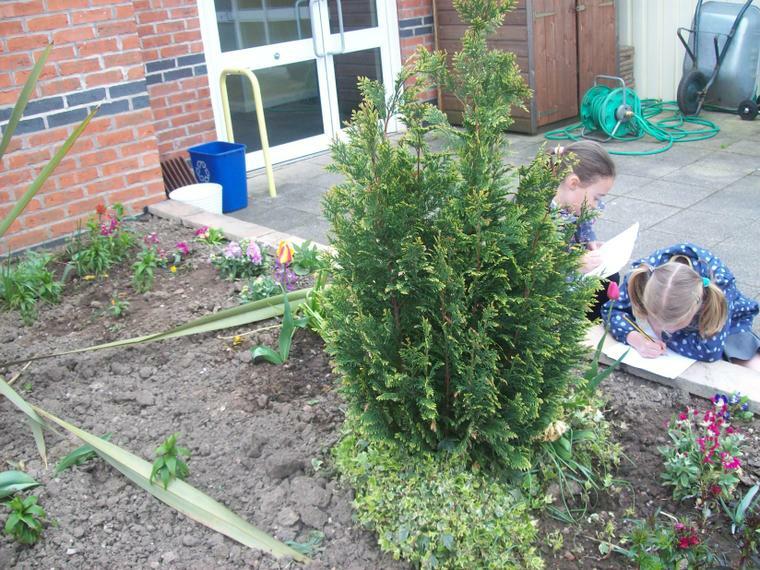 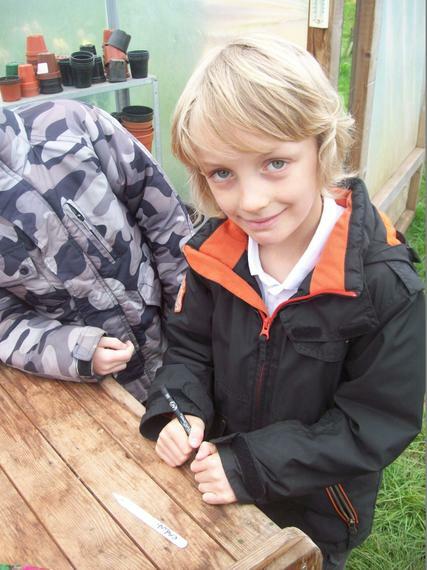 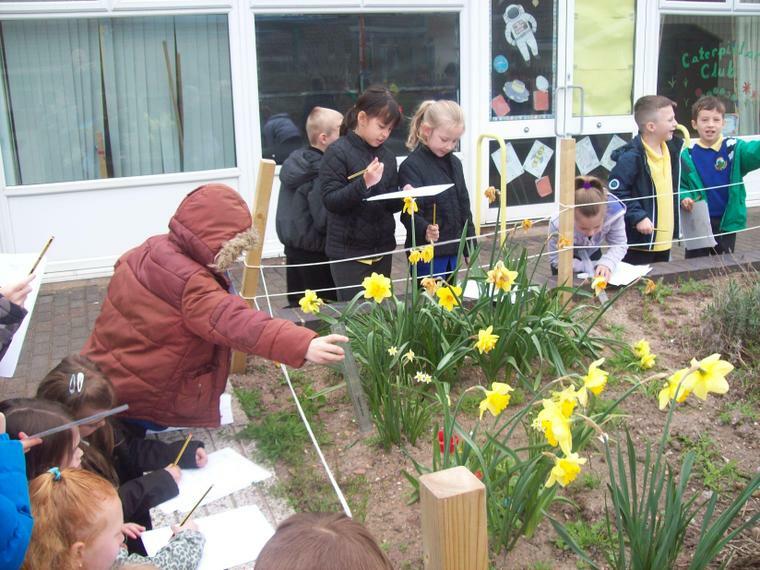 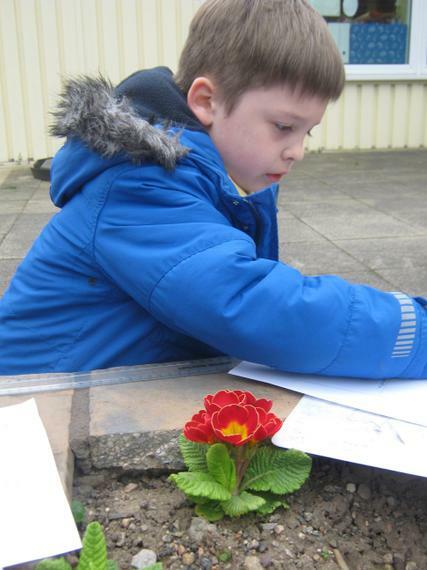 We are continuing to learn about plants and flowers this week and we are writing a story about plants. 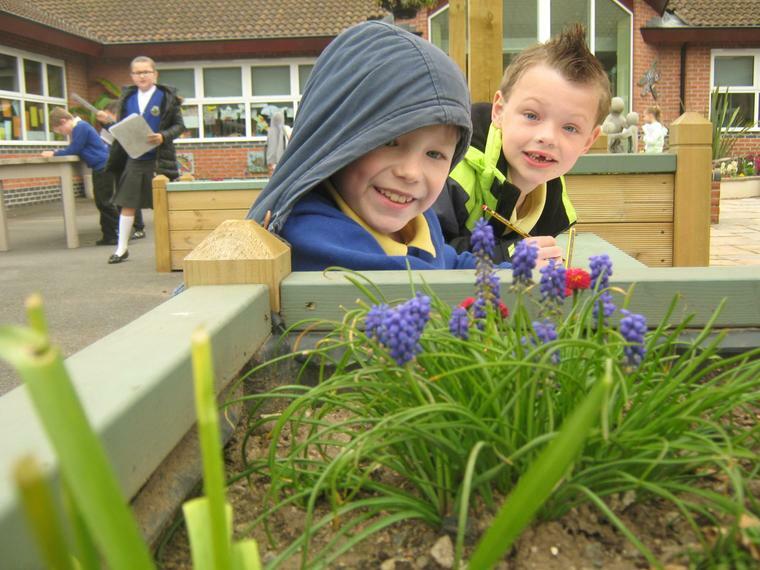 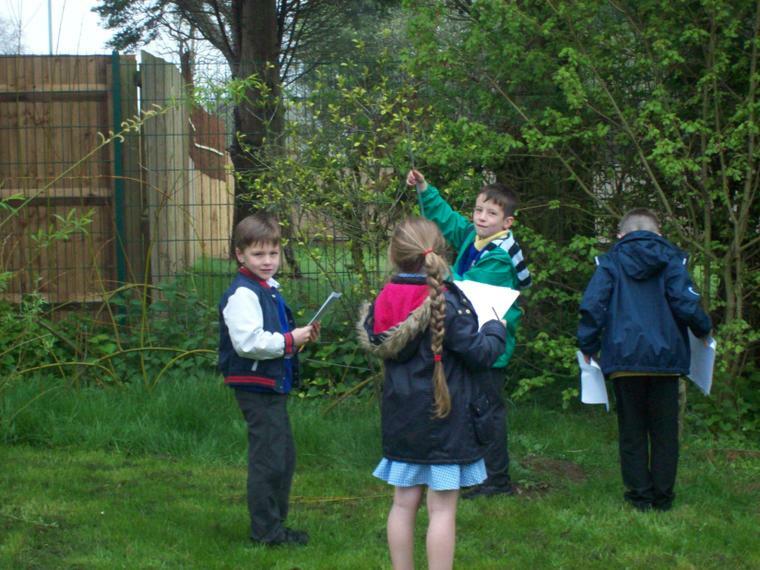 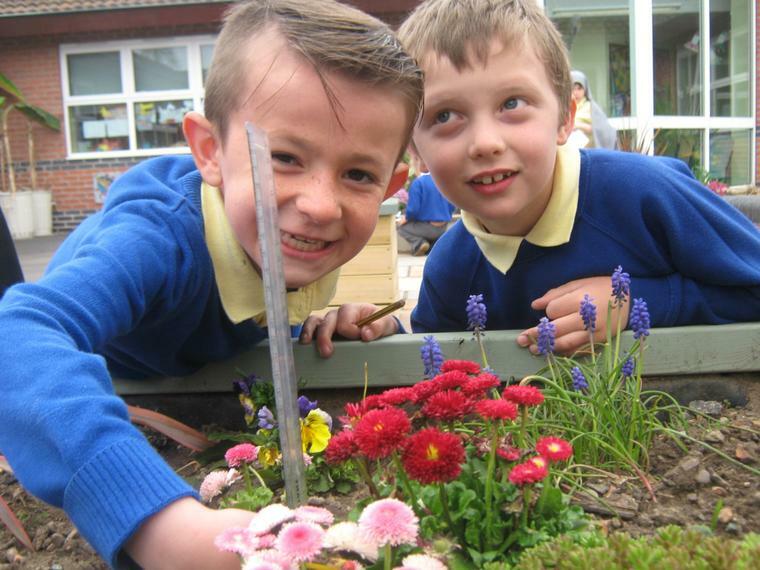 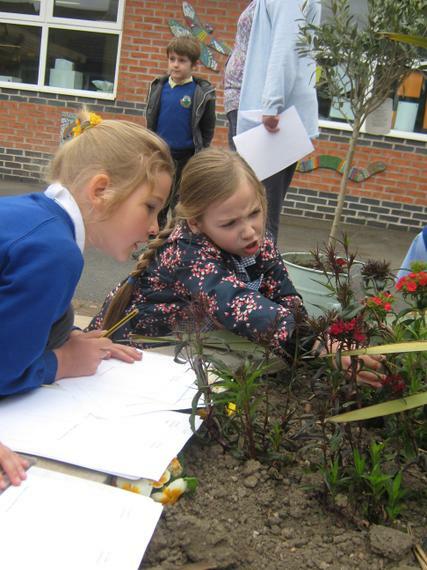 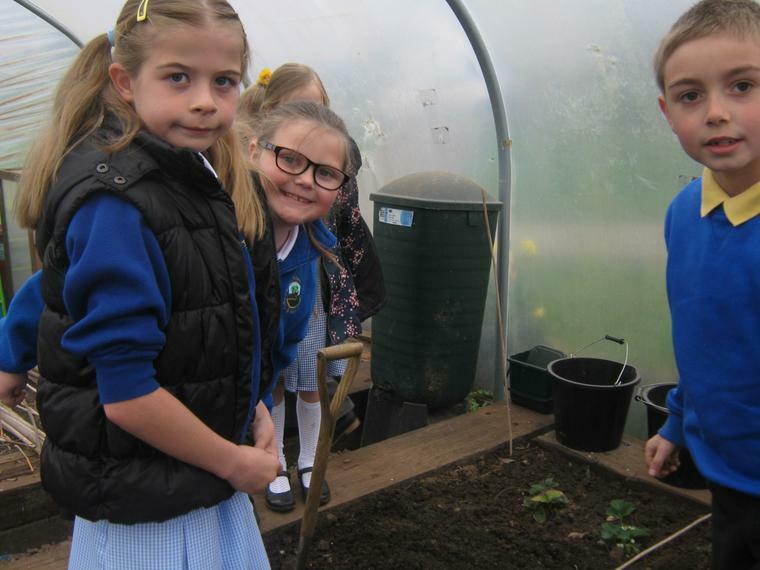 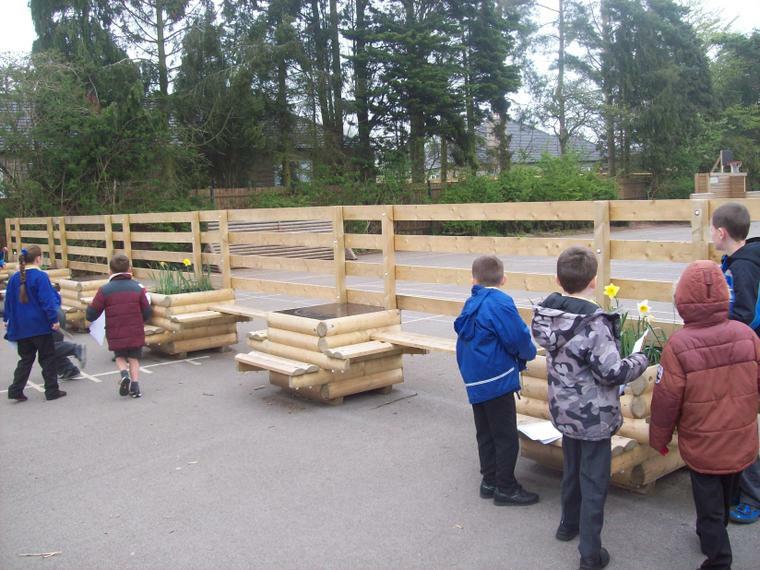 We are looking at plants and flowers this week. 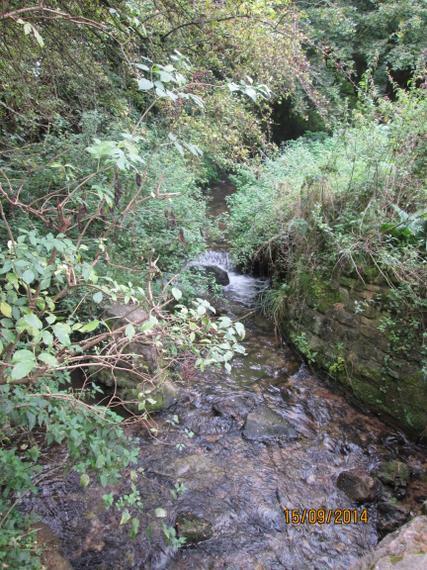 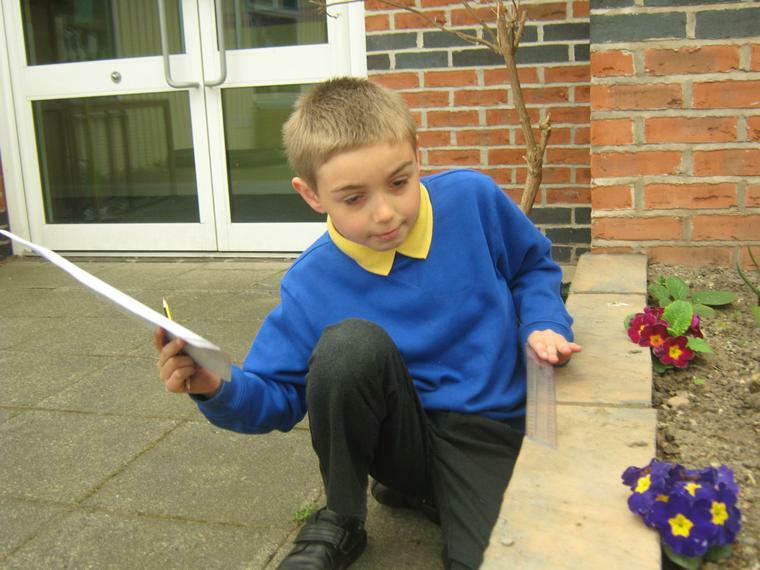 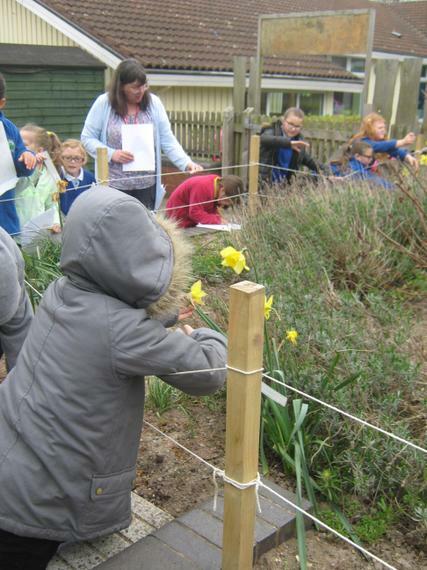 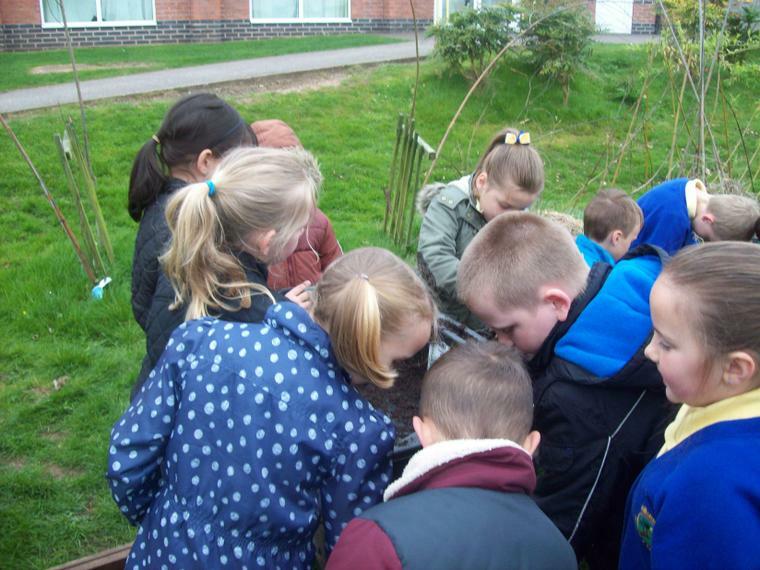 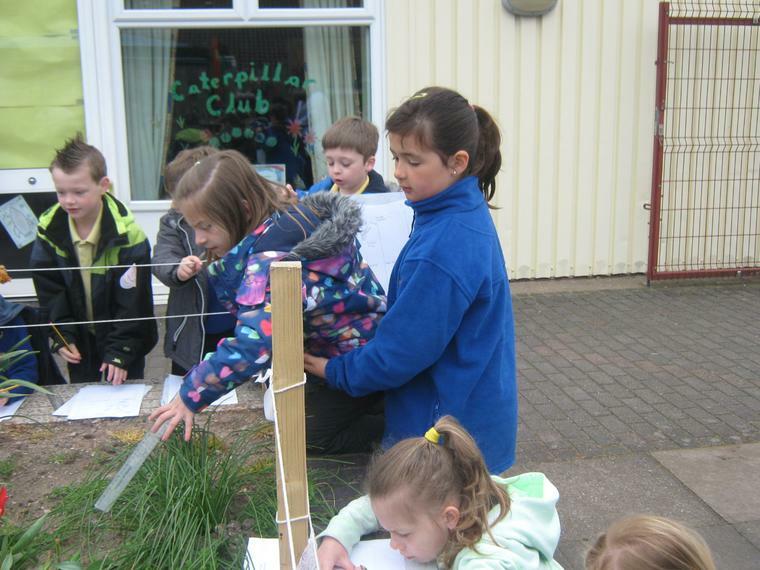 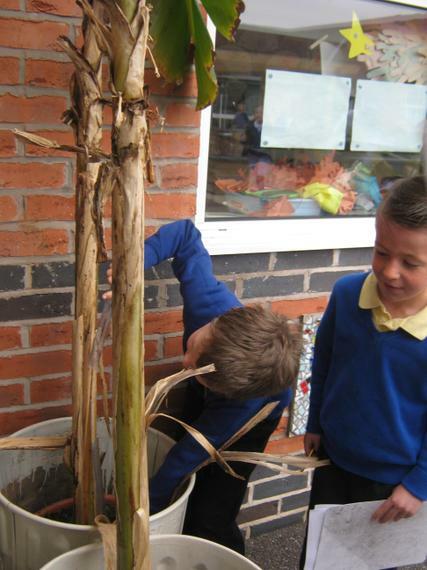 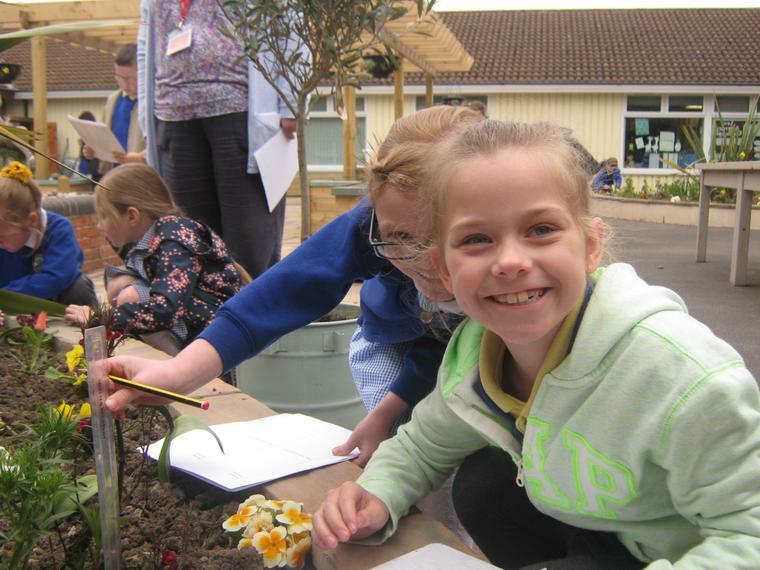 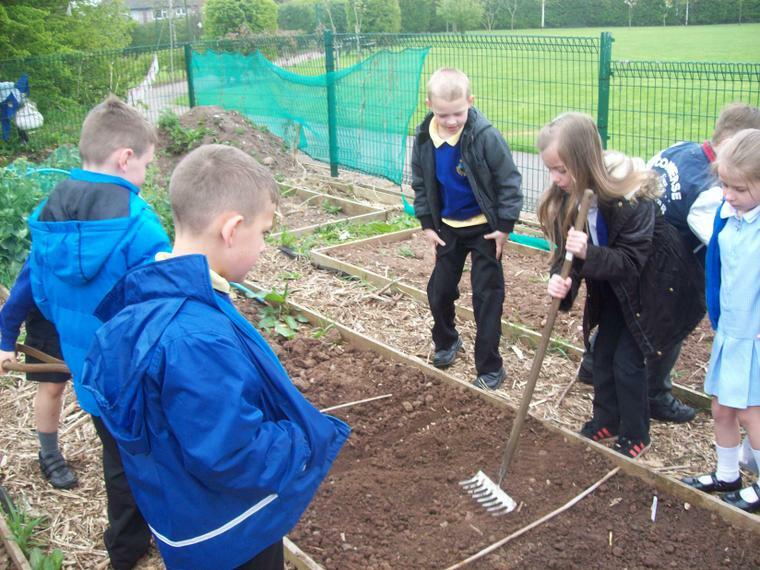 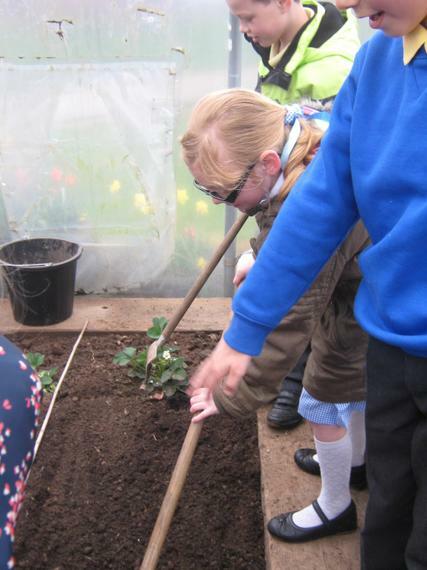 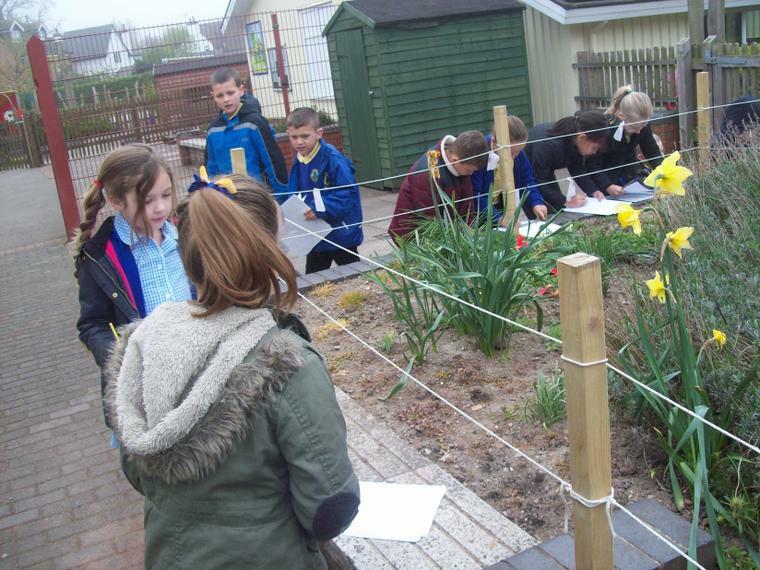 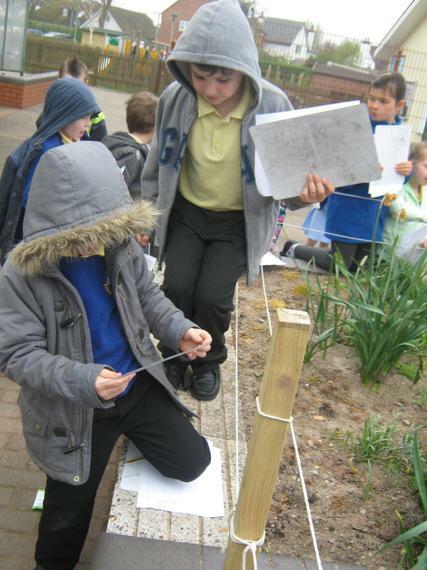 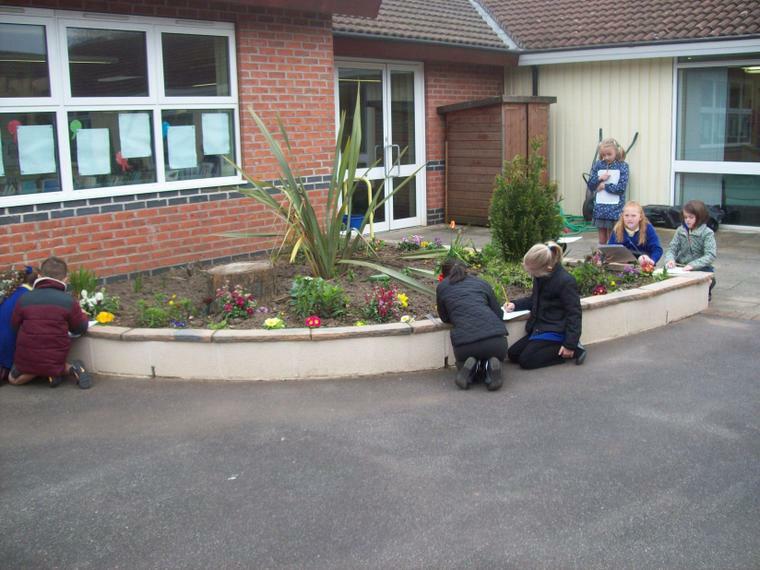 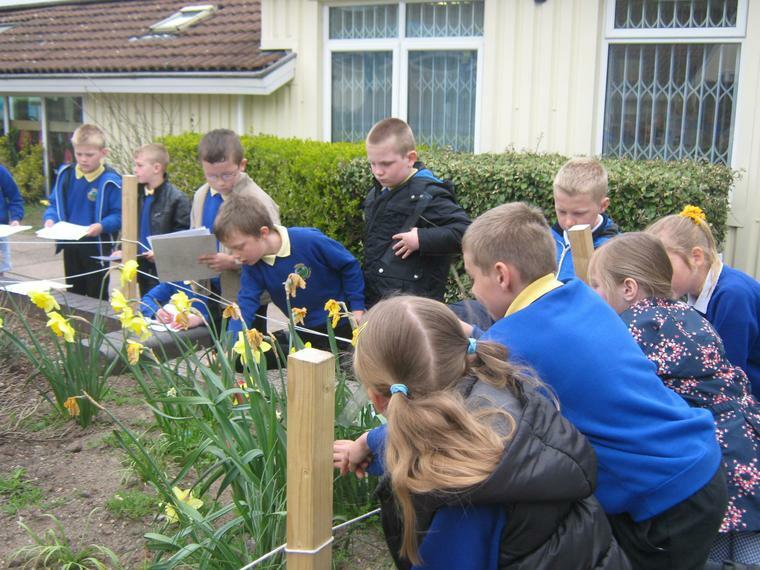 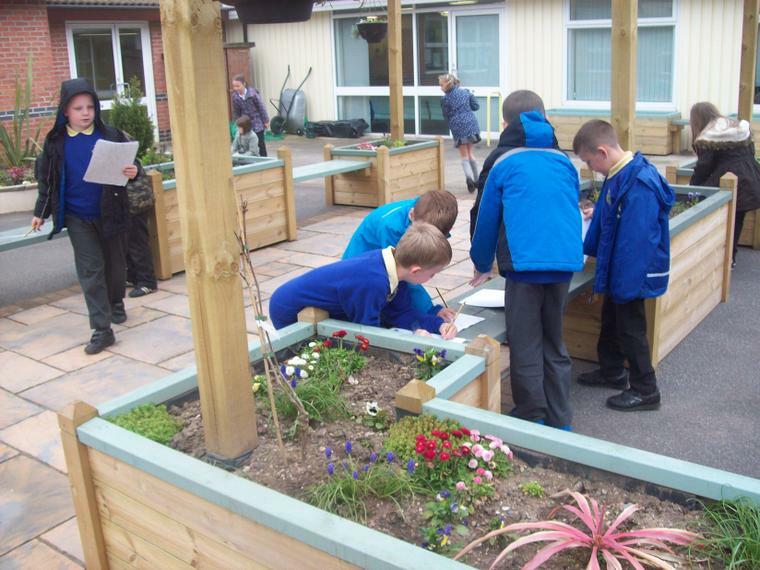 We will be investigating how water is transported in plants, and look at the parts and functions of a plant. 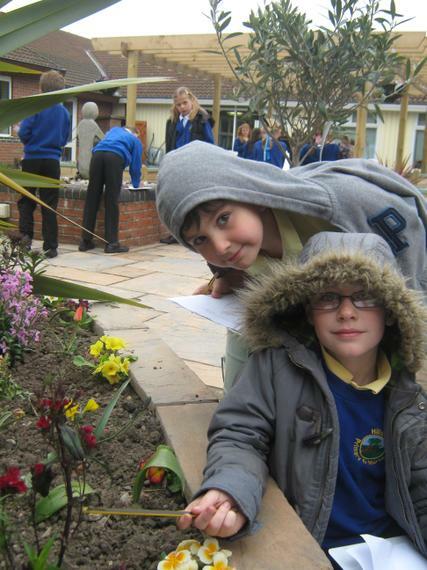 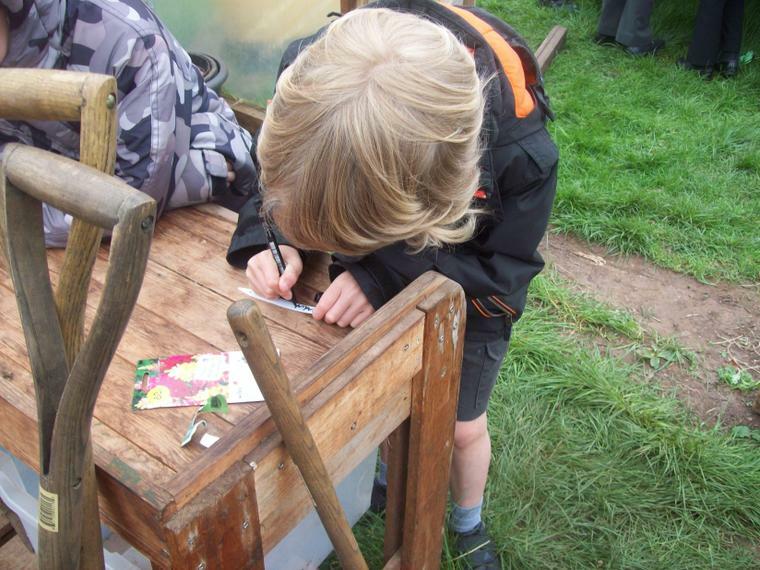 We will also be looking at flowers in art. 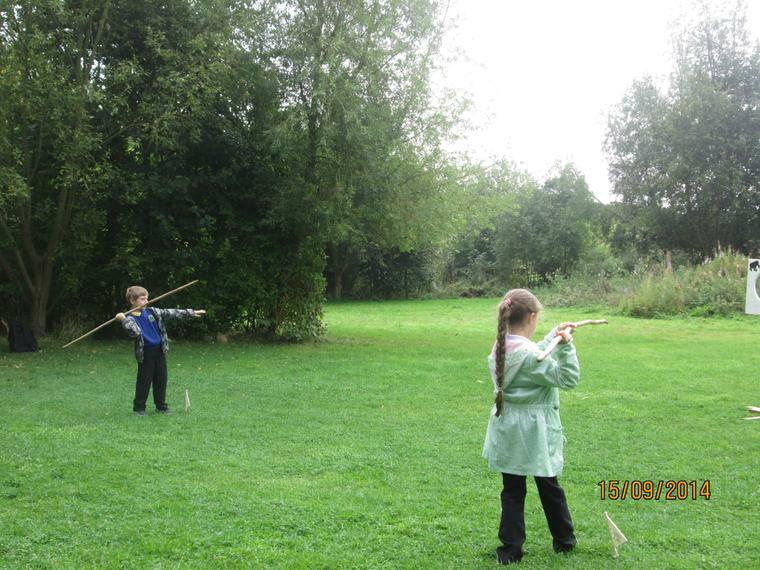 We are starting a new Science topic on Force and Magnets this week. 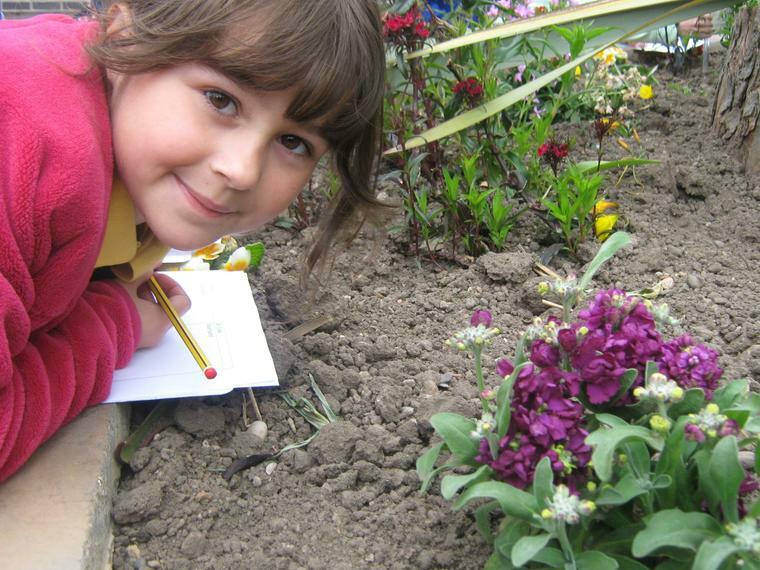 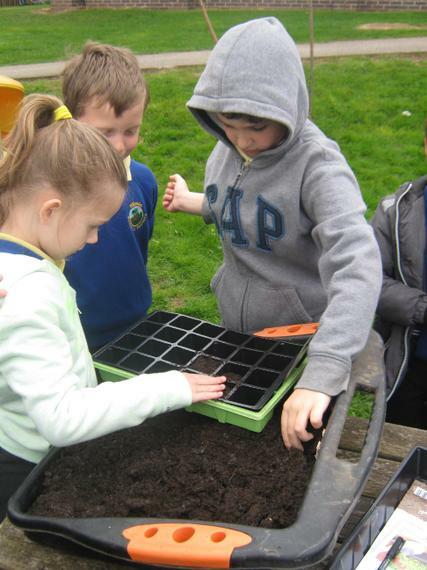 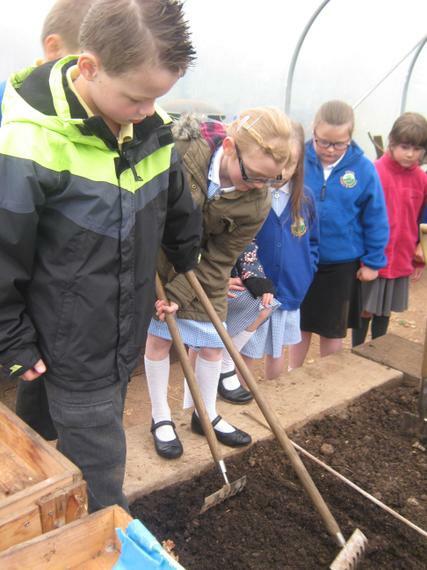 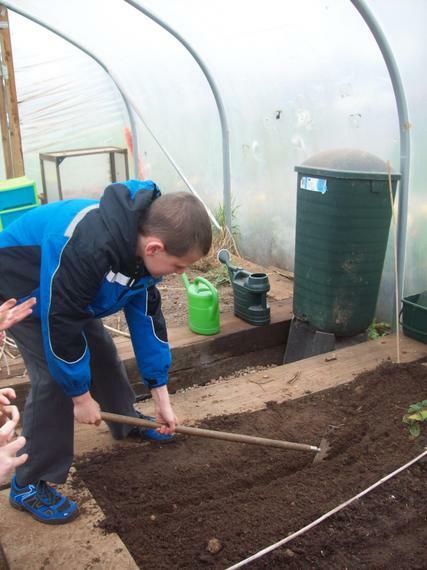 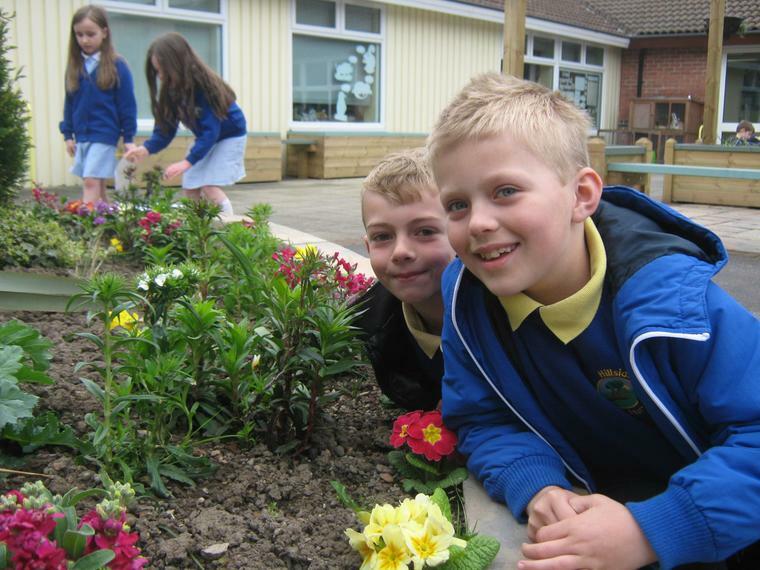 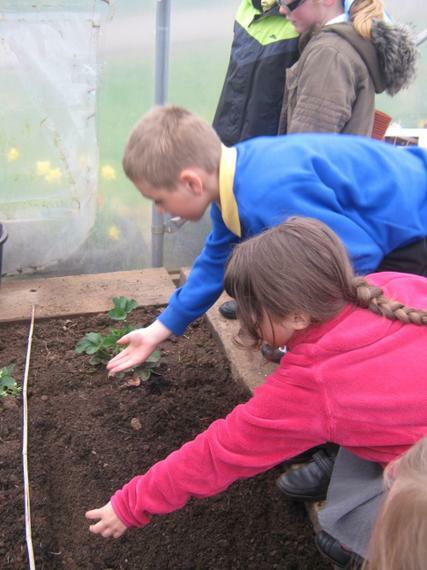 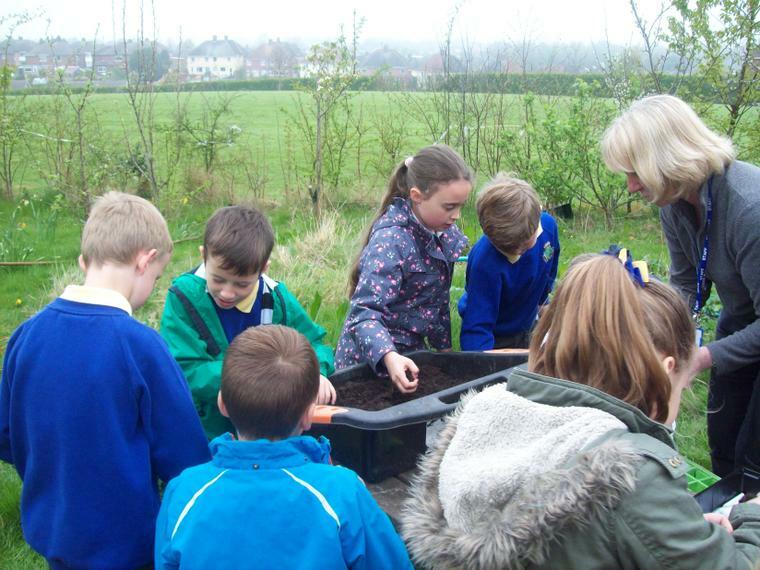 We will also be planting some seeds ready for our Summer 2 topic on flowers! 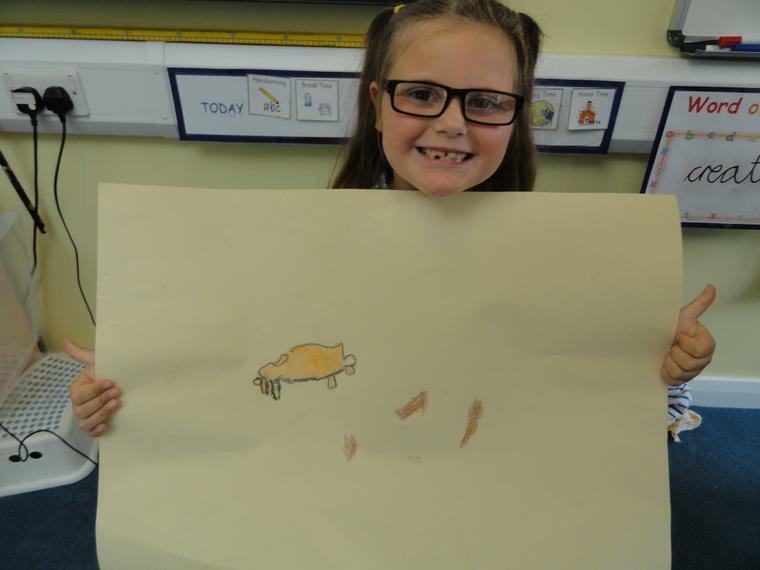 We are going to be making moving toys such as cars and bikes. 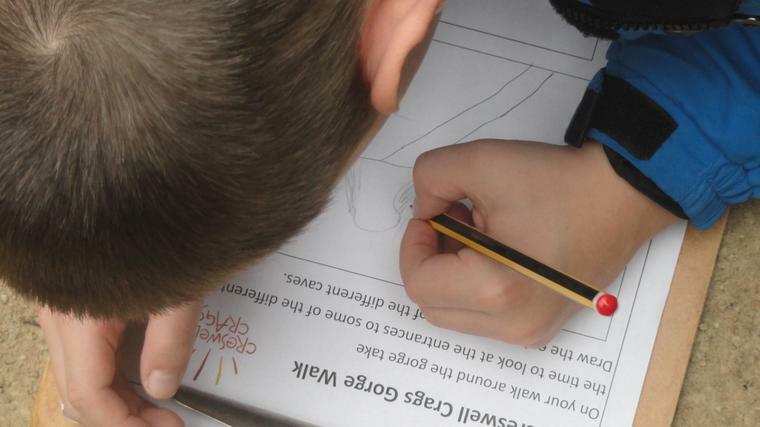 We are designing and making moving toys over the next couple of weeks and would really appreciate any junk boxes you can send in. 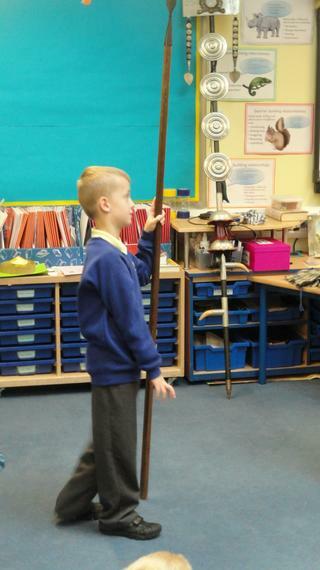 We have looked at how different toys move and had fun playing with our moving toys on Tuesday afternoon. 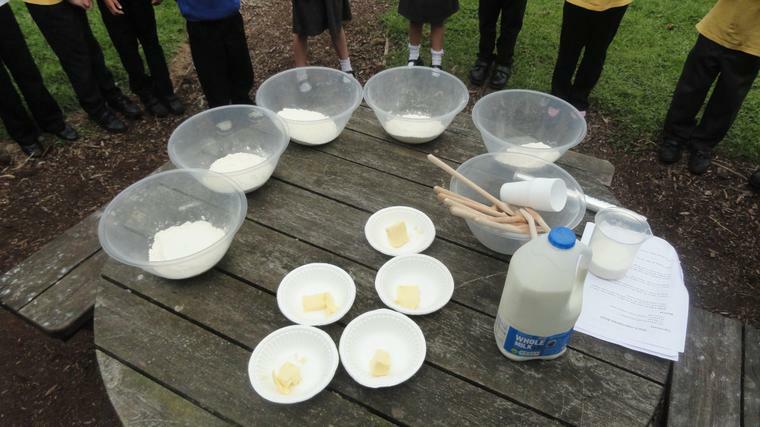 Our maths topic until the end of term is addition and subtraction. 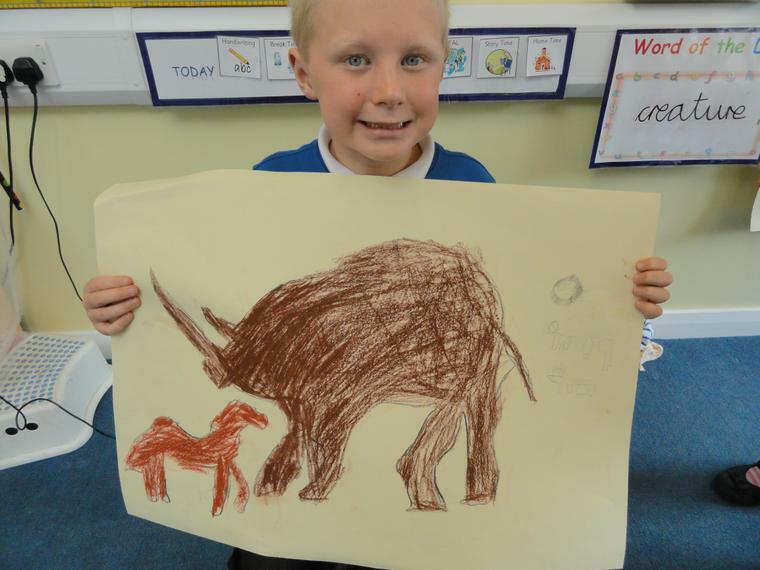 Please keep practising your rhino words and additional spellings from class! 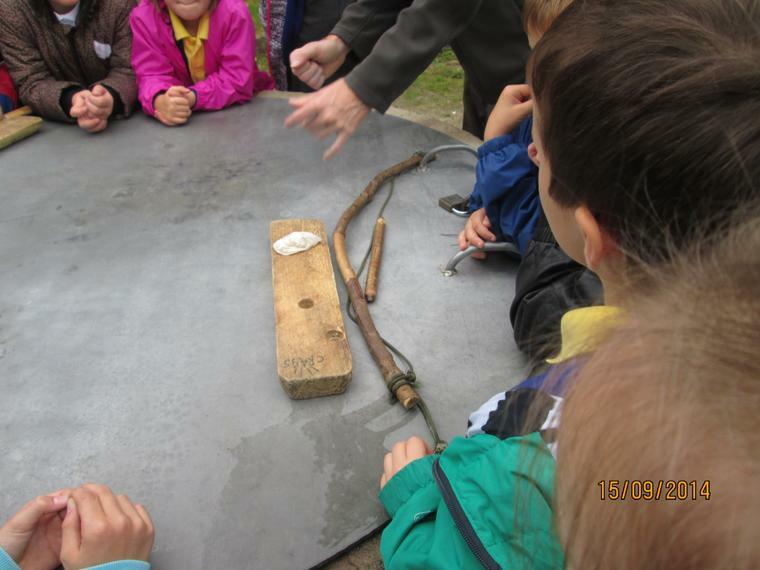 We are investigating magnets this week and have been doing experiments and making a magnetic game. 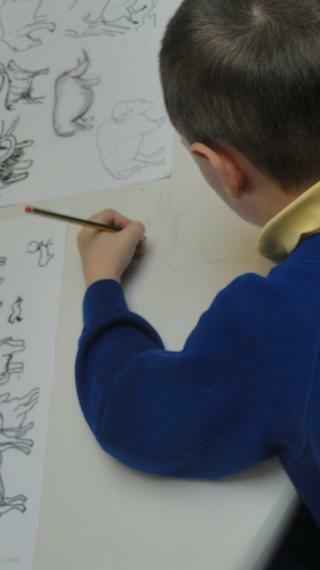 Look out for this half term’s homework going out . 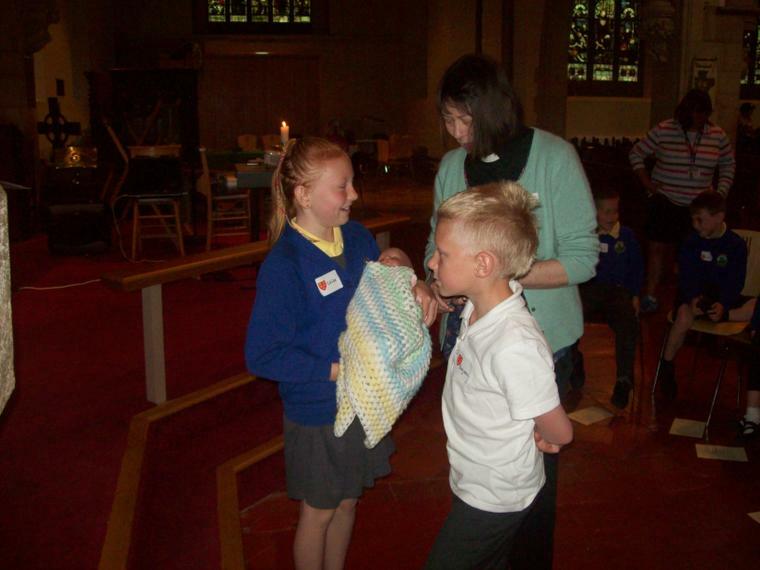 like the children to bring in a moving toy. 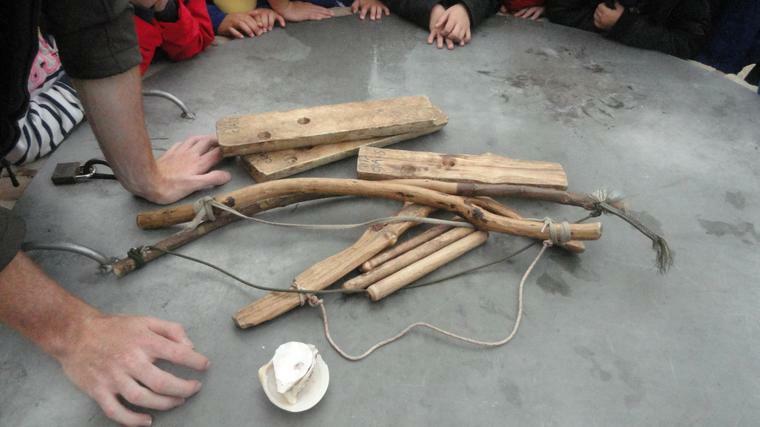 This can be a pull along toy , a pulley based toy or something else. 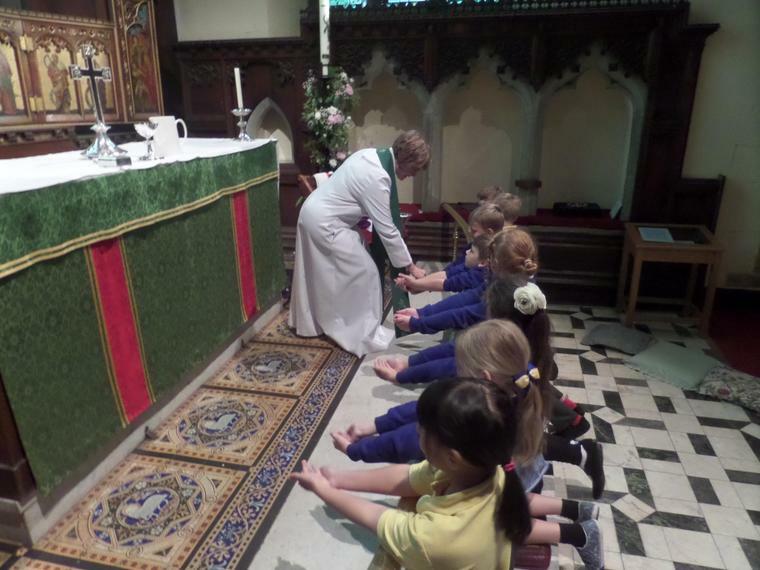 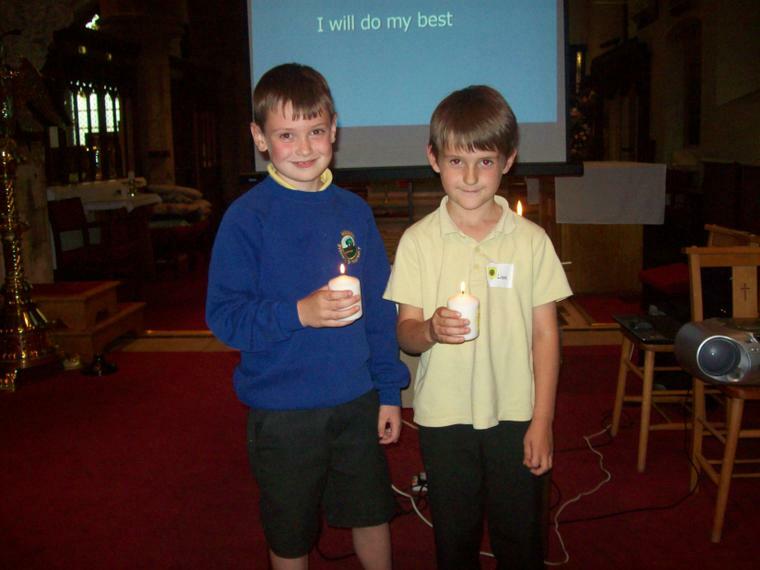 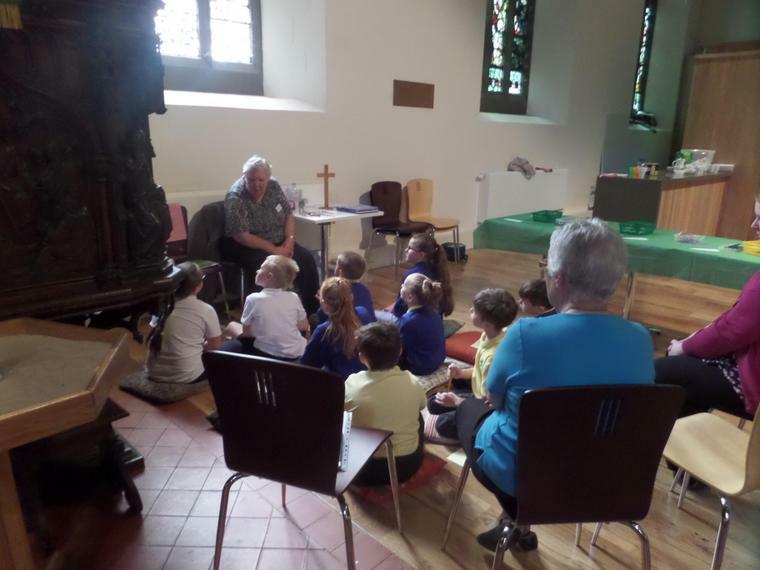 This week we are beginning to look at the Easter story and talk about what it means to Christians. 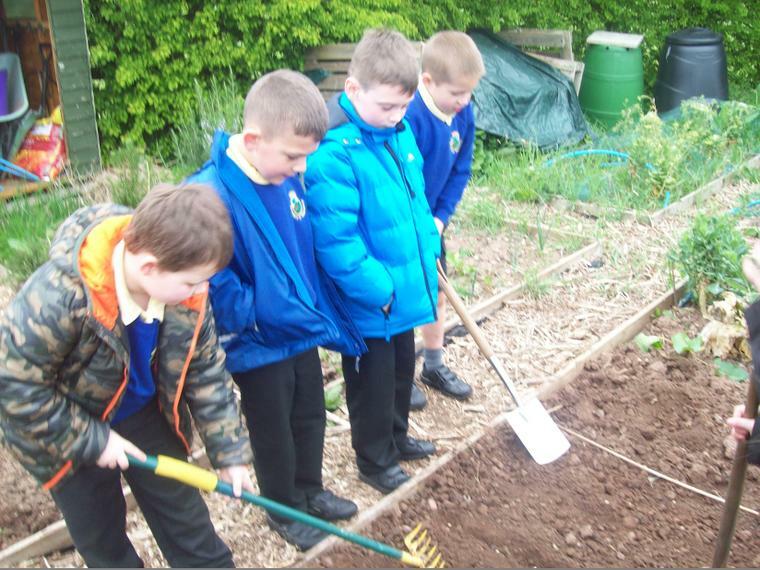 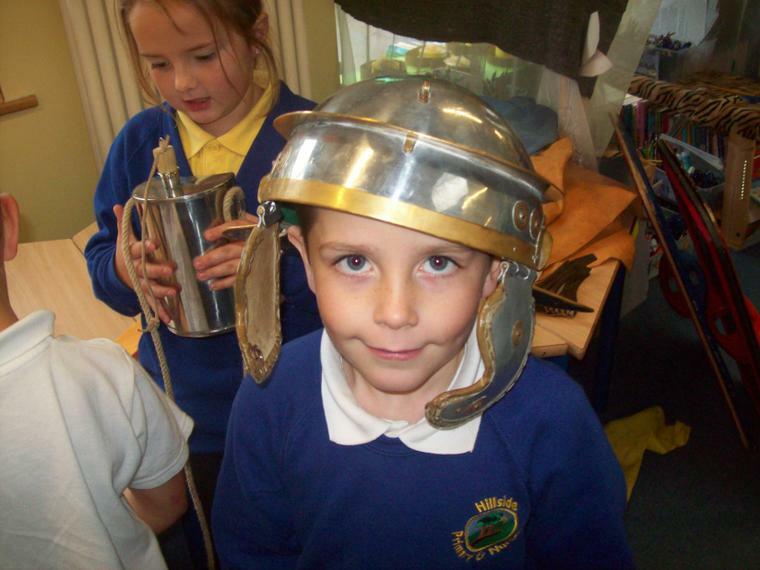 We are continuing to learn about Great Britain and we have been looking at what impact the Romans had on the countryside. 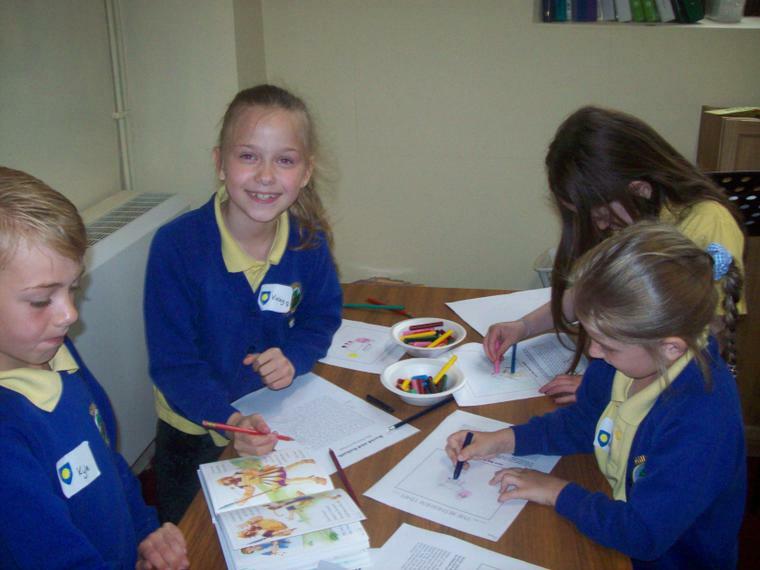 Next week we will start to look at the Easter story and some aspects of the Christian faith. 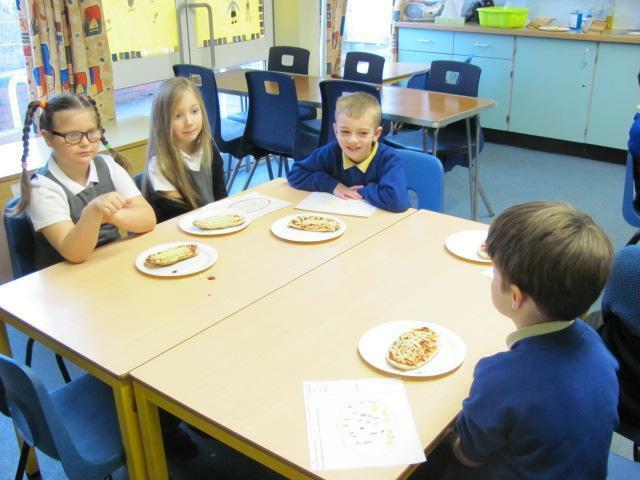 In Maths this week we are learning about Time. 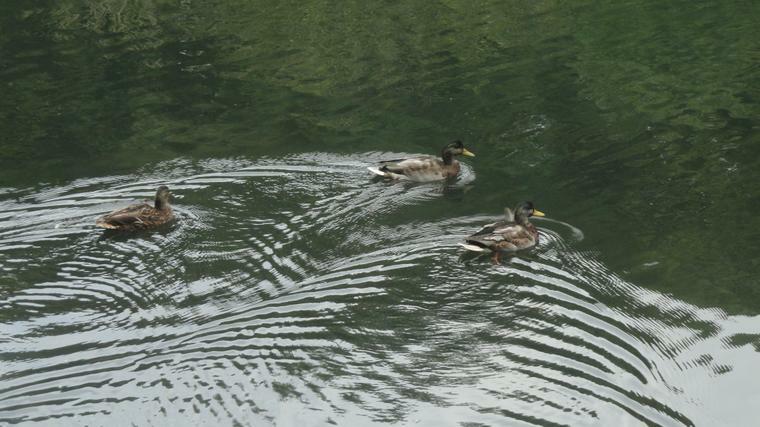 and how to get to them. 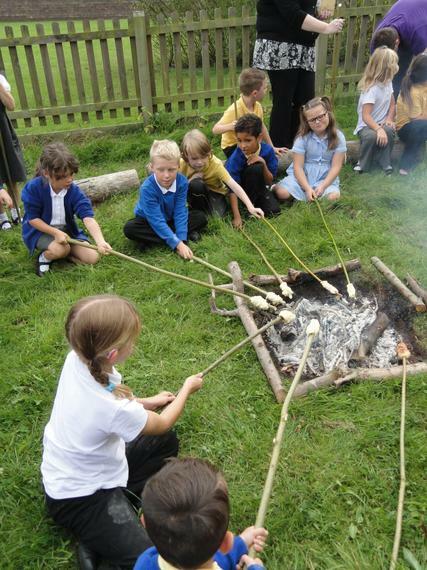 around the UK this week! 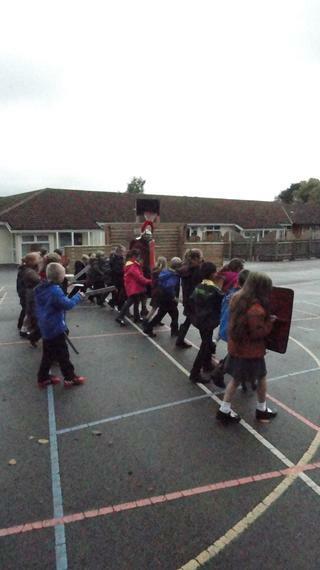 to start off our new topic 'On the Move'. 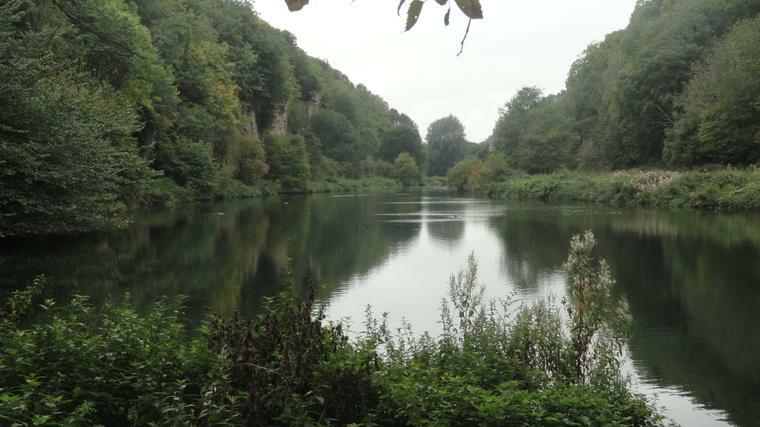 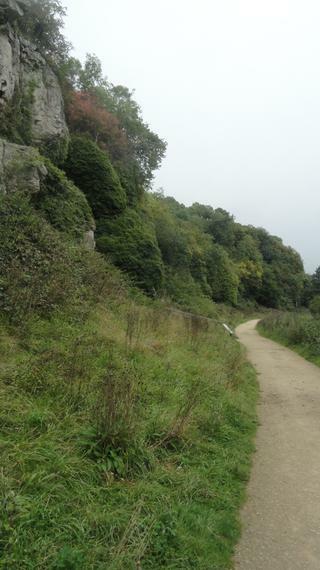 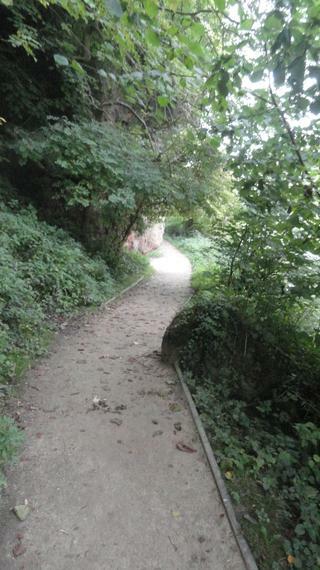 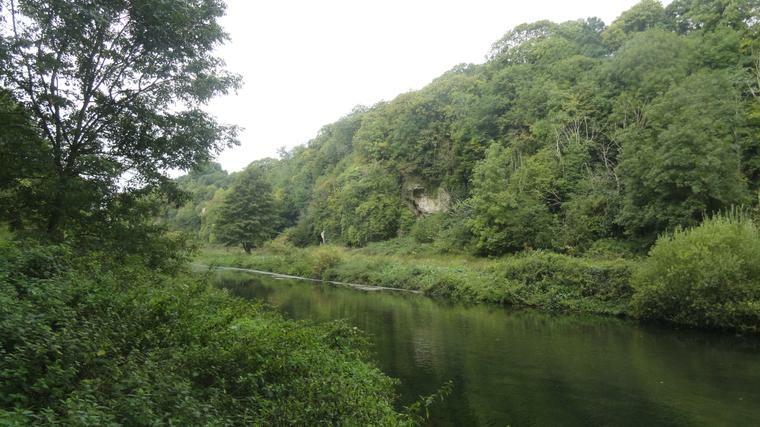 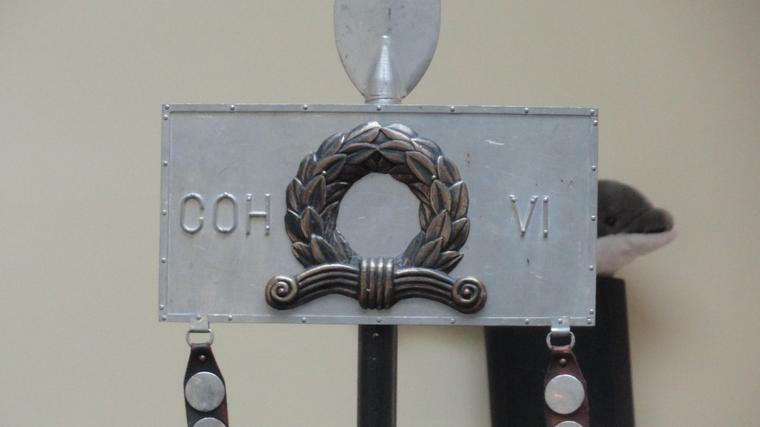 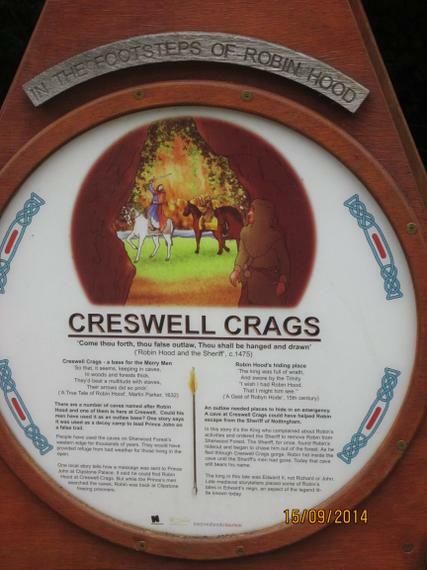 of places in the UK. 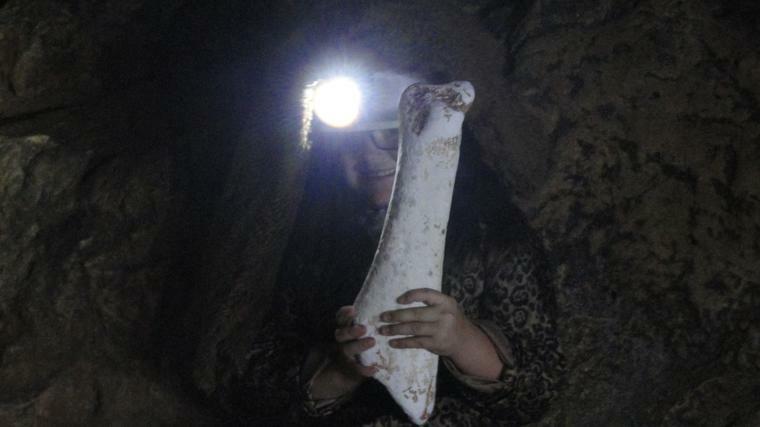 5.1.15 Spring Term - BONES! 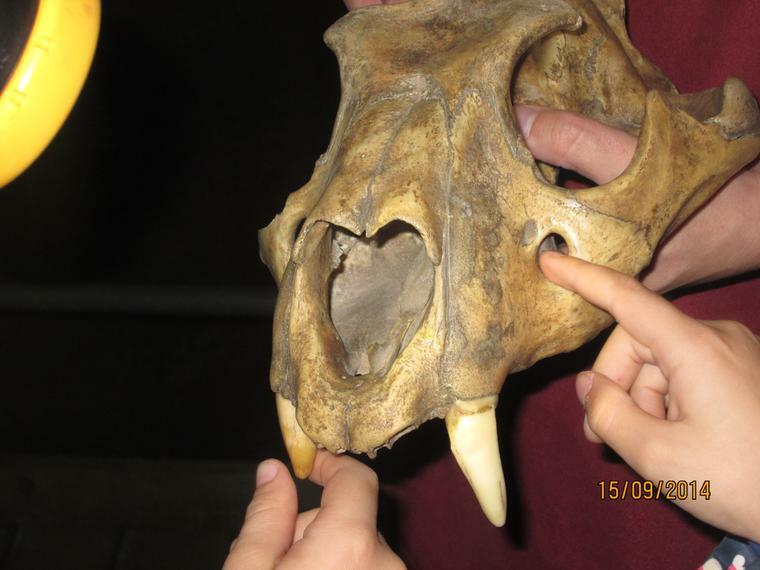 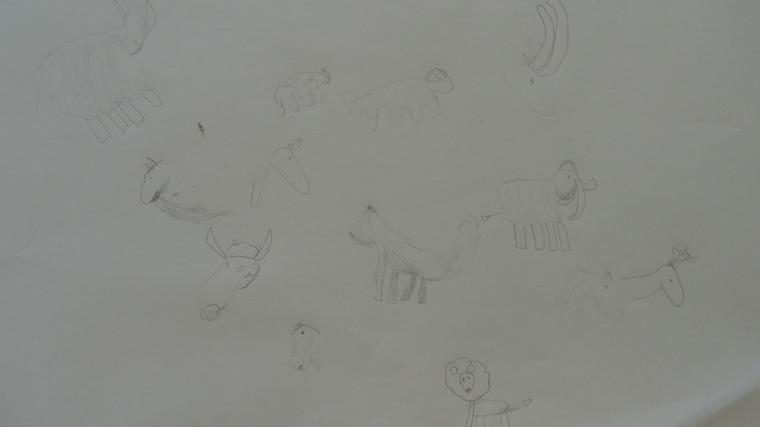 and in animals, including fossils. 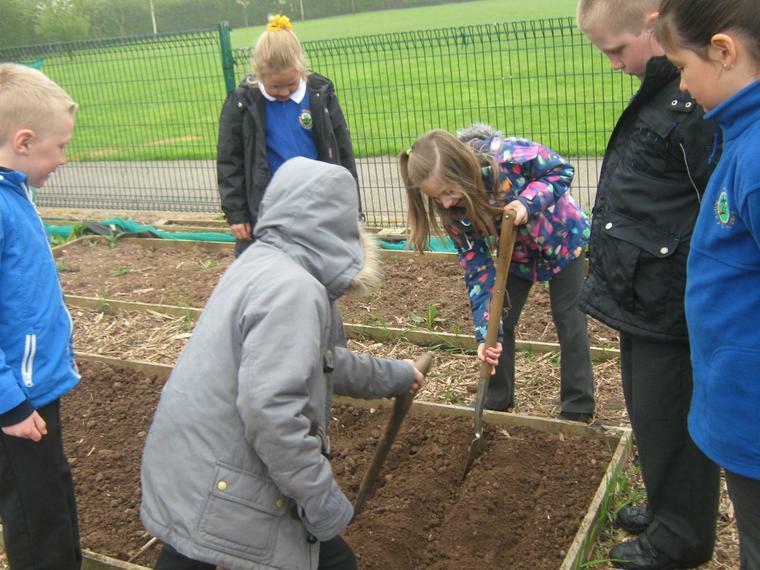 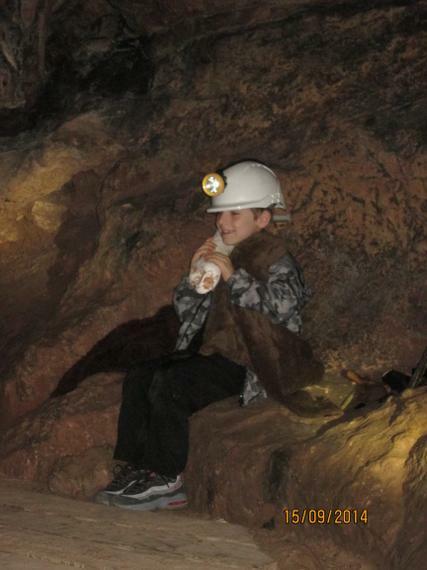 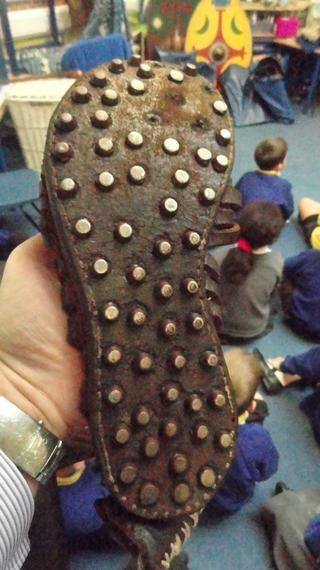 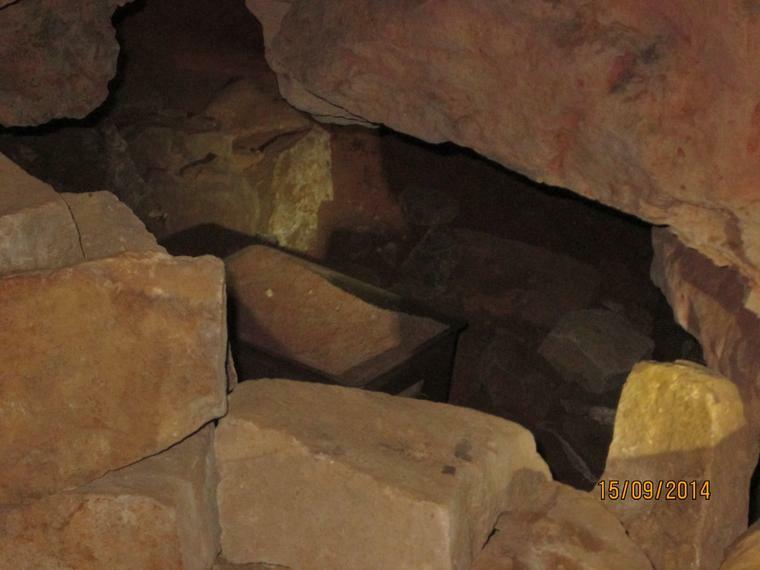 Who knows what we might dig up! 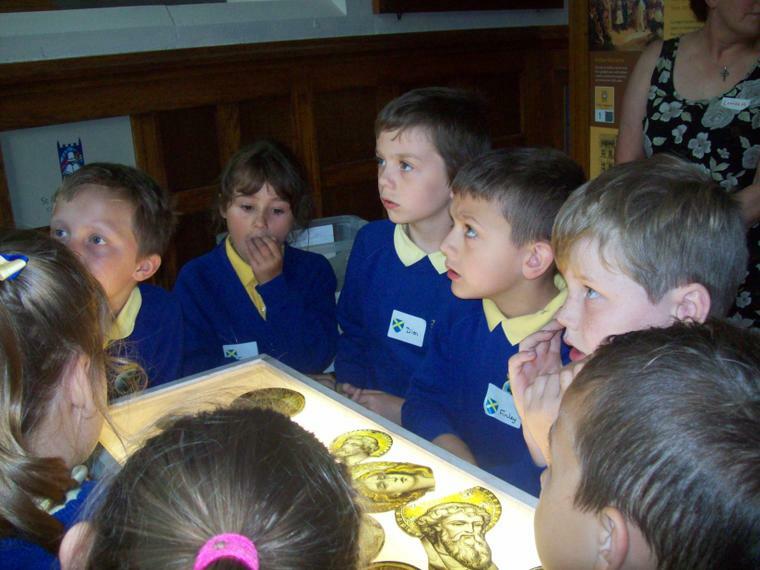 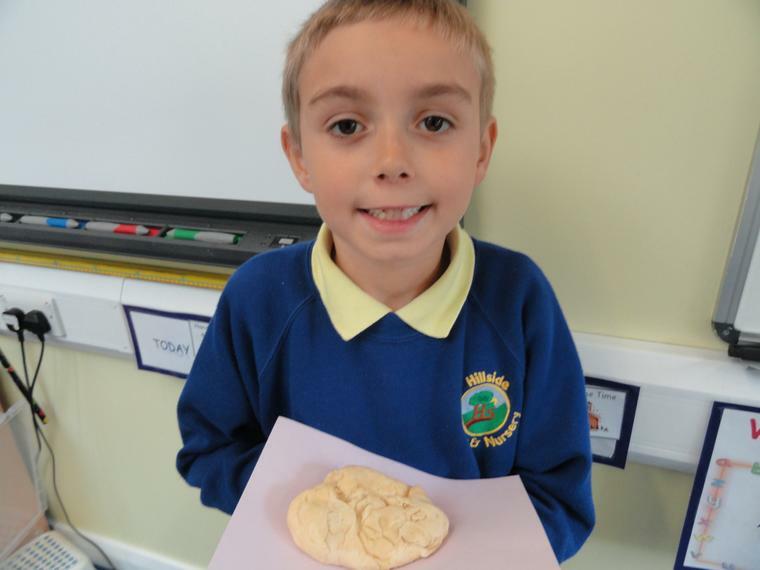 We are having a Fossil WOW day on Tuesday! 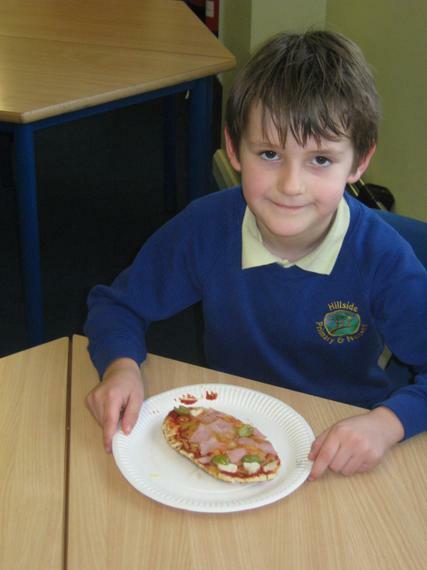 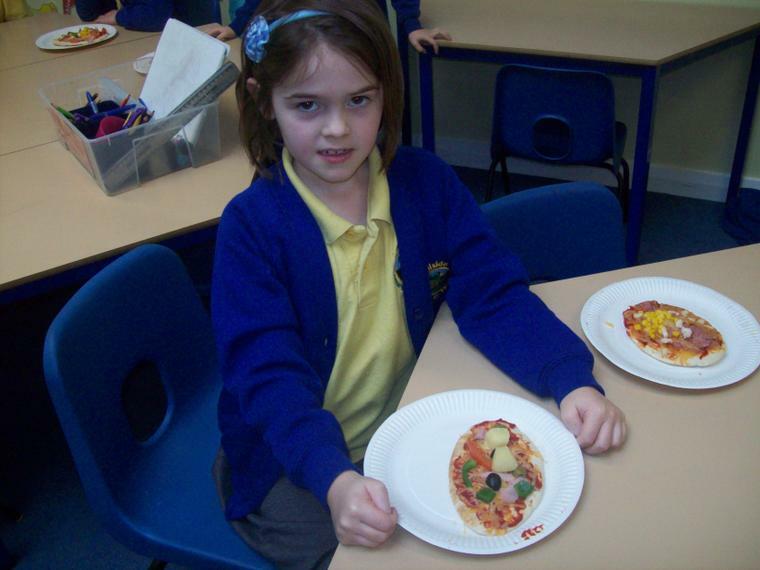 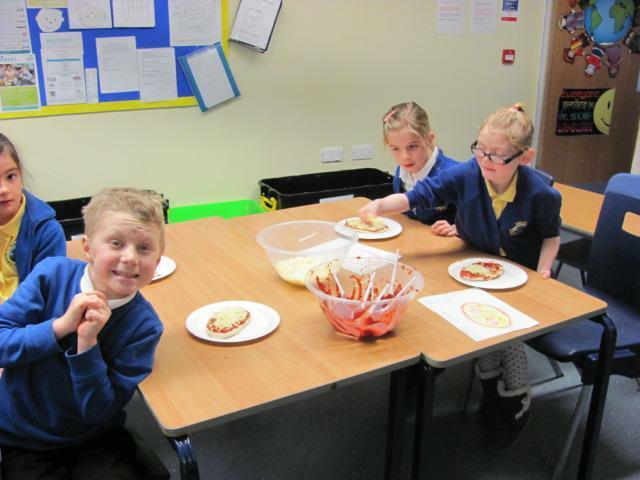 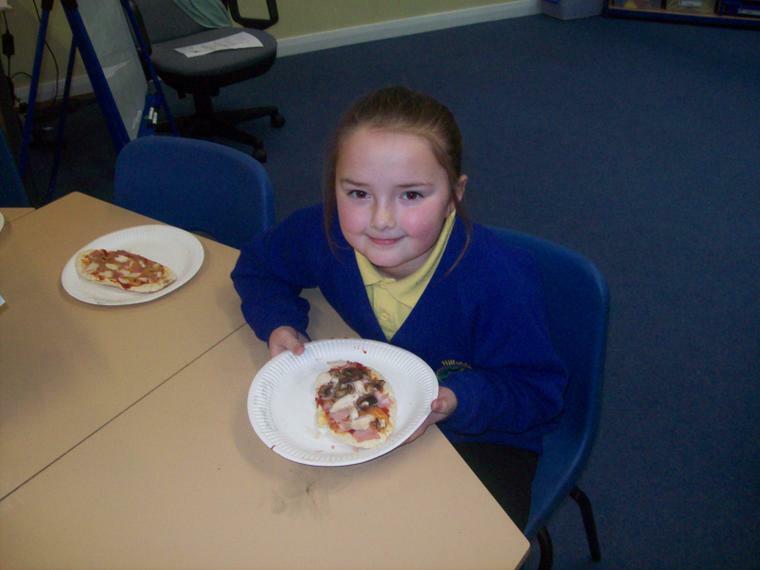 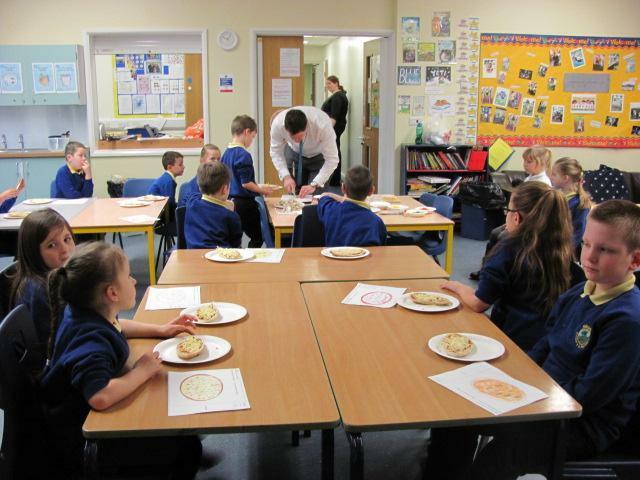 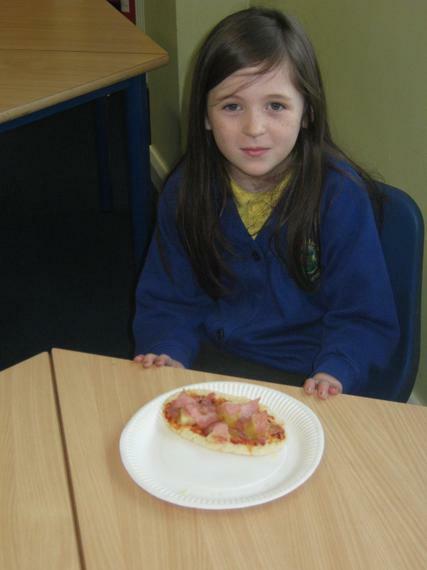 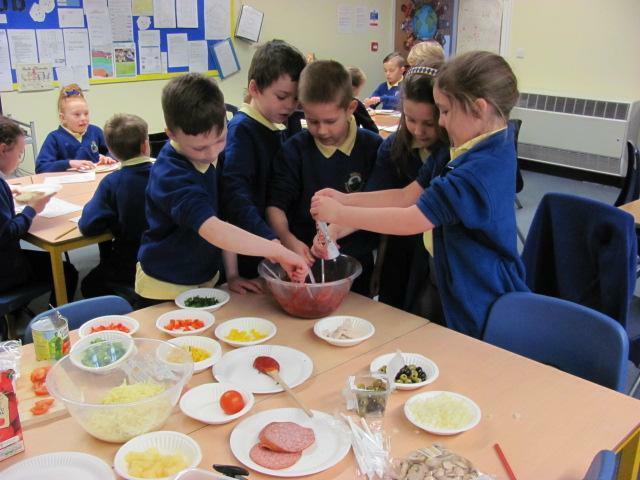 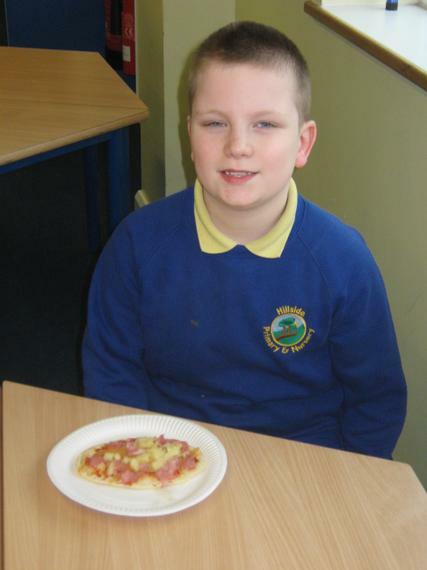 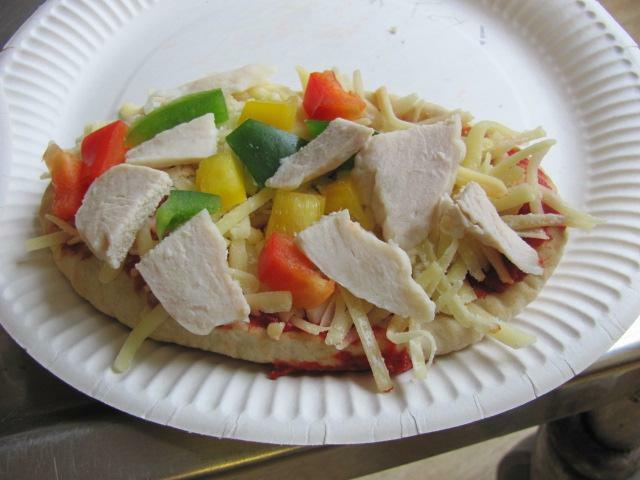 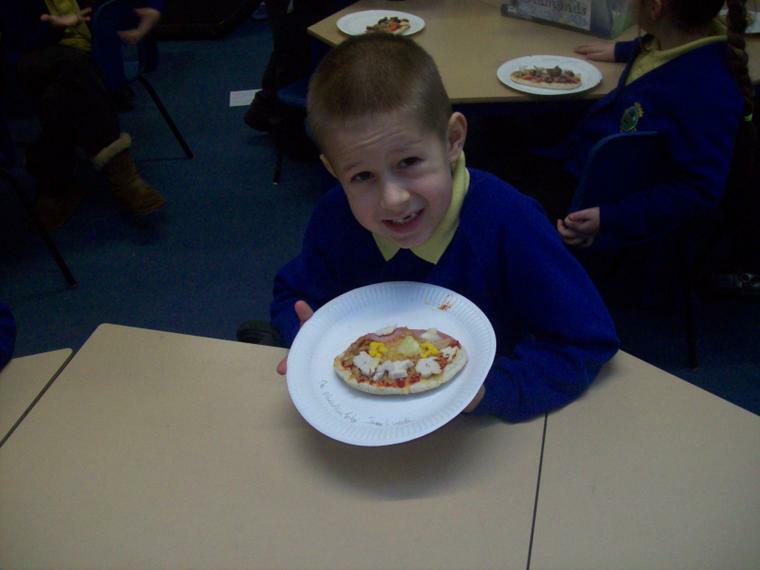 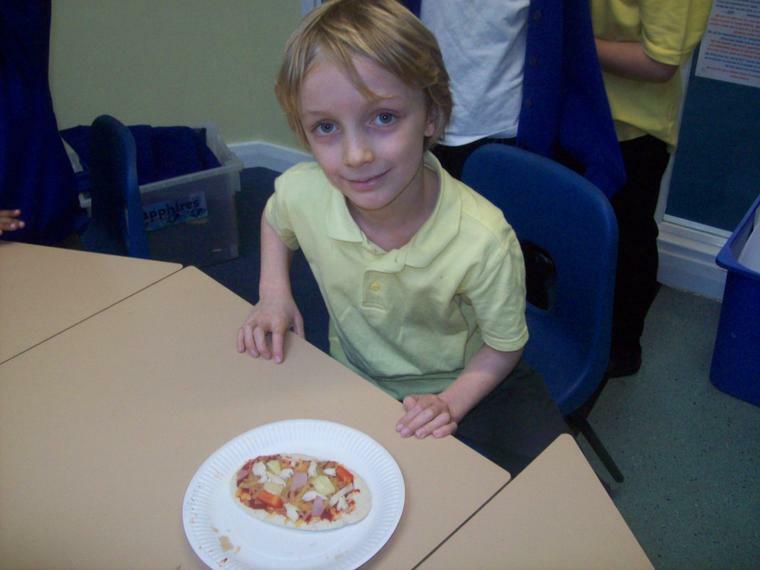 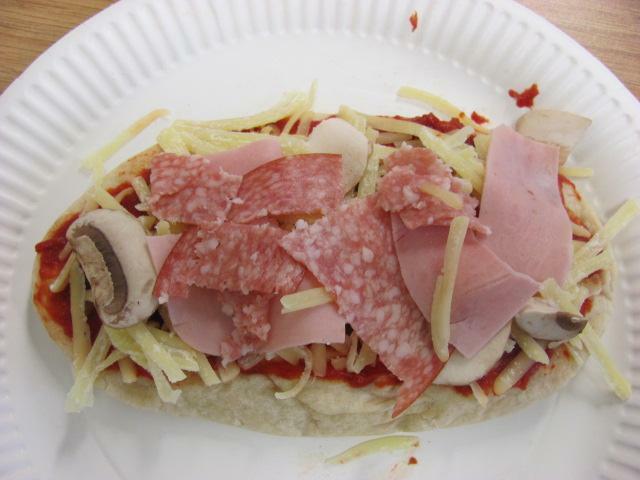 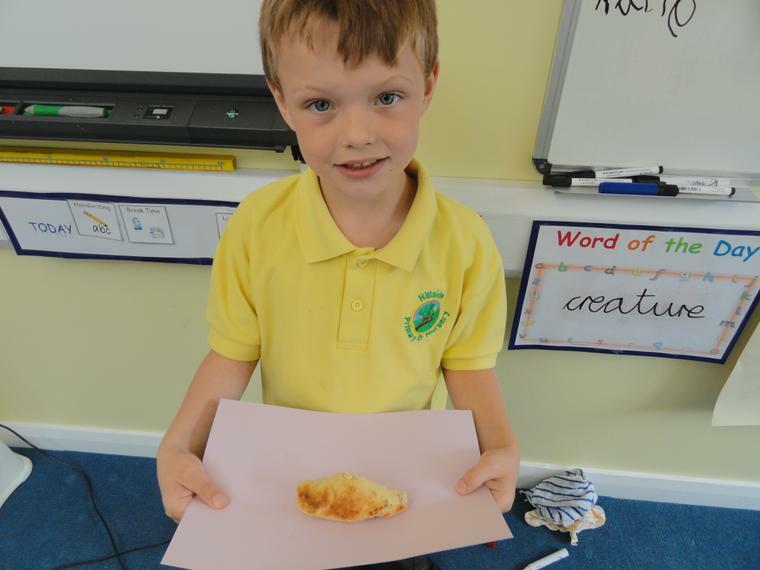 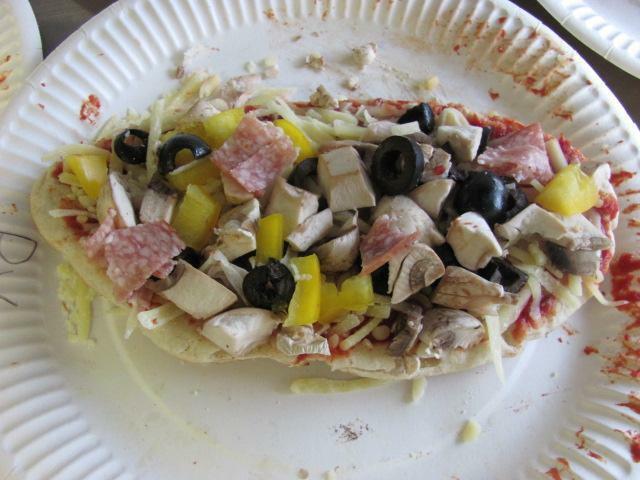 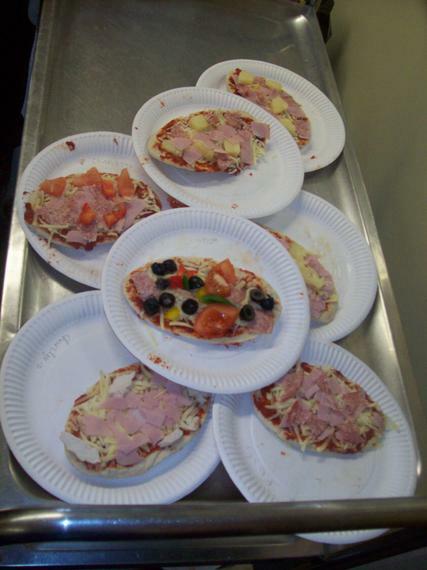 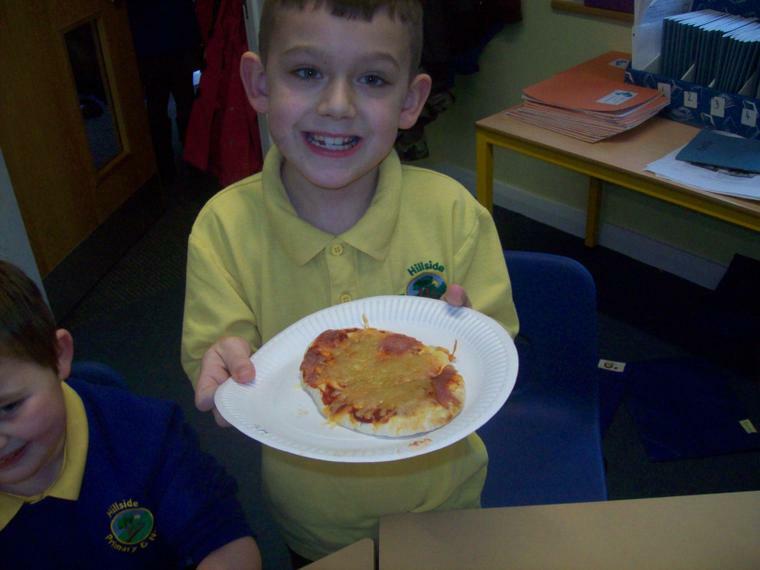 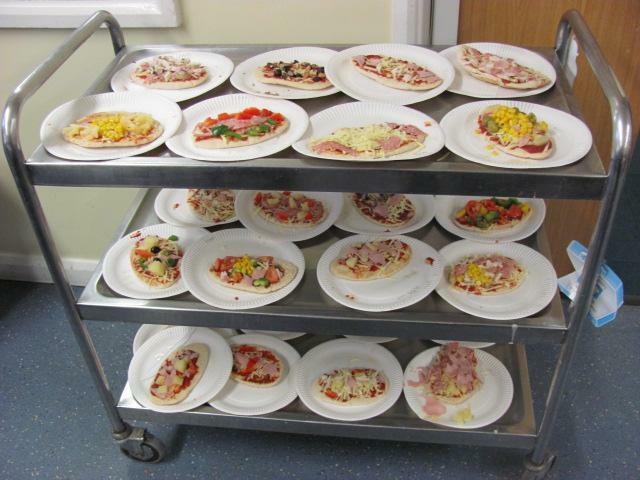 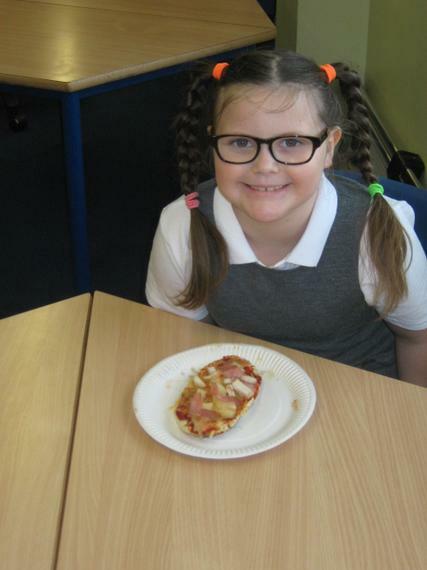 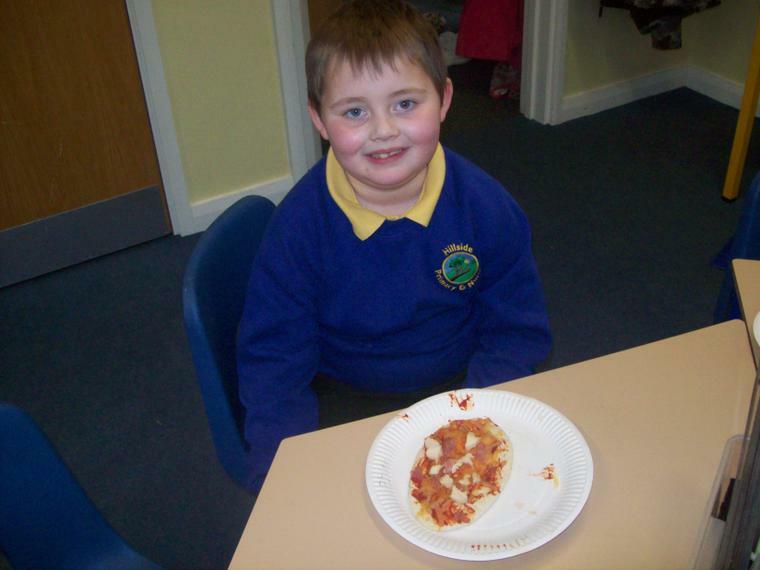 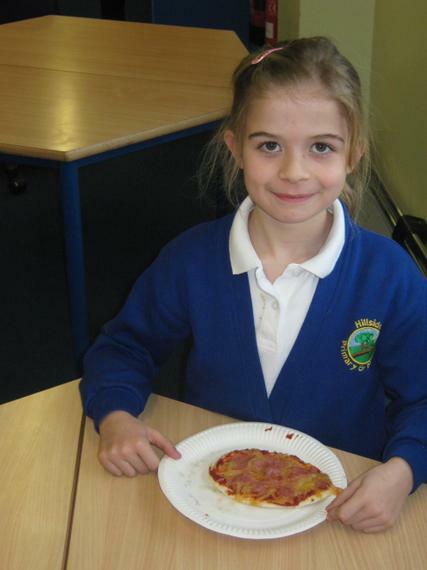 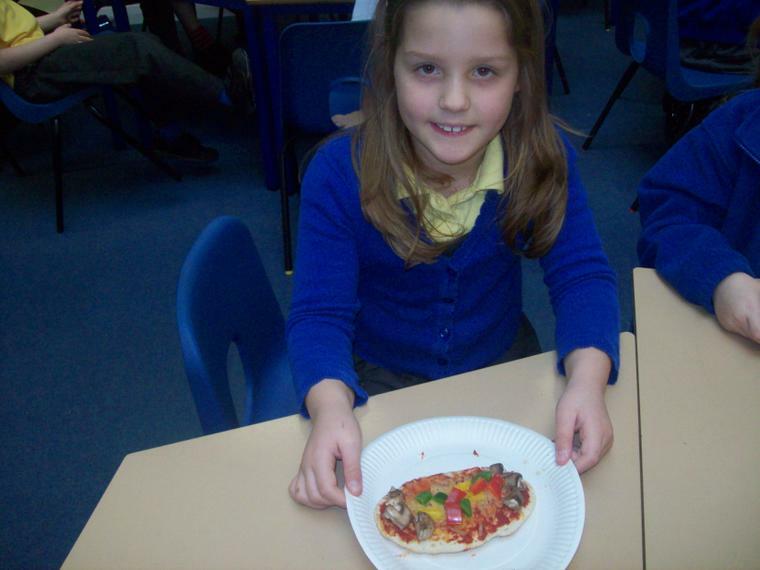 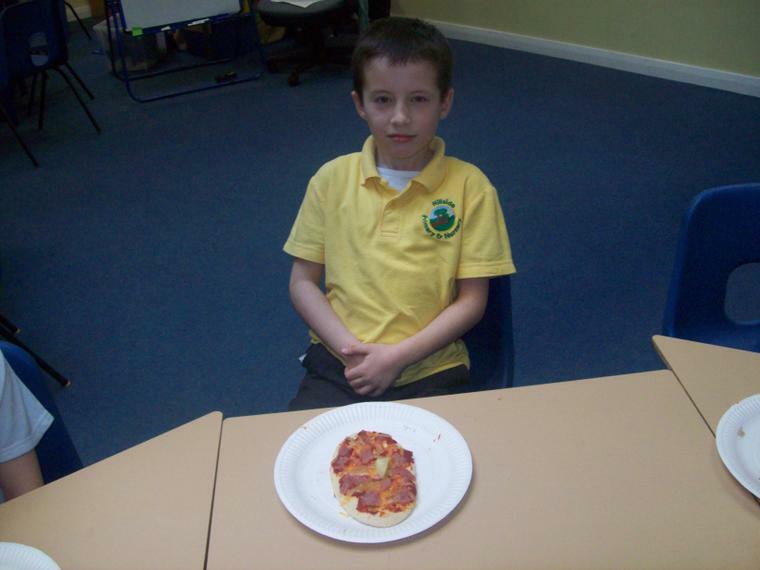 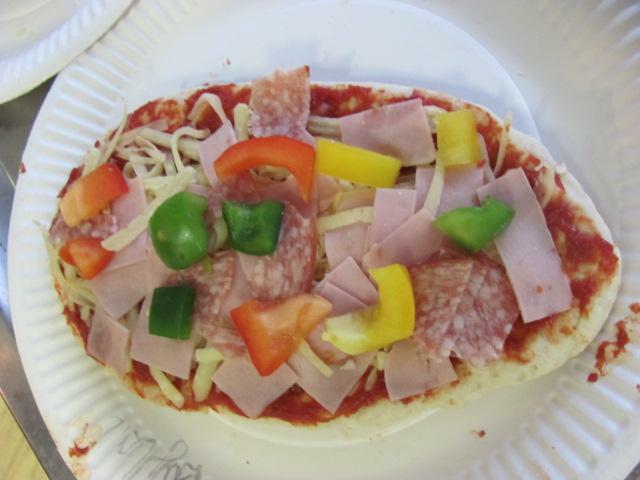 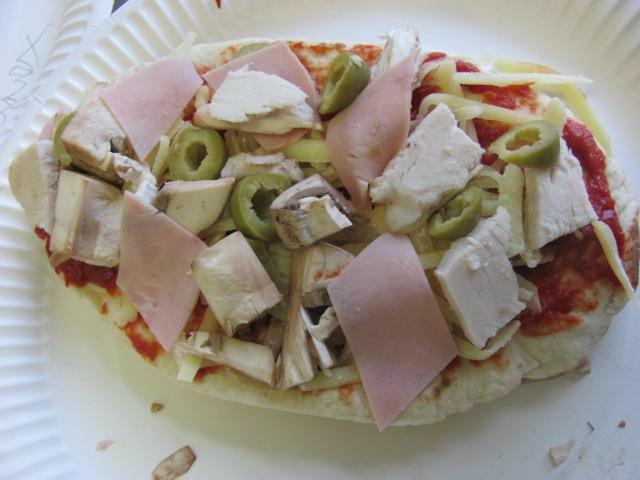 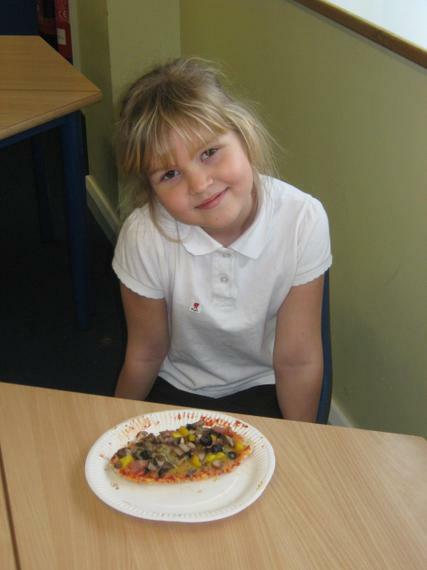 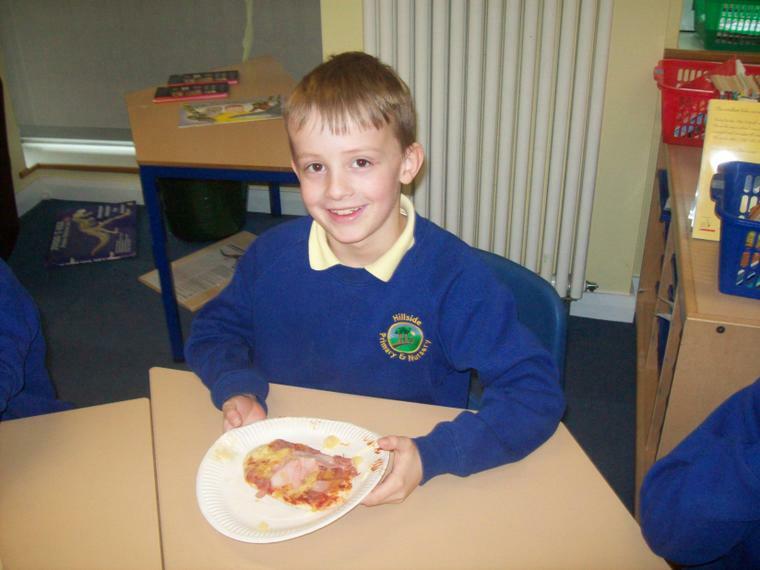 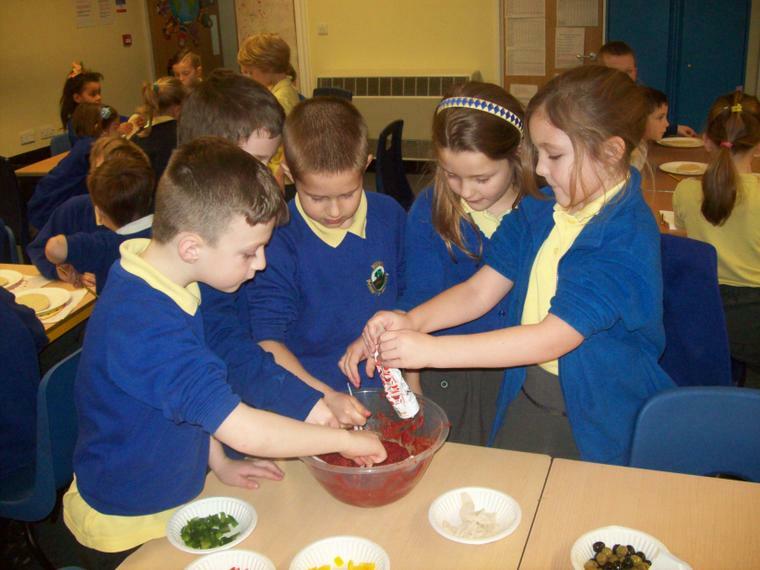 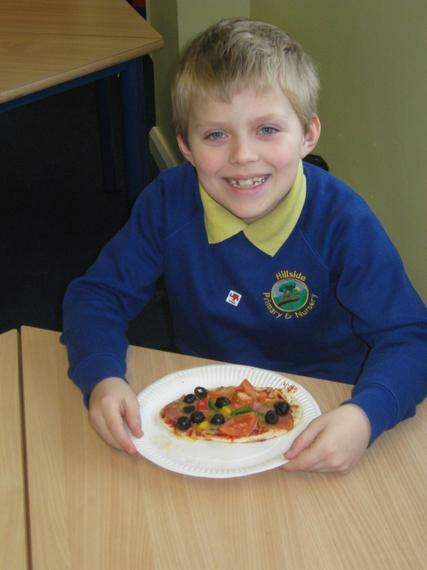 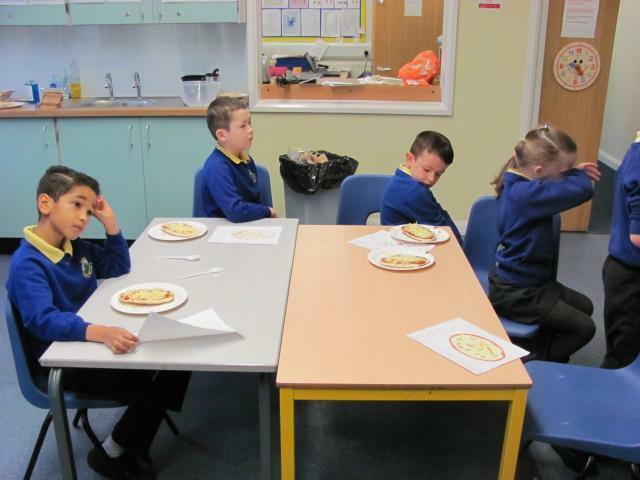 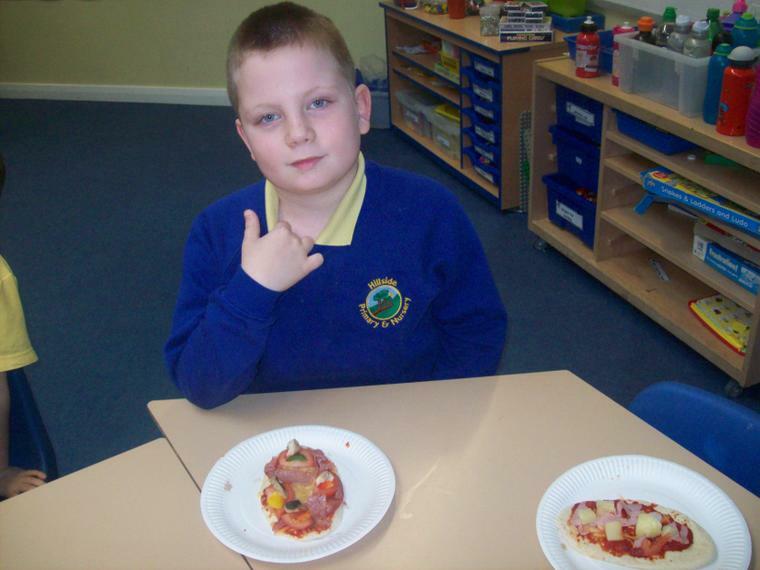 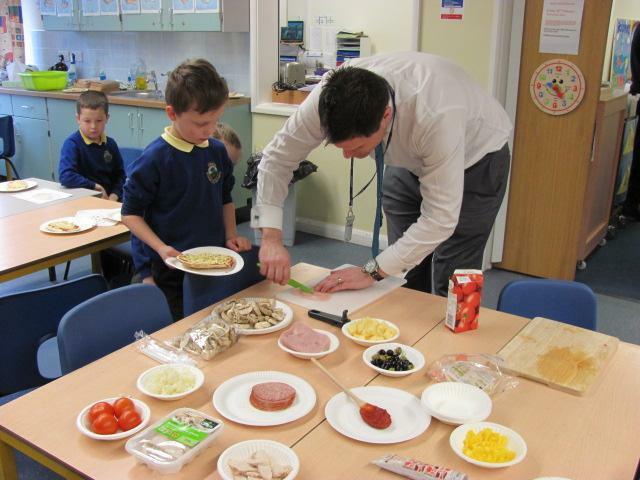 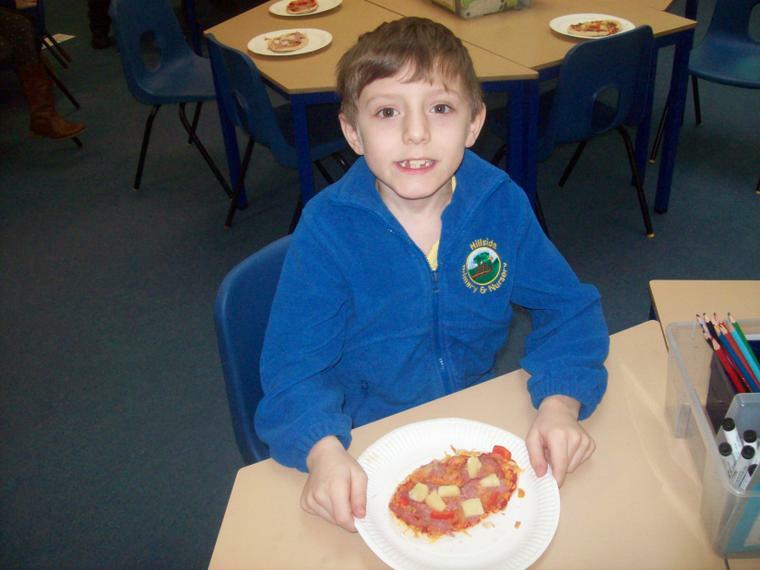 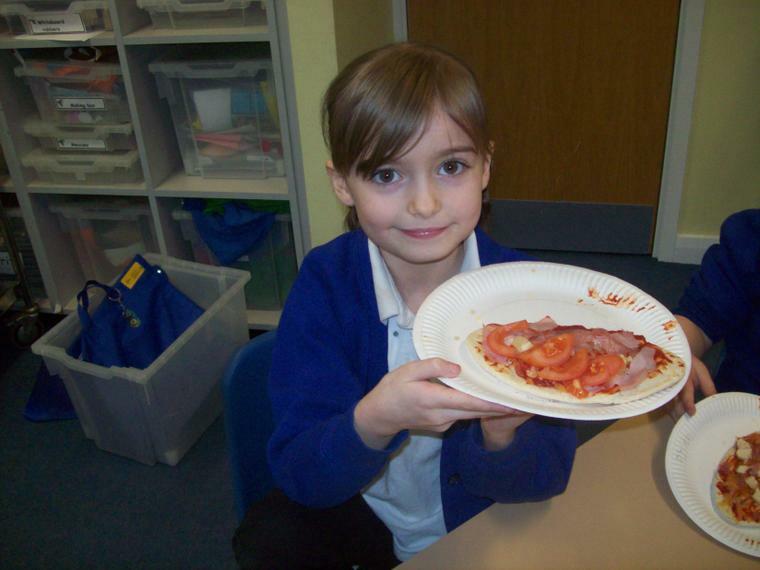 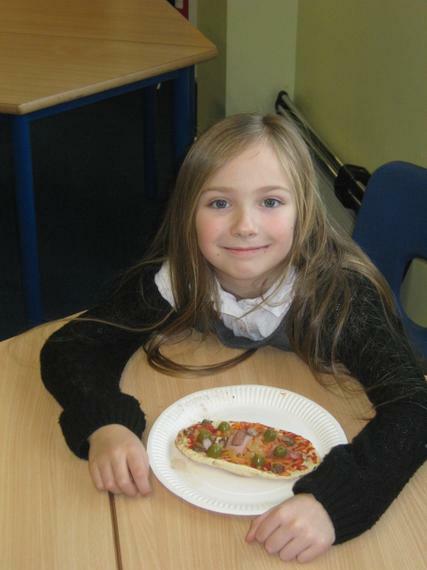 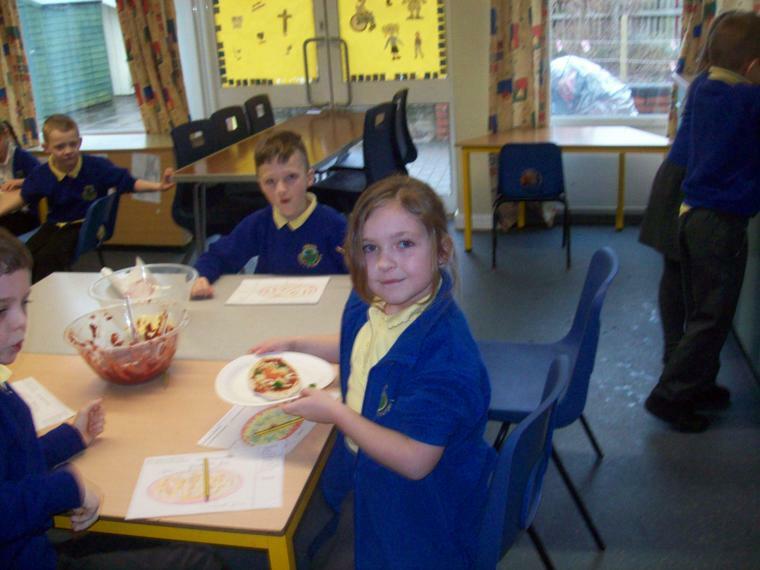 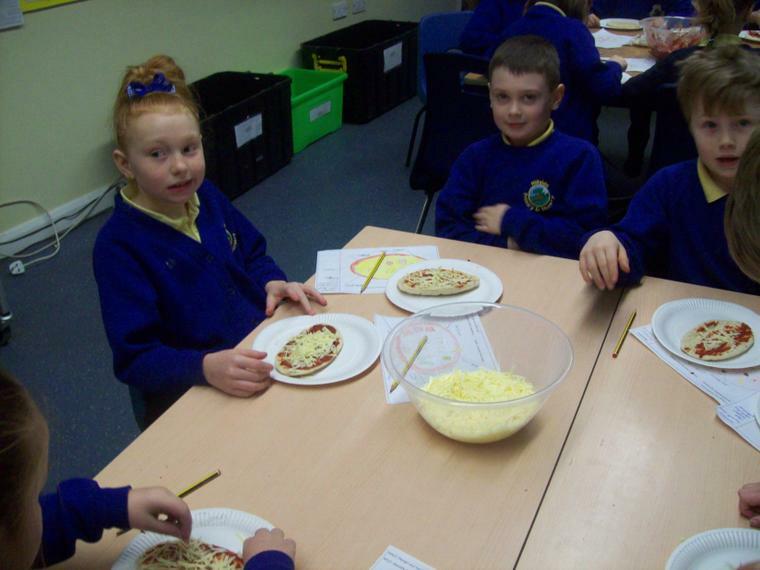 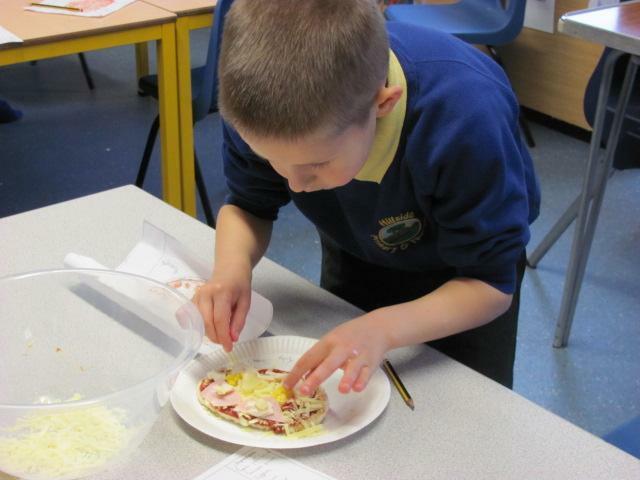 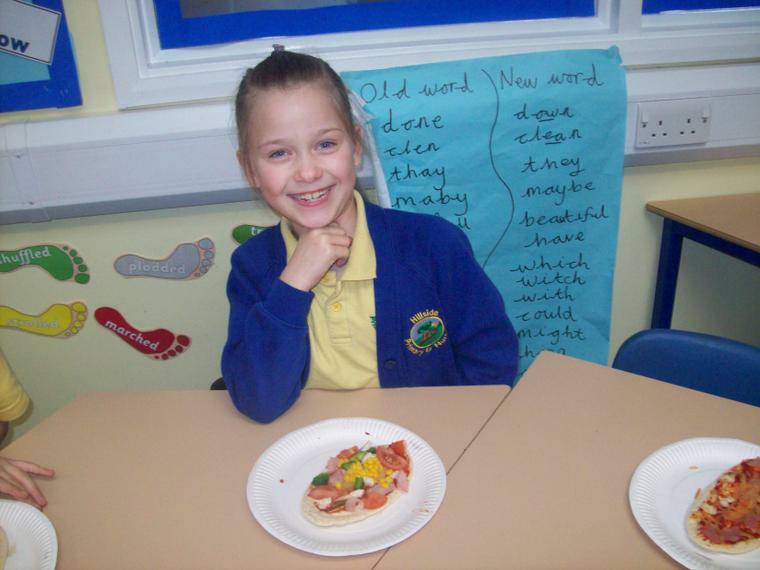 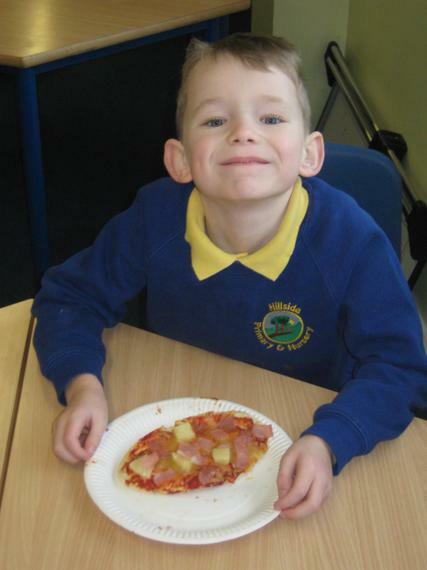 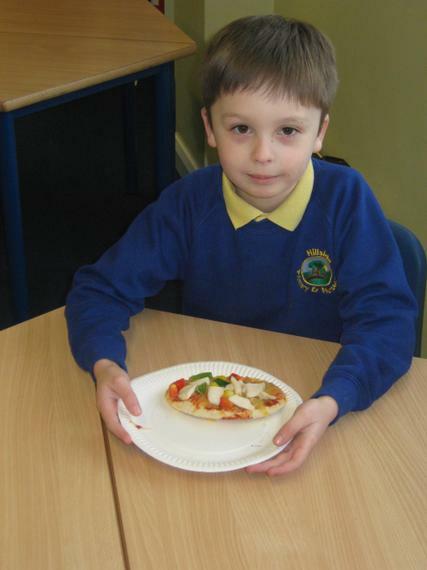 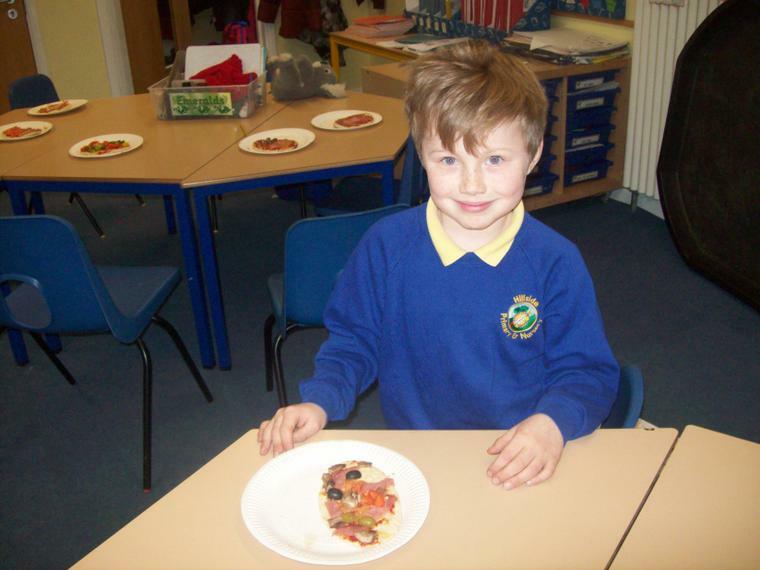 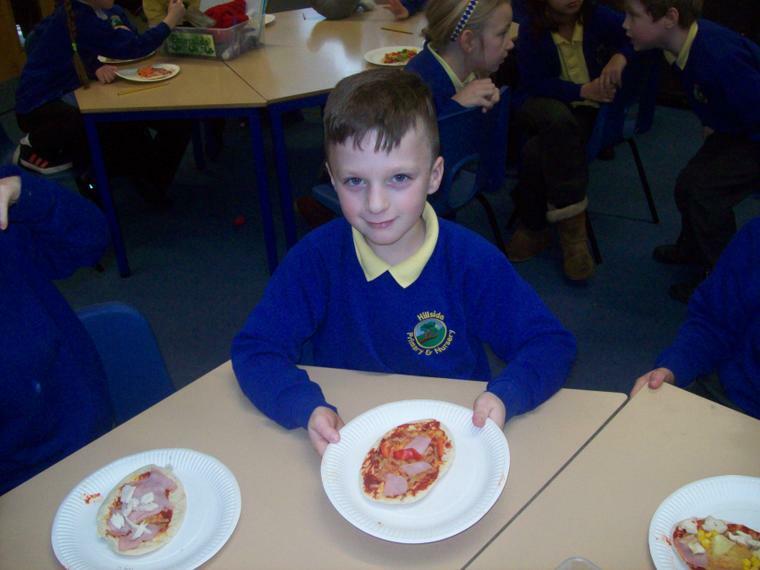 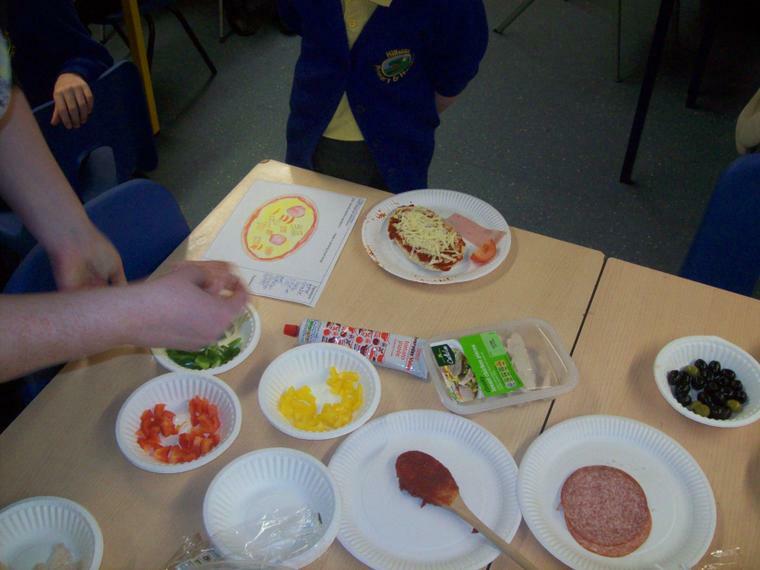 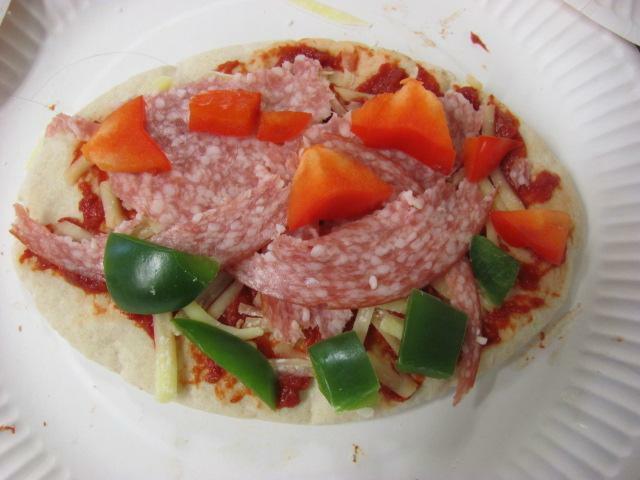 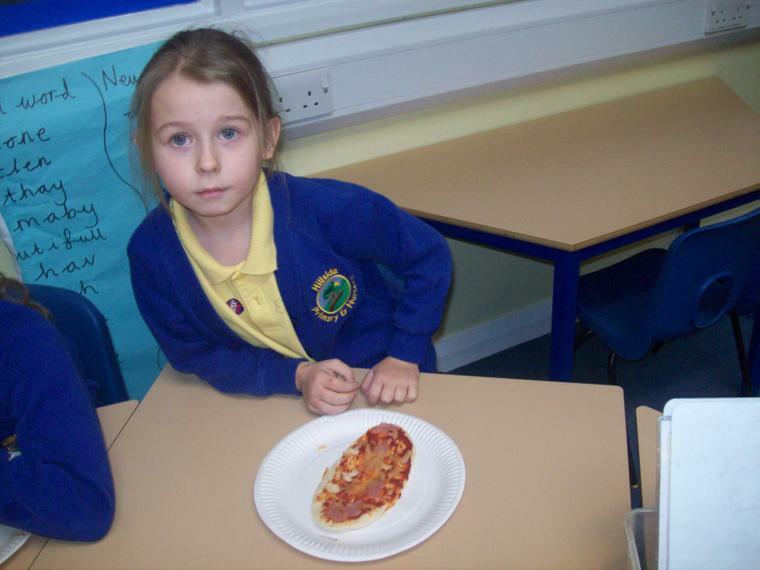 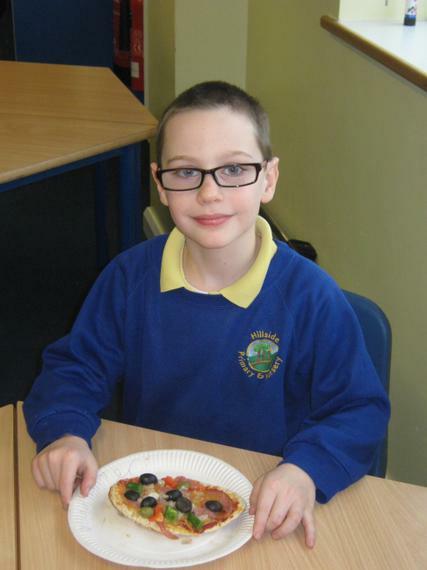 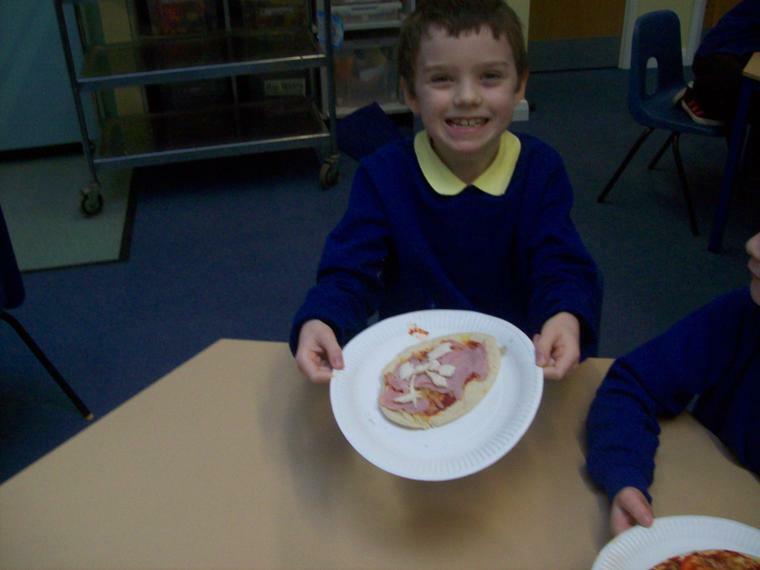 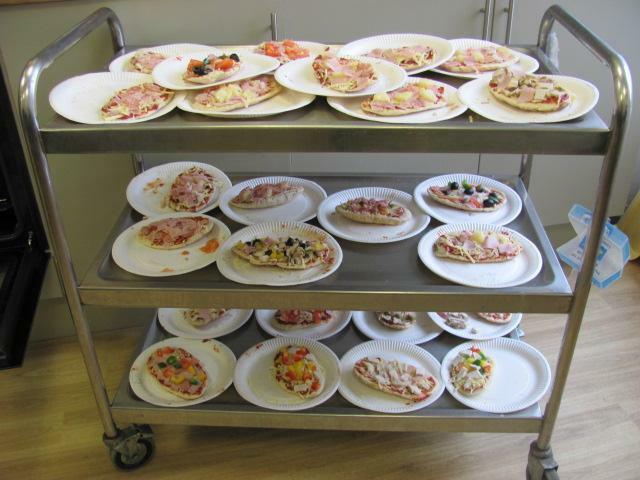 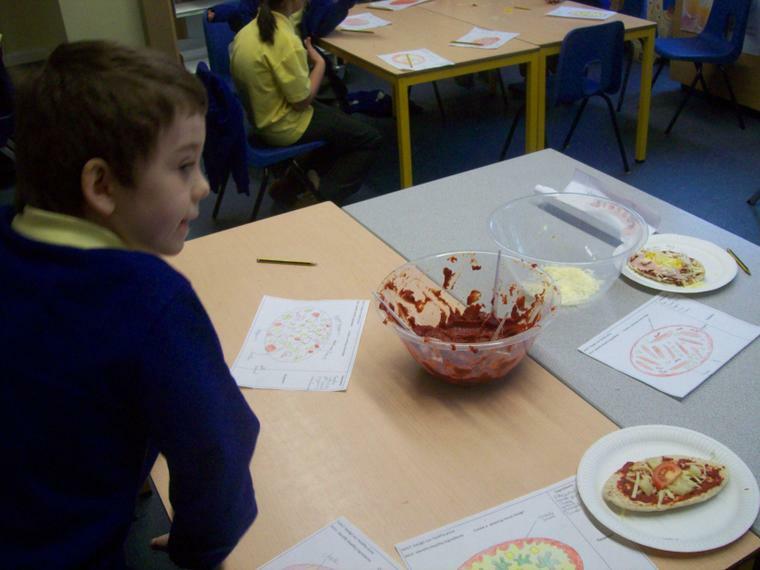 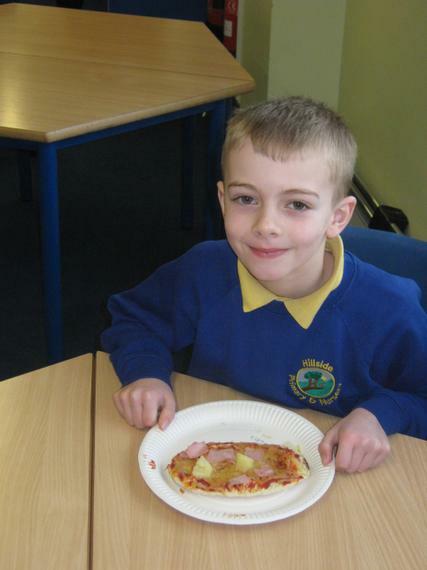 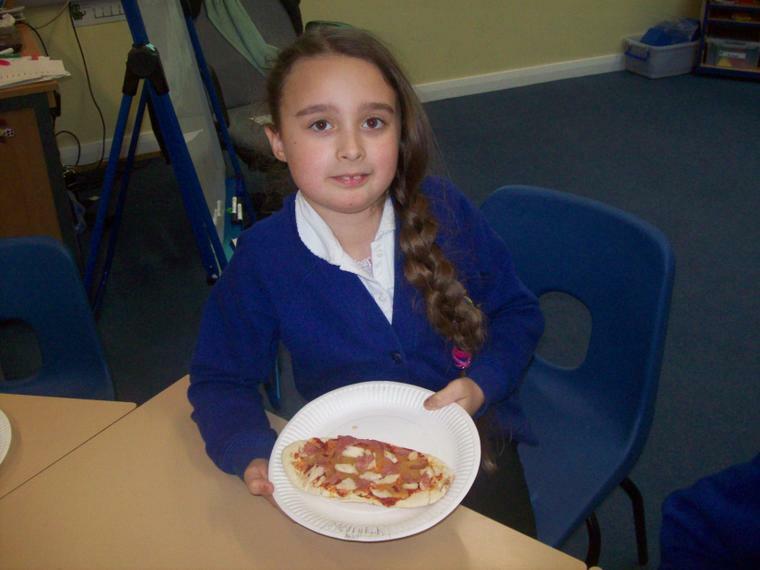 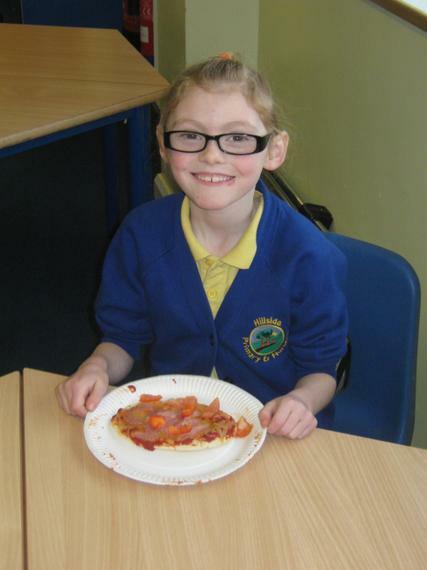 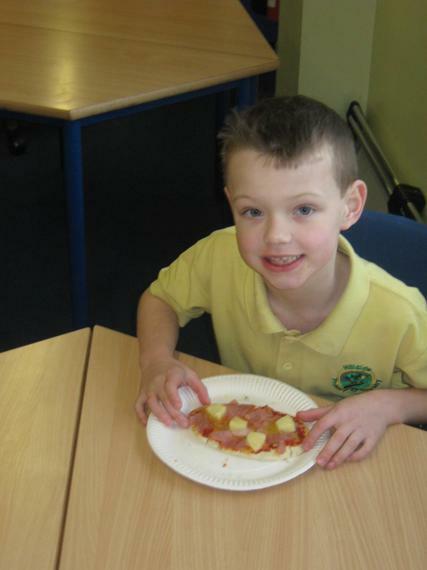 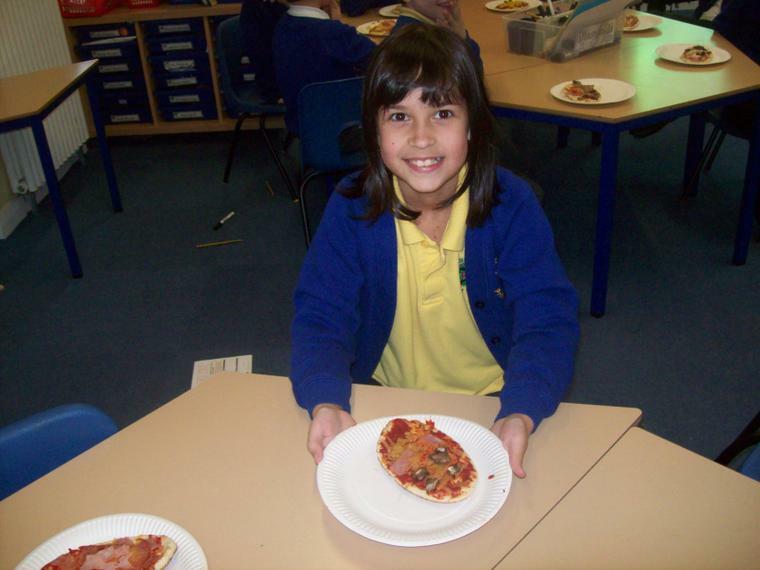 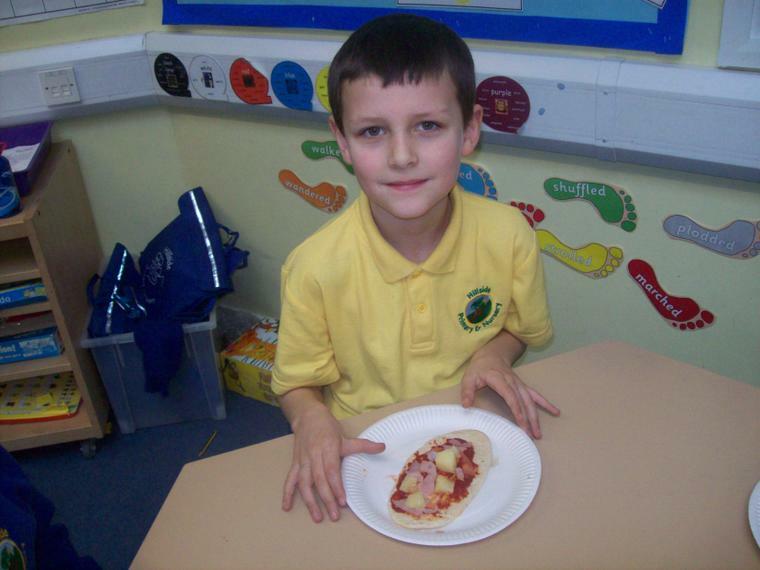 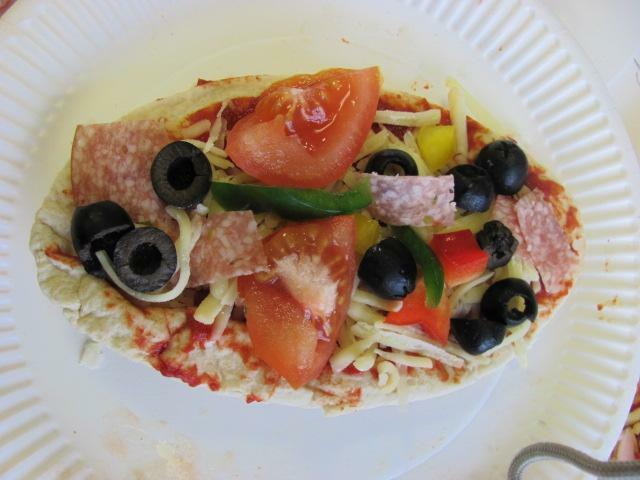 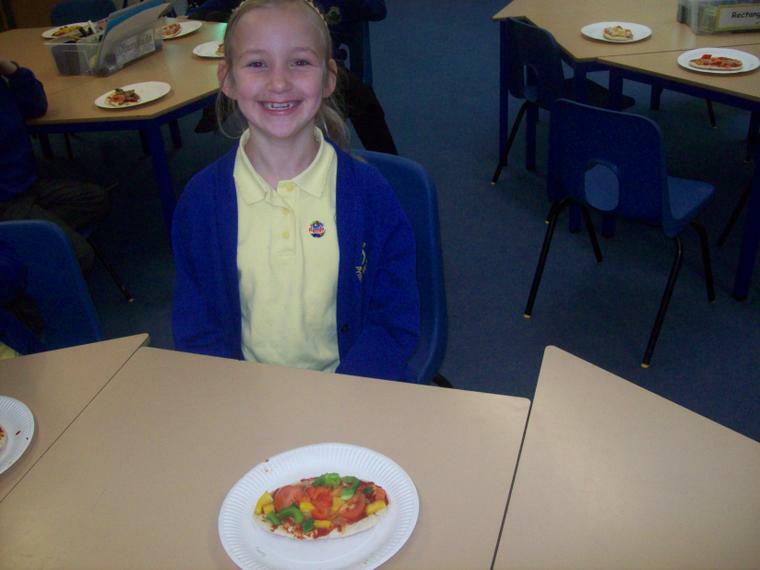 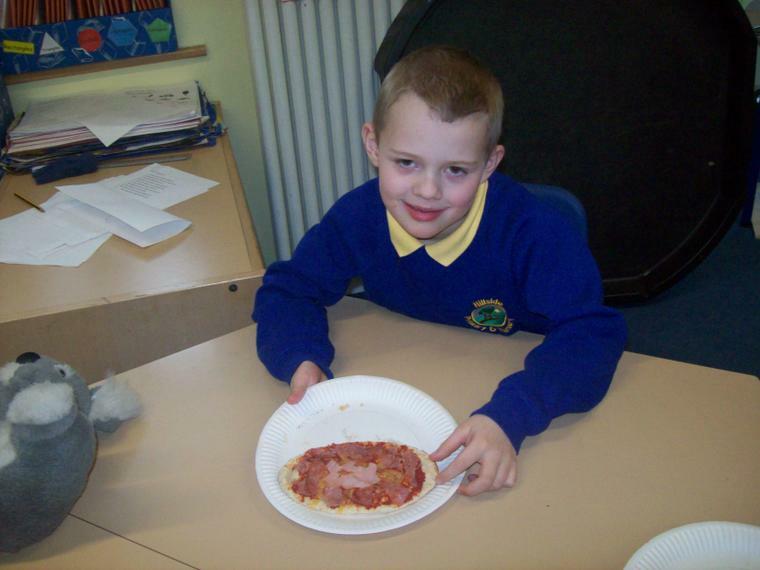 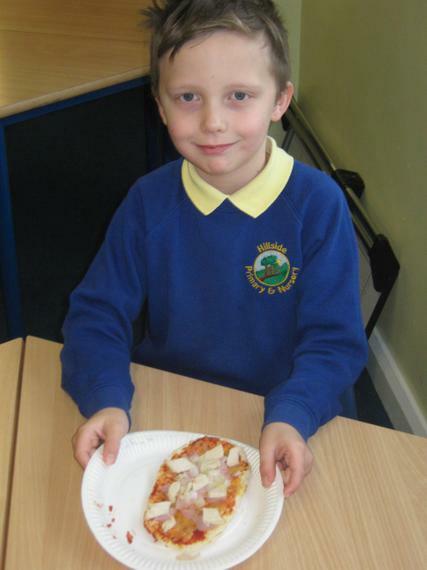 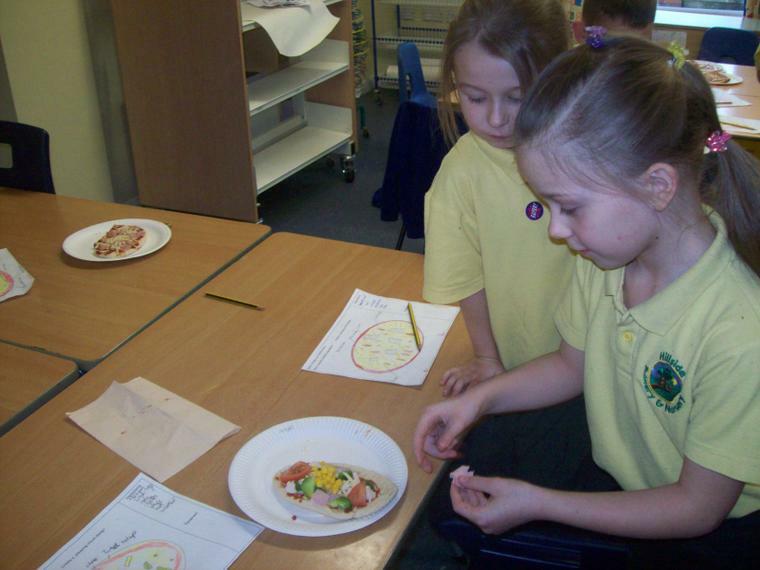 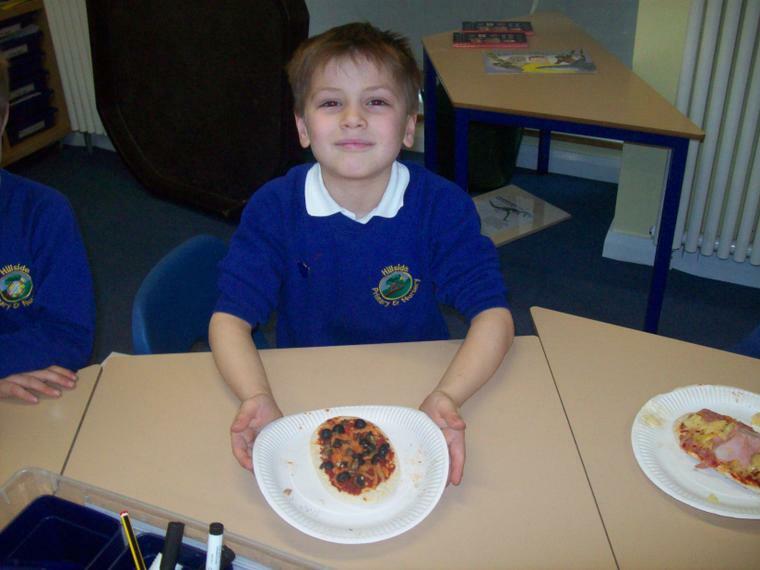 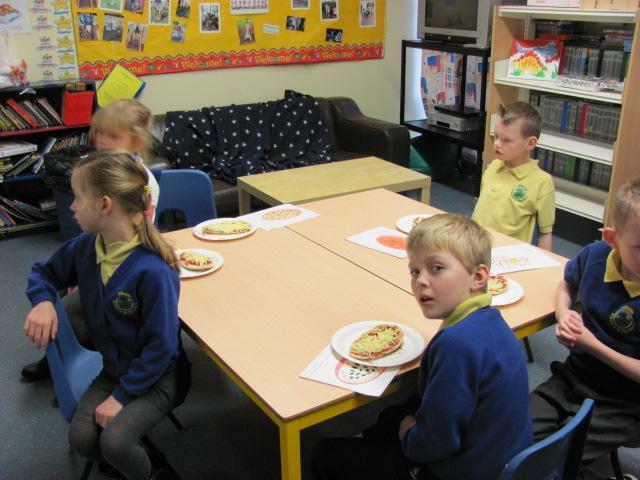 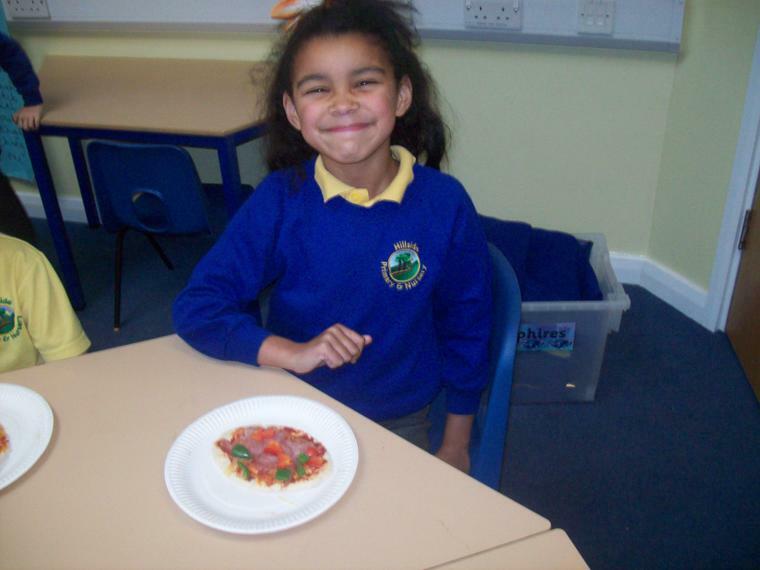 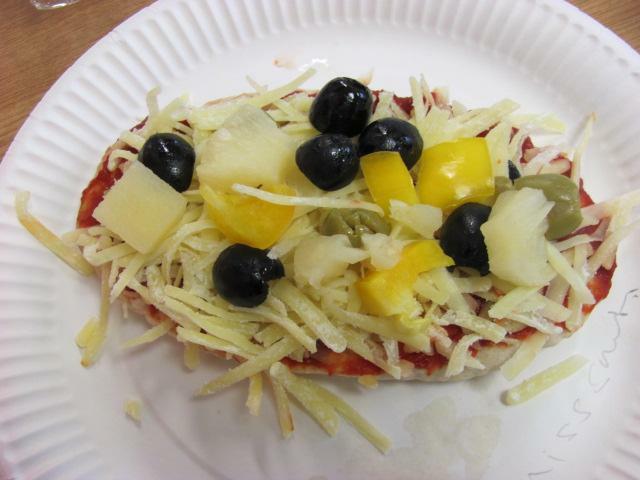 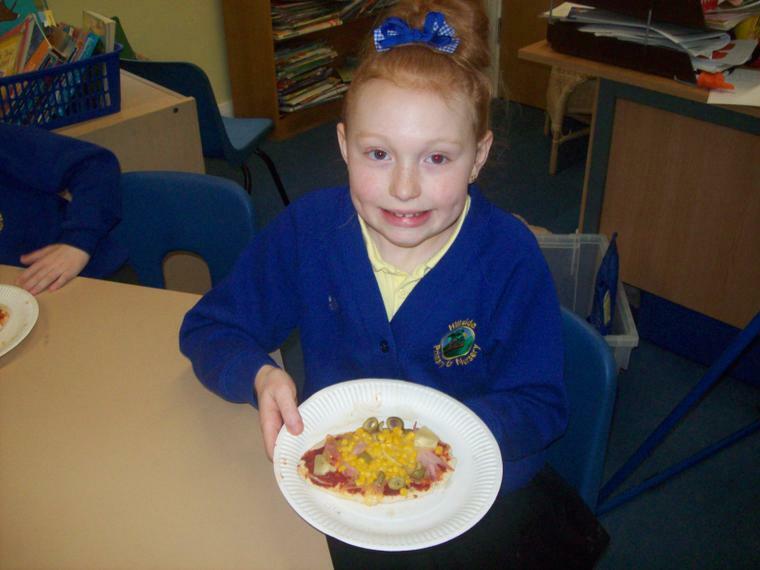 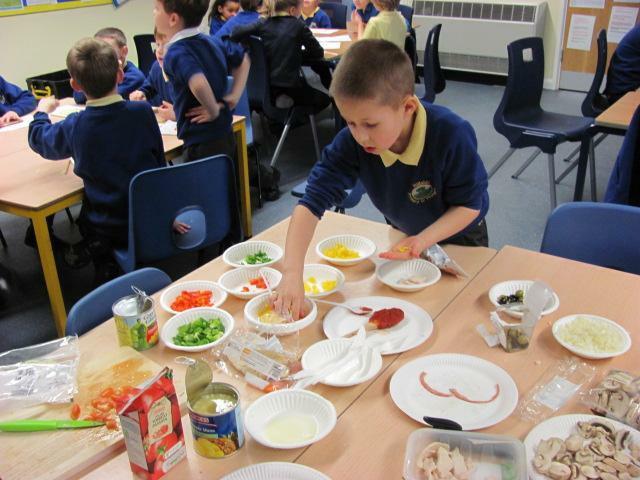 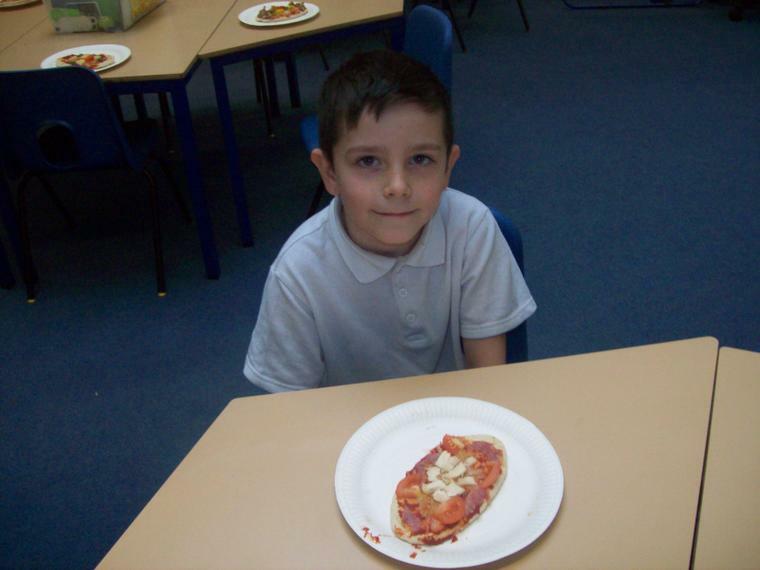 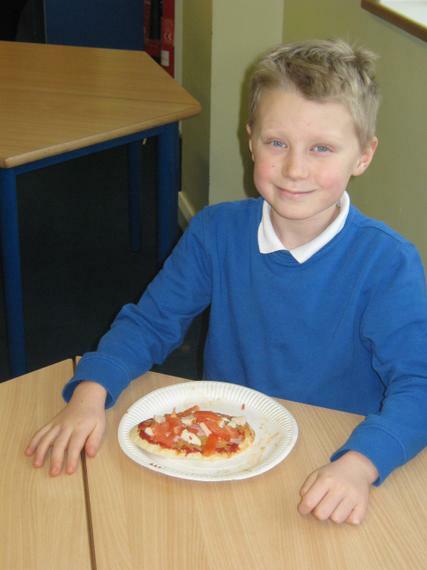 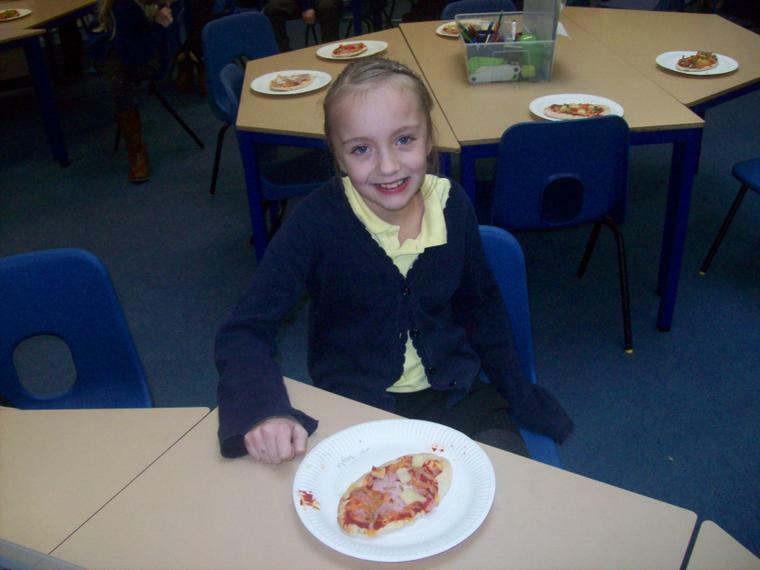 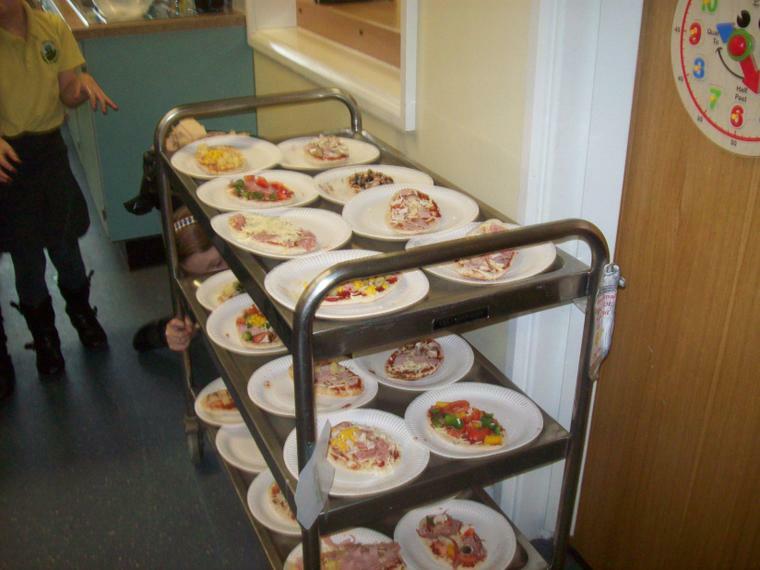 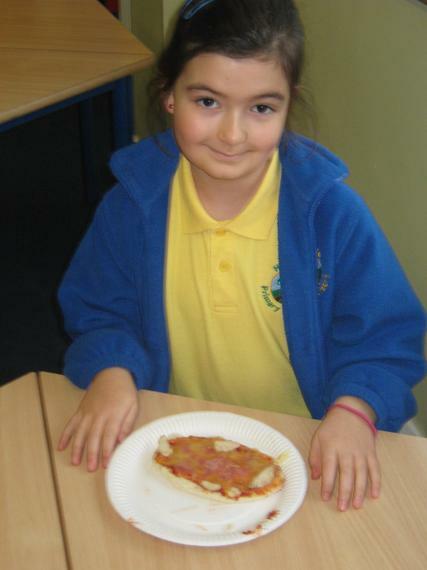 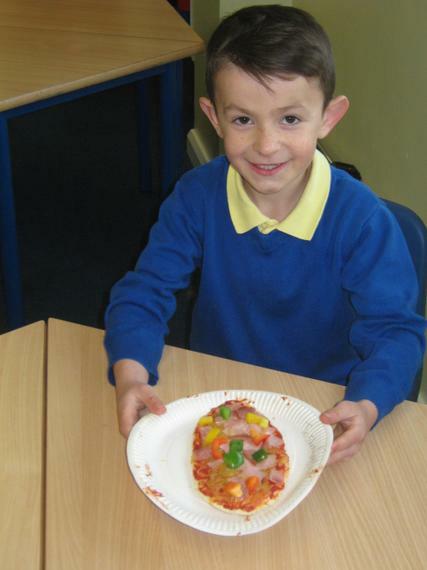 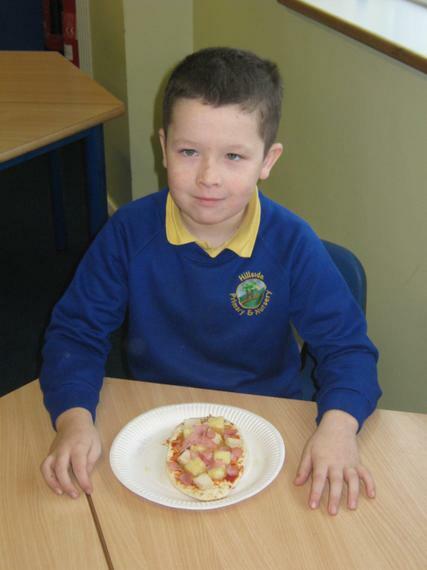 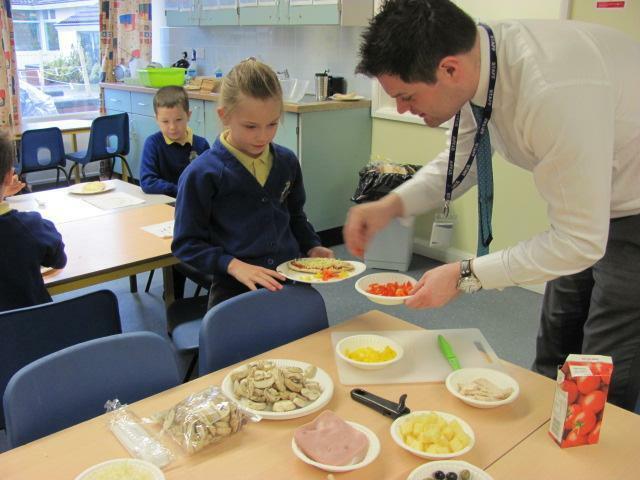 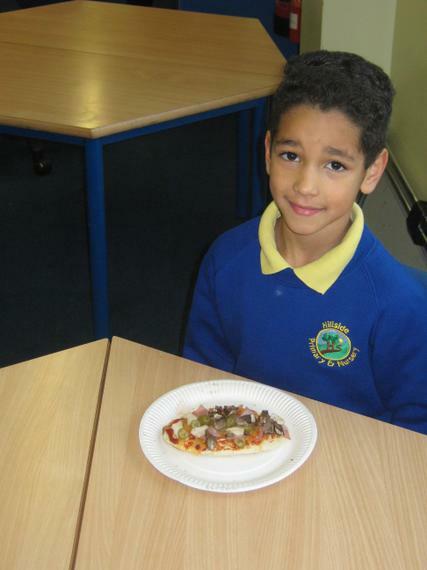 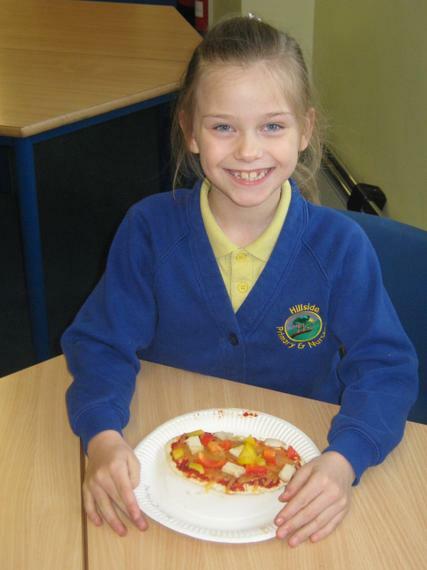 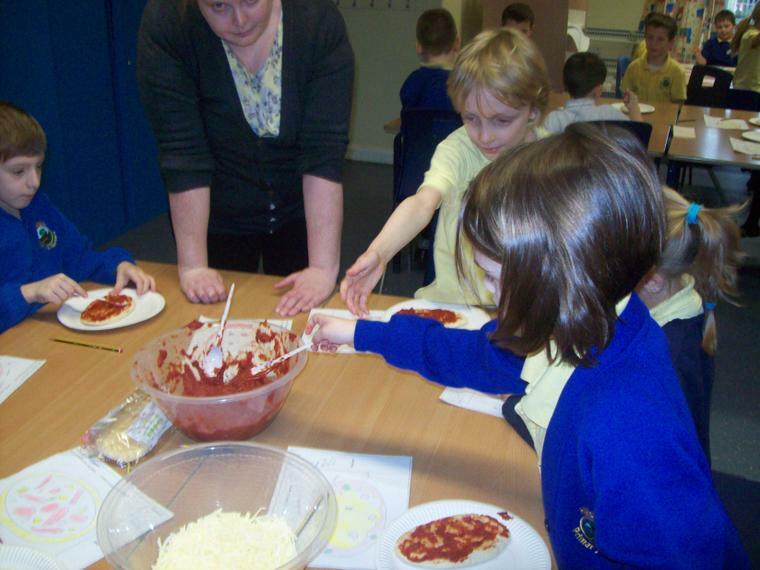 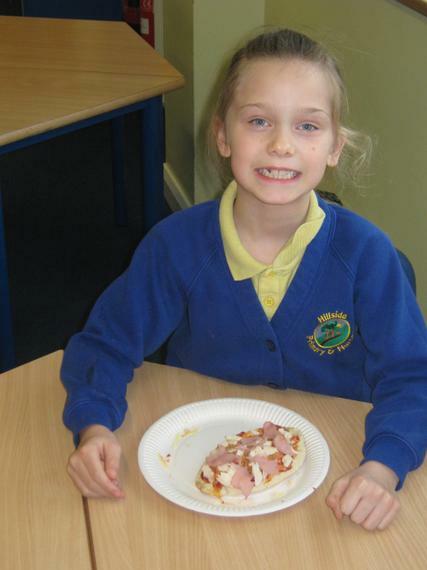 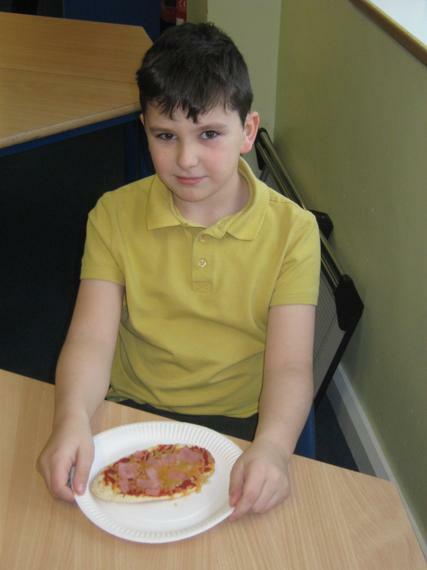 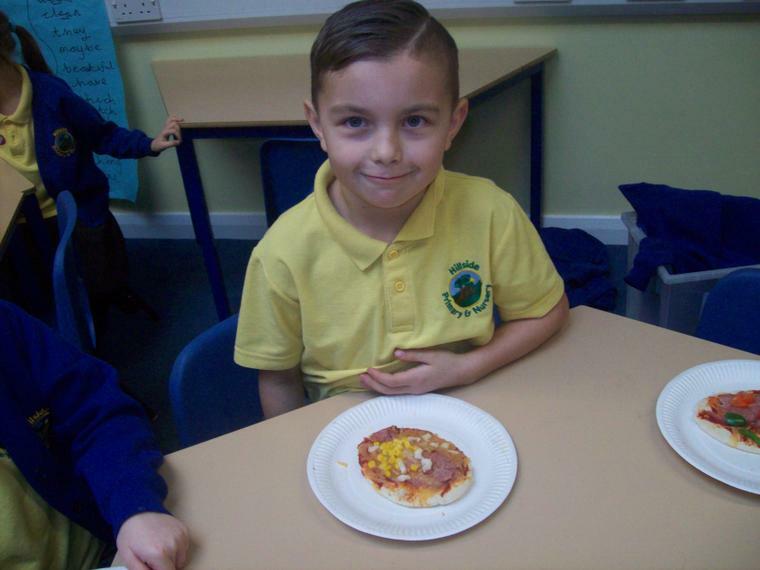 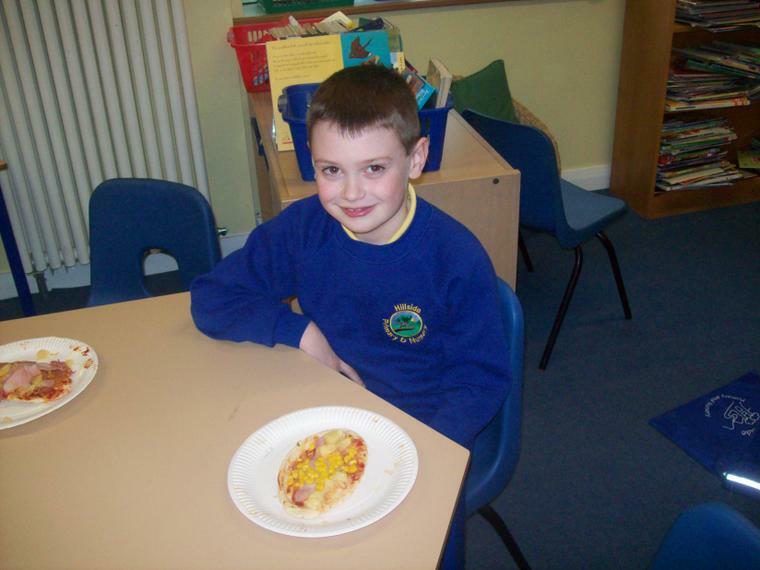 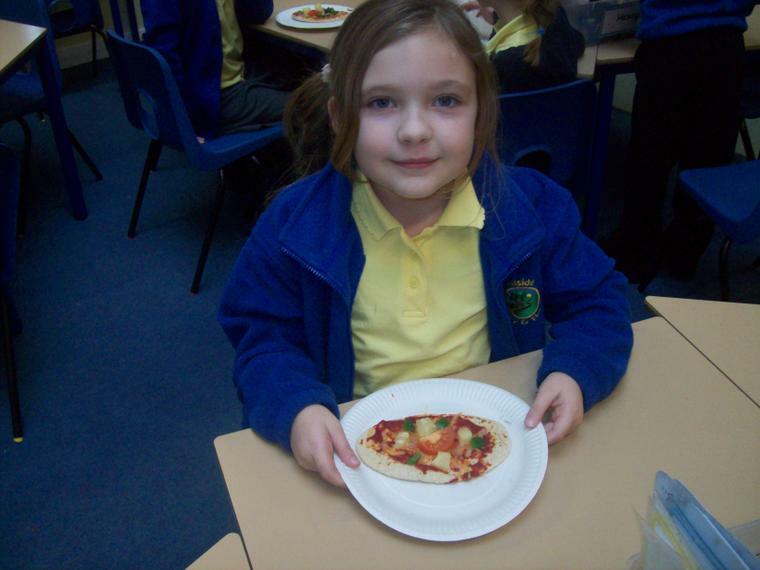 Today we are making healthy pizzas! 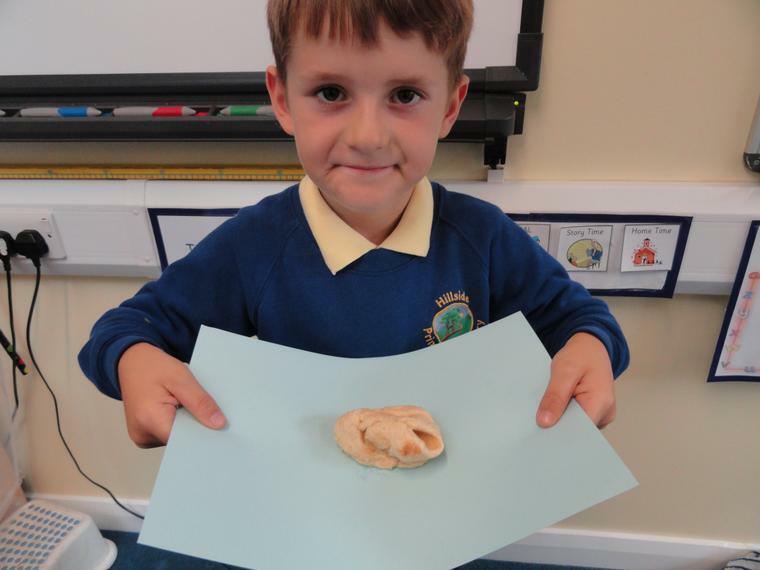 This week we are learning about bones and looking at skeletons. 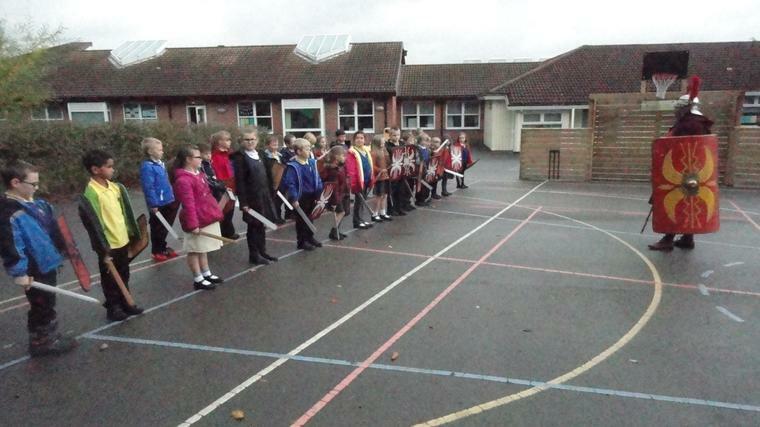 The Koalas are busy practising for their assembly! 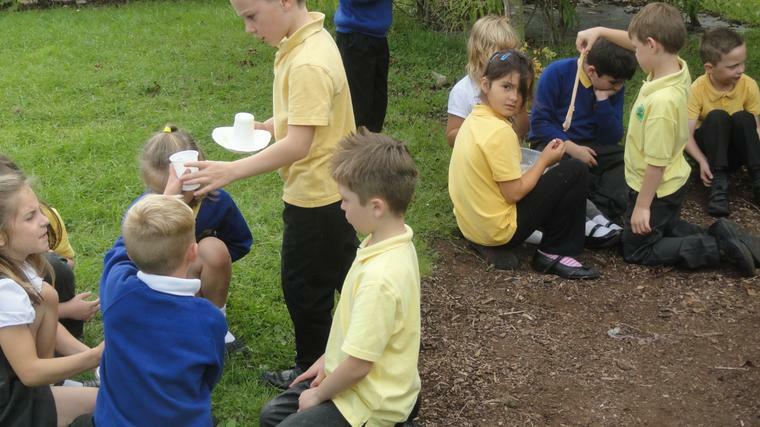 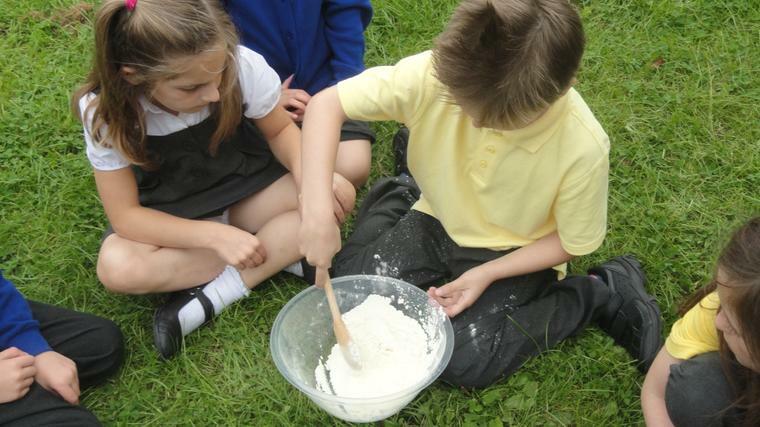 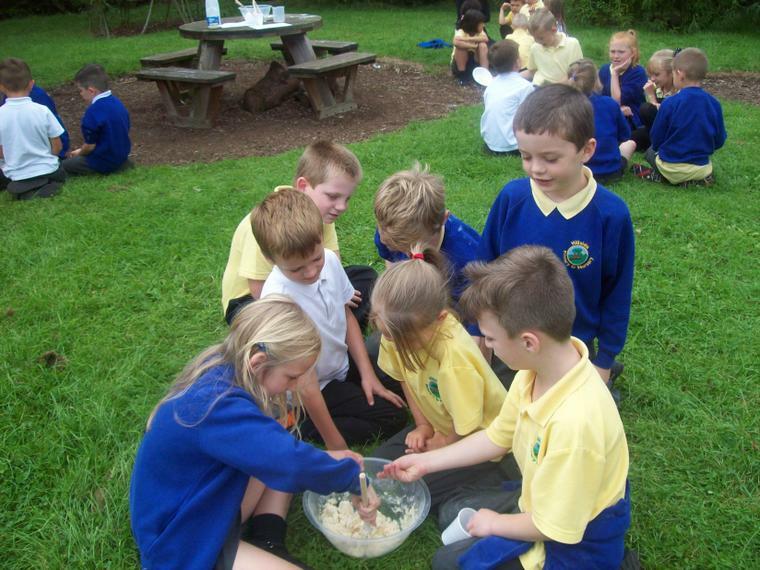 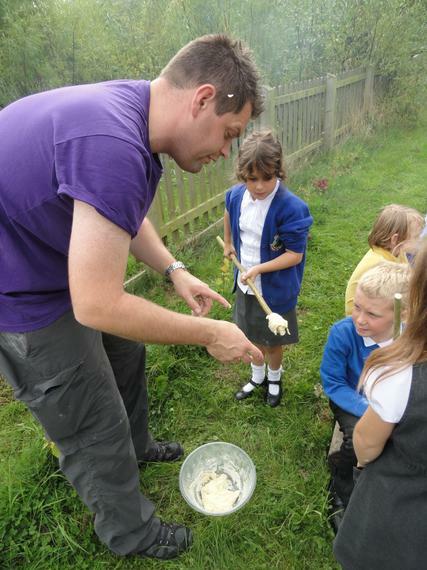 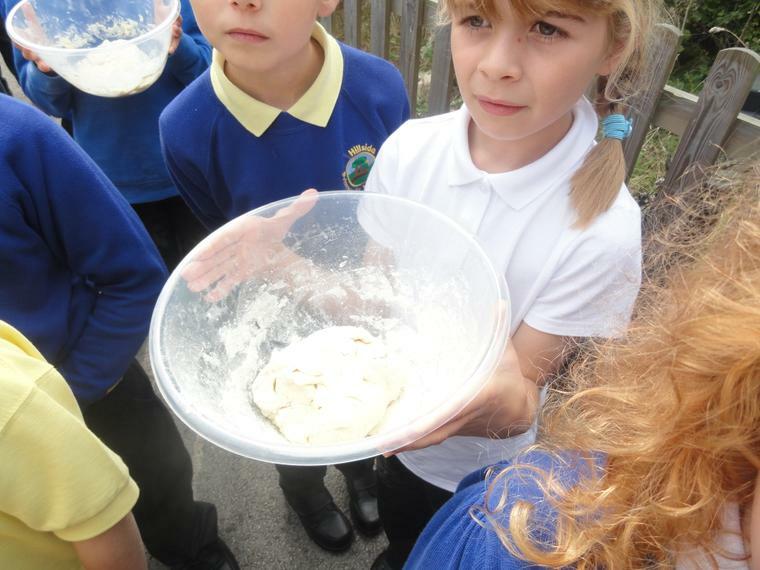 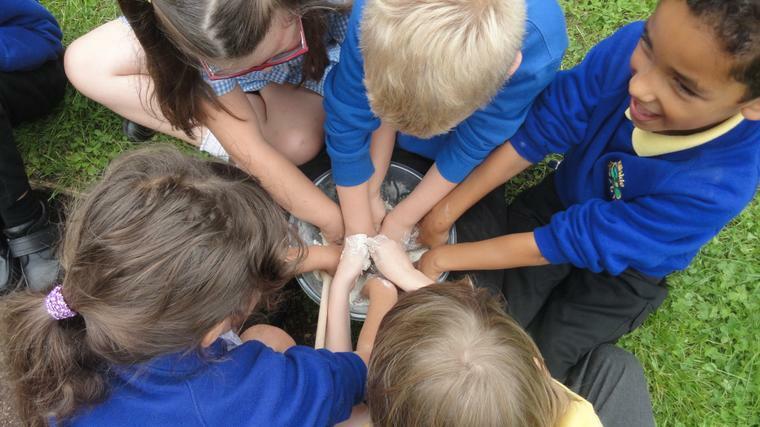 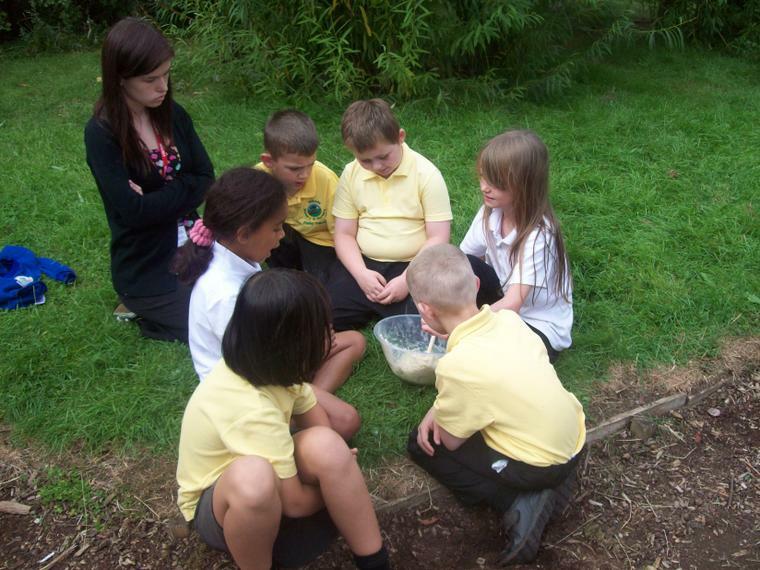 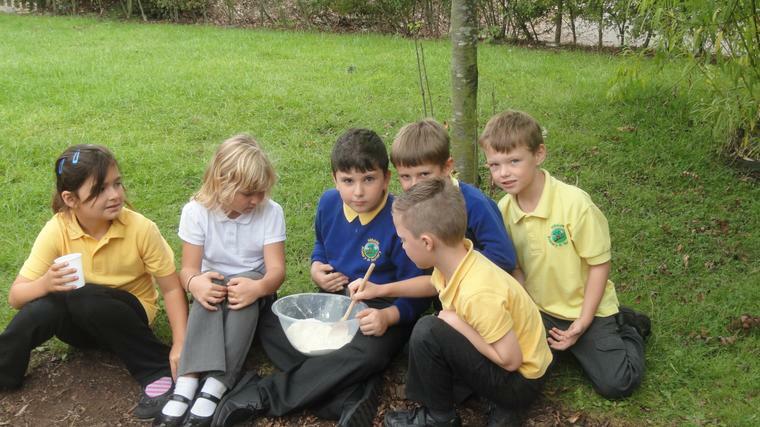 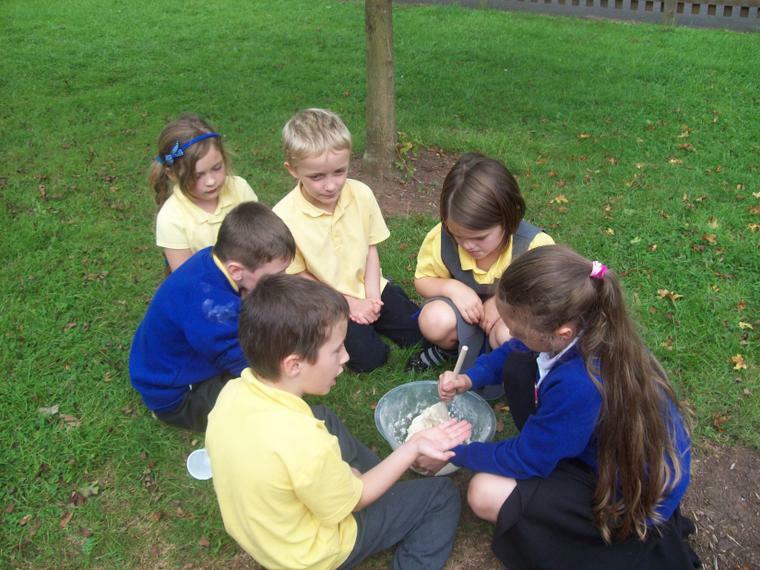 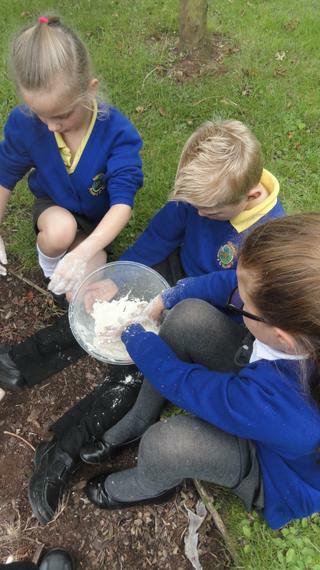 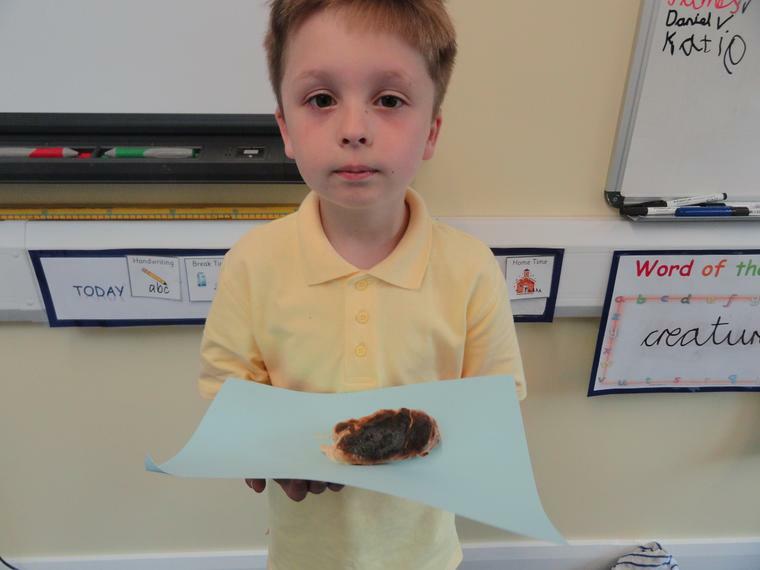 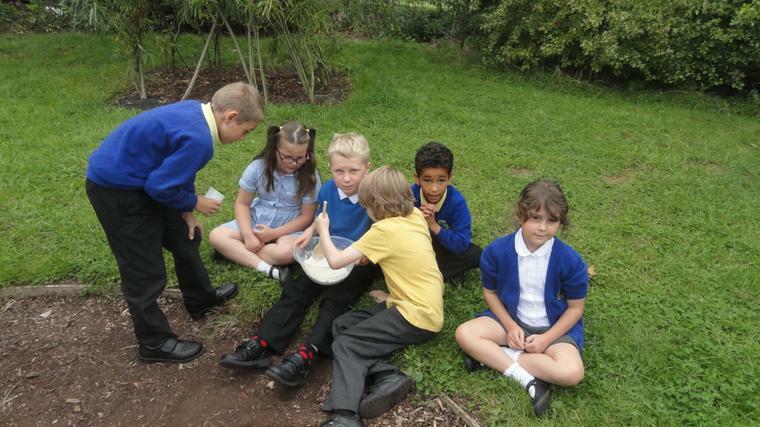 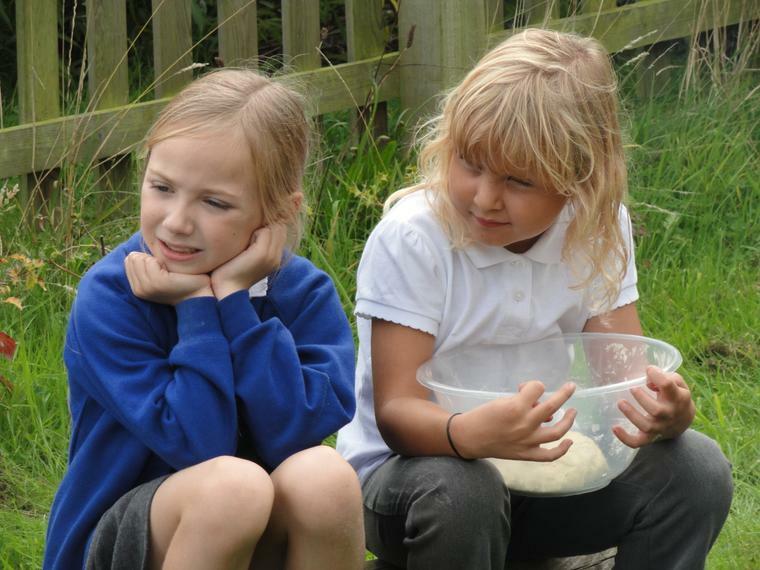 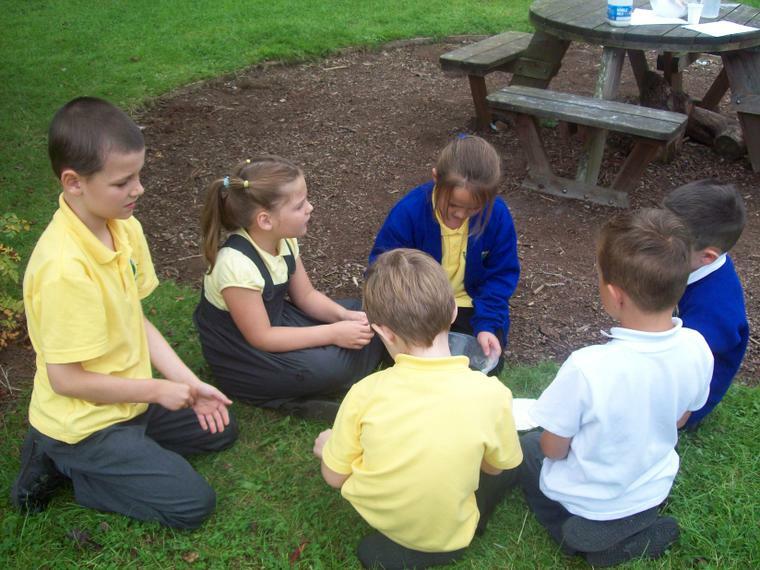 We did lots of science last week about rocks and soils. 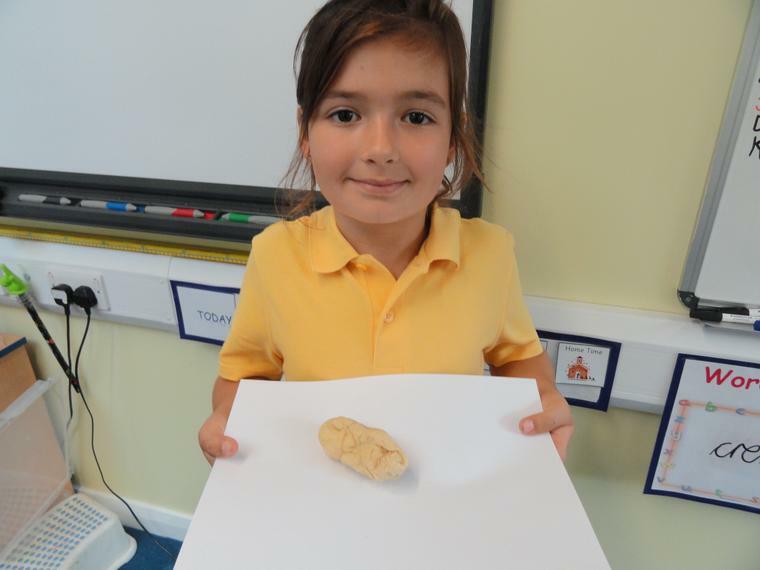 This week we are going to write a story about fossils and use the great vocabulary that we have been learning. 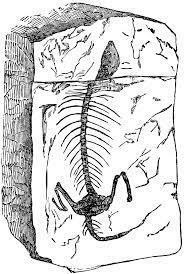 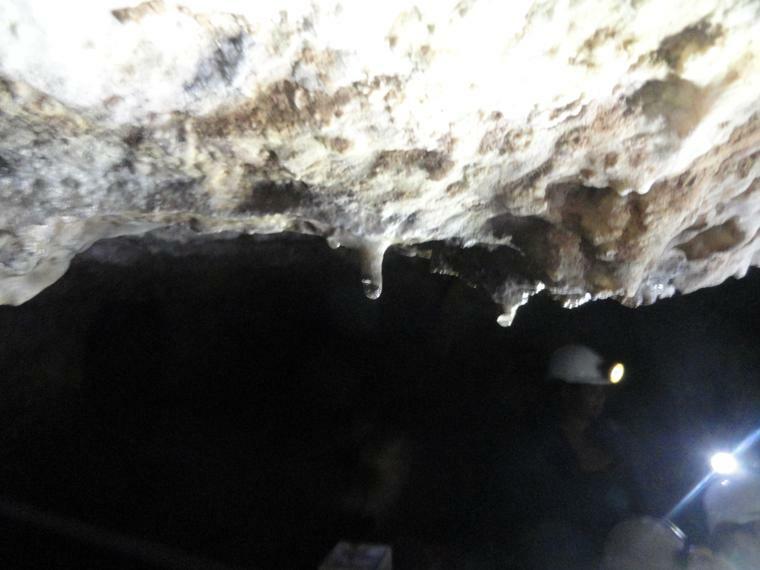 and the way that fossils are made. 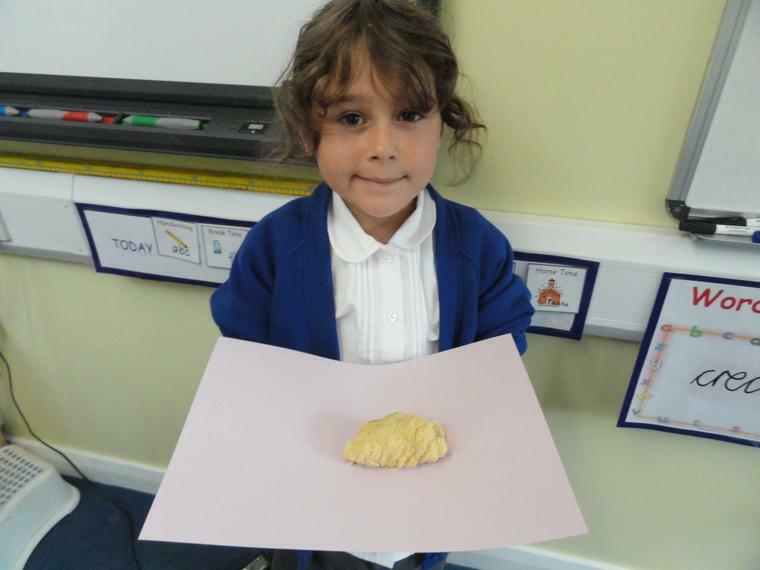 We have begun to make our model buildings - they look amazing! 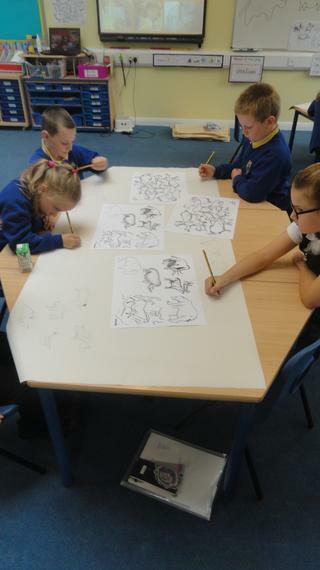 We are hoping to decorate them and put finishing touches to them this week, along with Christmas practises! 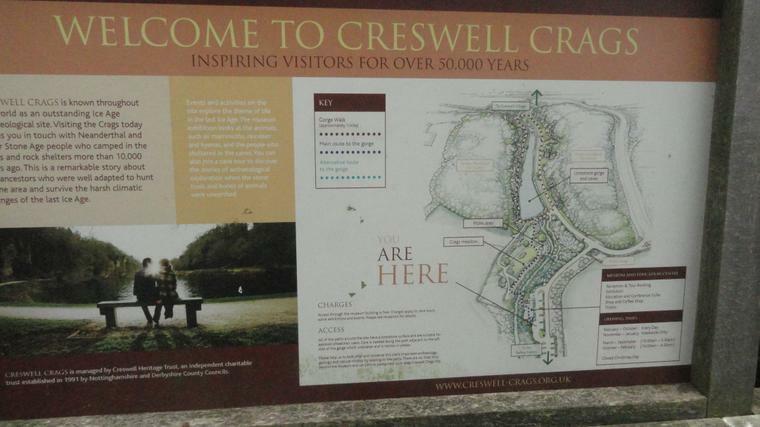 project to design and build a model town. 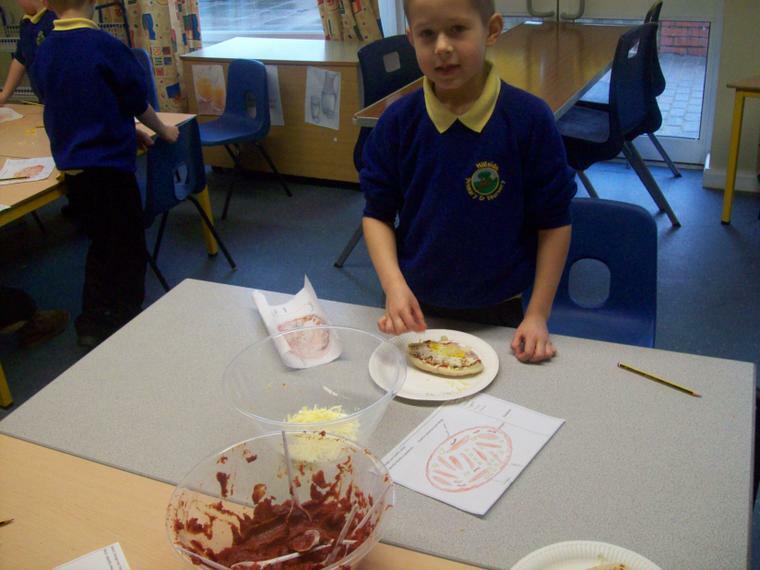 This week we are beginning to plan and build our own town. 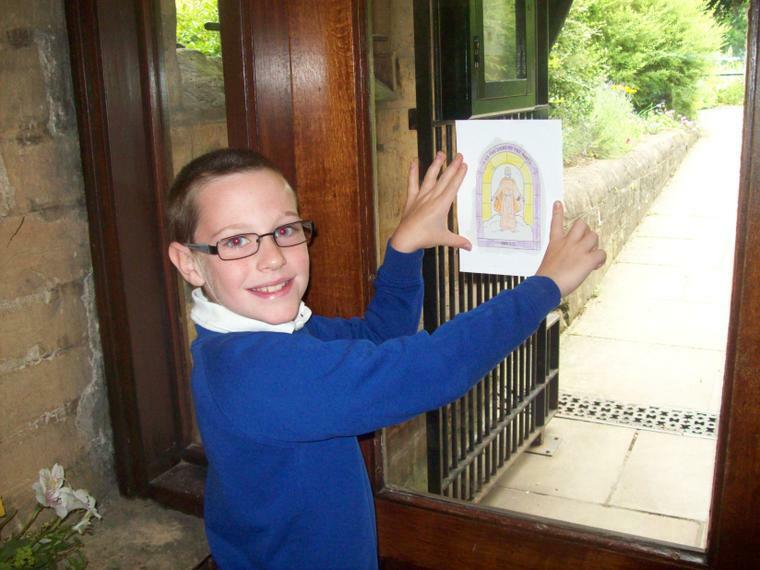 watch out for our fantastic buildings and maps! 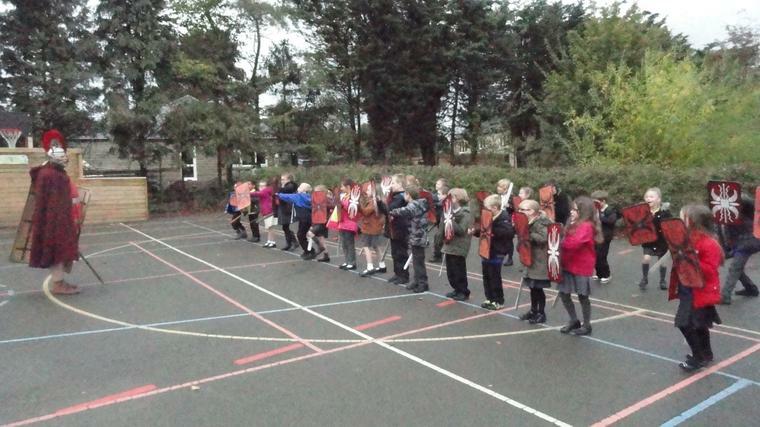 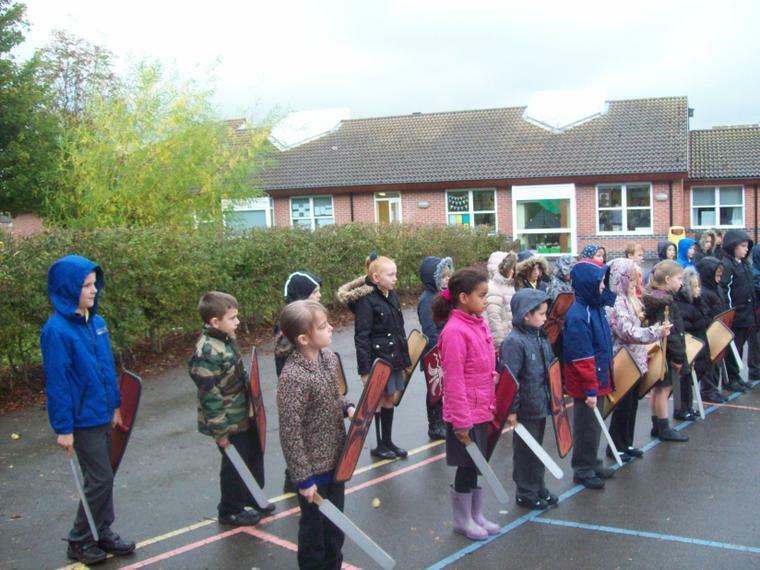 We have been enjoying learning about The Great War and poppies. 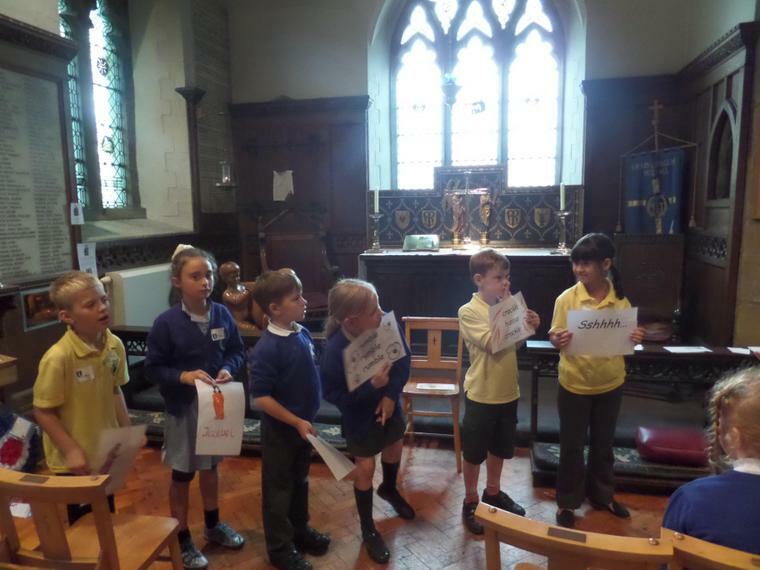 We decided what things we would like to remember. 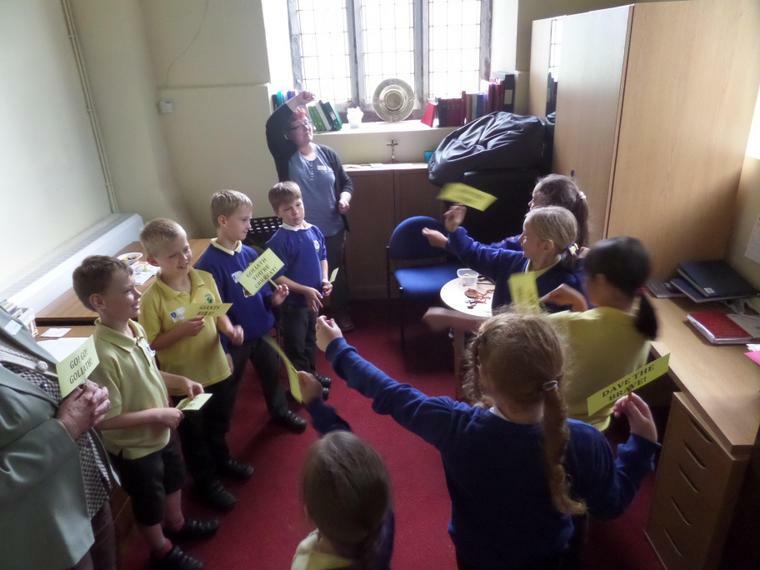 We are learning about anti-bullying and doing some activities. 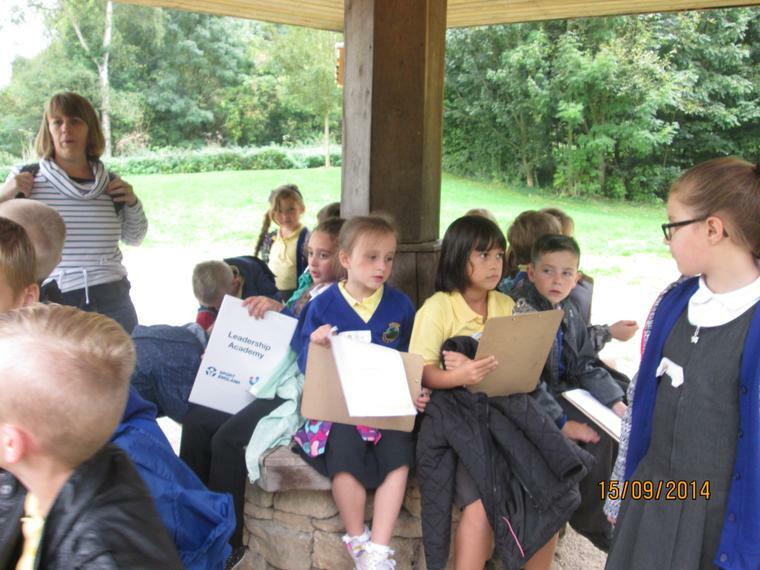 and last week we used QR codes to find out about a few. 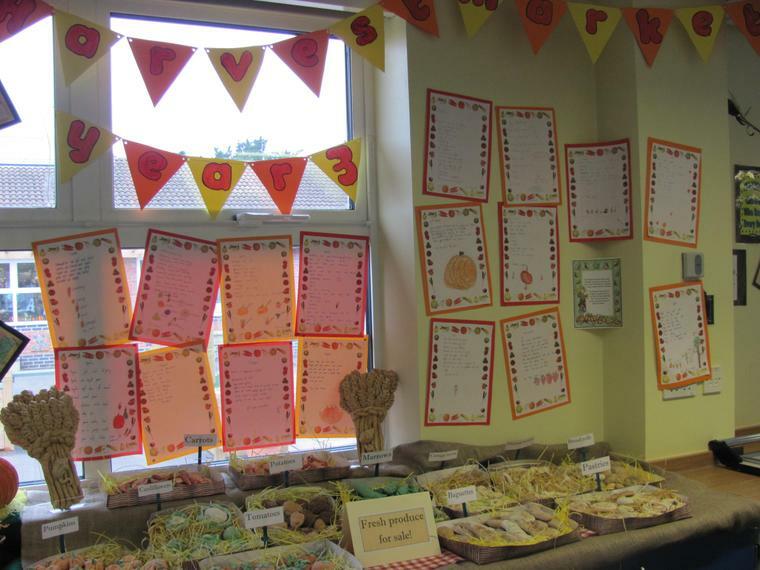 We have also been working hard on our Harvest display. 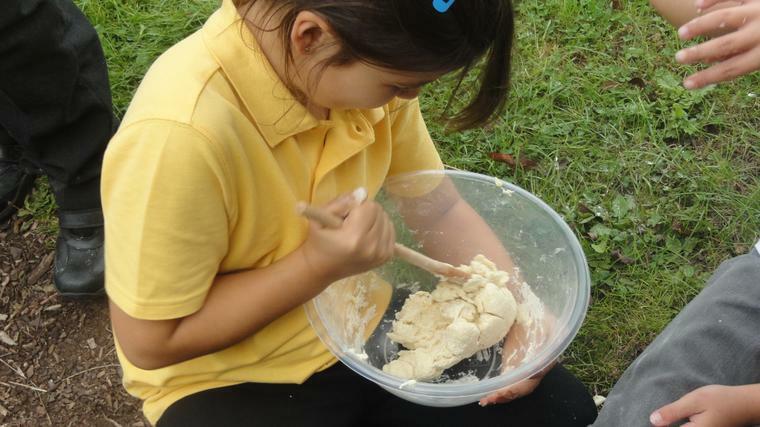 There will be some home learning for half term. 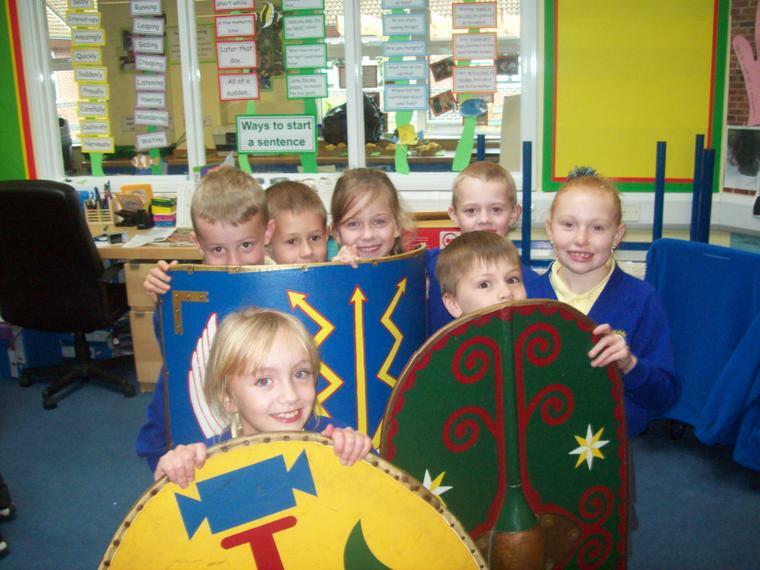 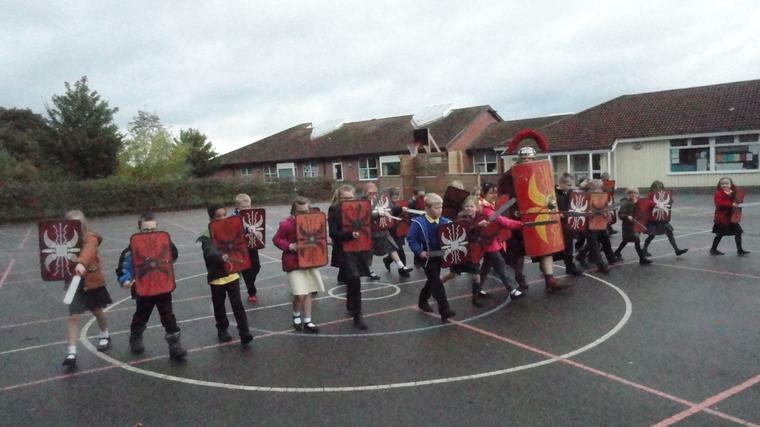 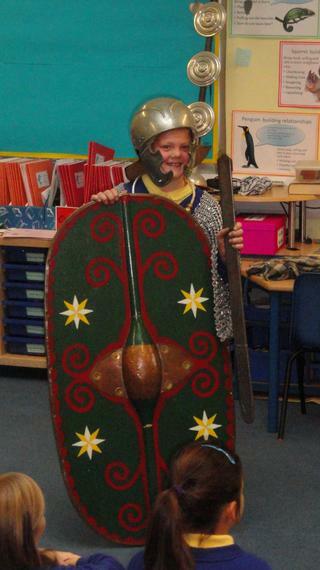 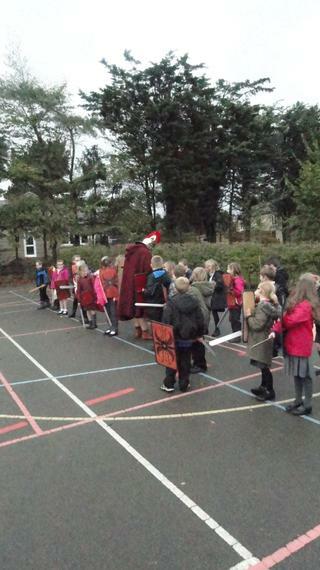 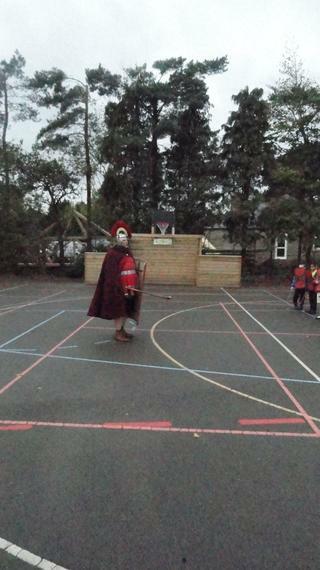 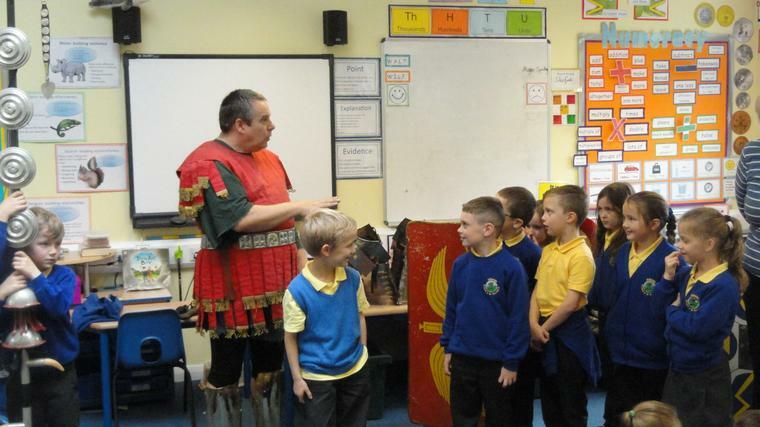 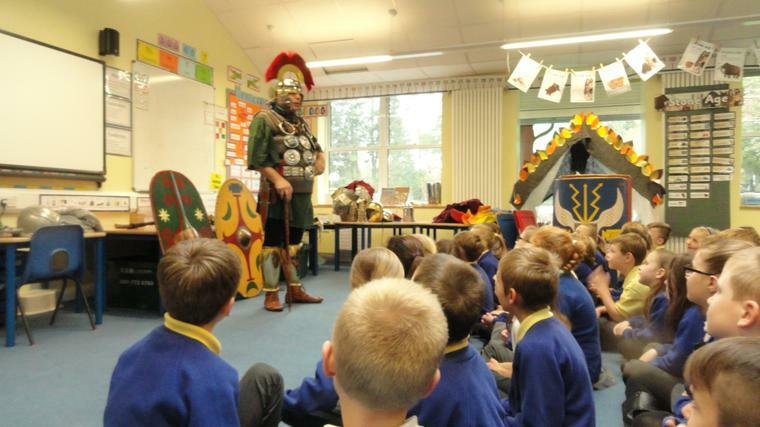 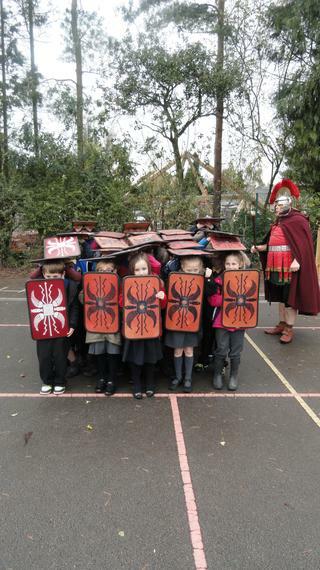 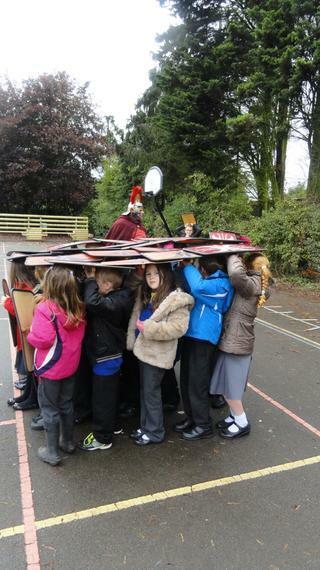 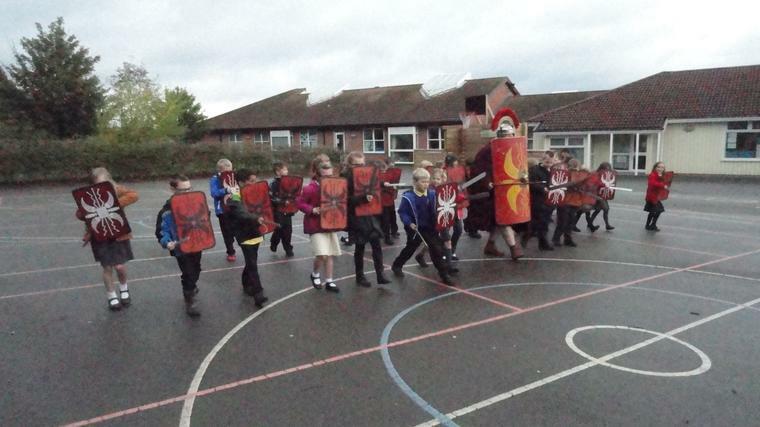 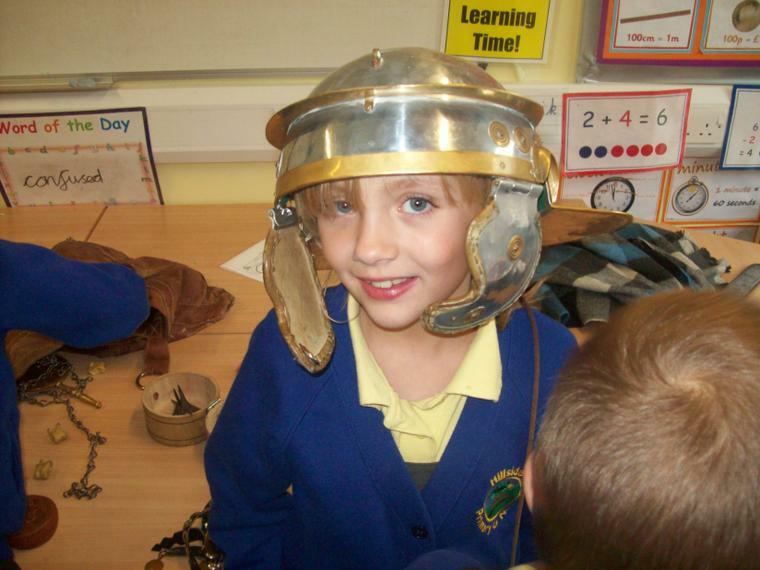 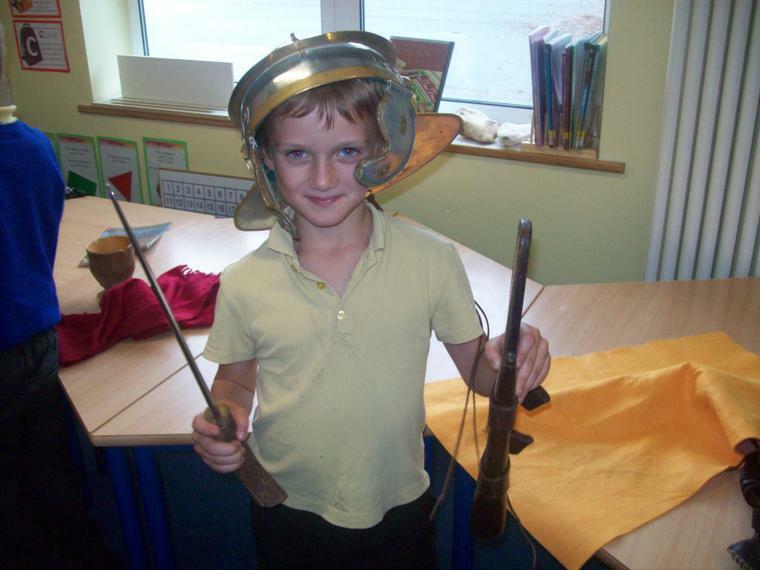 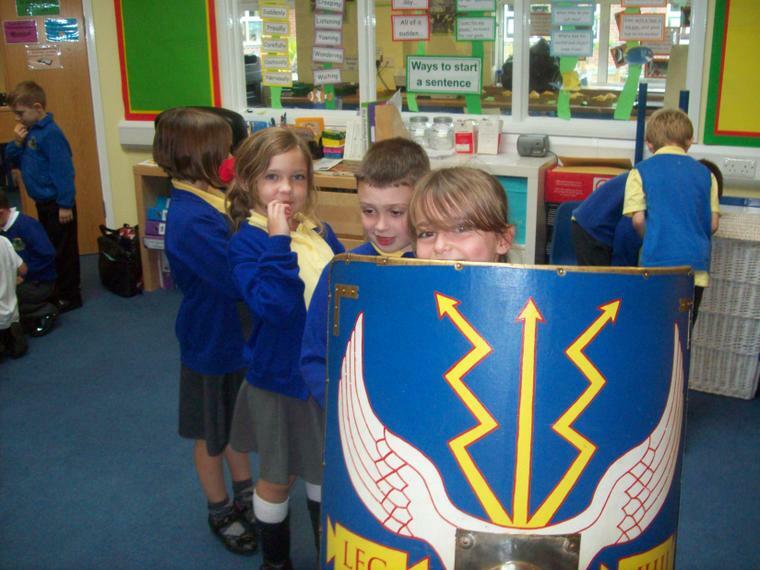 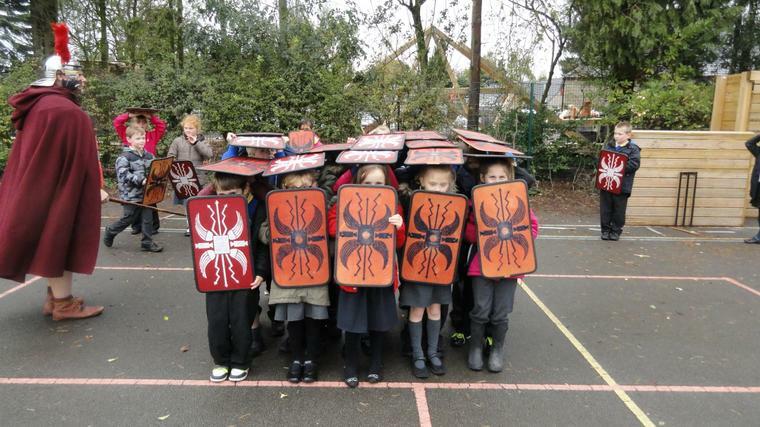 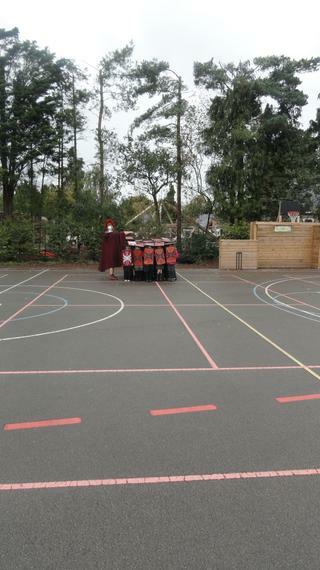 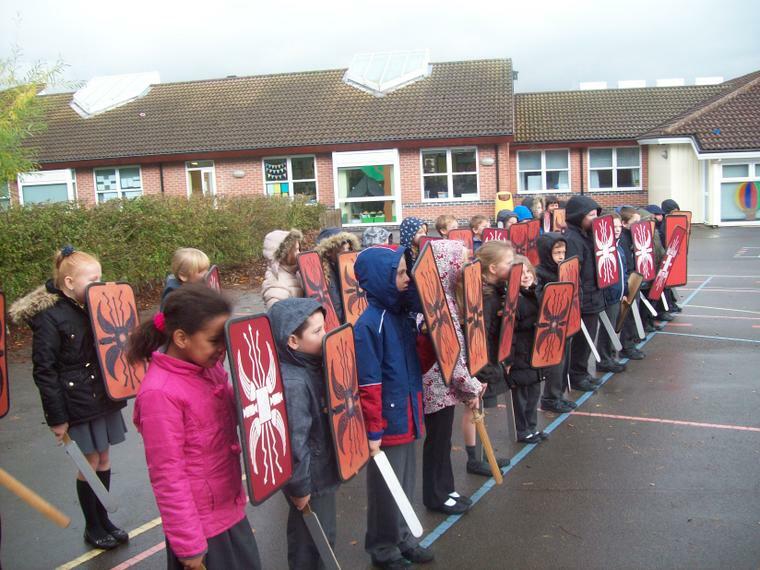 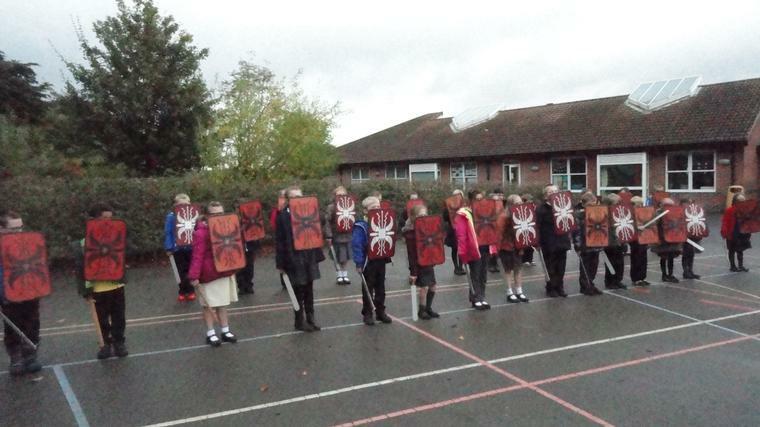 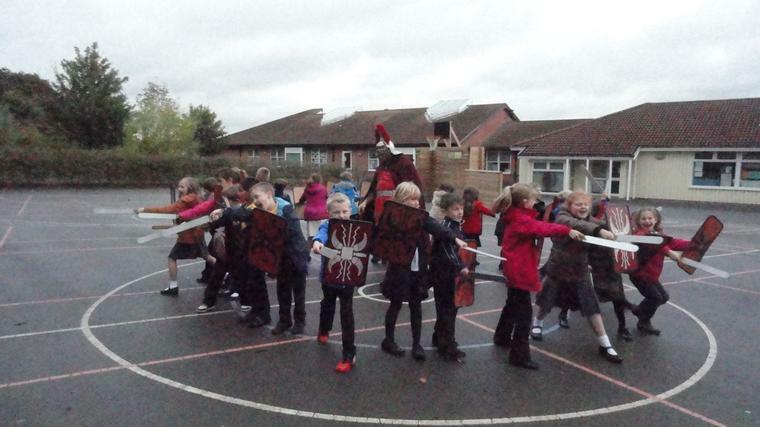 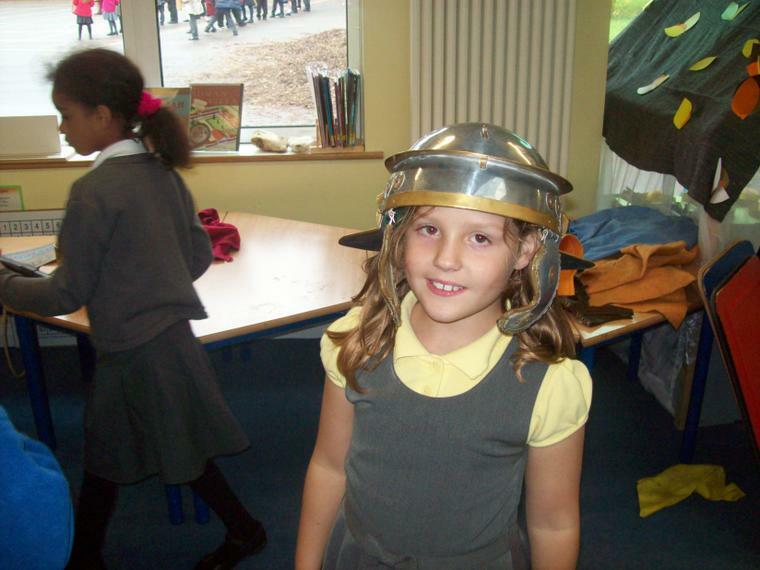 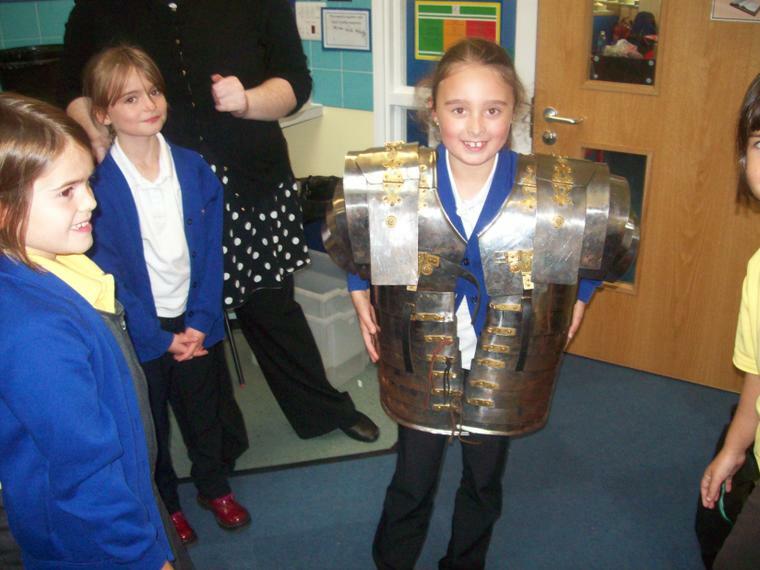 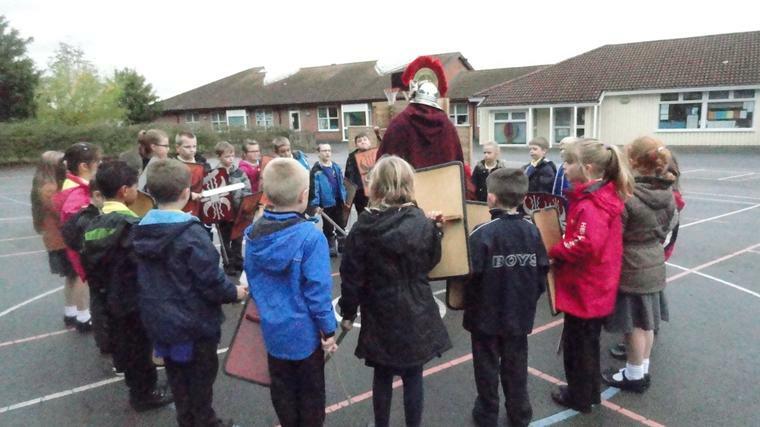 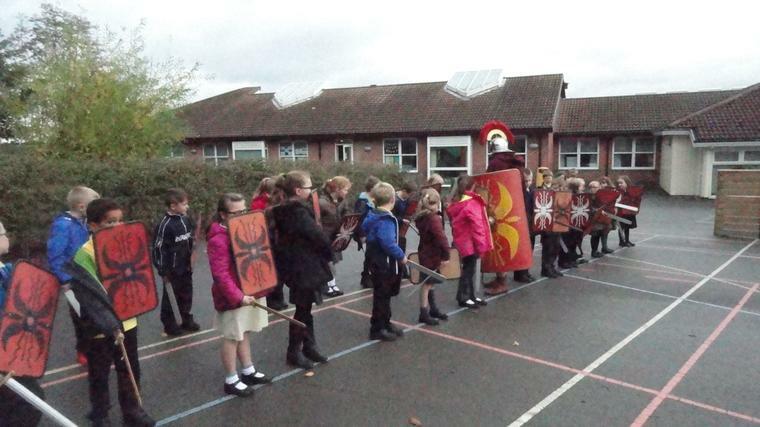 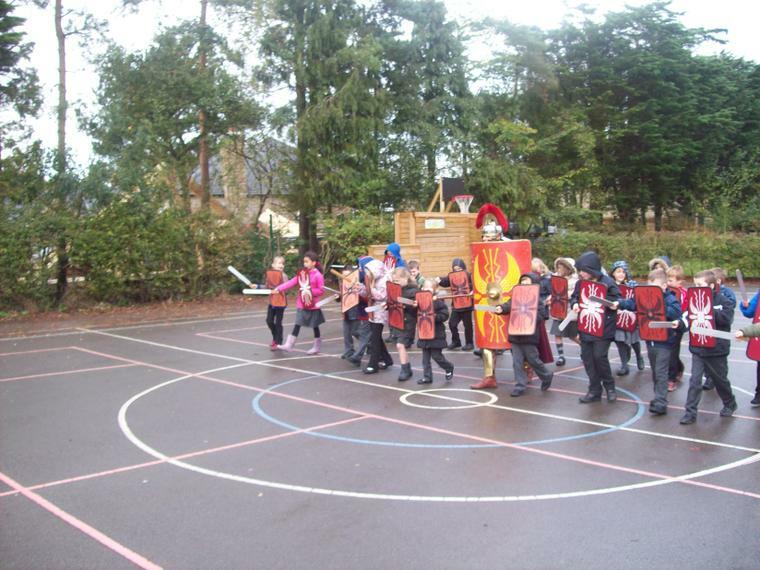 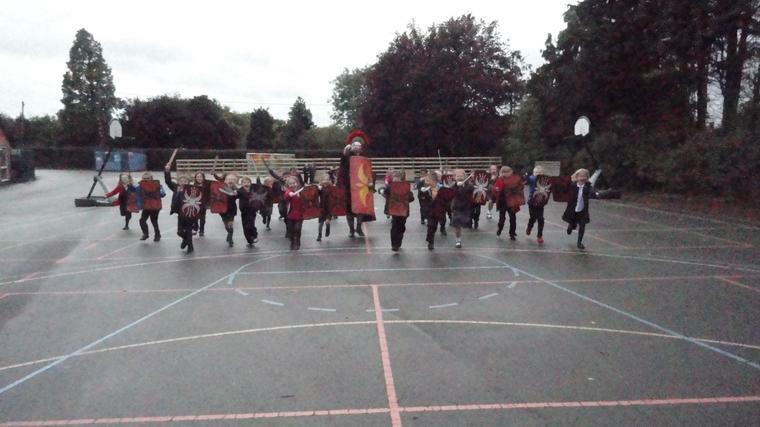 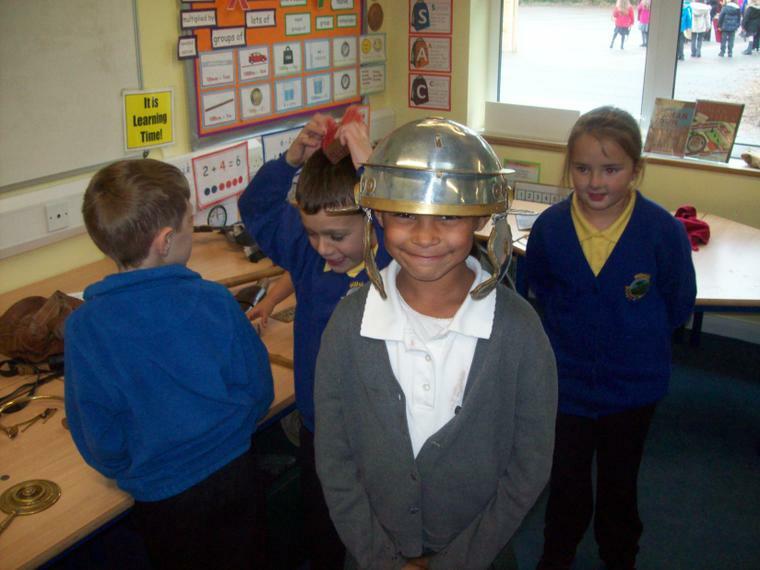 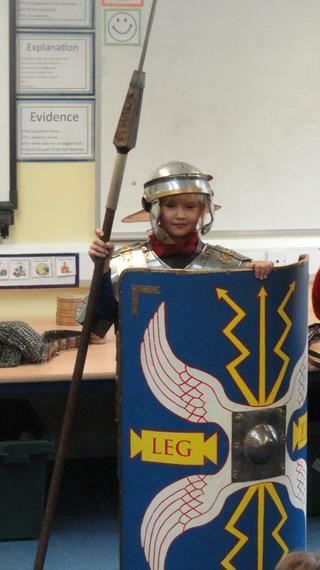 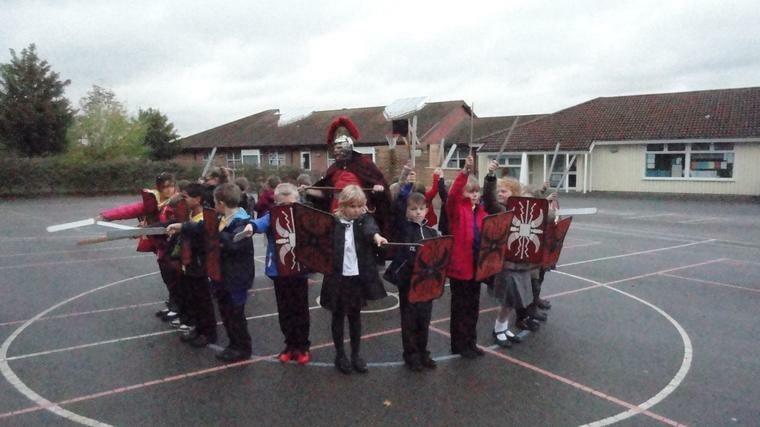 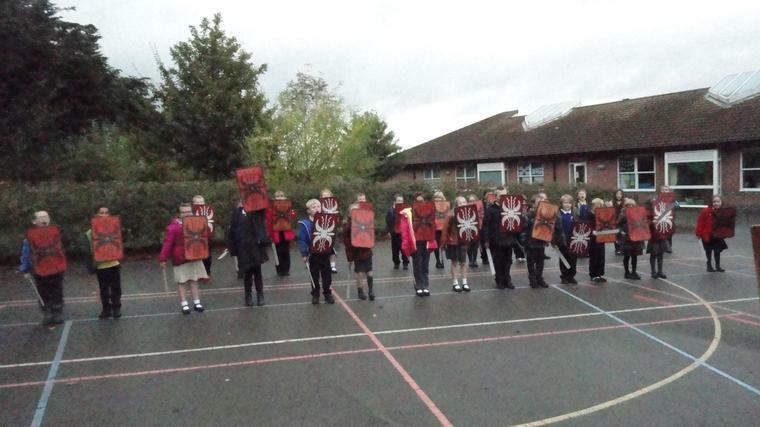 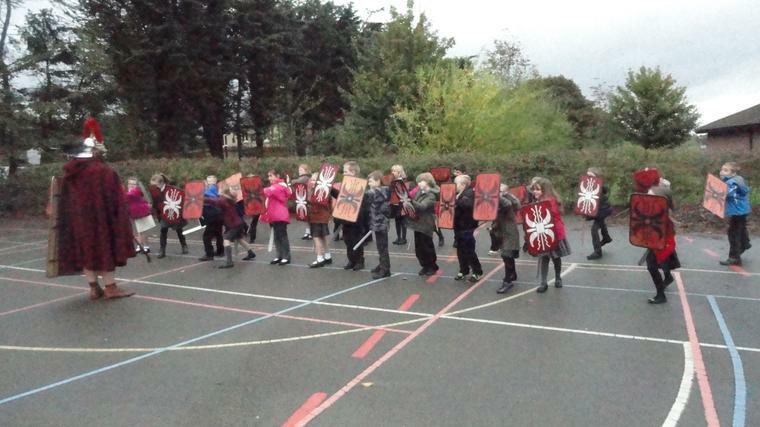 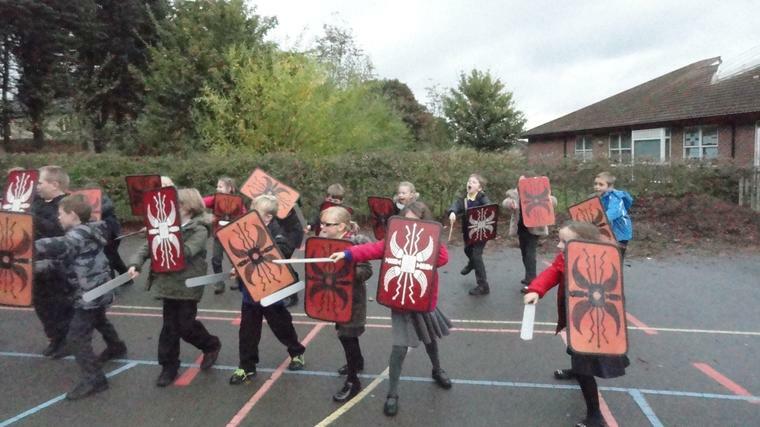 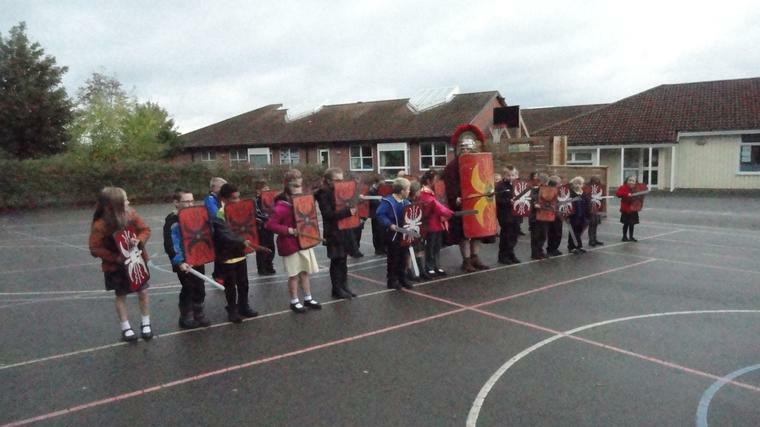 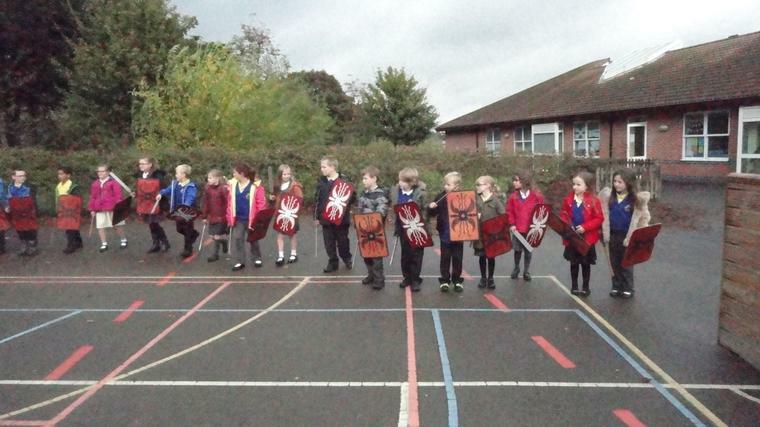 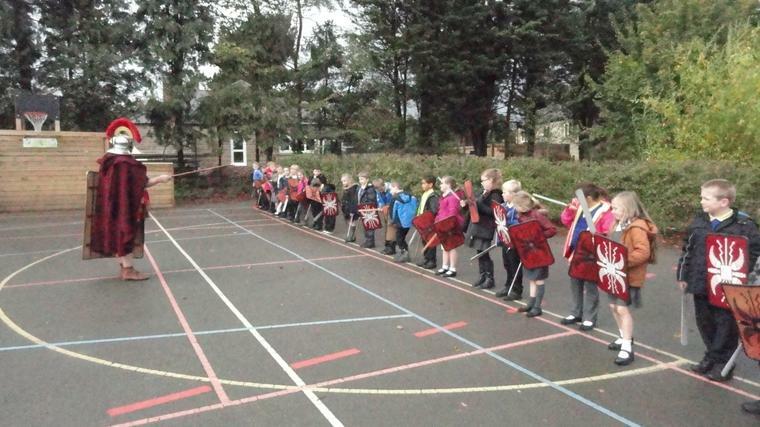 This week we have continued learning about the Romans. 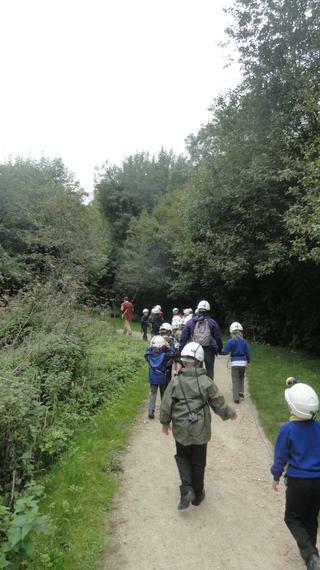 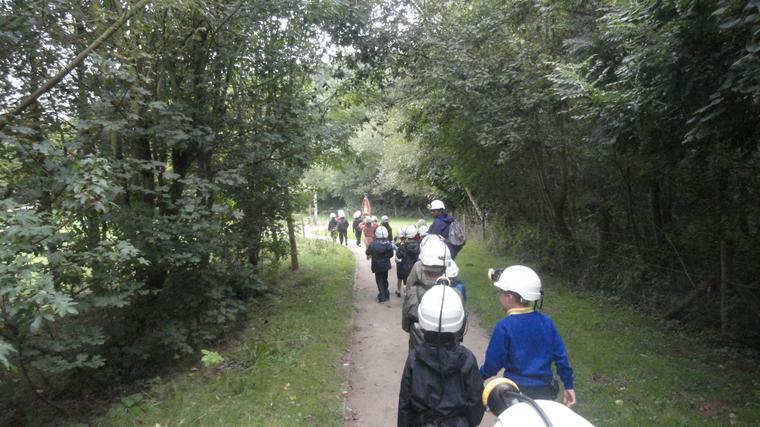 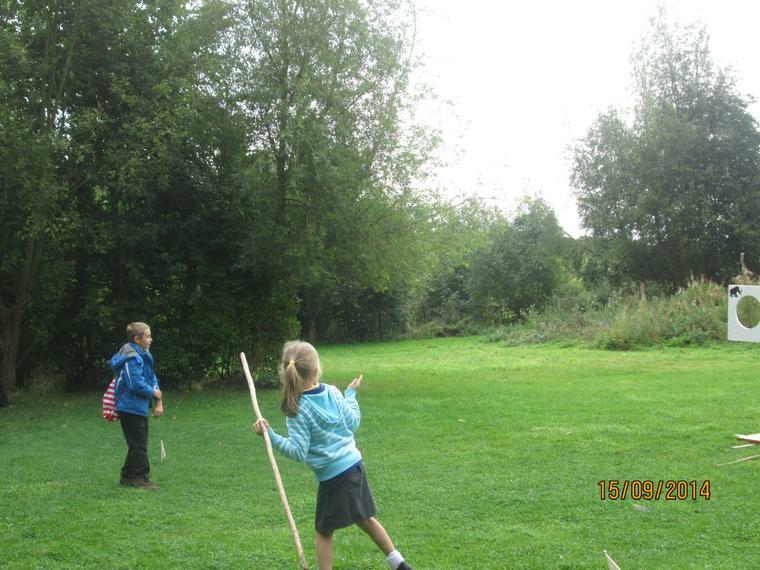 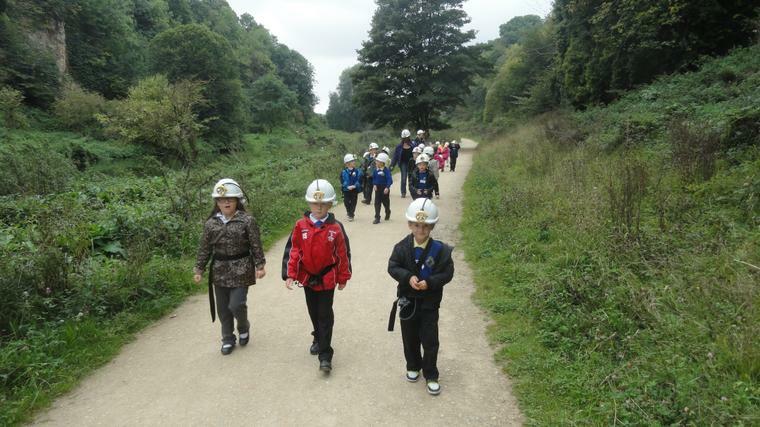 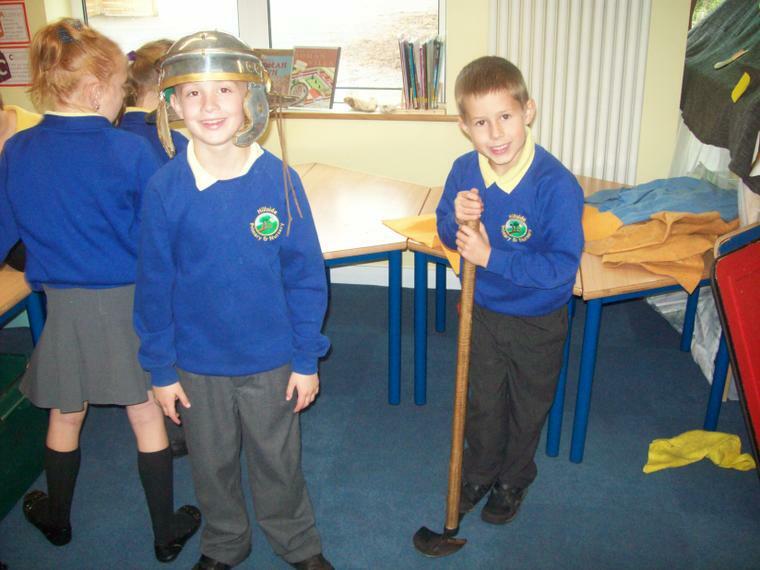 We have looked at Roman Forts and buildings. 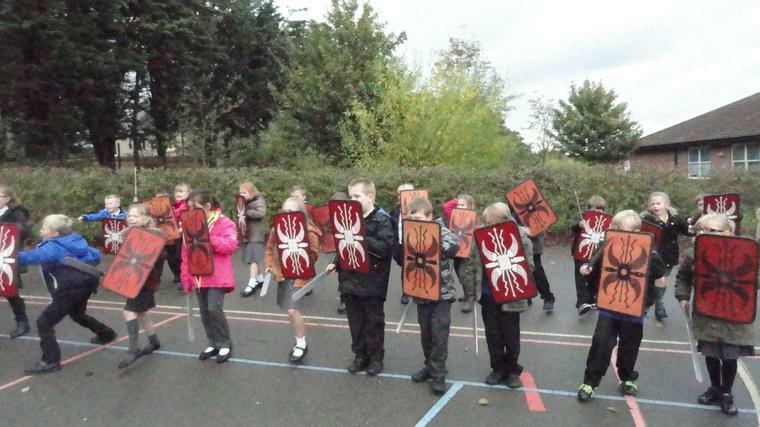 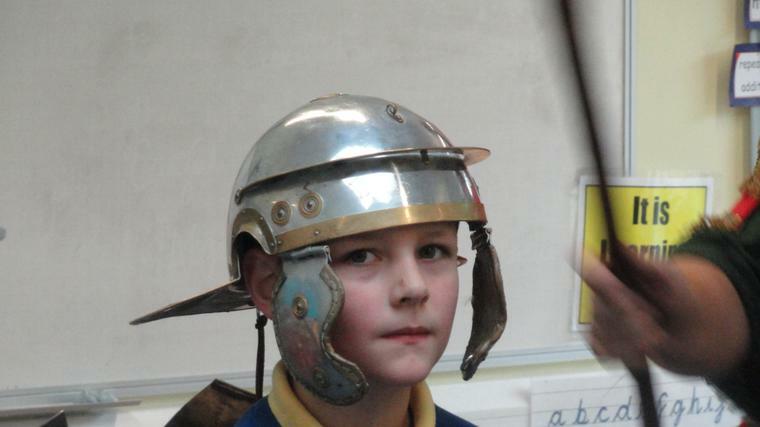 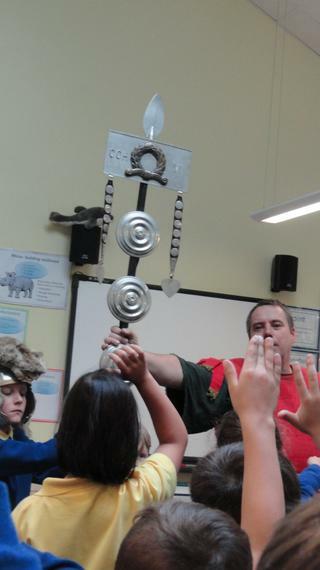 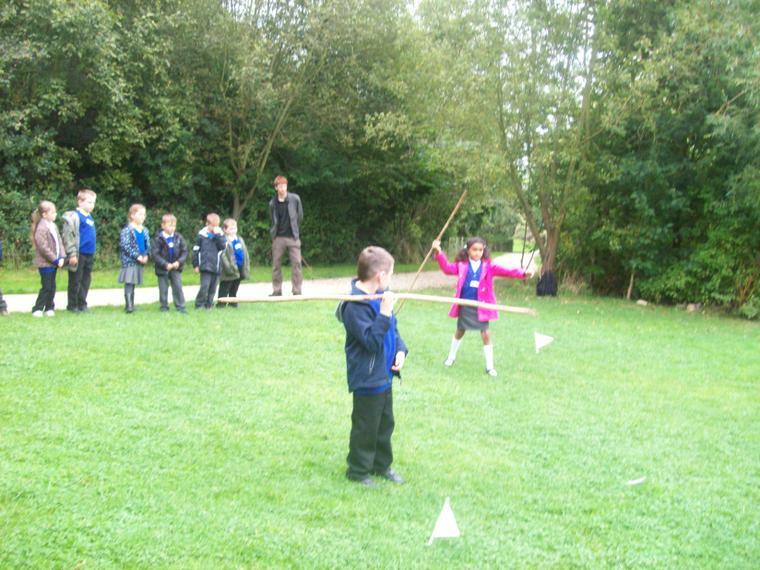 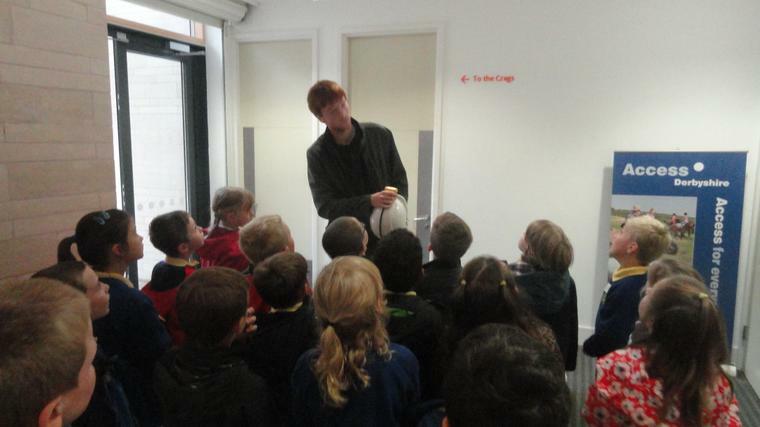 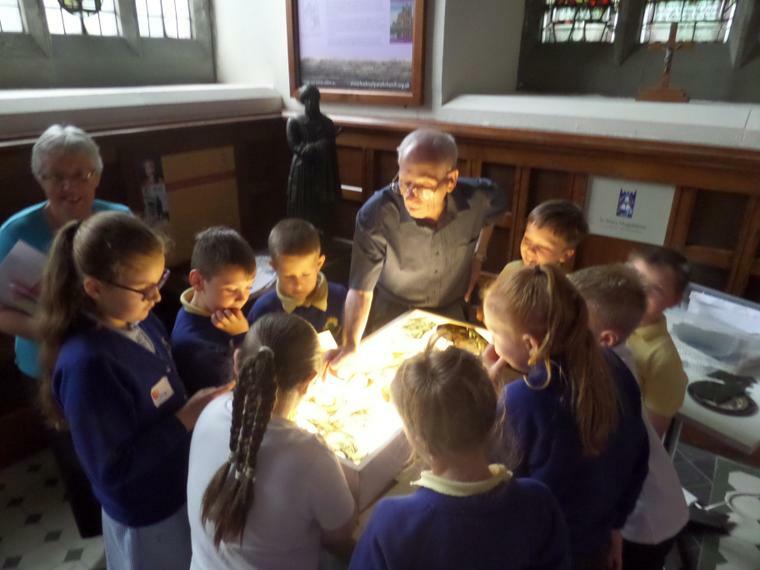 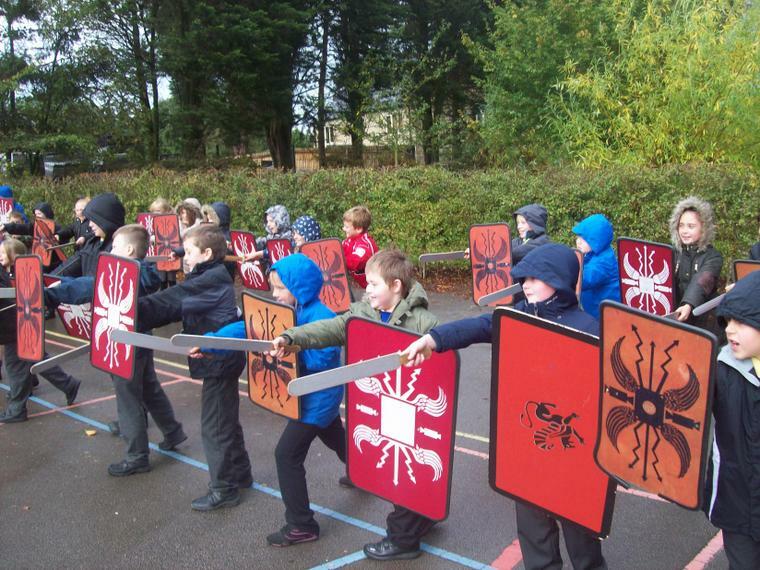 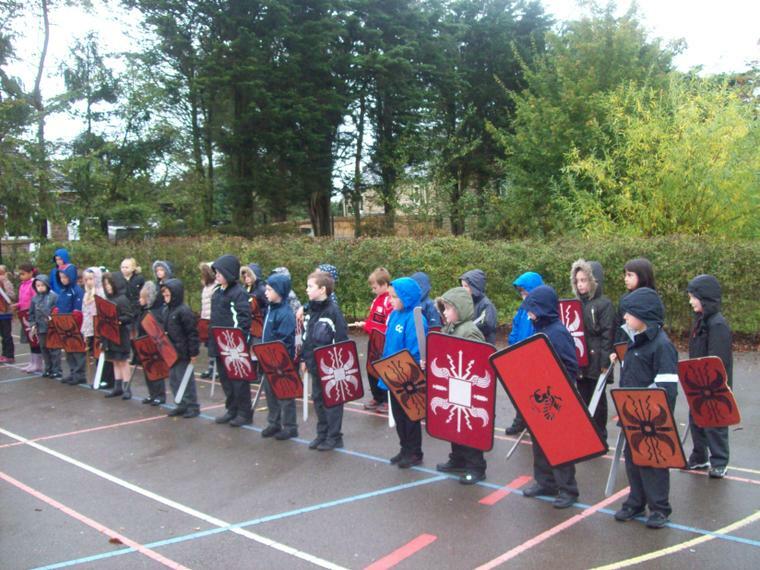 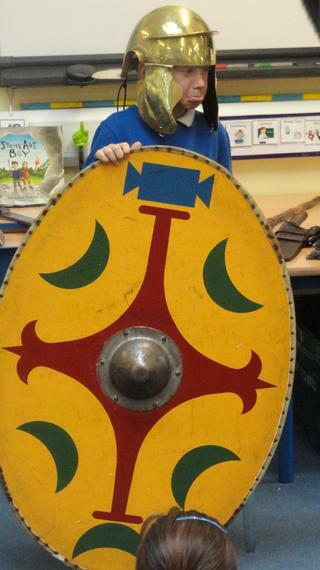 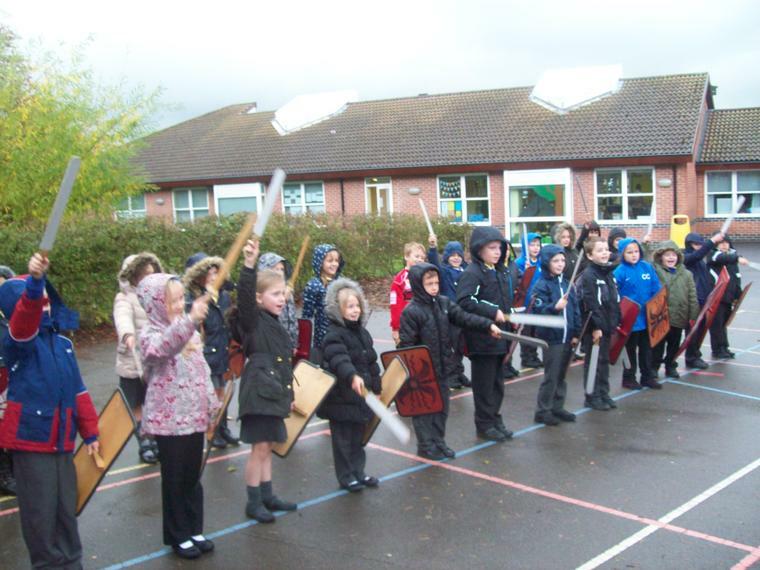 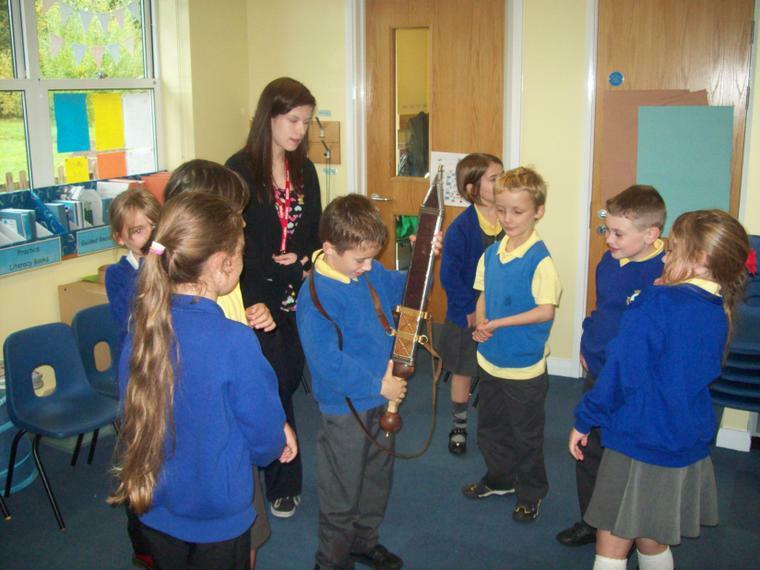 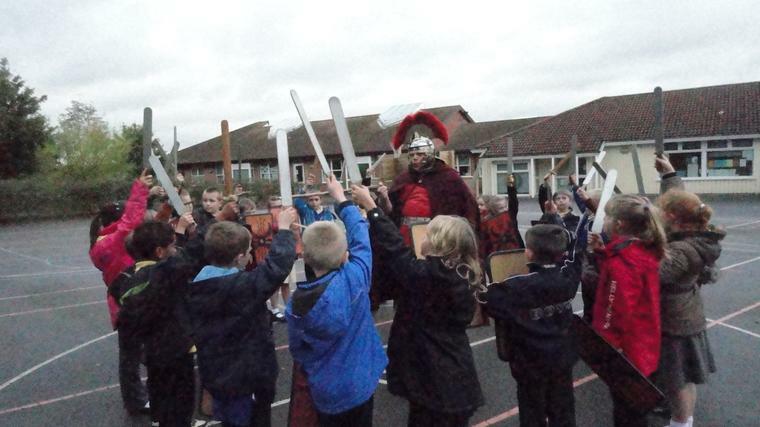 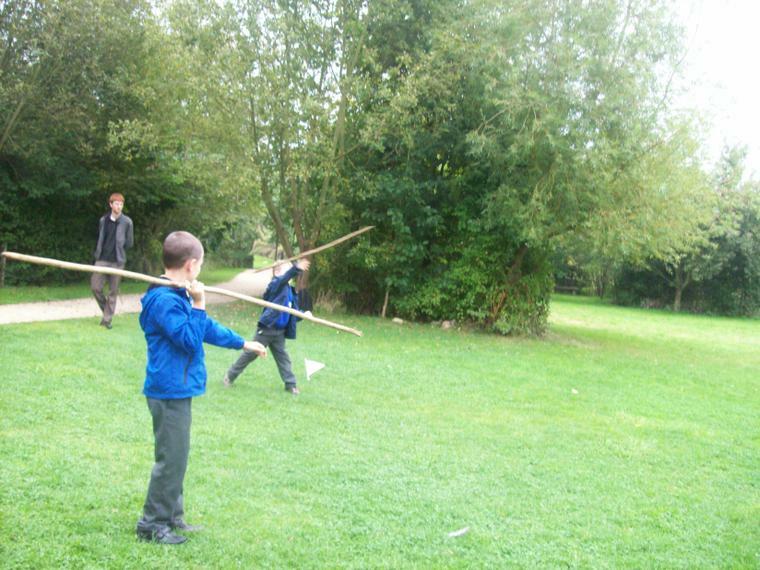 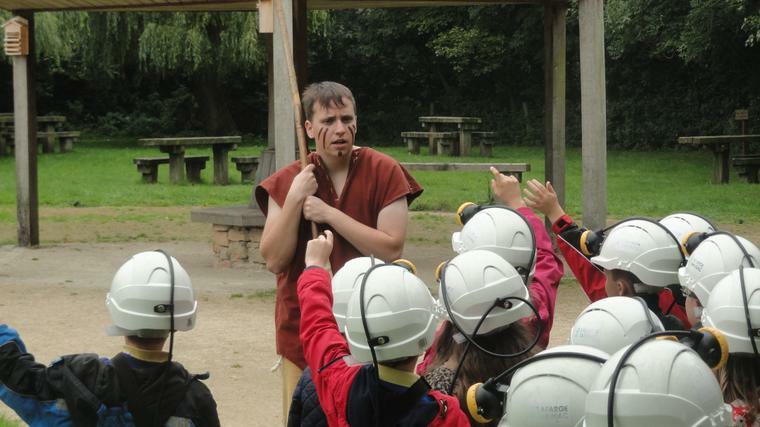 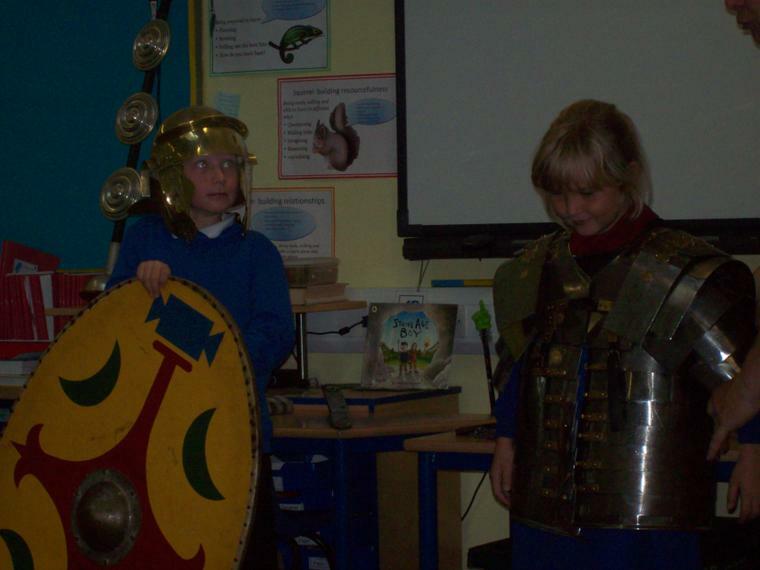 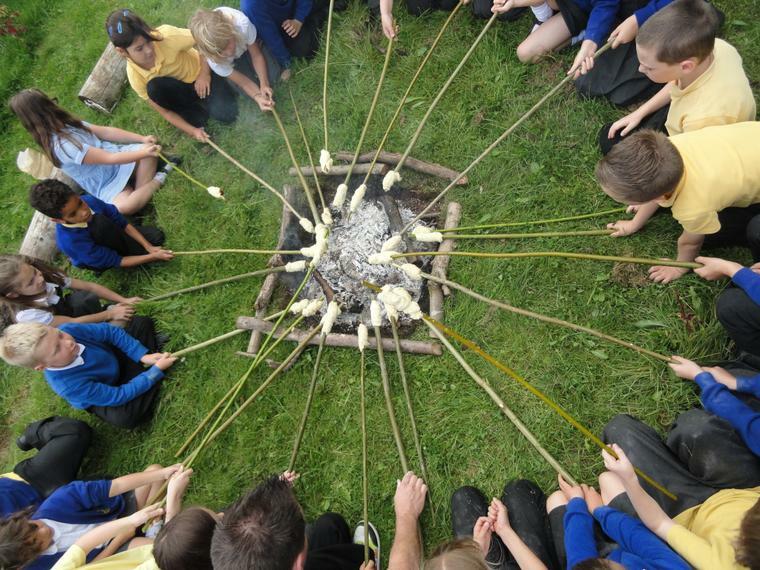 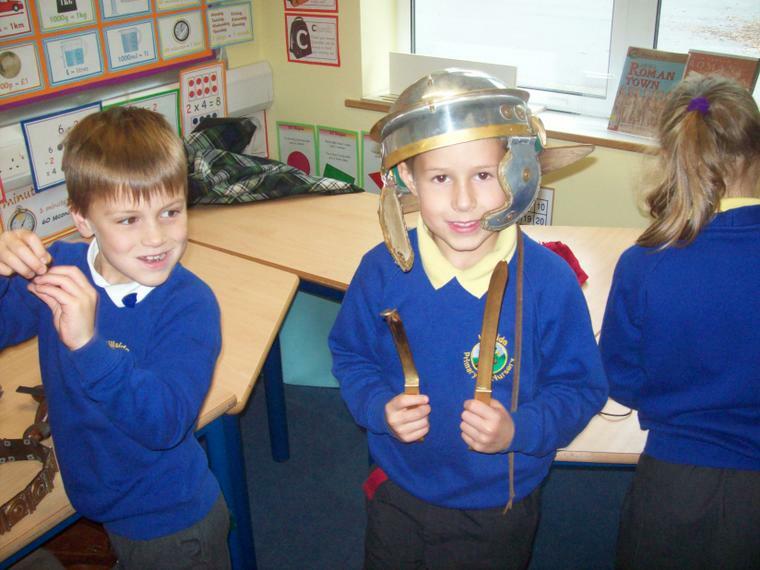 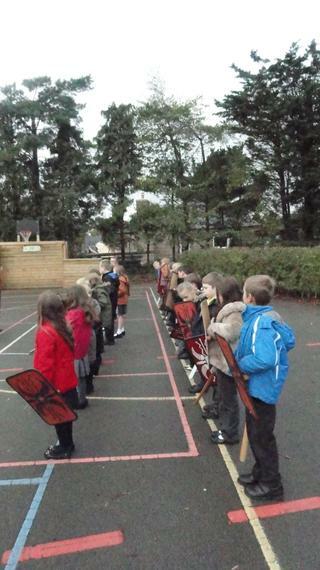 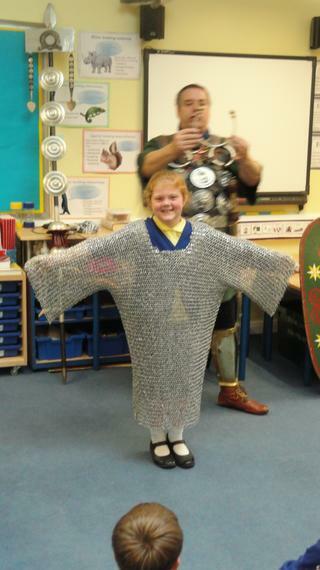 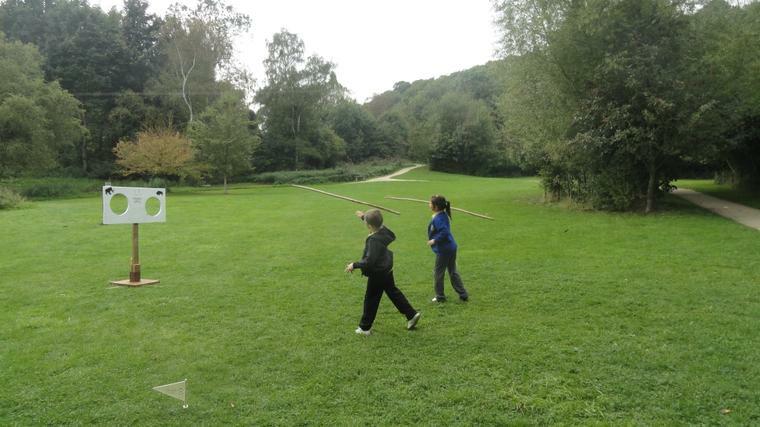 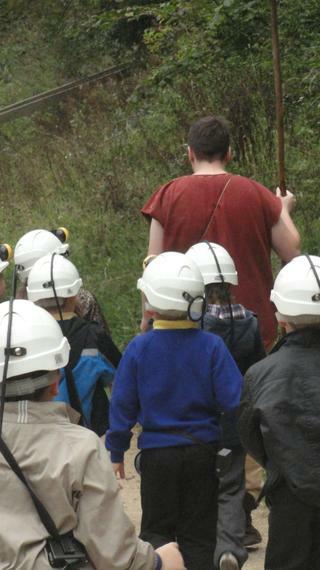 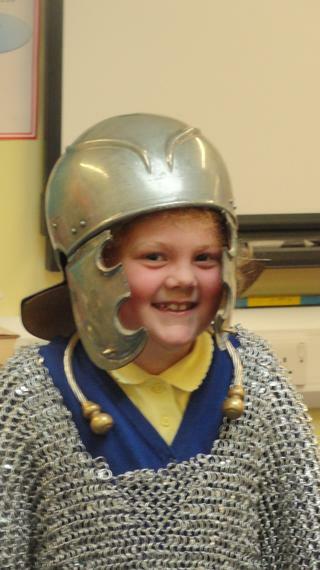 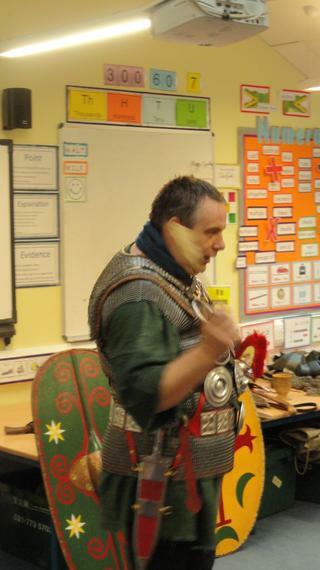 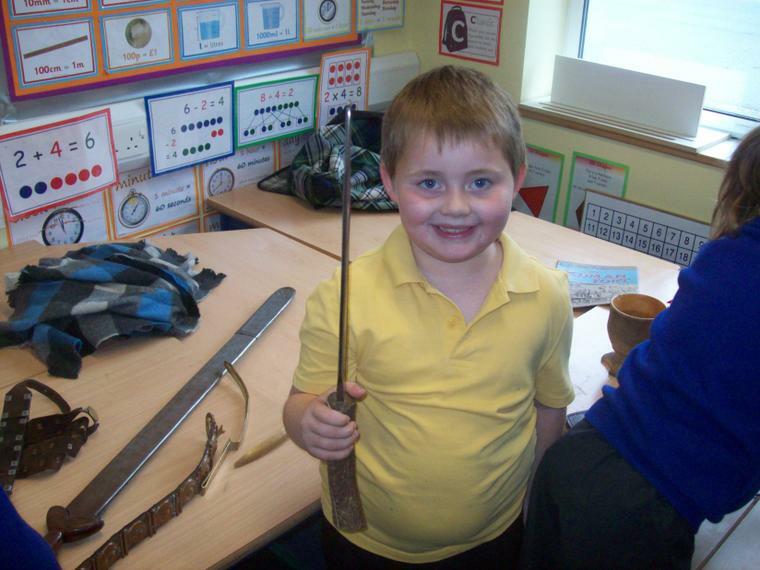 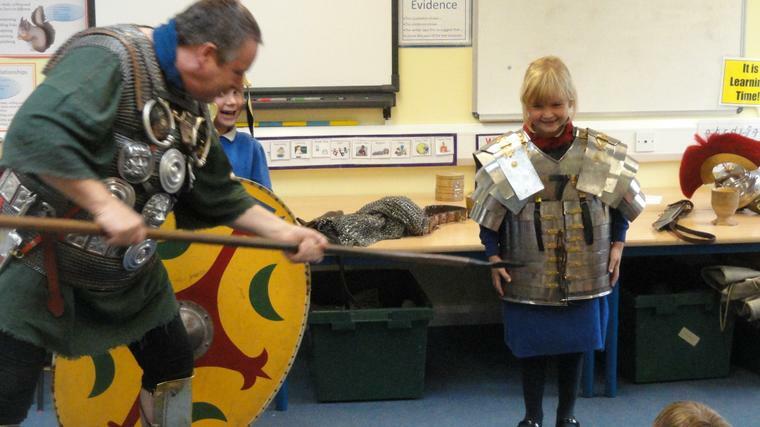 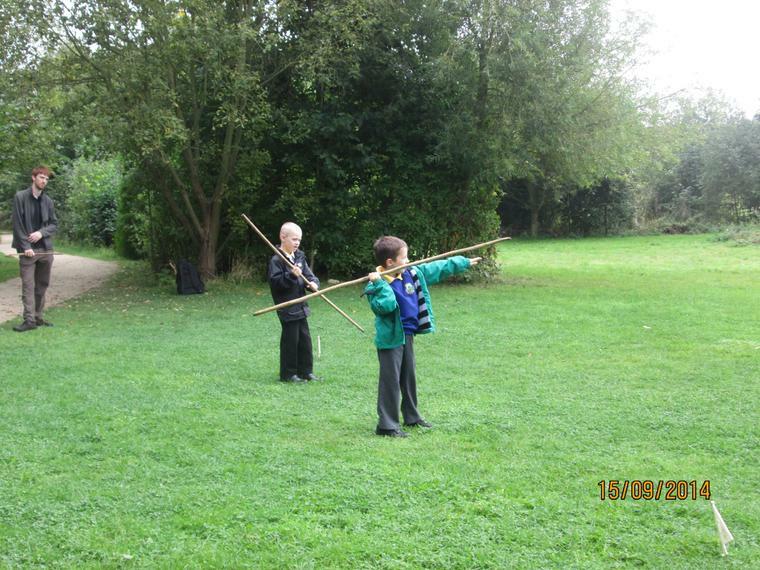 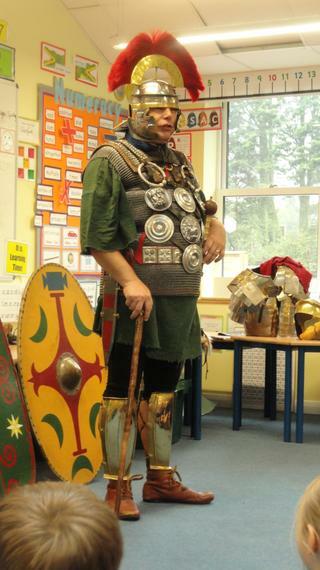 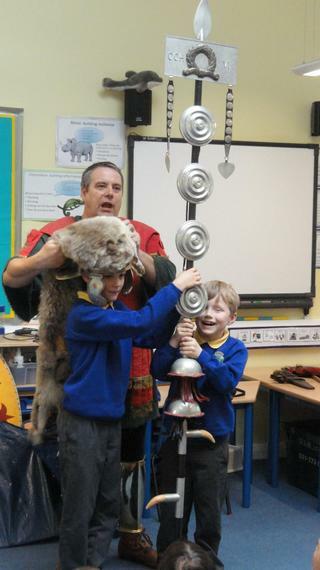 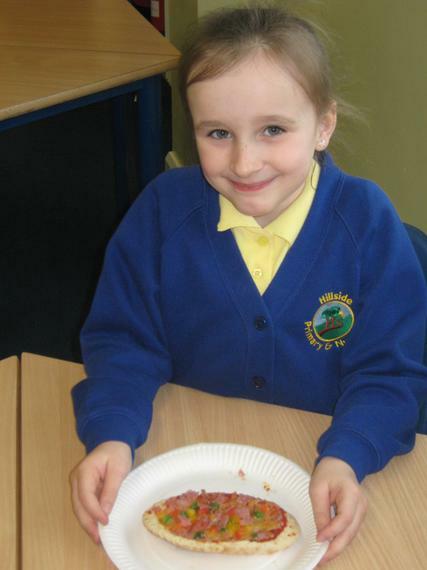 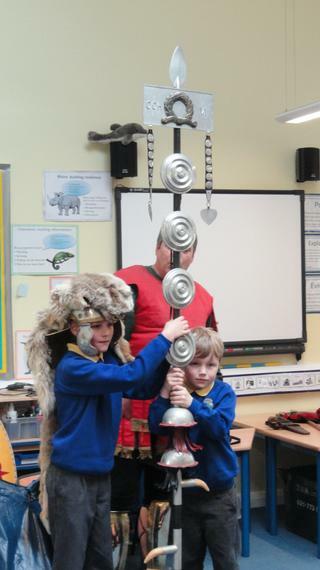 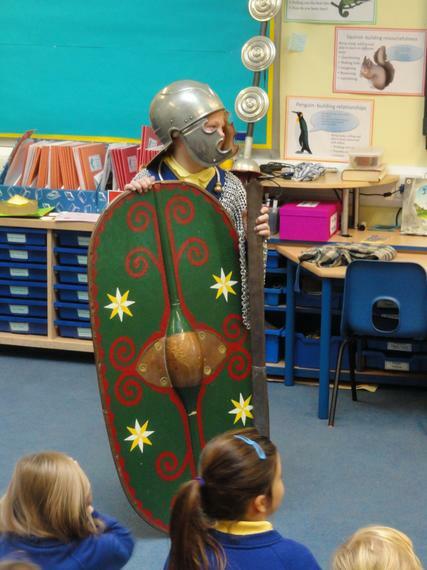 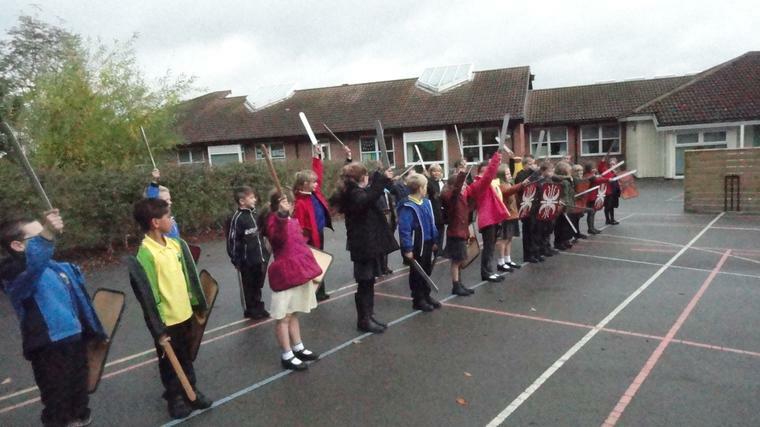 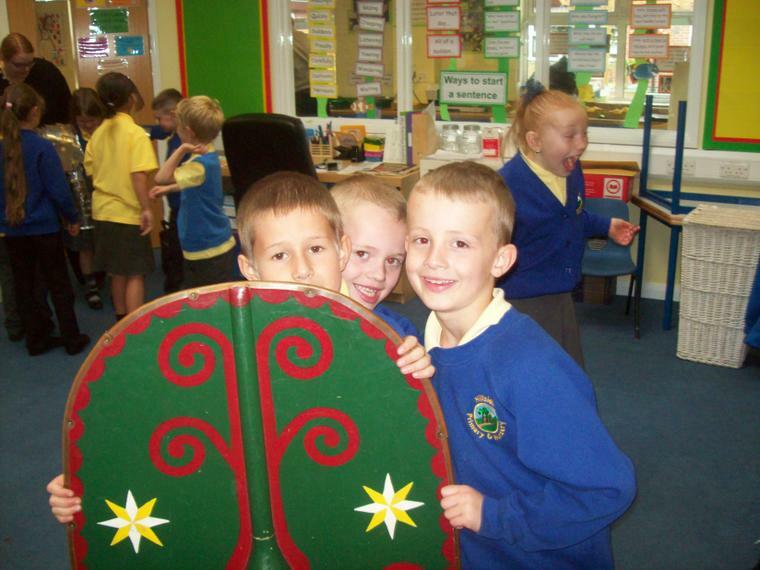 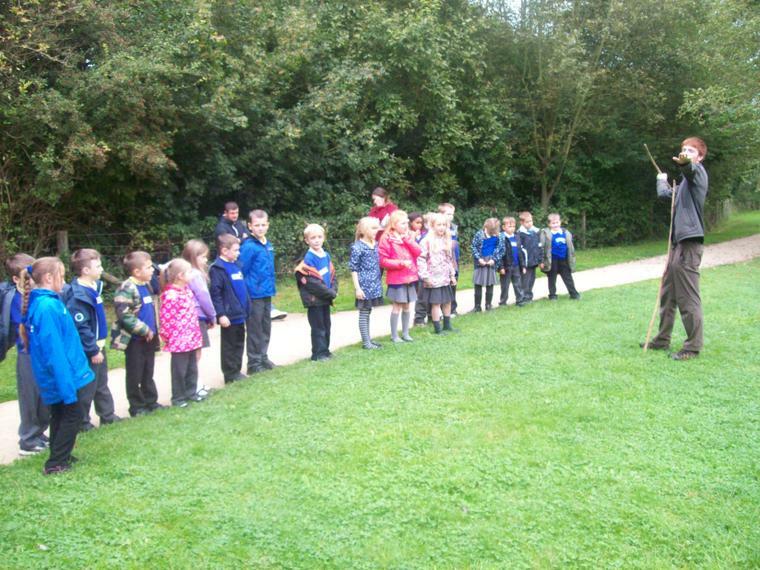 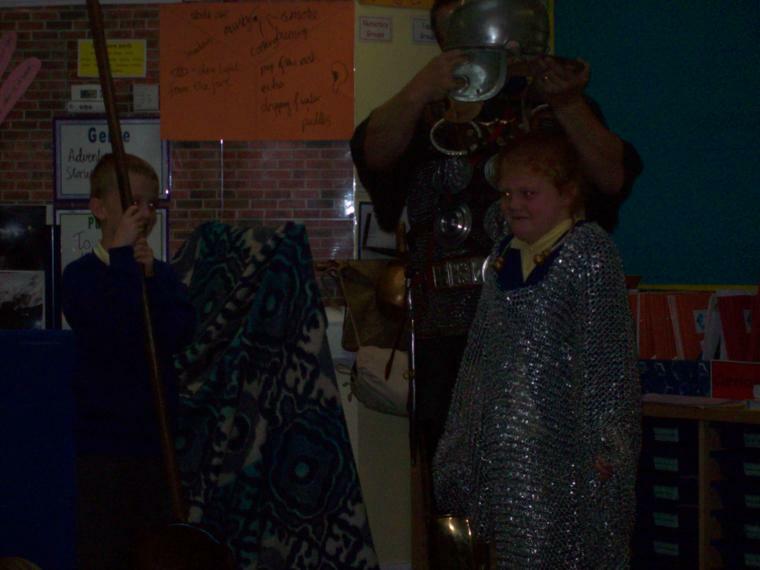 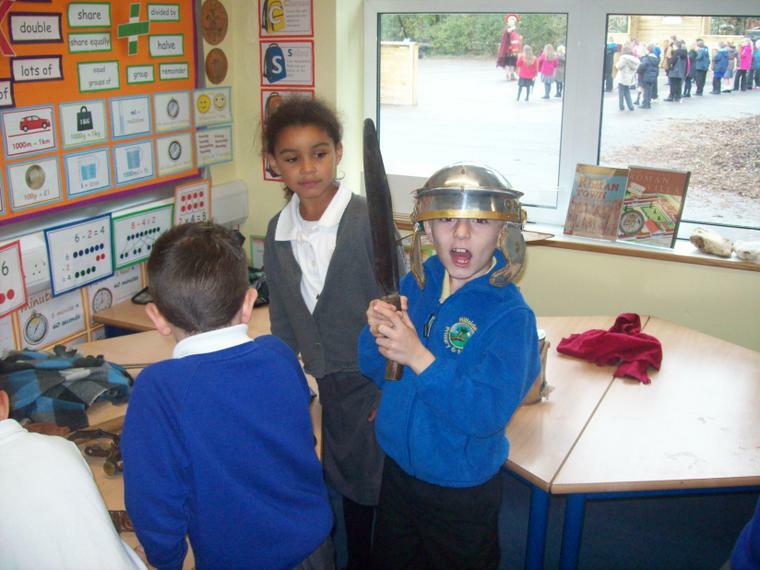 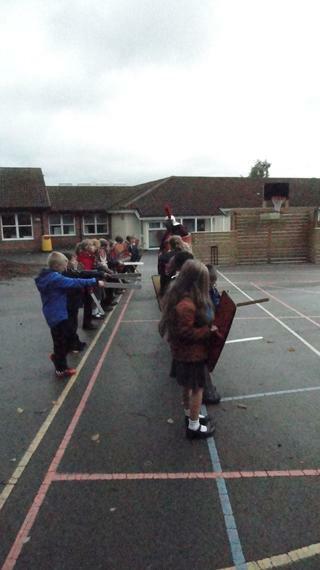 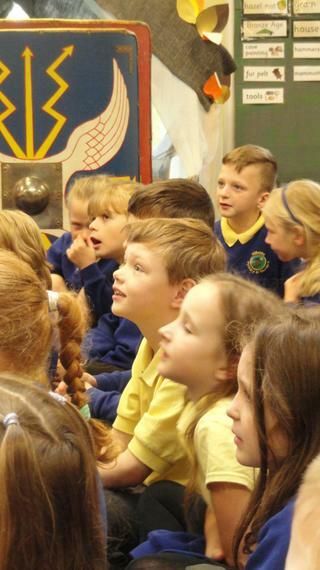 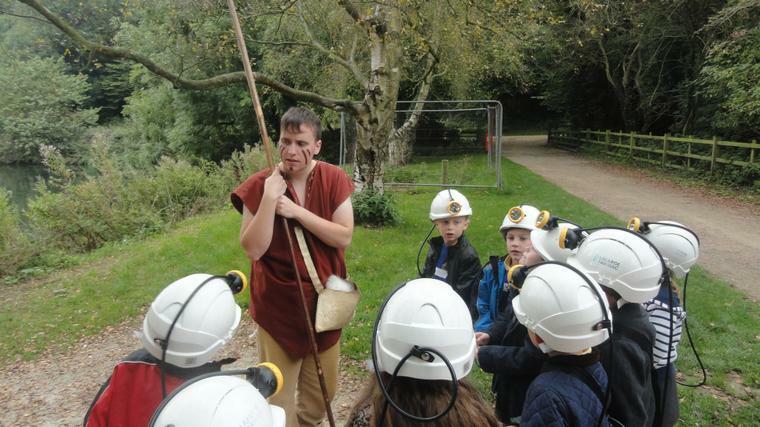 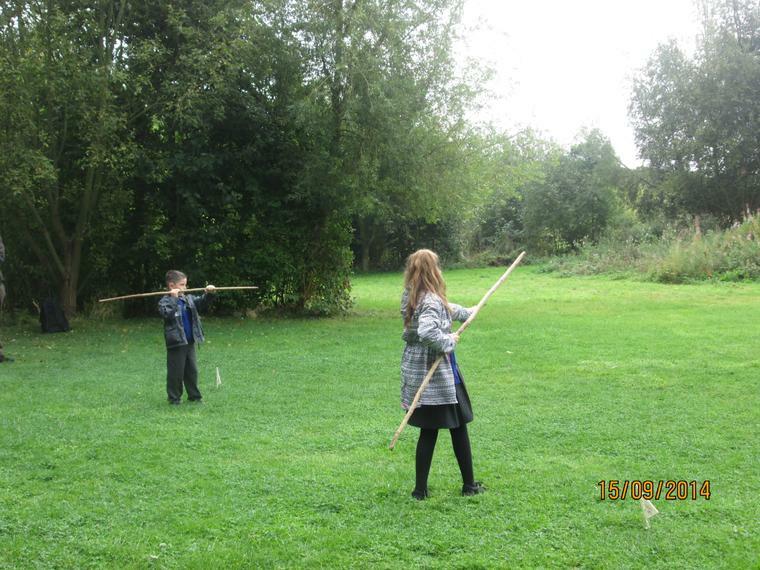 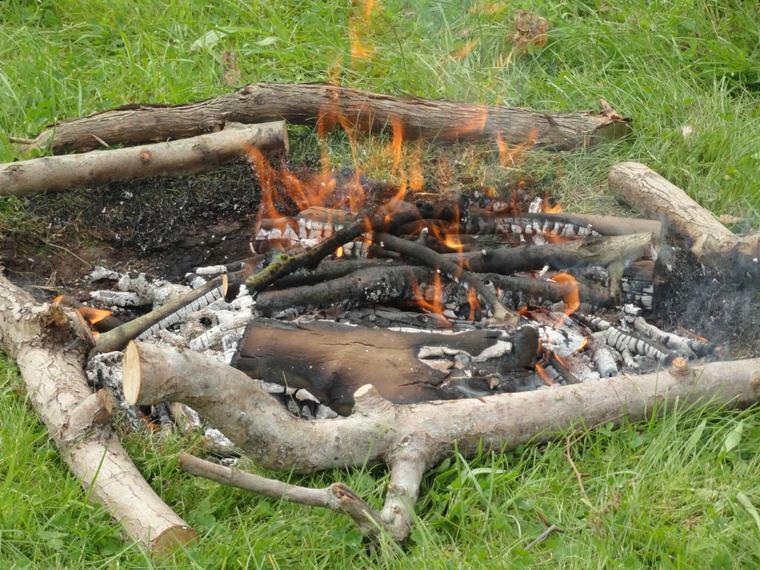 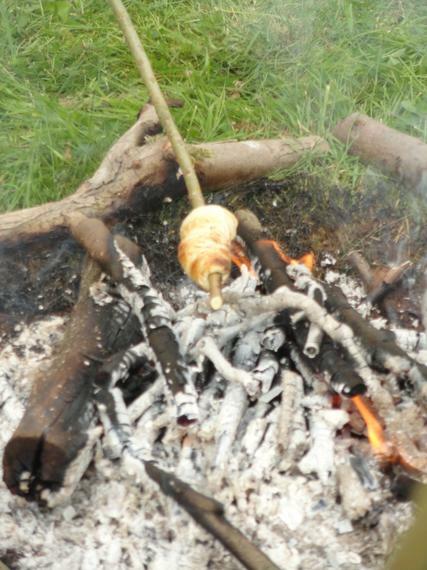 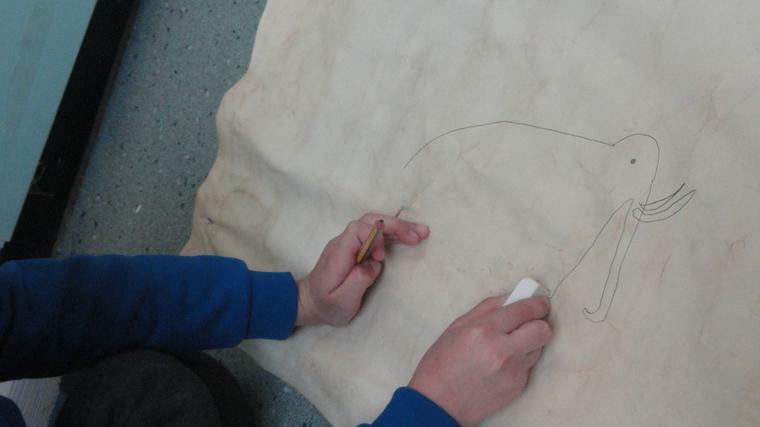 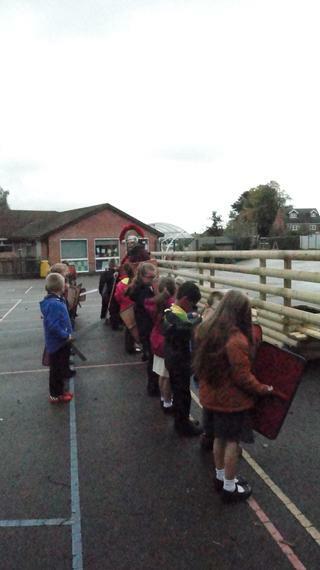 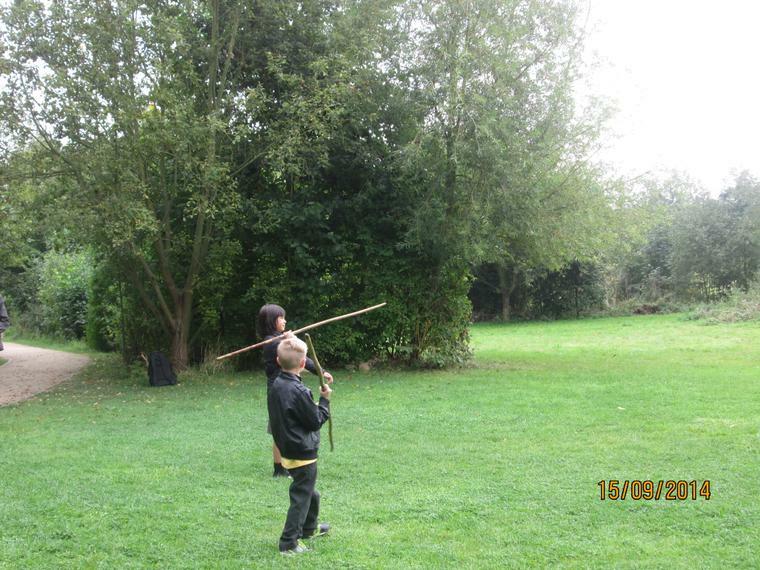 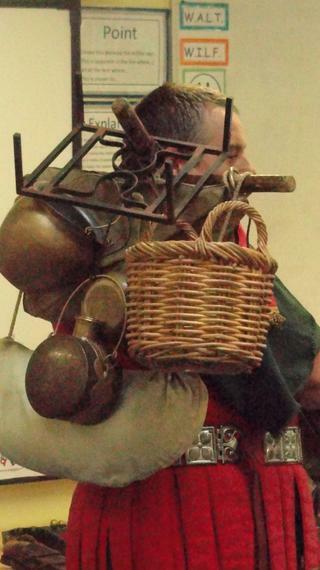 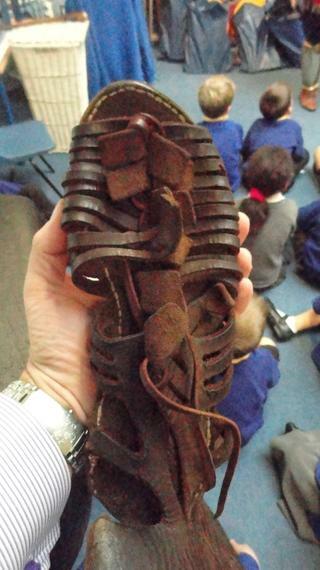 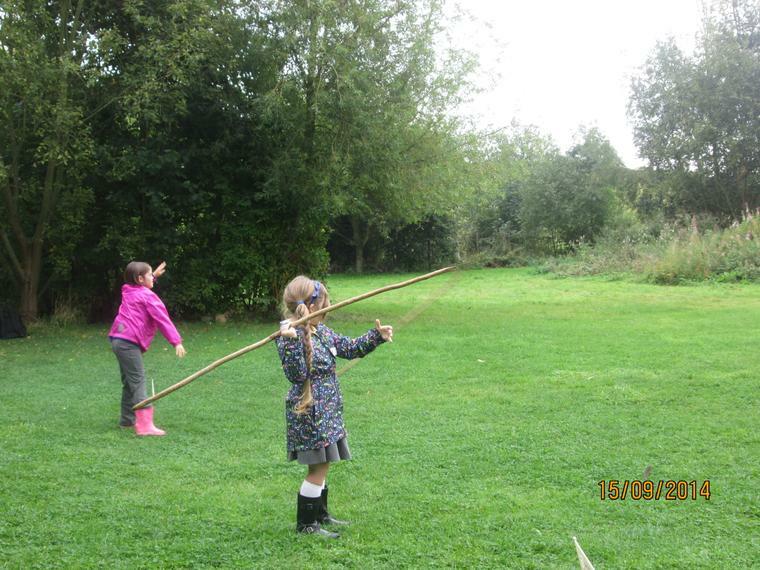 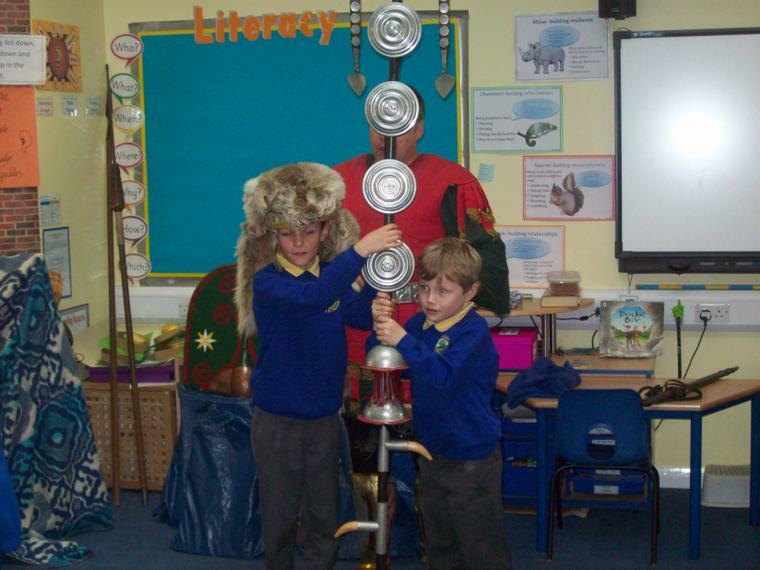 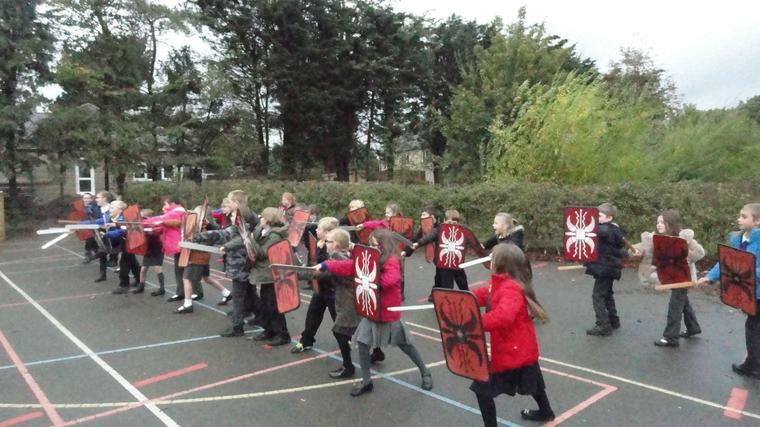 We looked at the Iron Age last week and how the Celts lived. 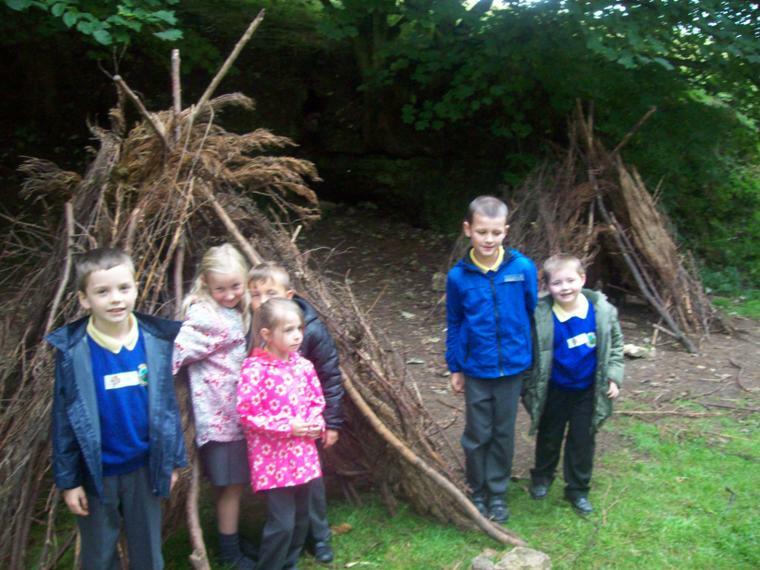 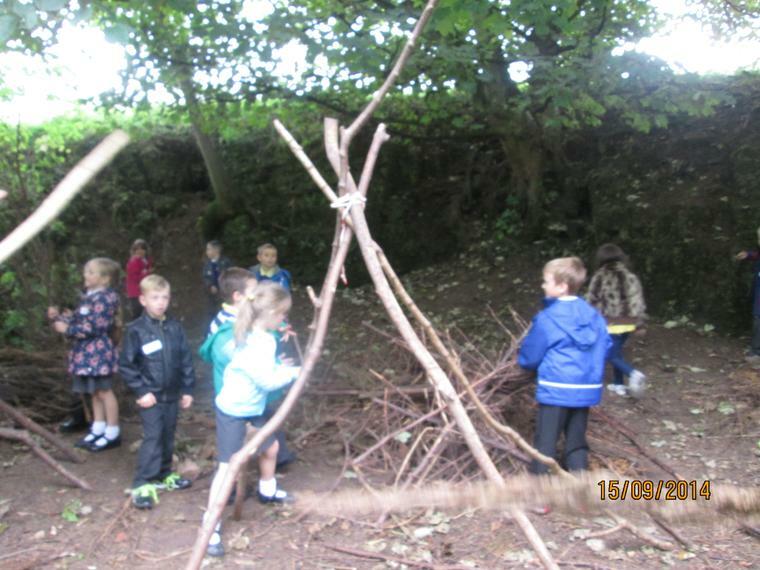 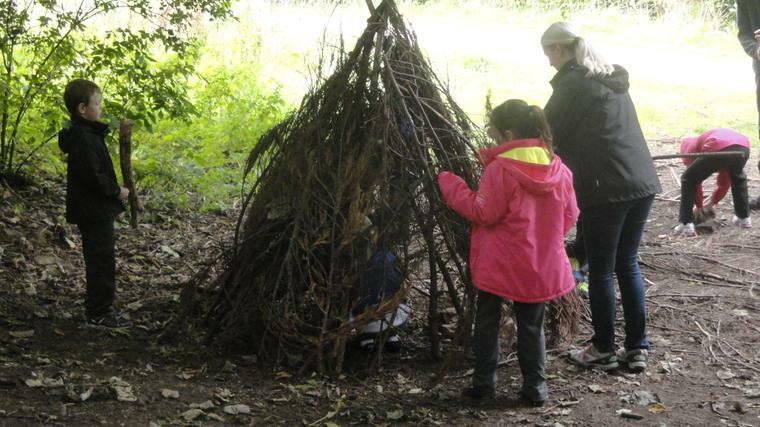 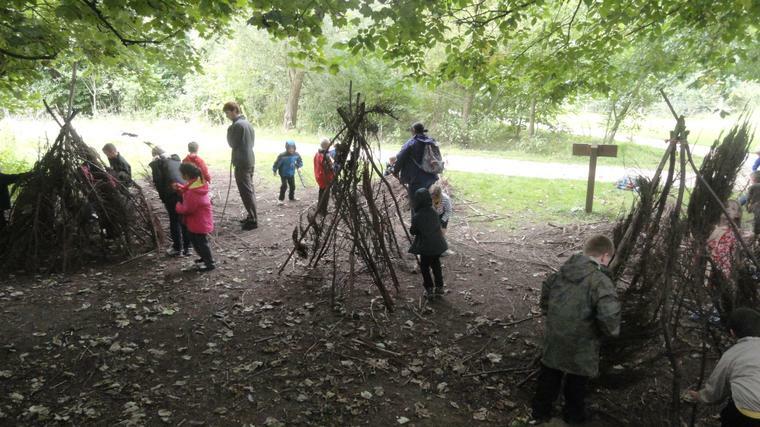 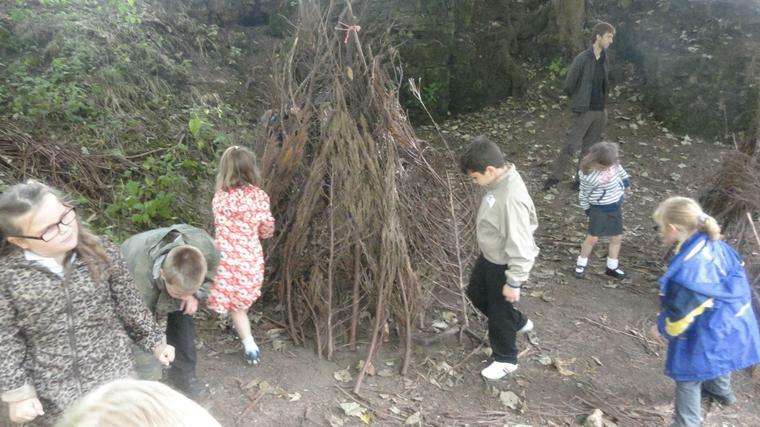 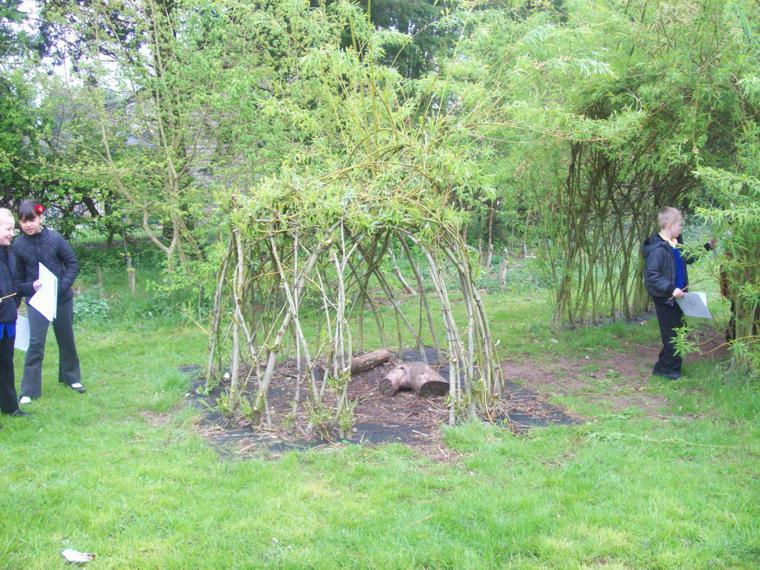 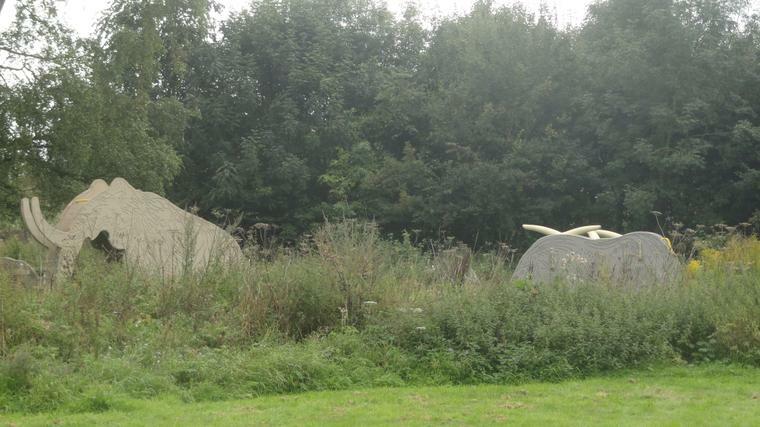 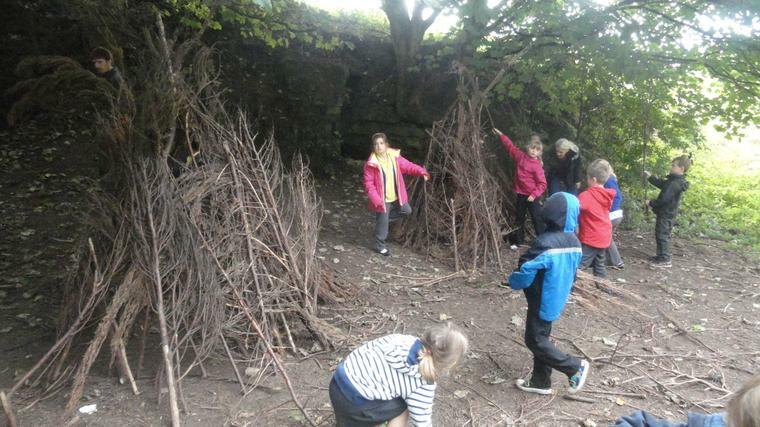 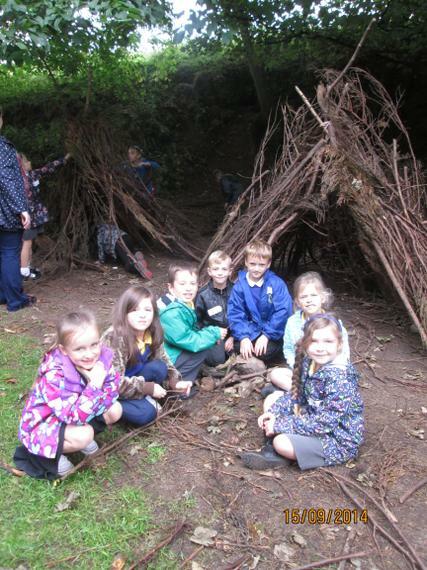 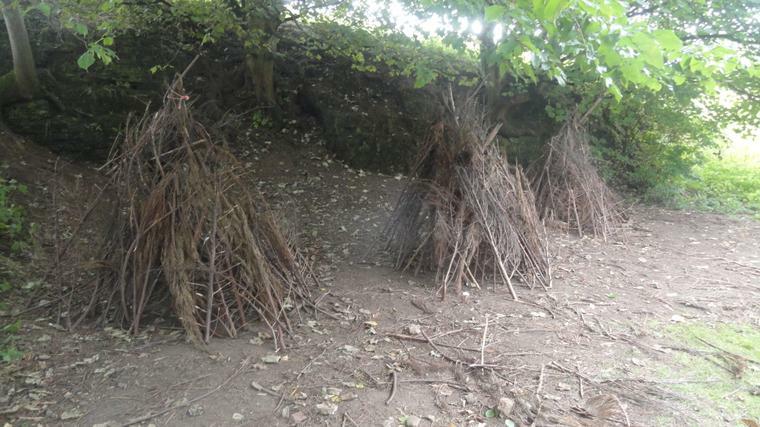 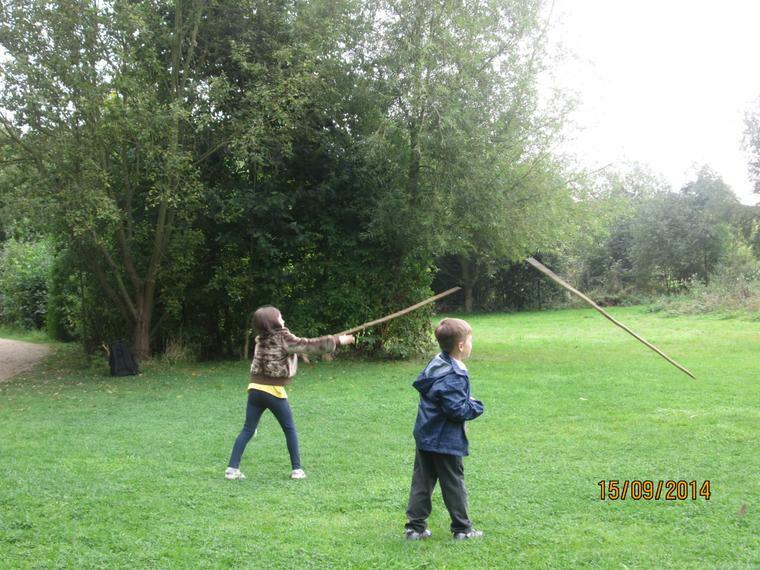 We made our own roundhouses. 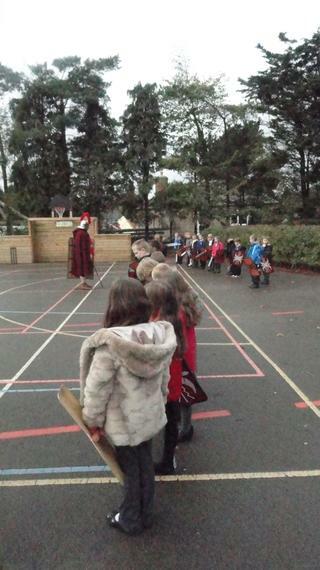 with an exciting visitor coming in to tell us all about them! 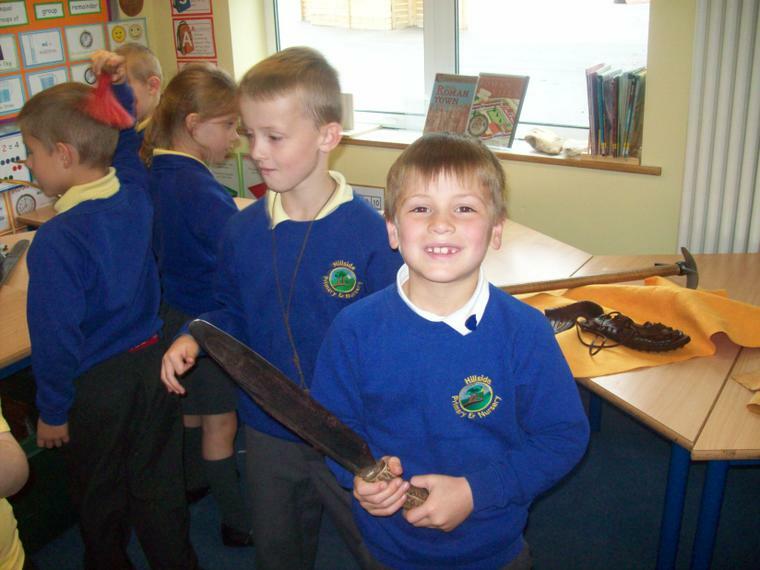 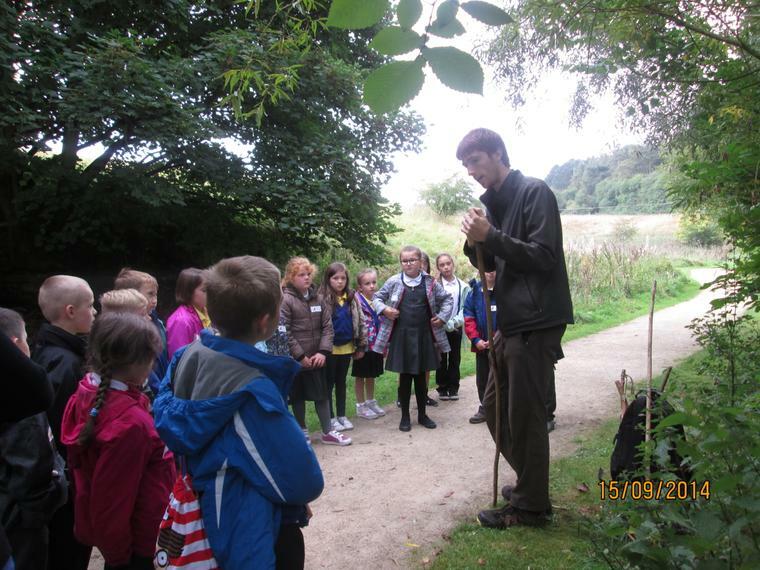 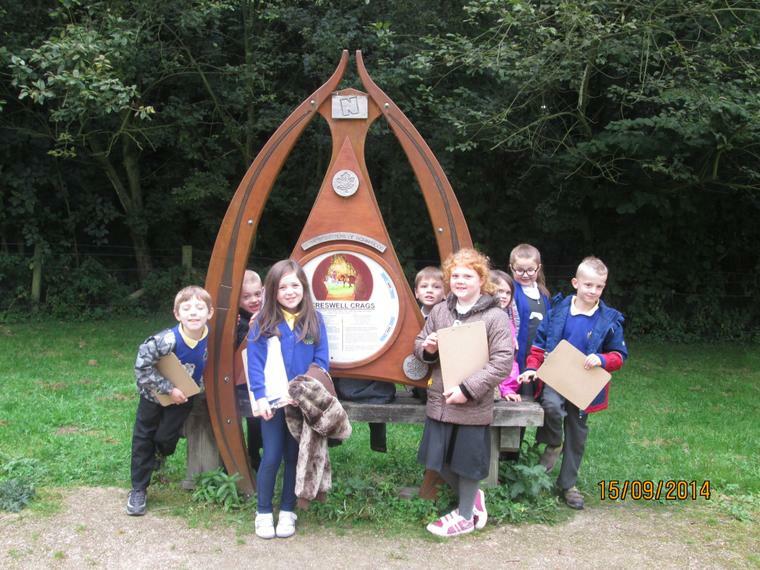 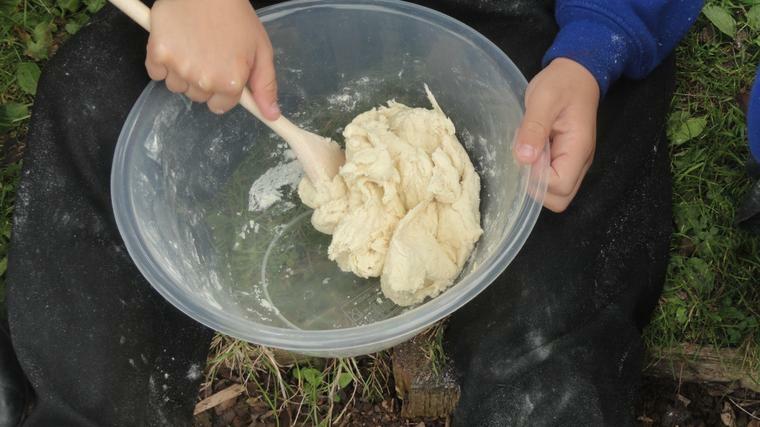 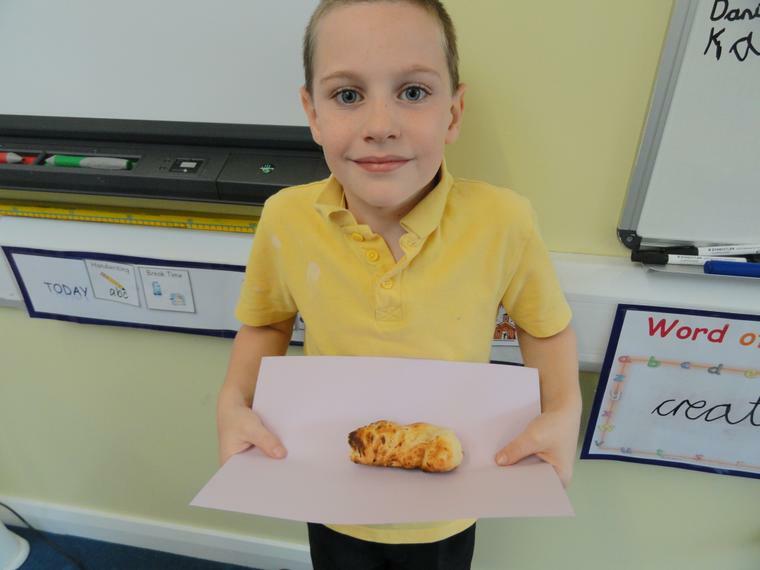 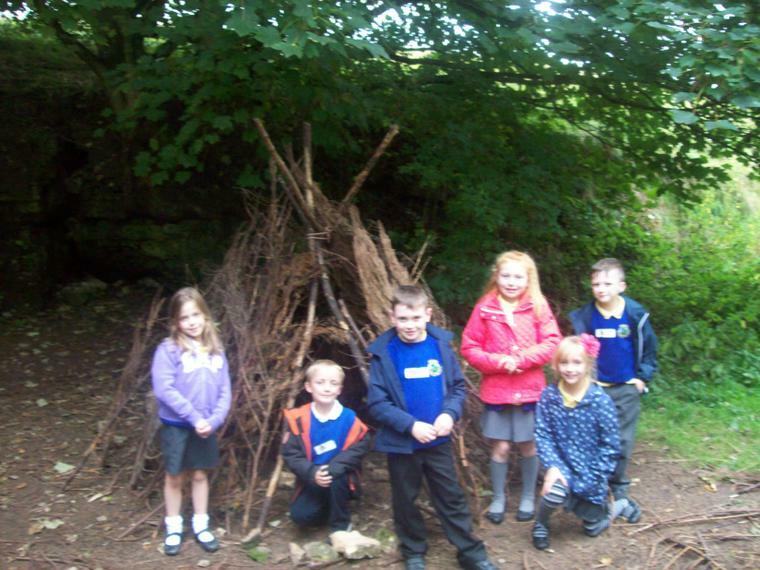 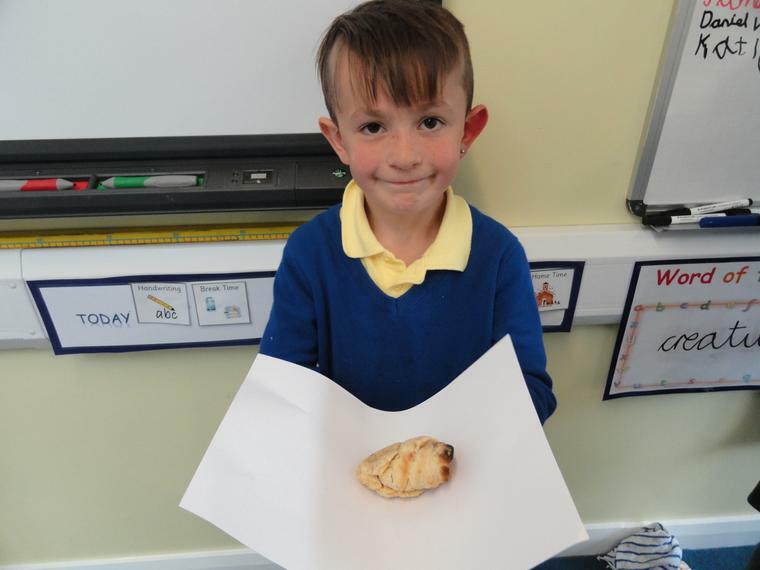 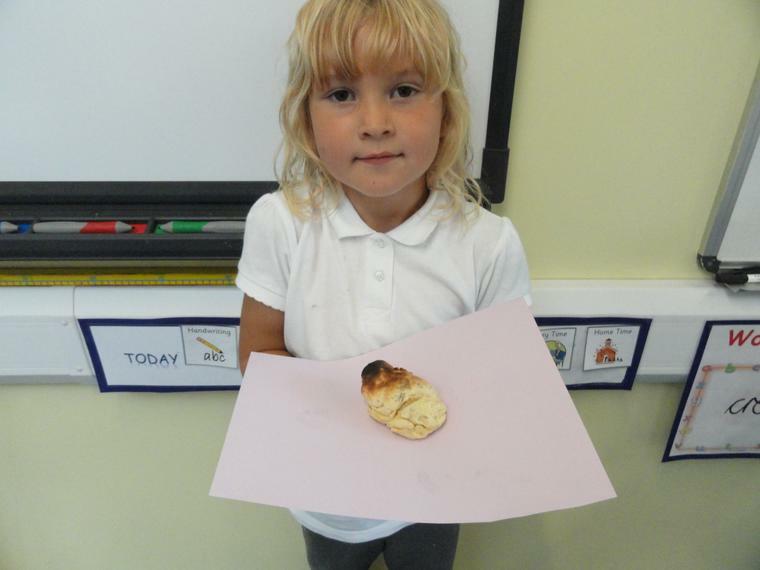 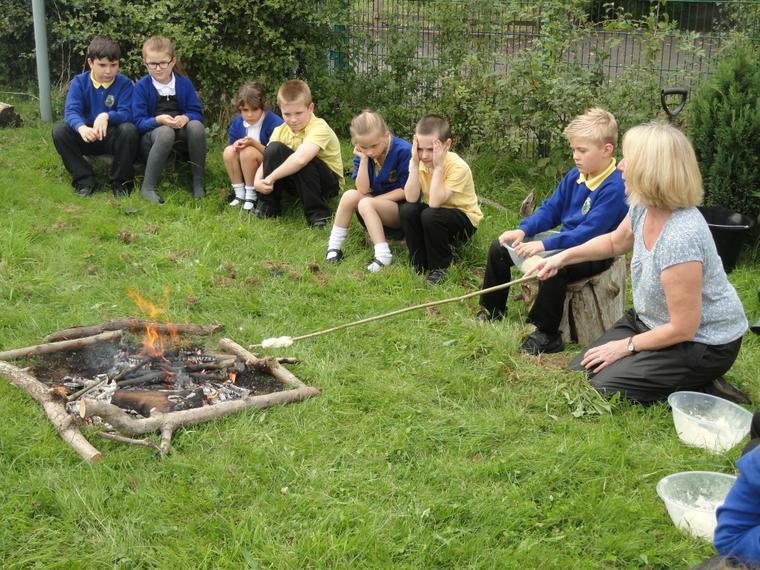 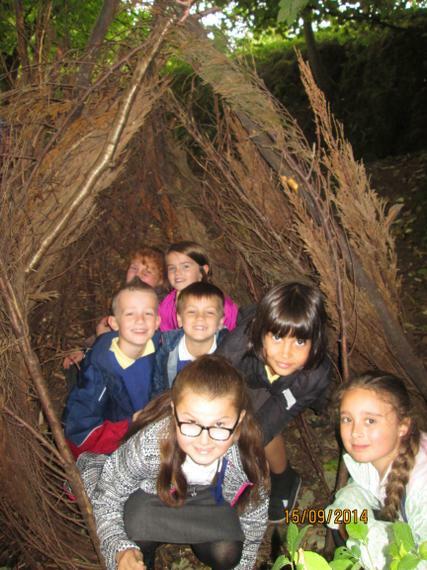 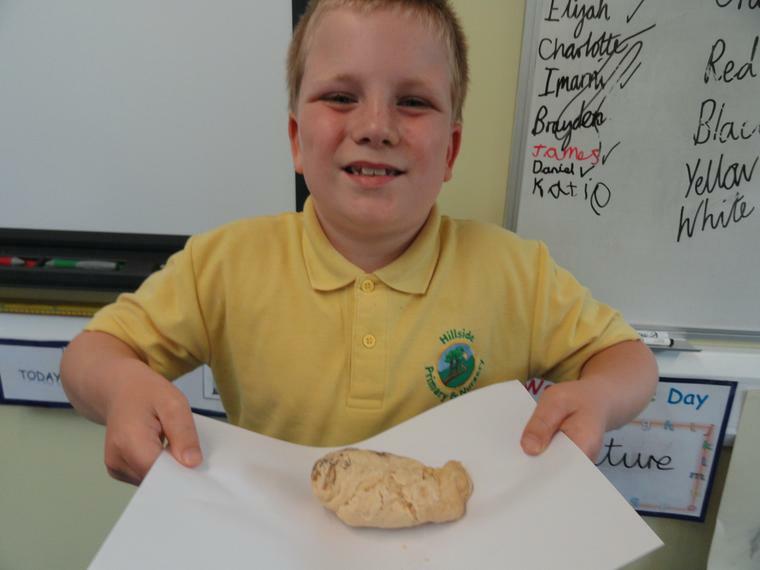 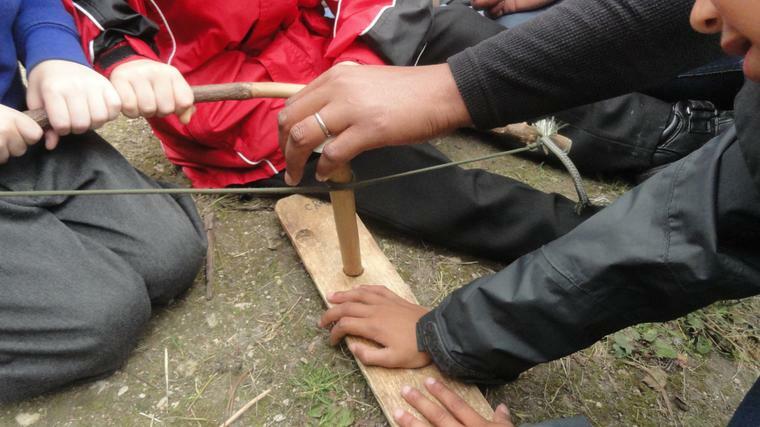 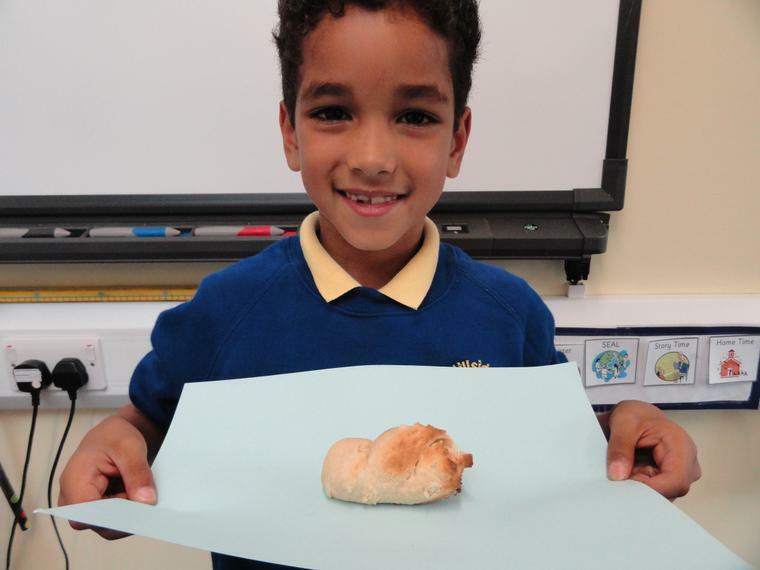 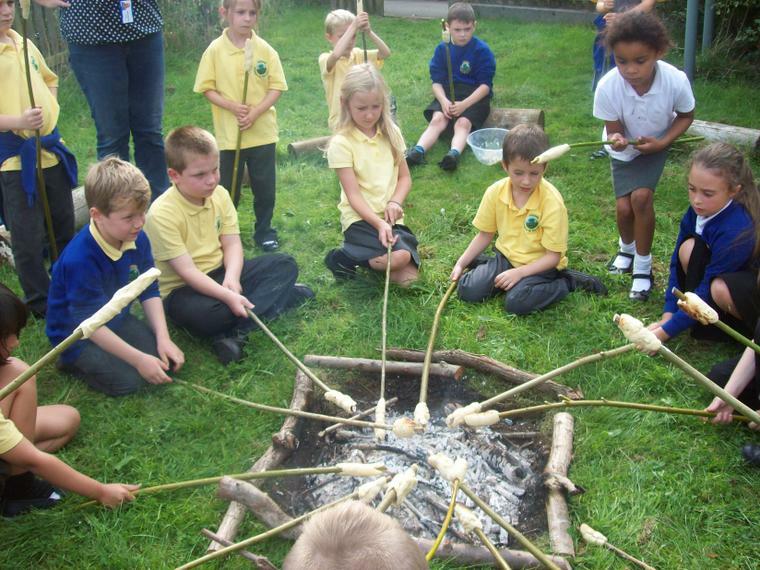 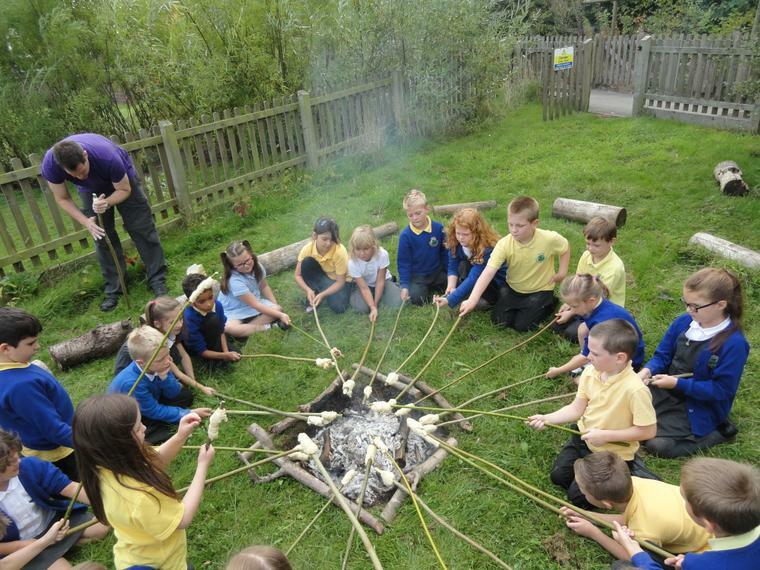 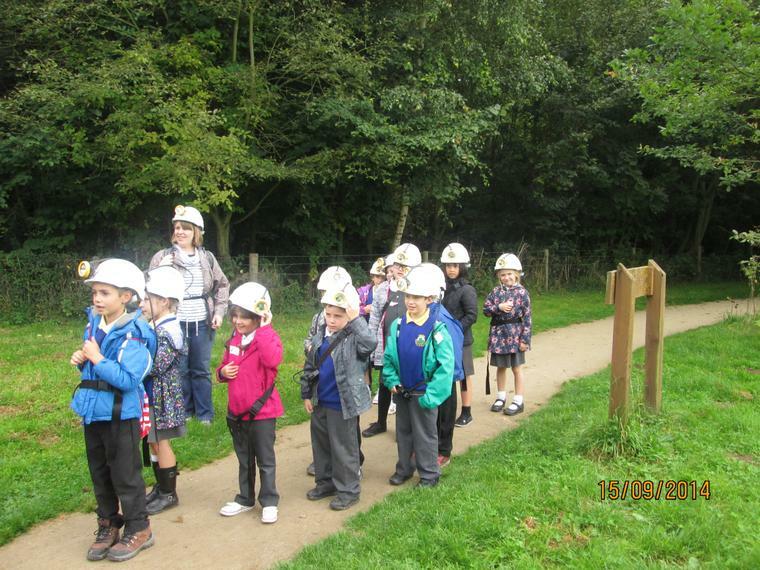 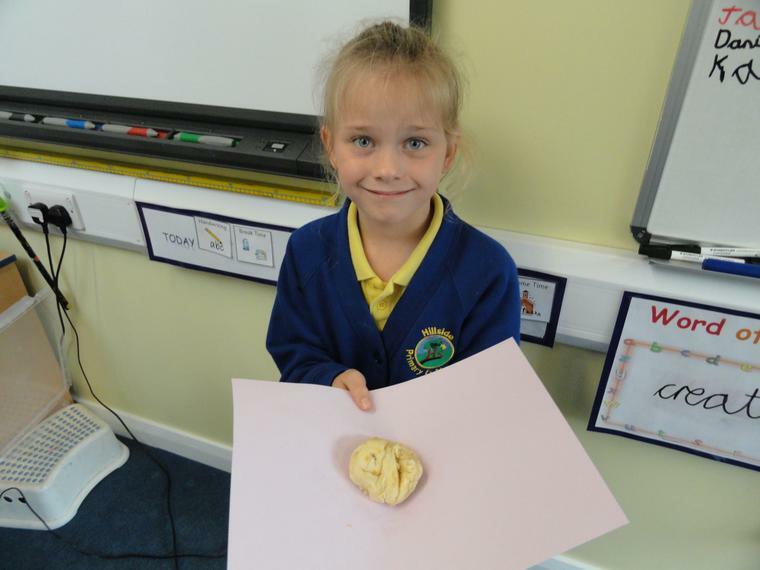 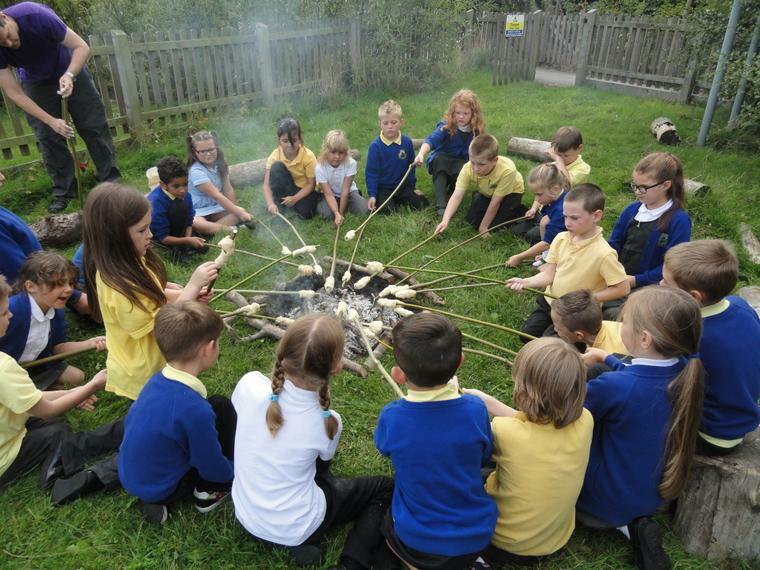 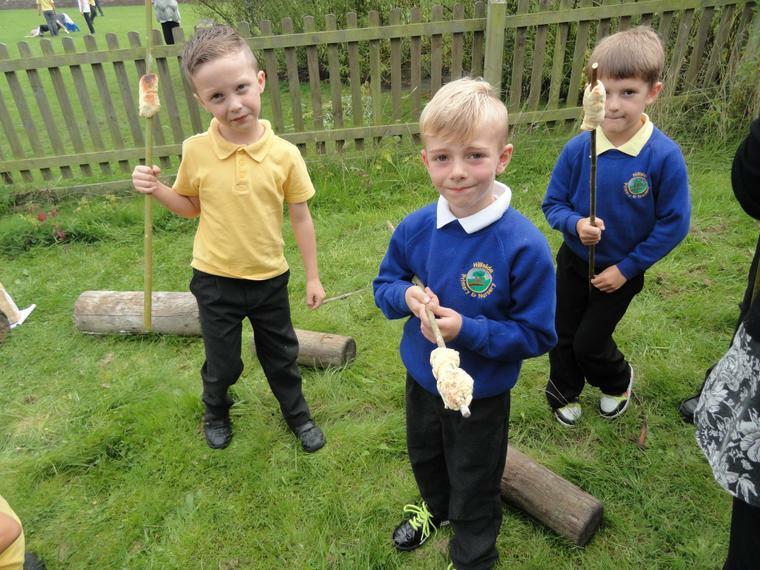 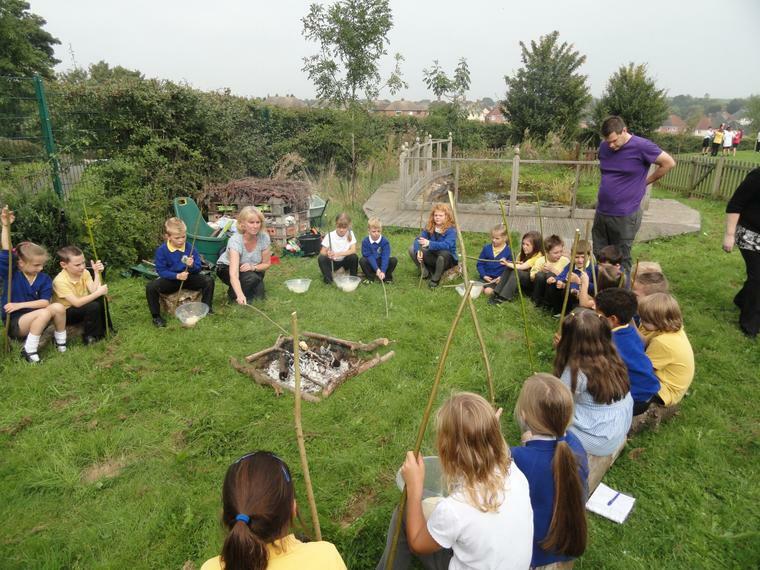 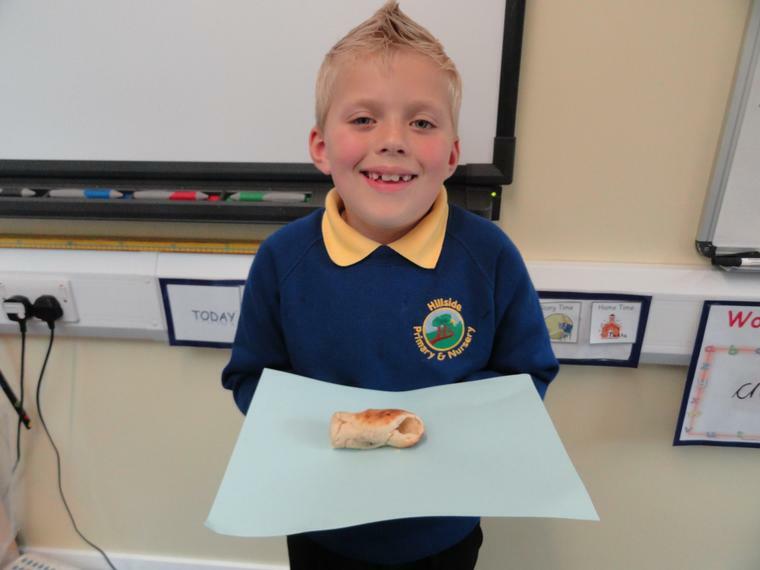 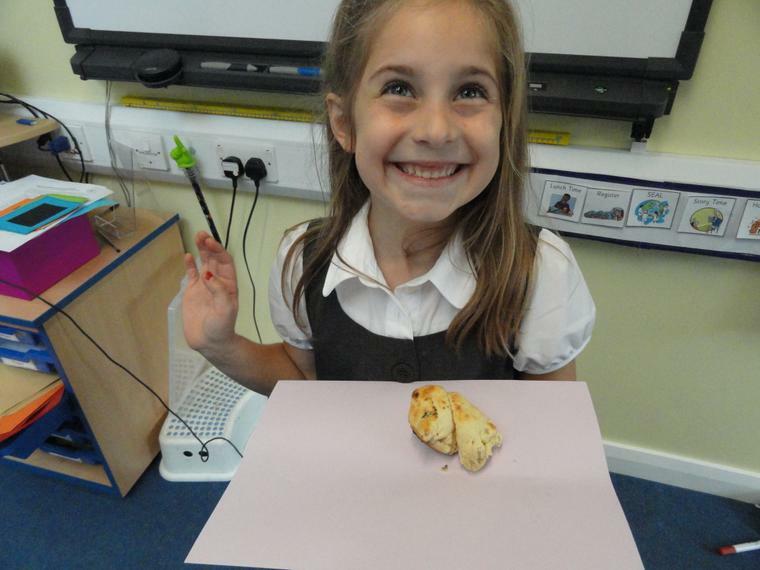 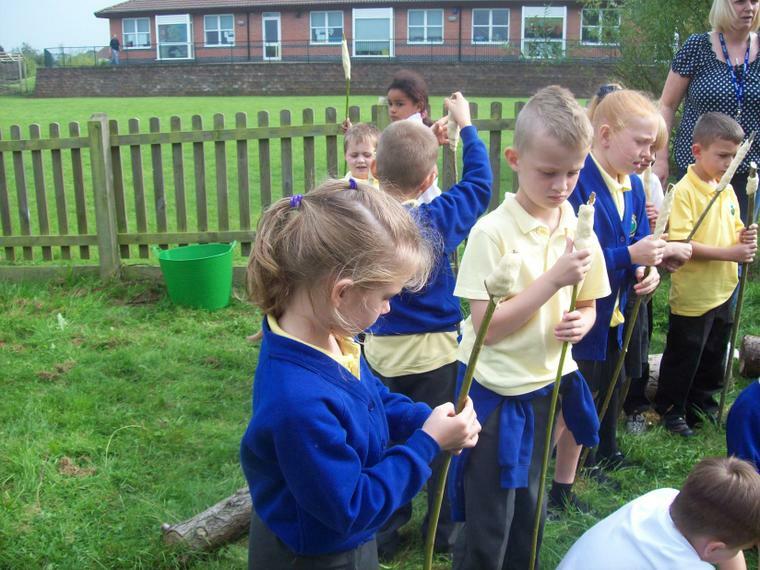 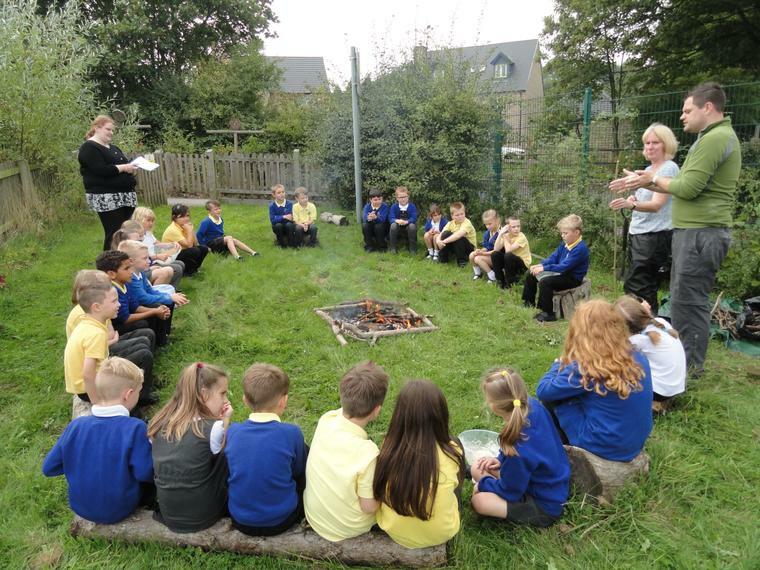 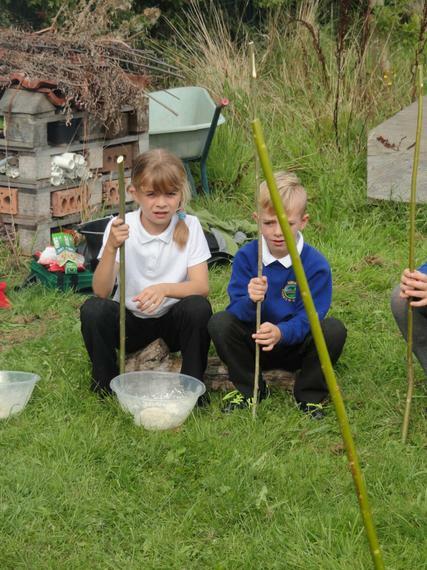 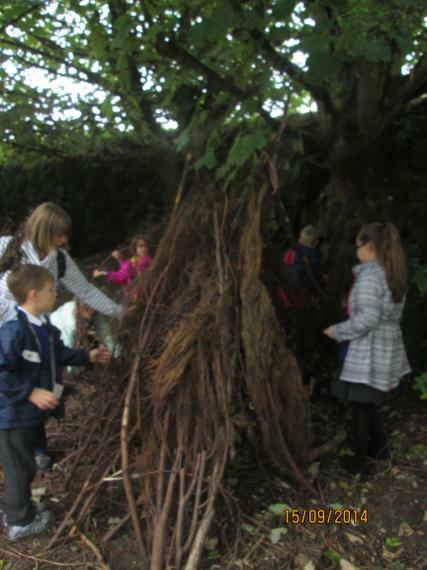 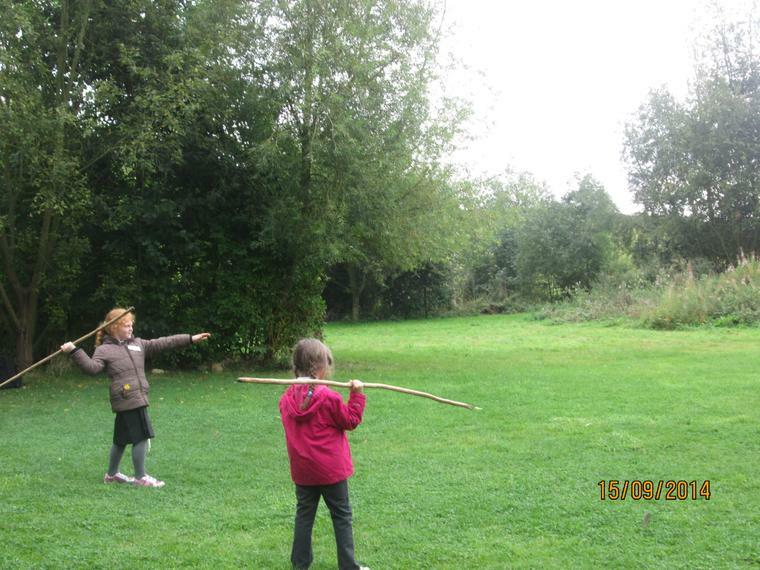 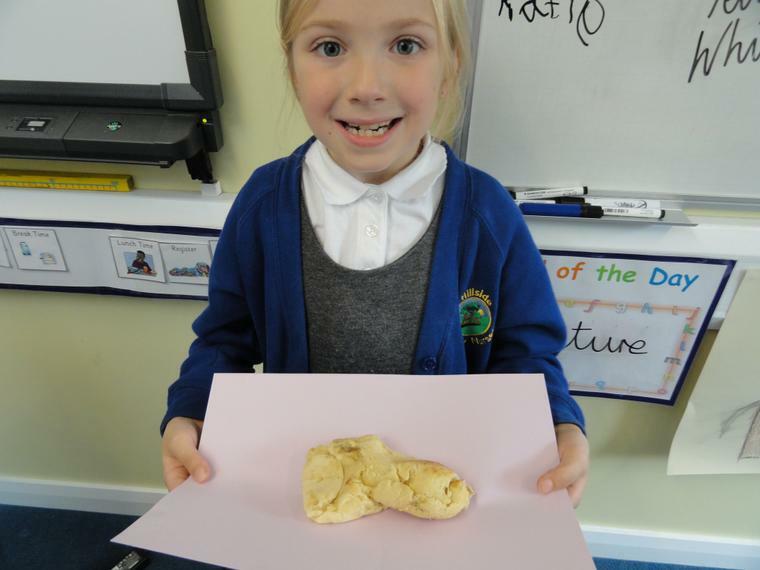 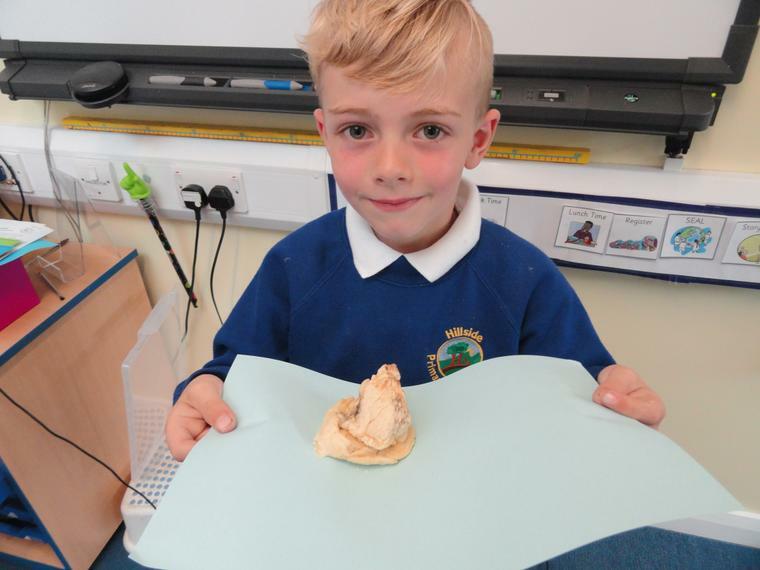 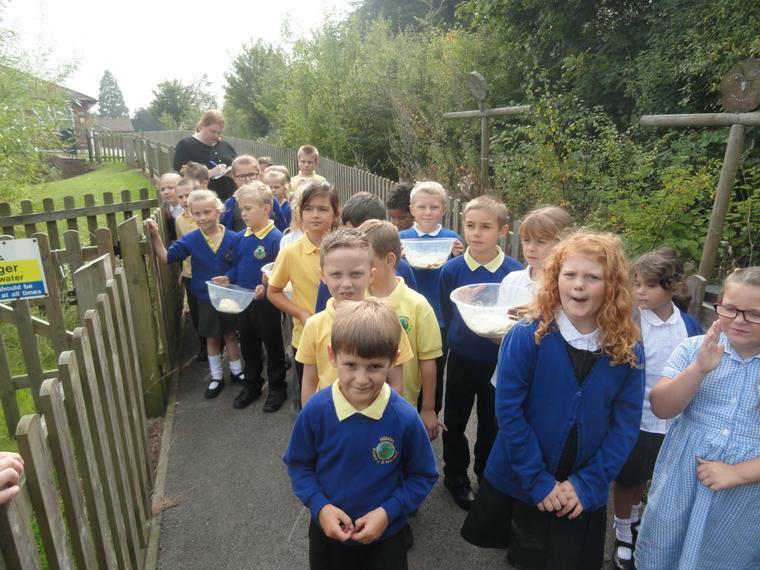 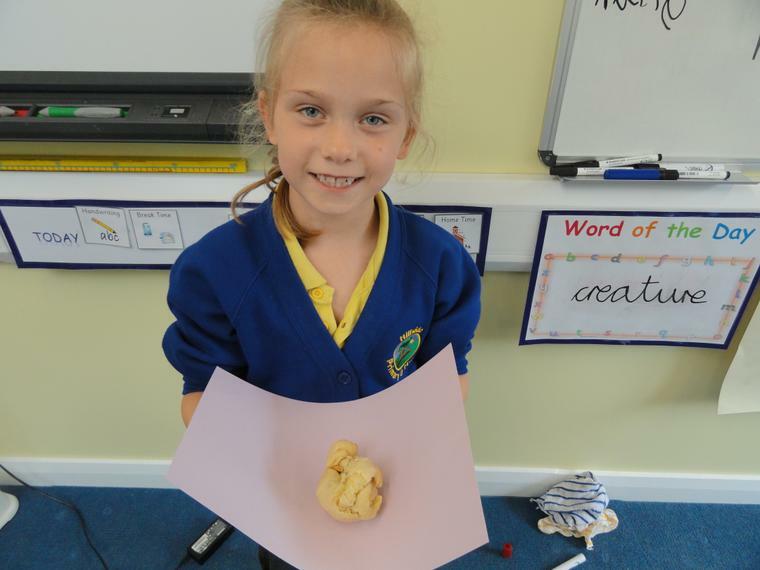 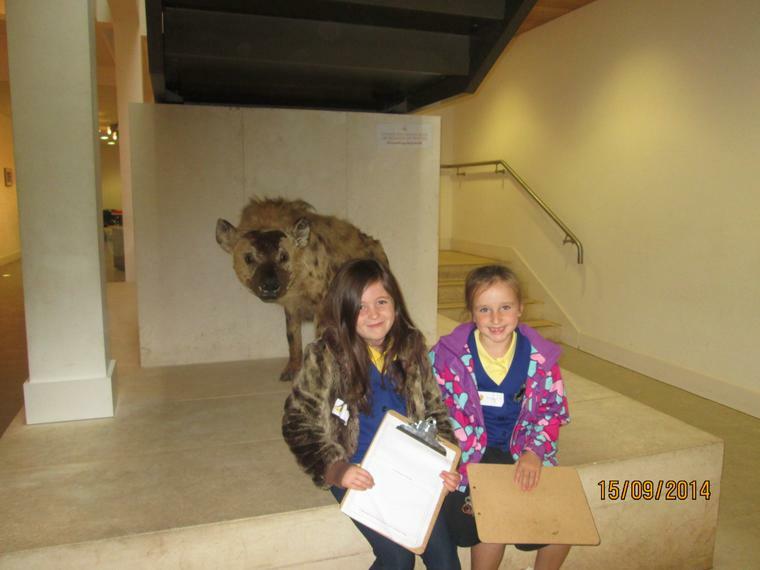 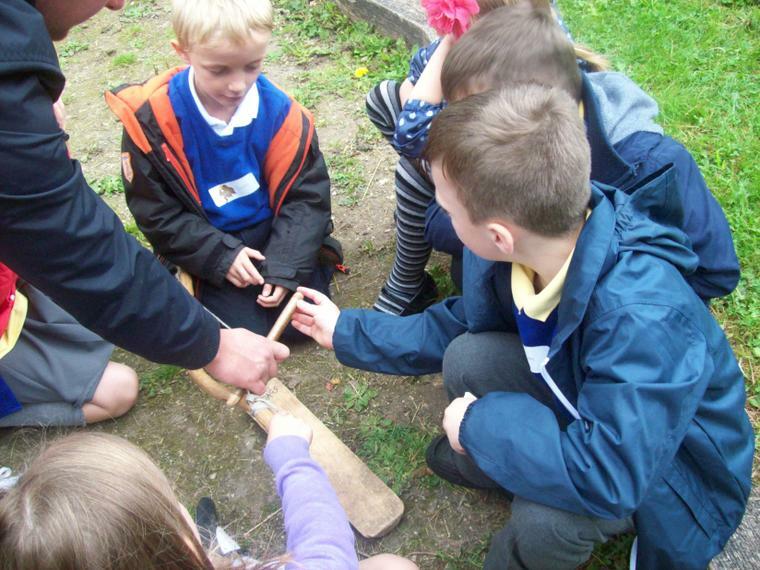 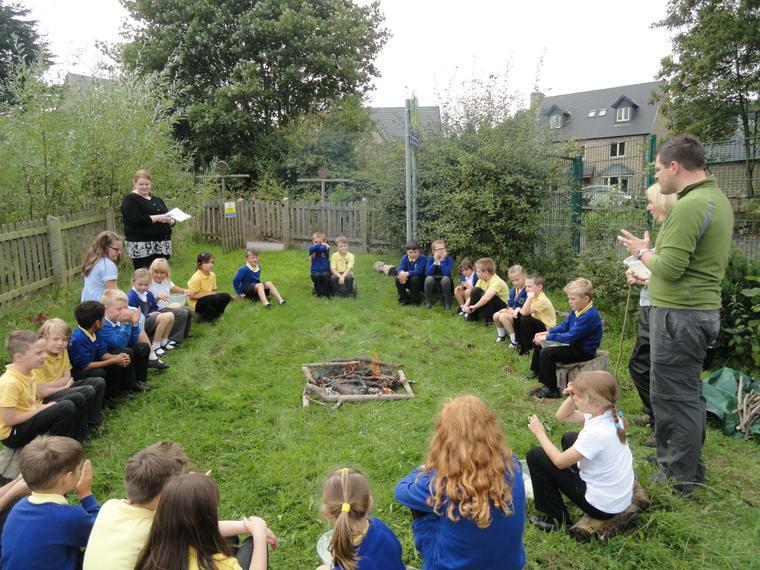 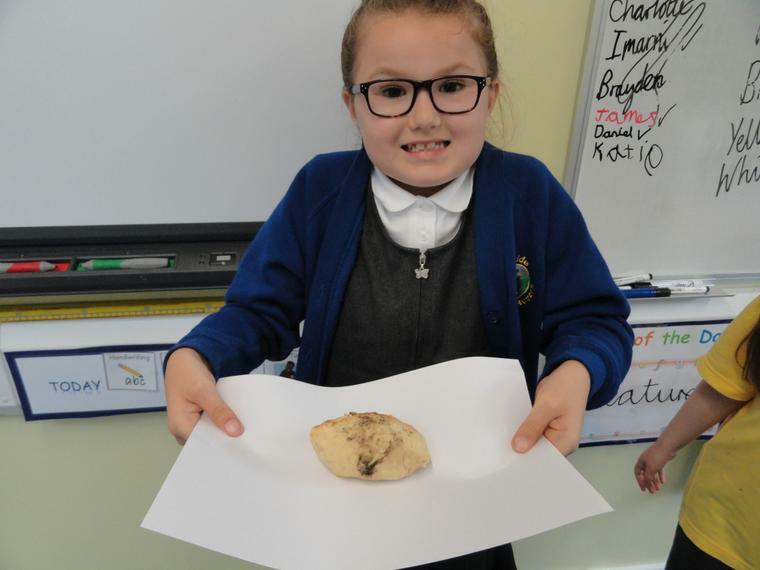 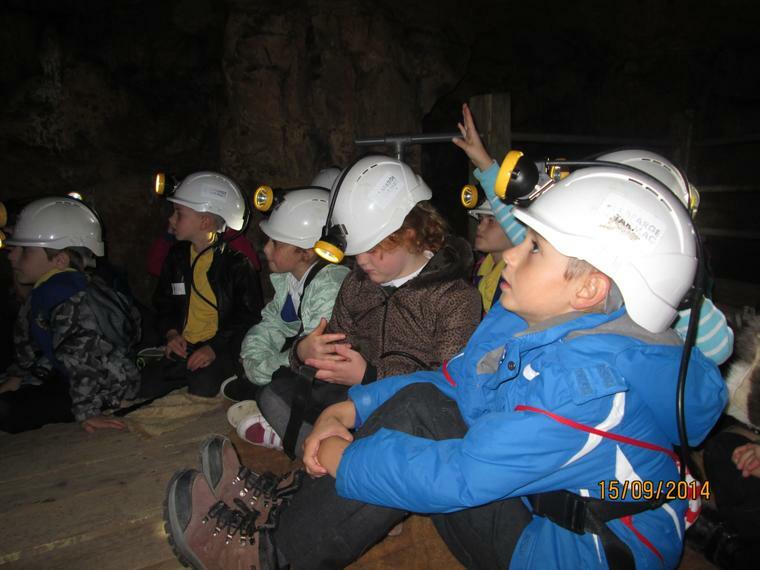 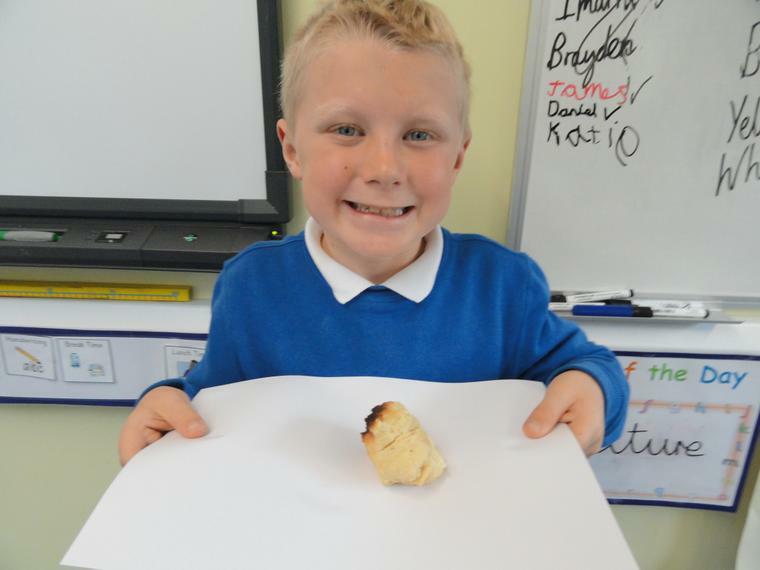 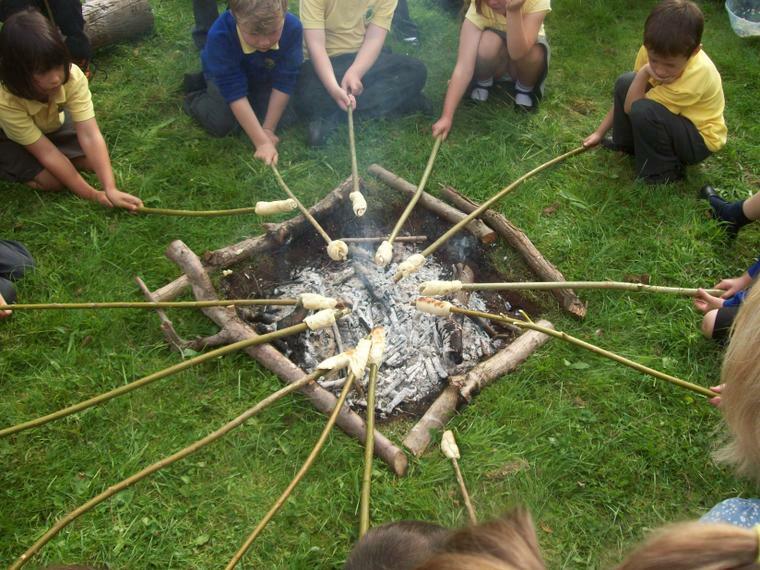 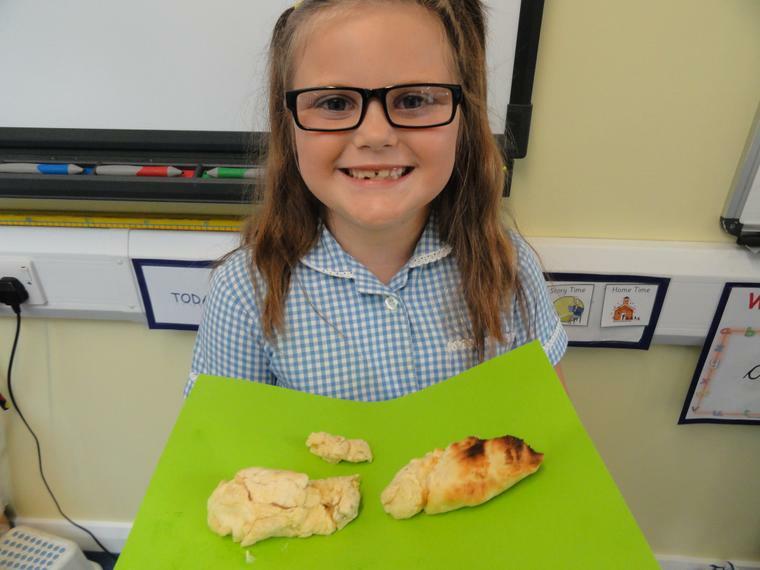 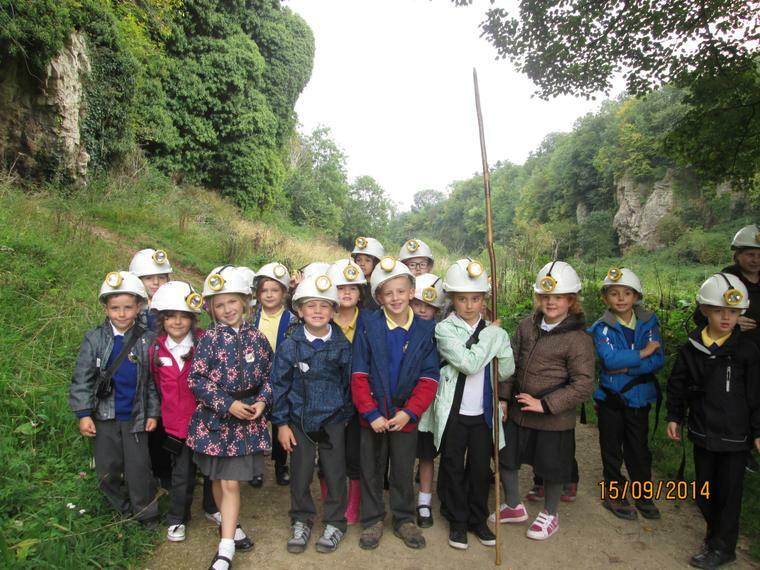 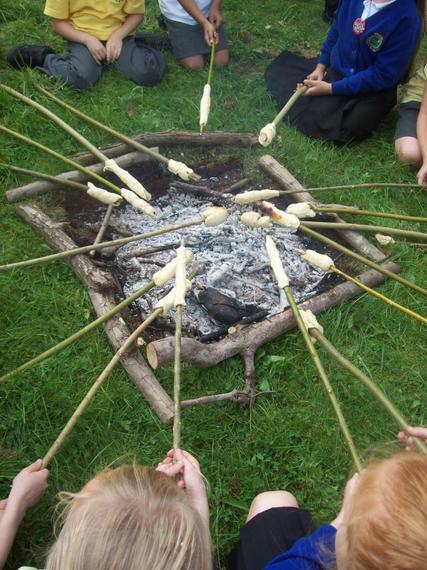 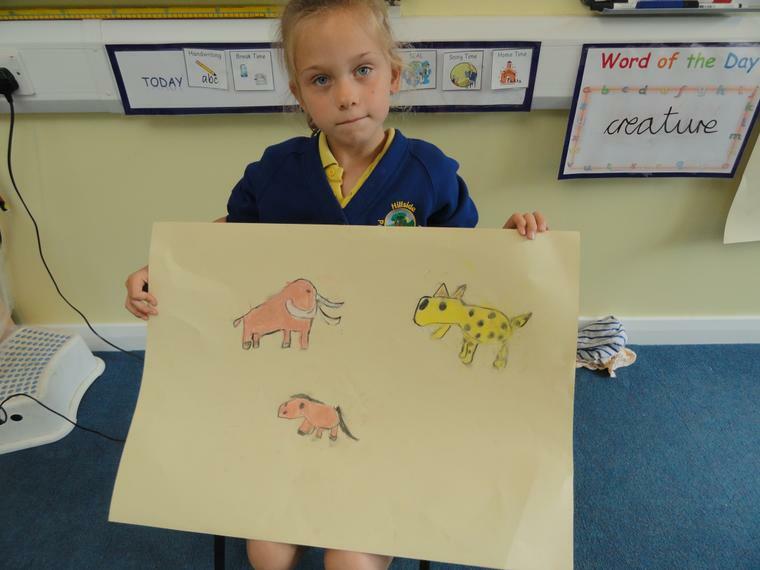 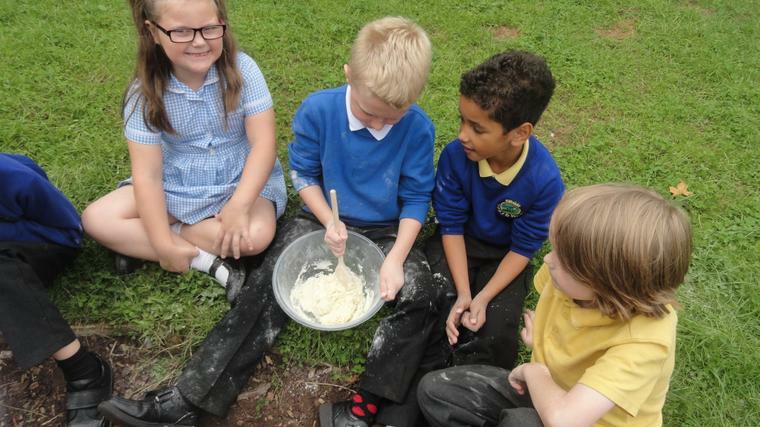 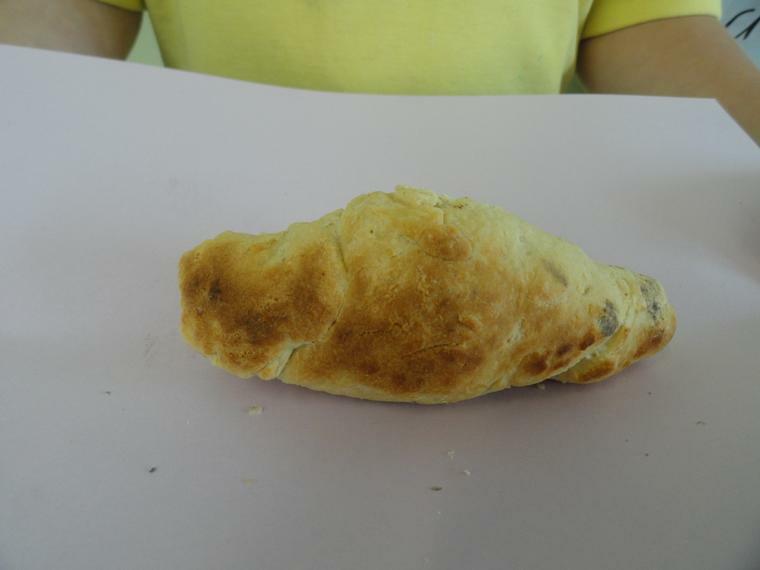 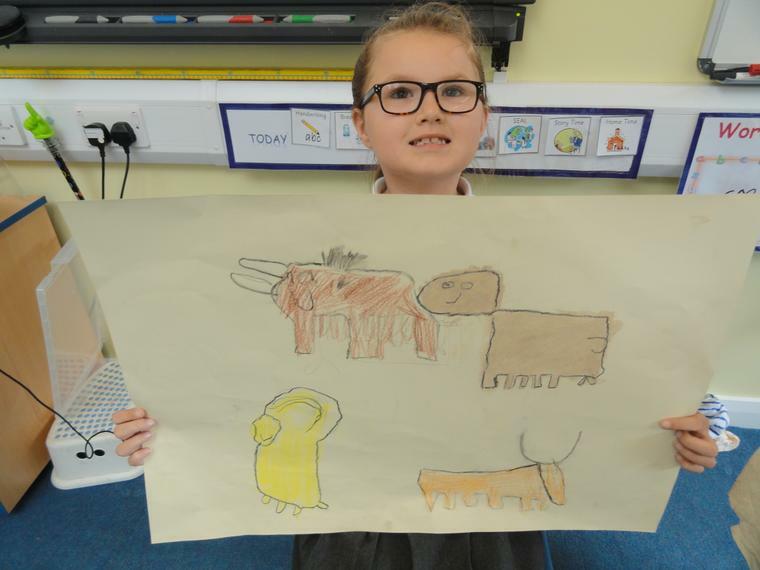 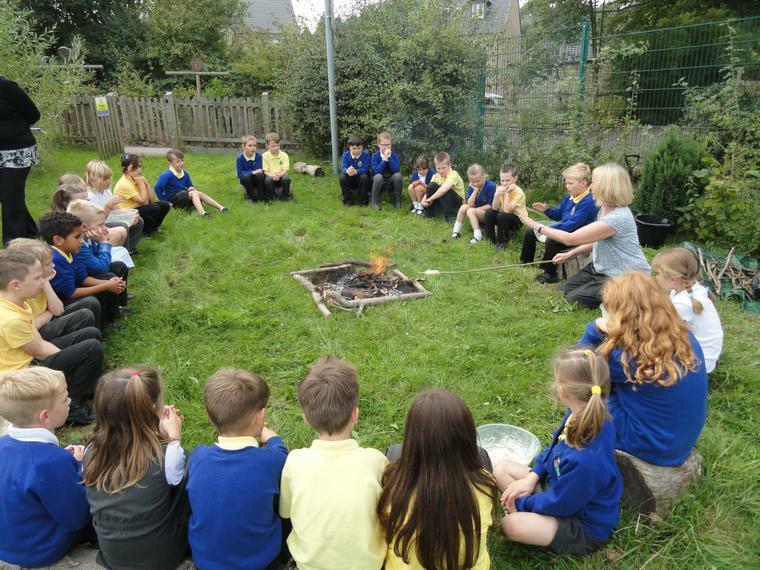 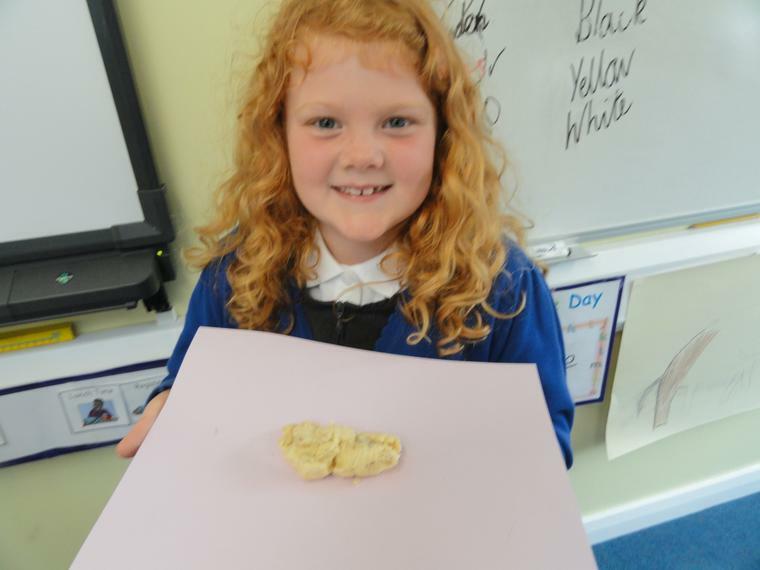 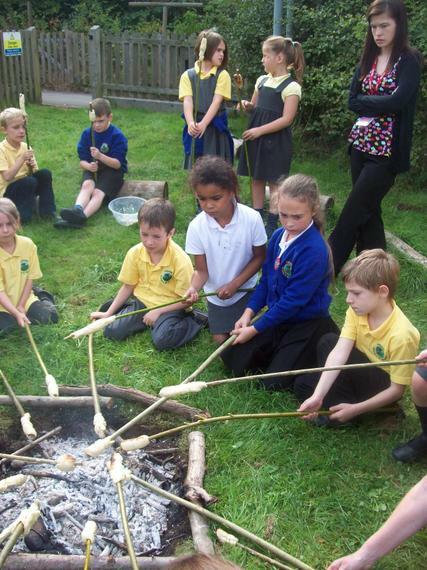 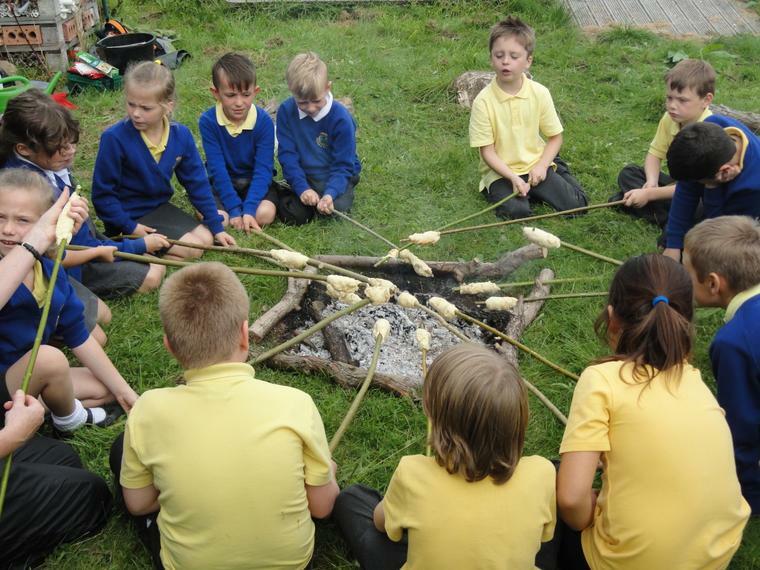 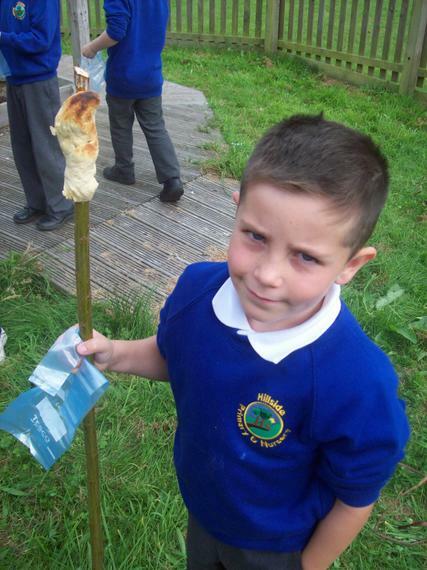 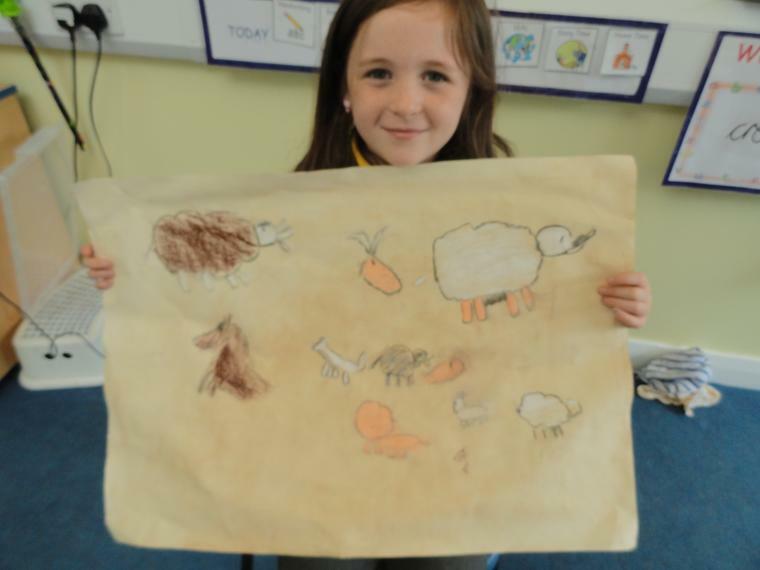 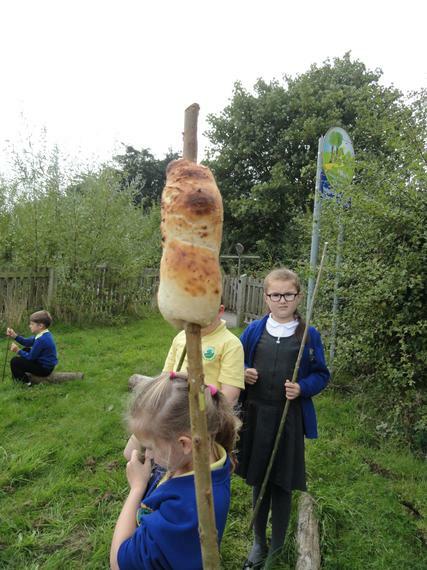 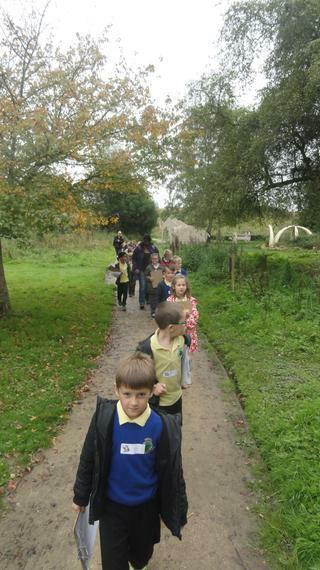 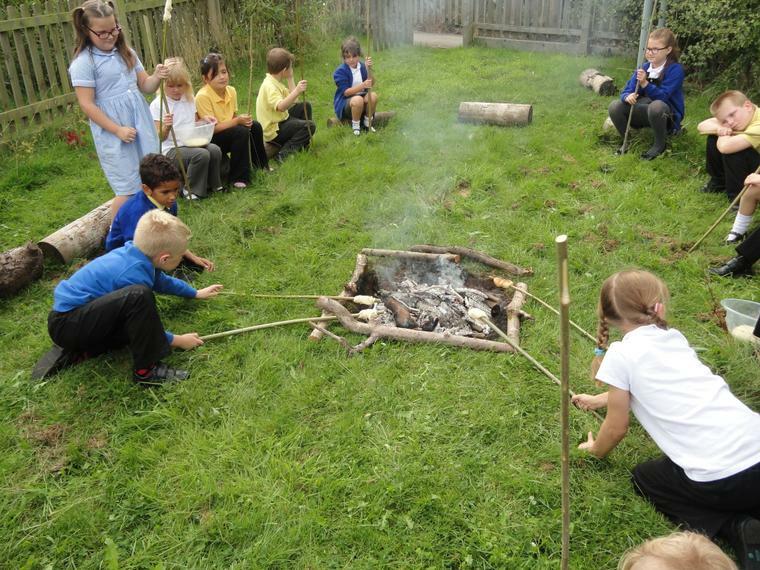 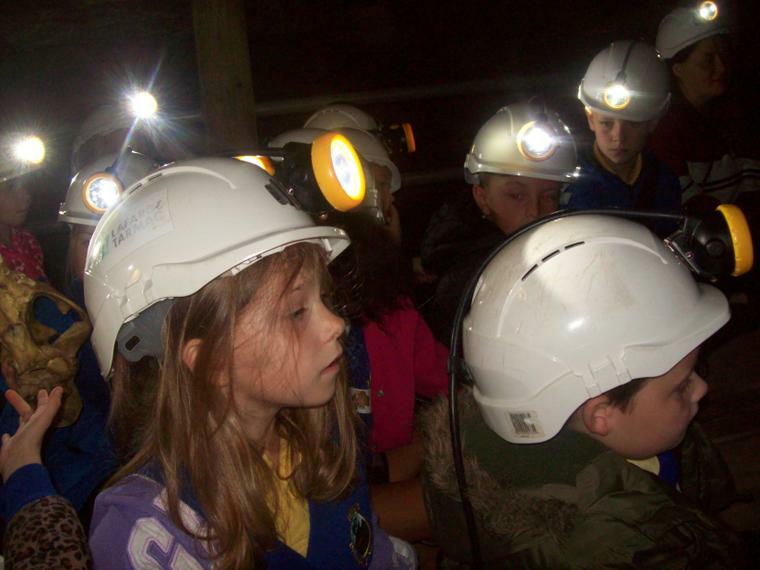 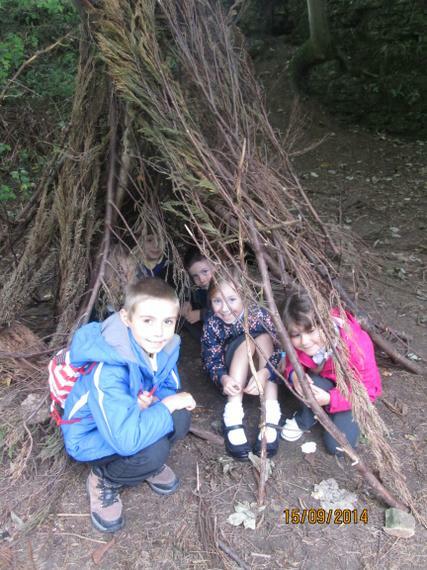 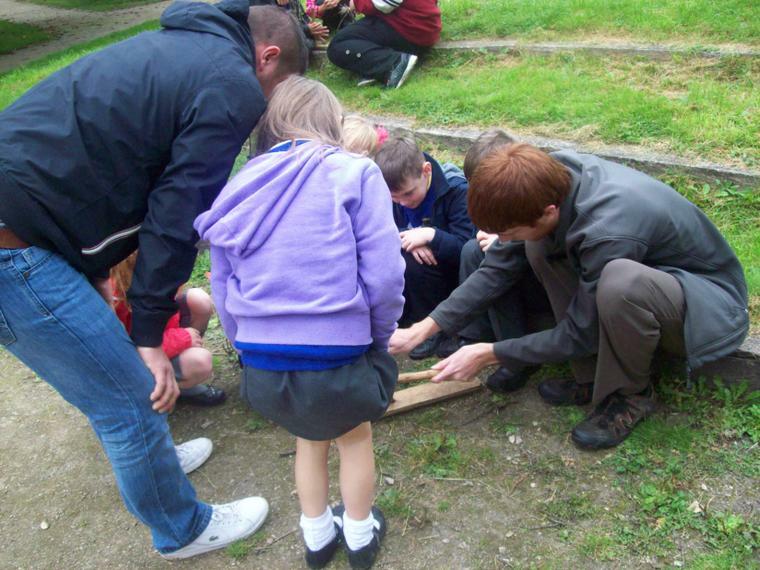 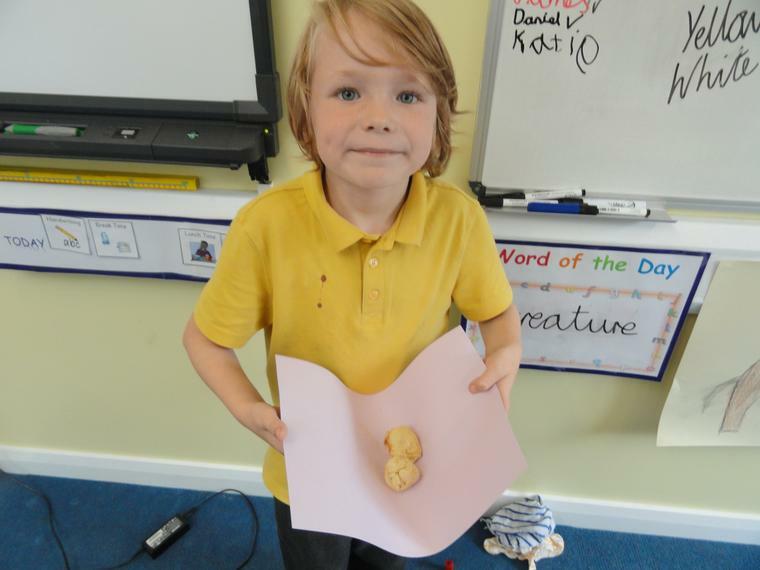 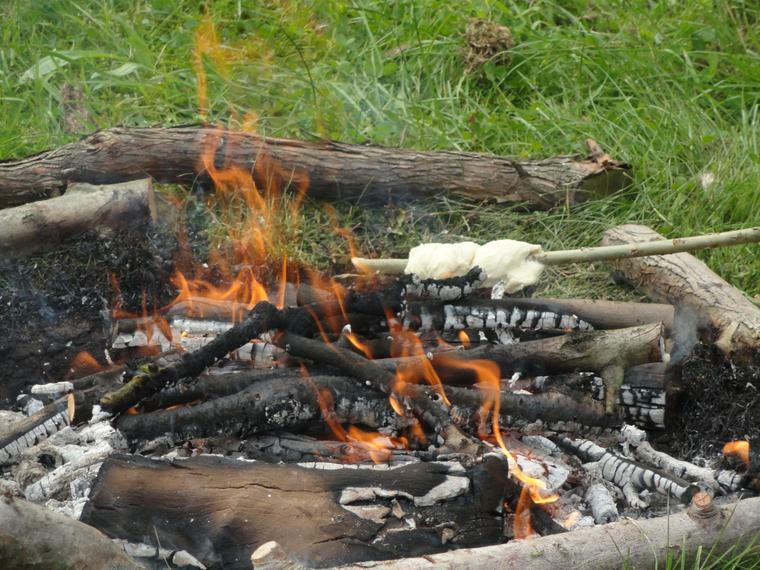 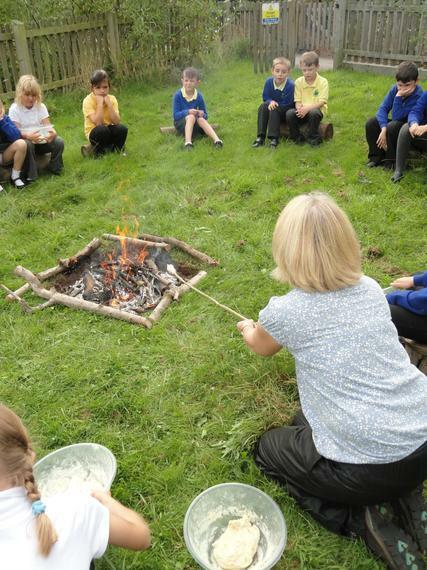 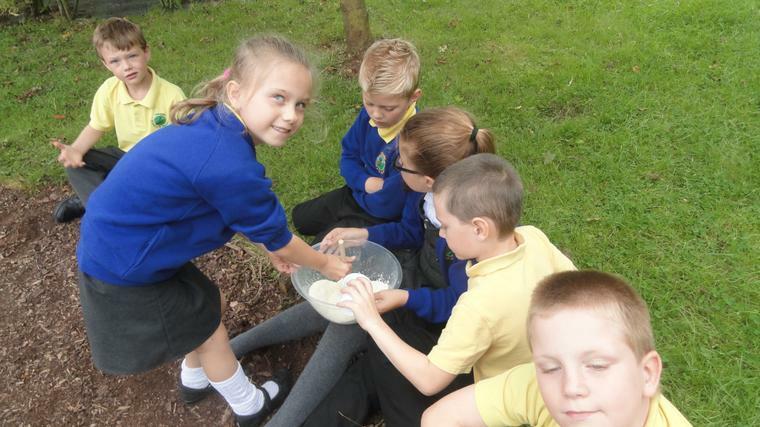 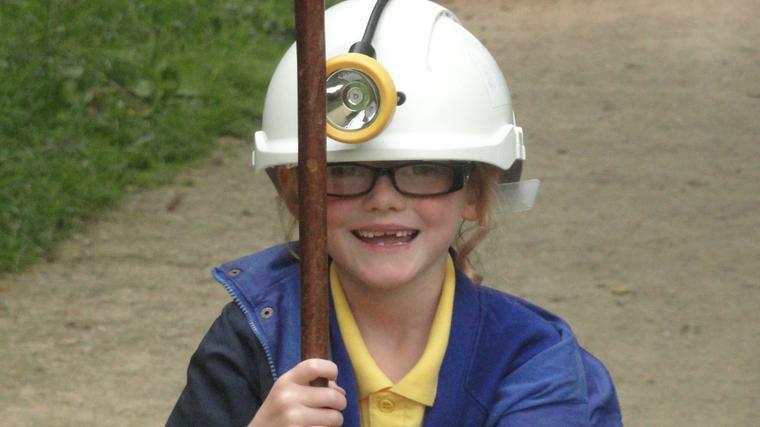 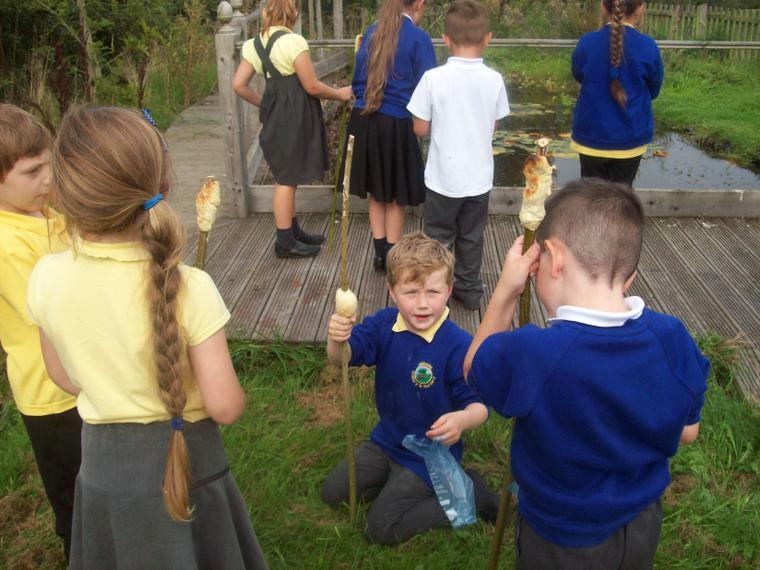 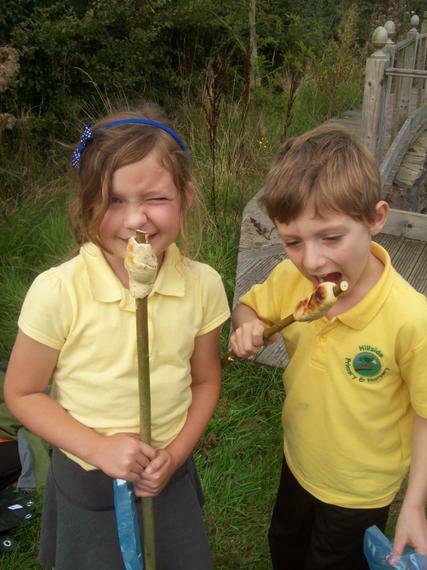 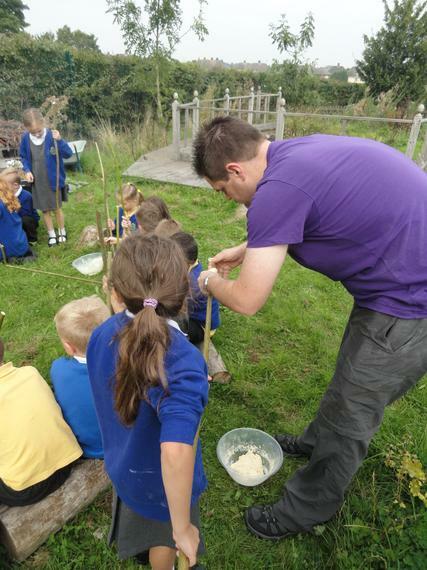 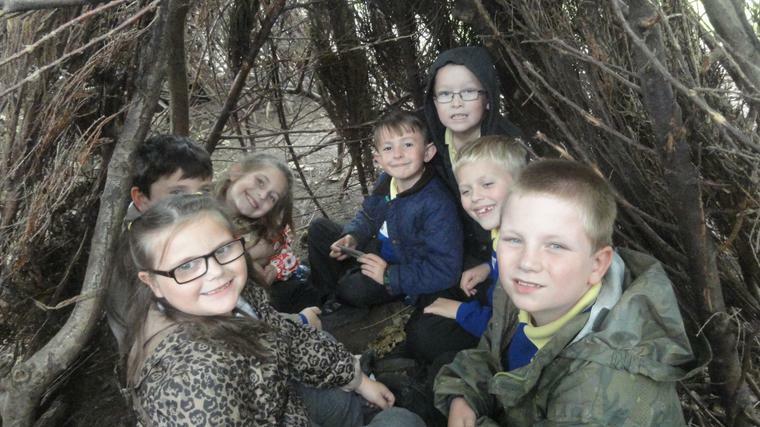 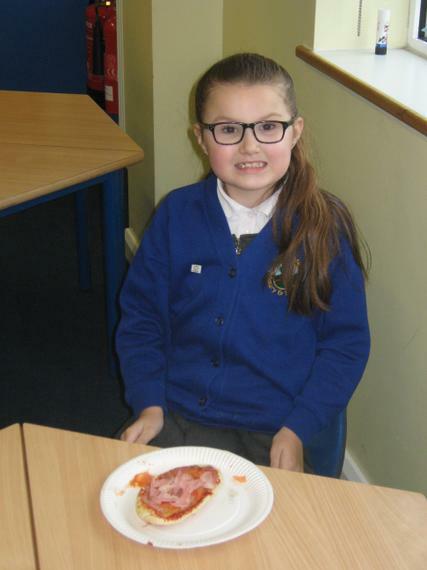 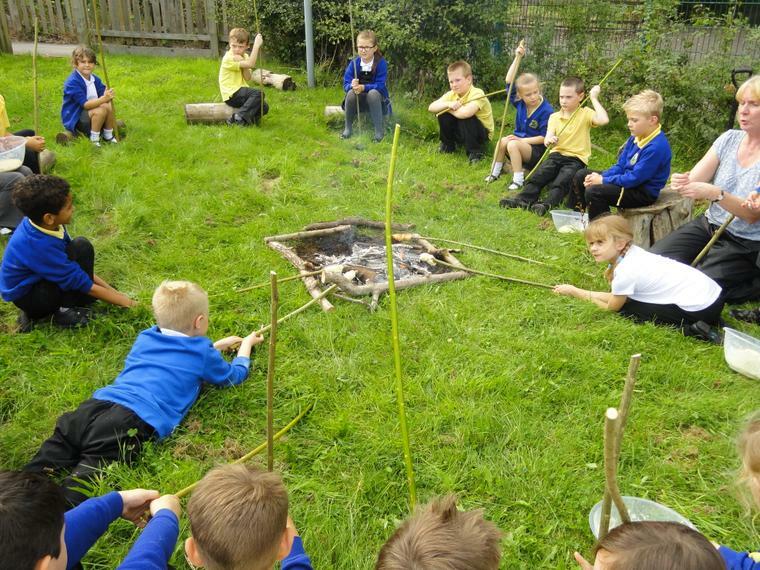 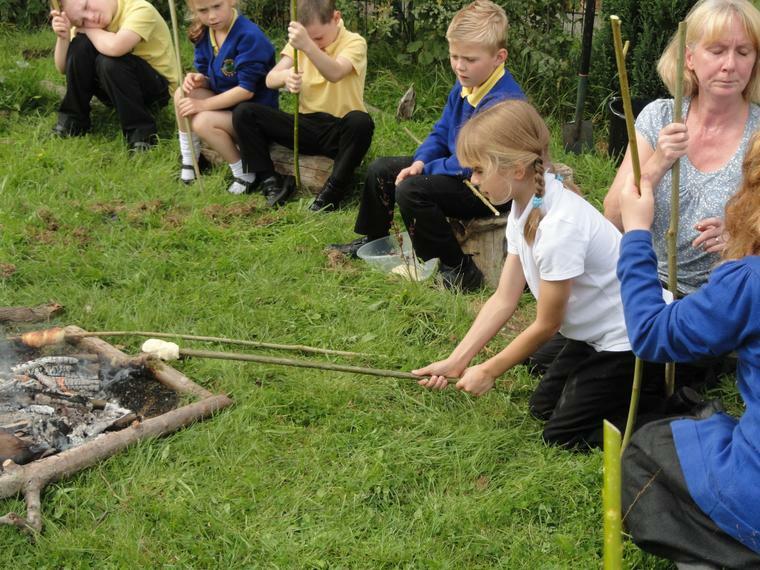 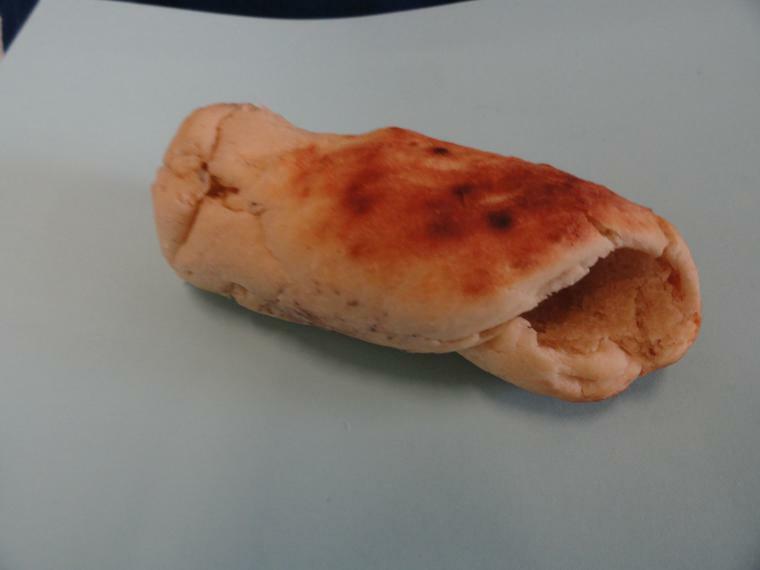 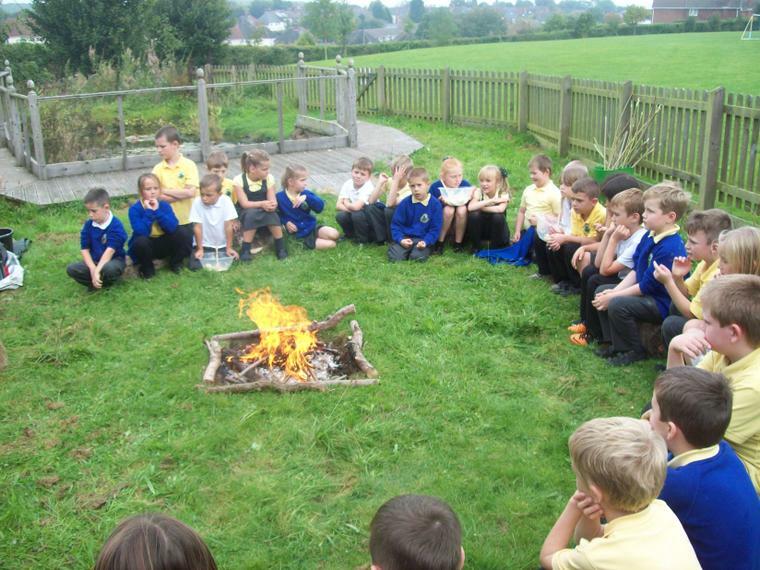 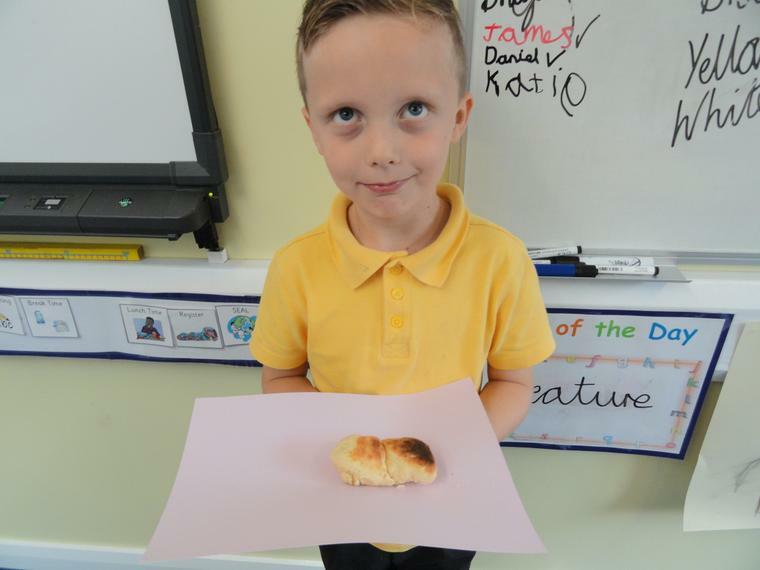 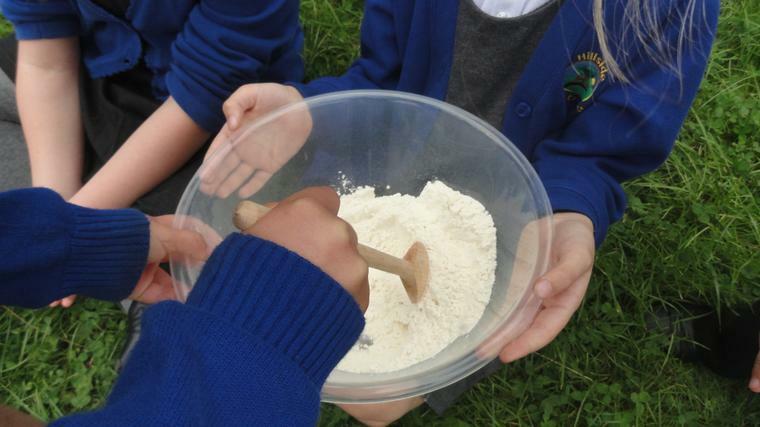 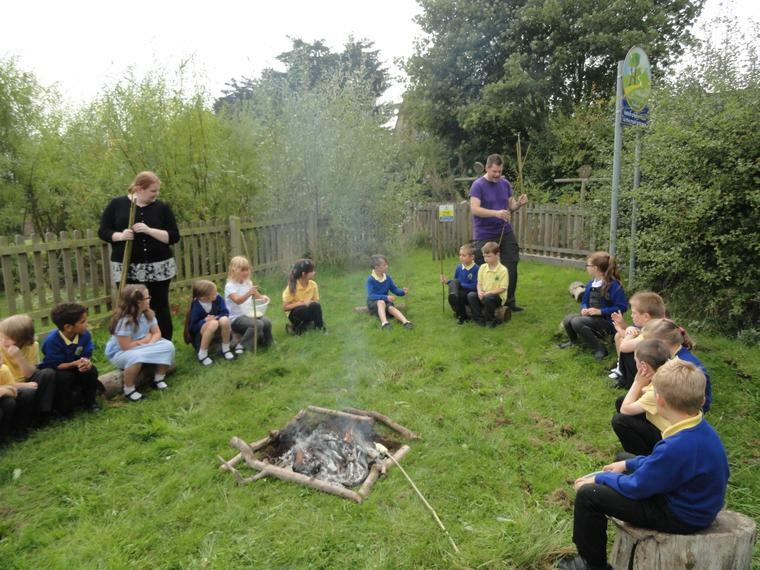 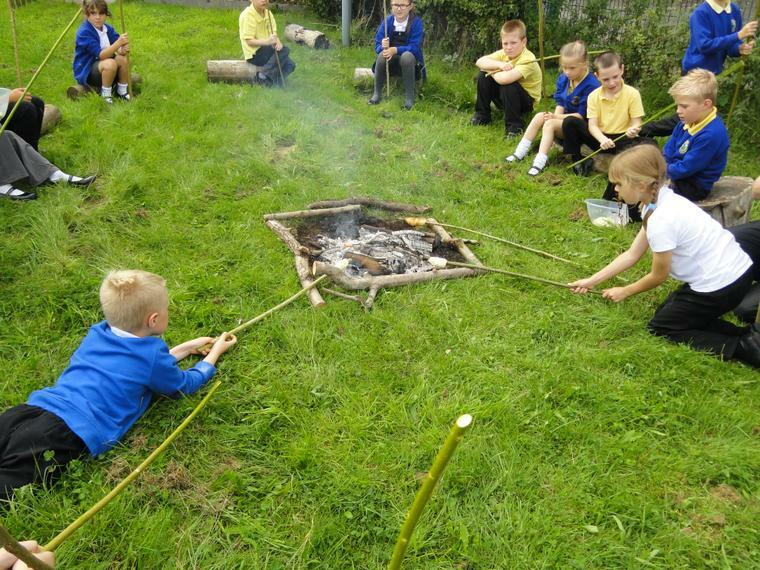 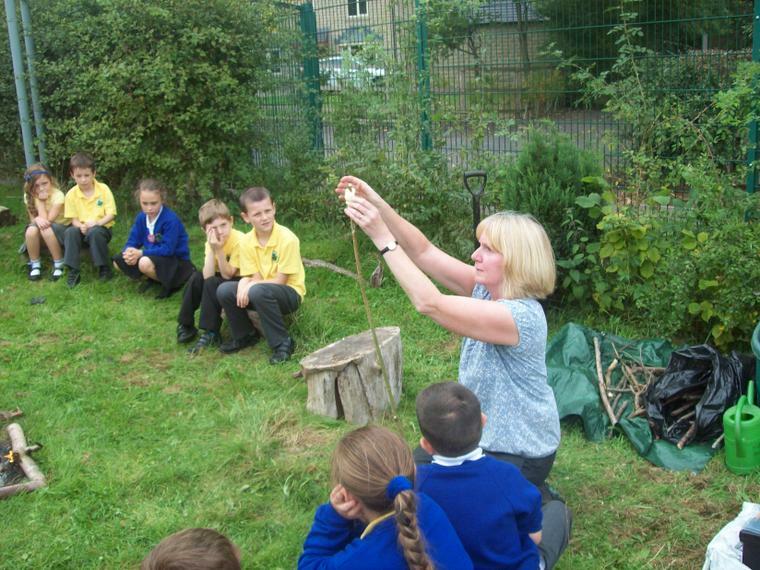 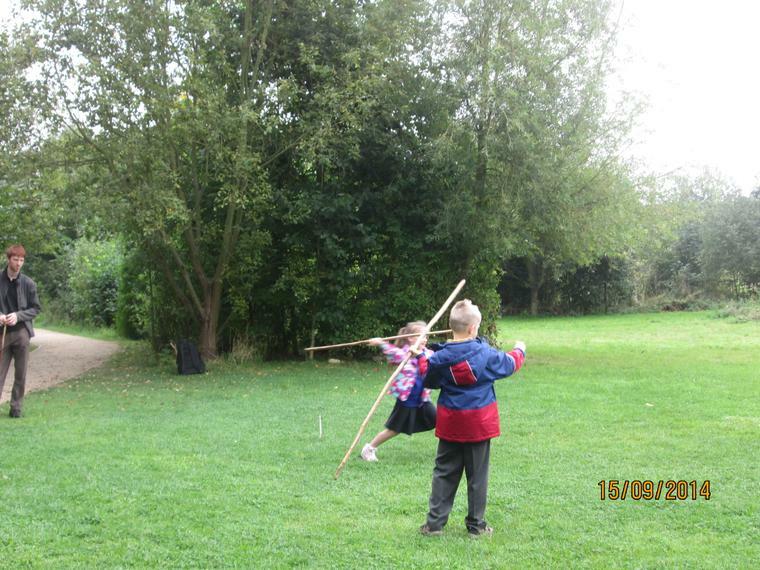 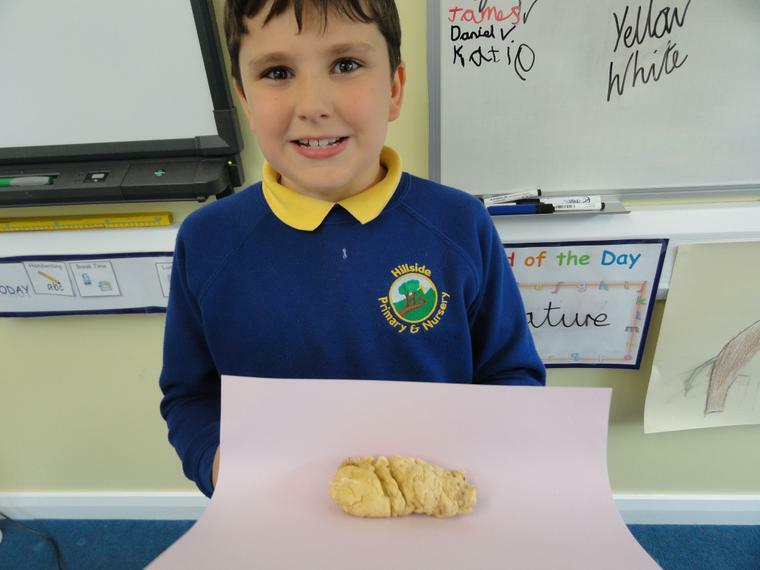 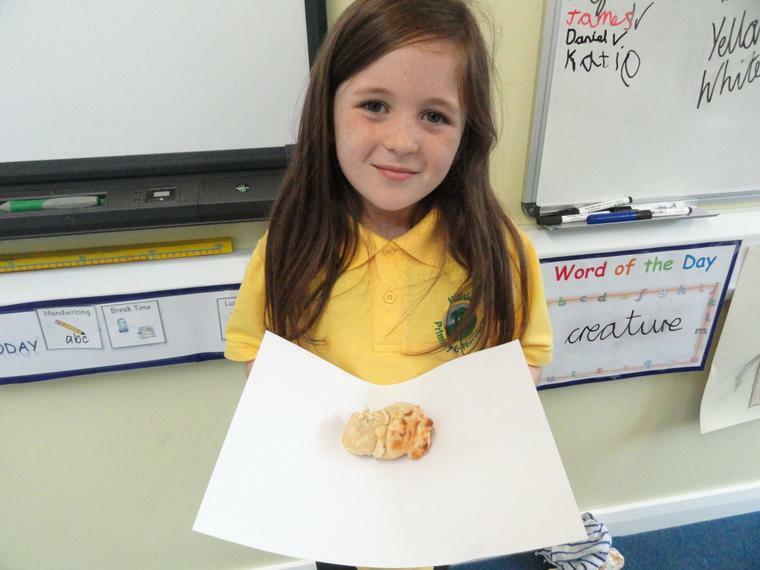 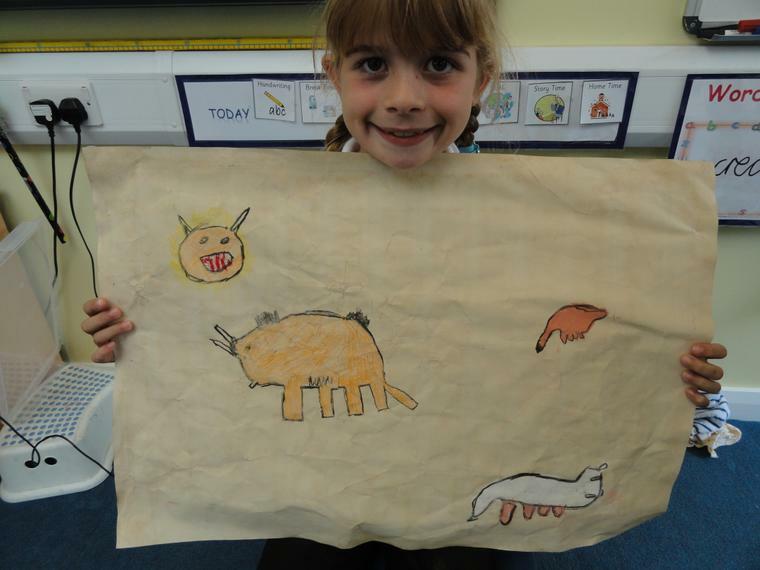 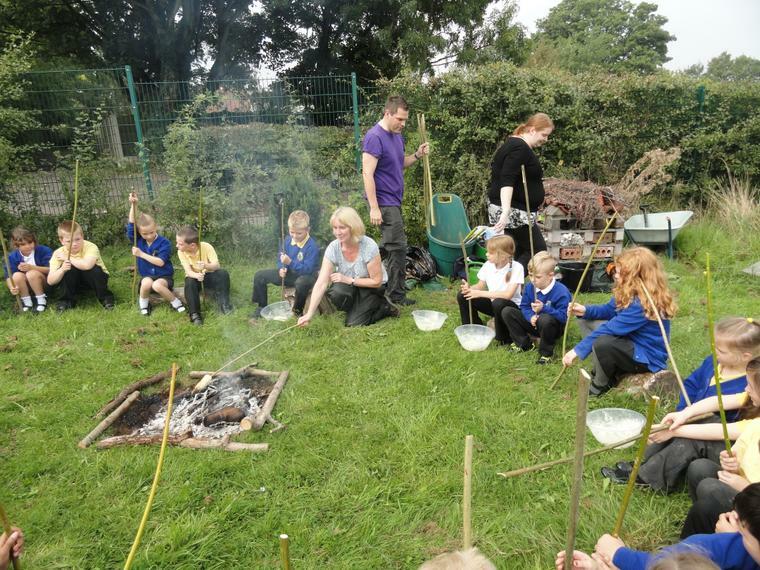 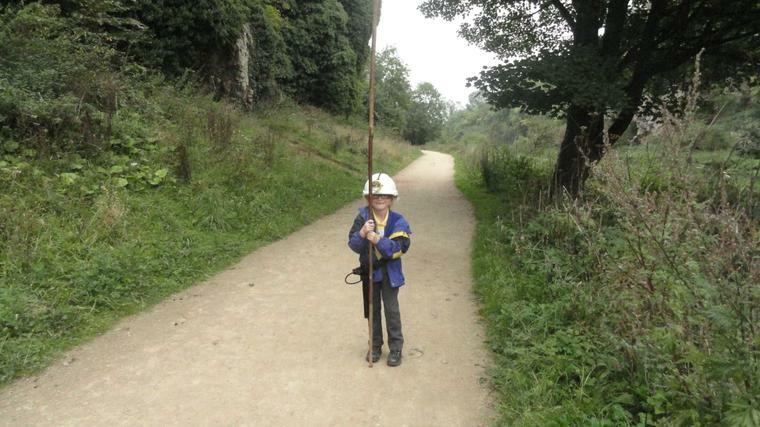 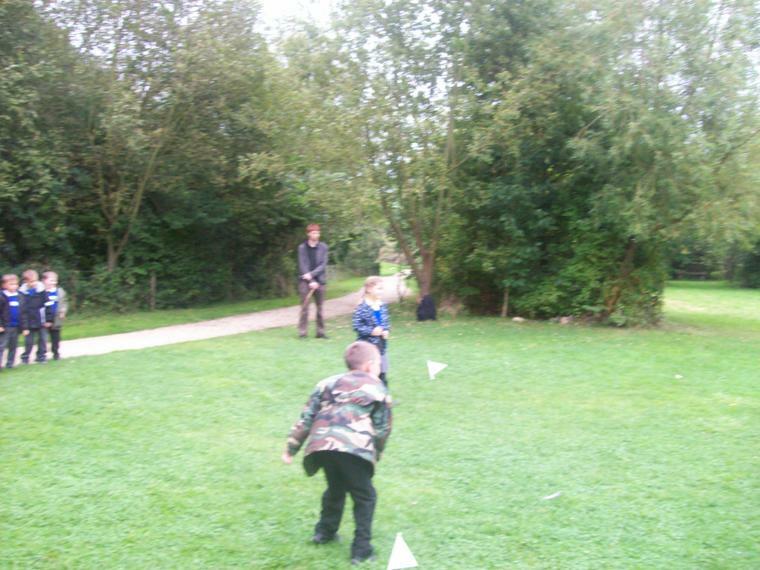 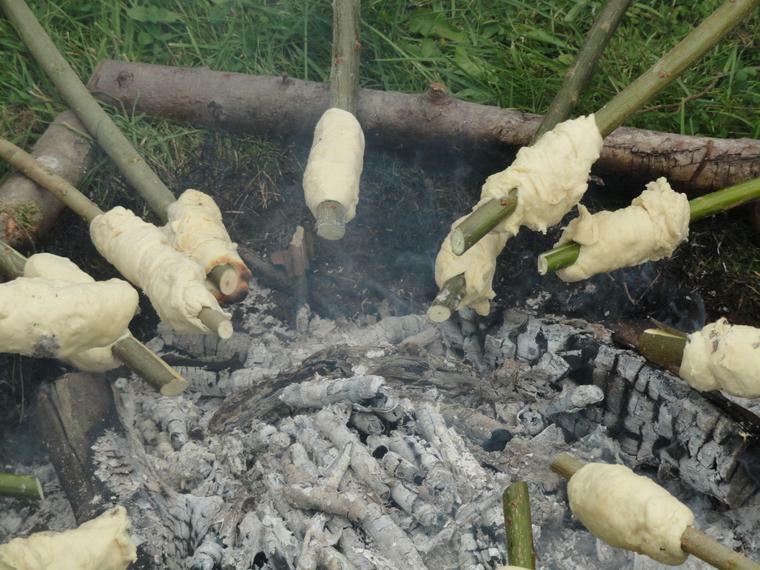 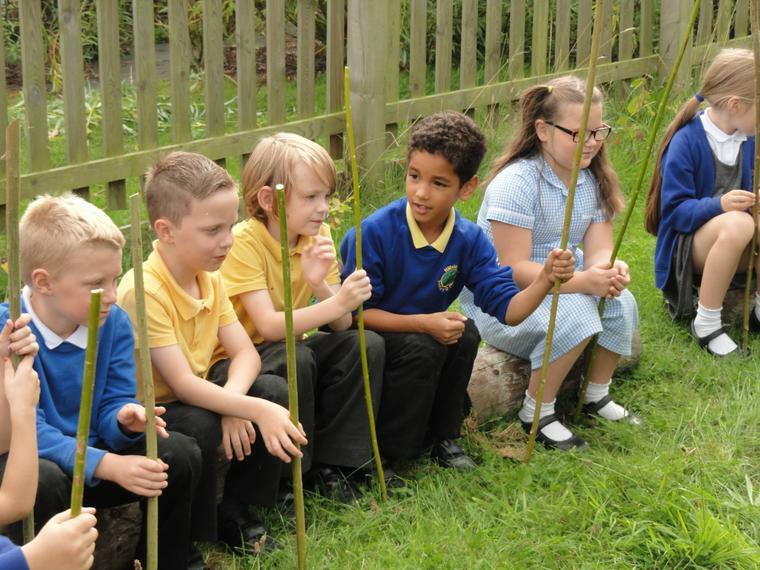 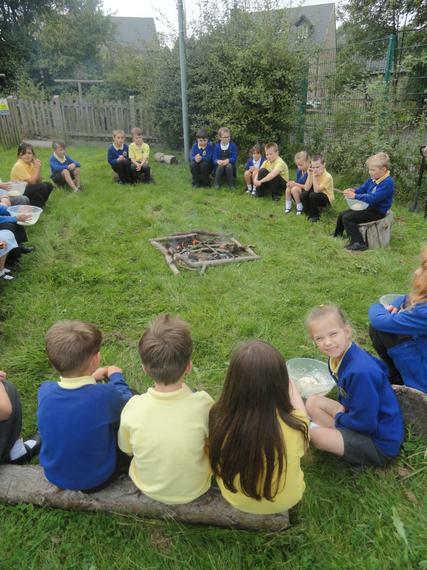 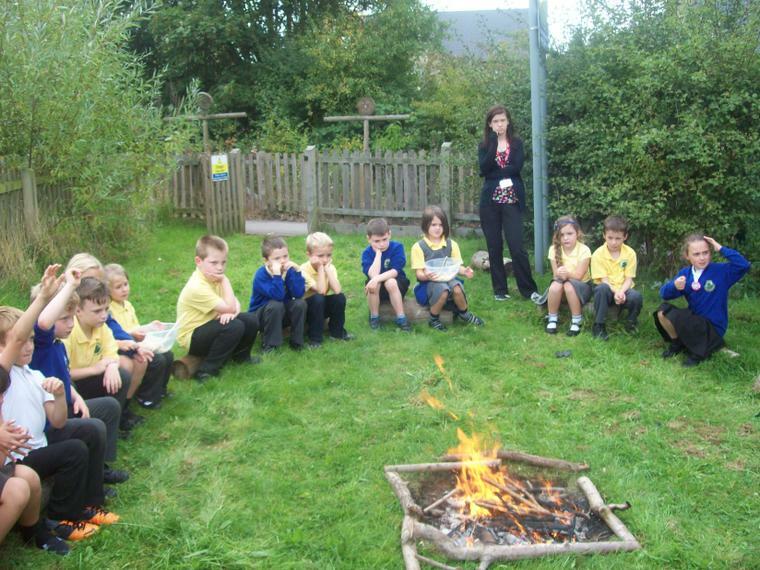 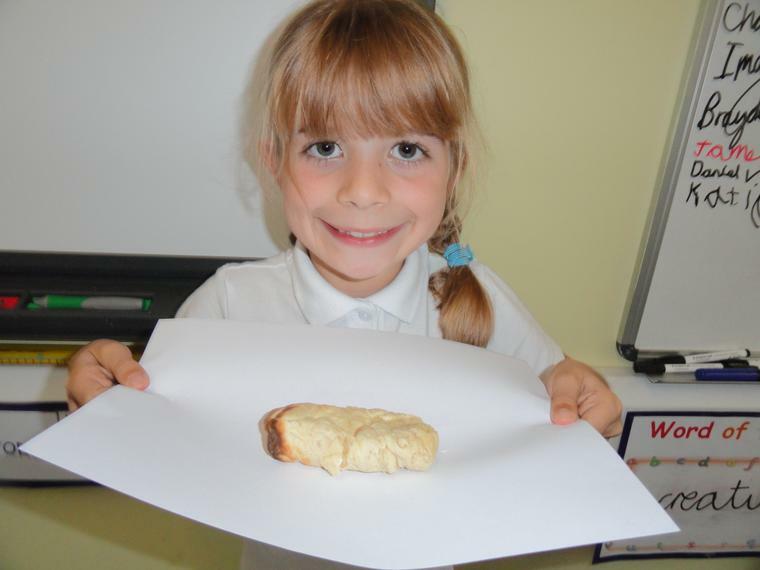 We have enjoyed learning about the Stone Age. 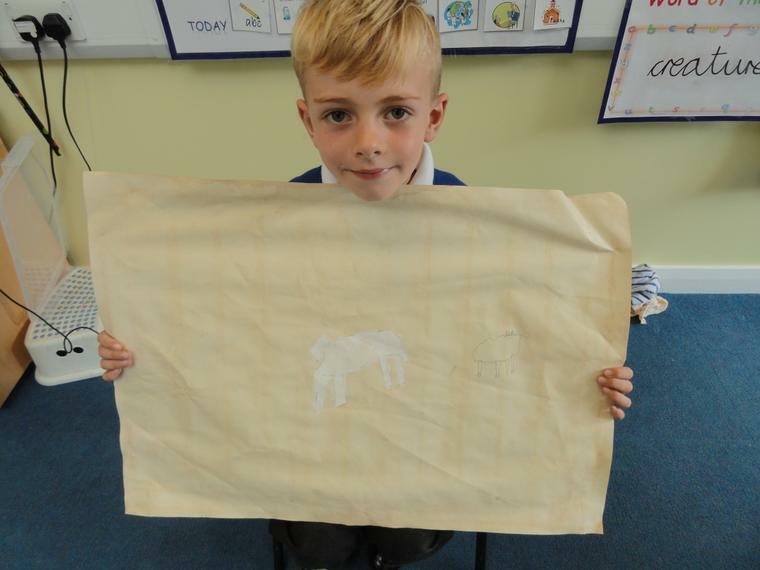 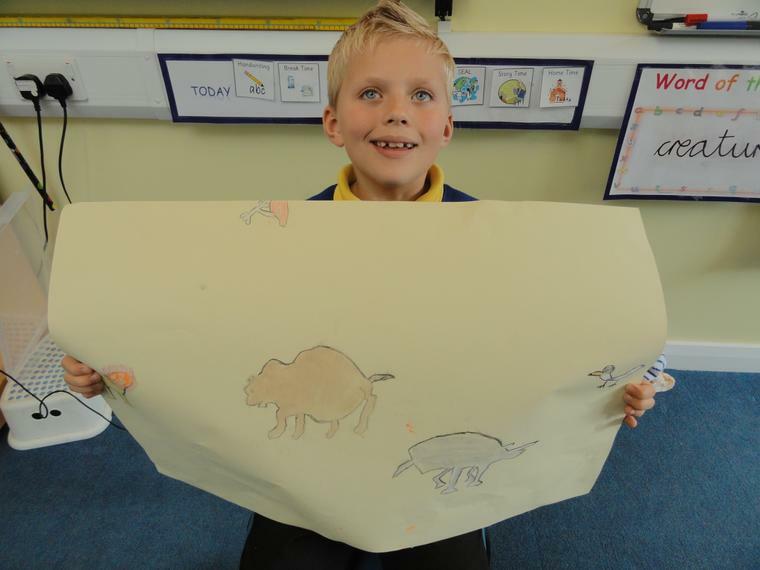 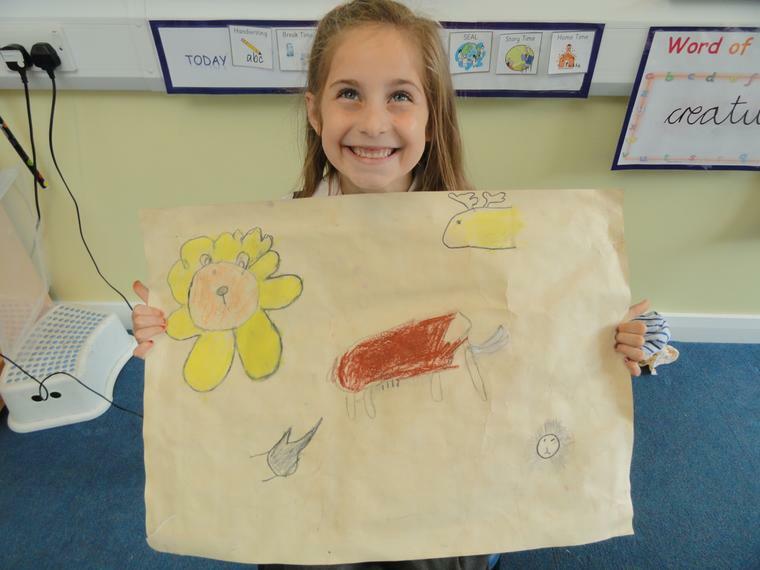 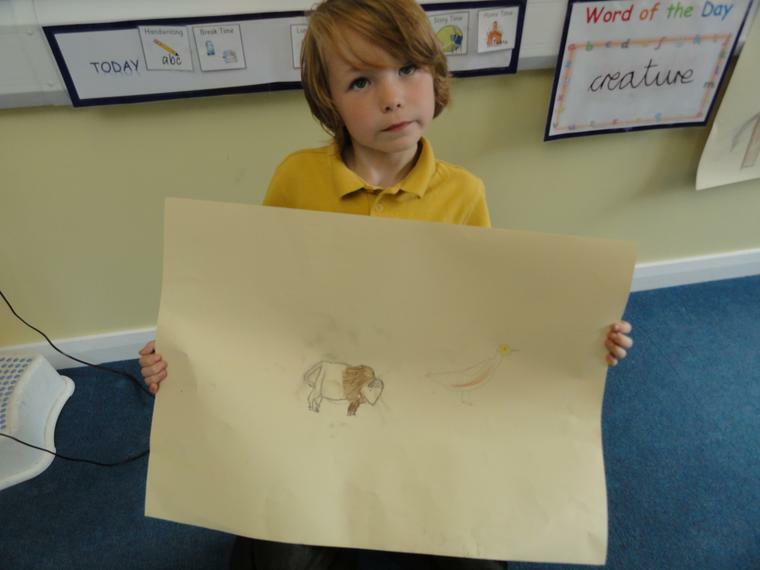 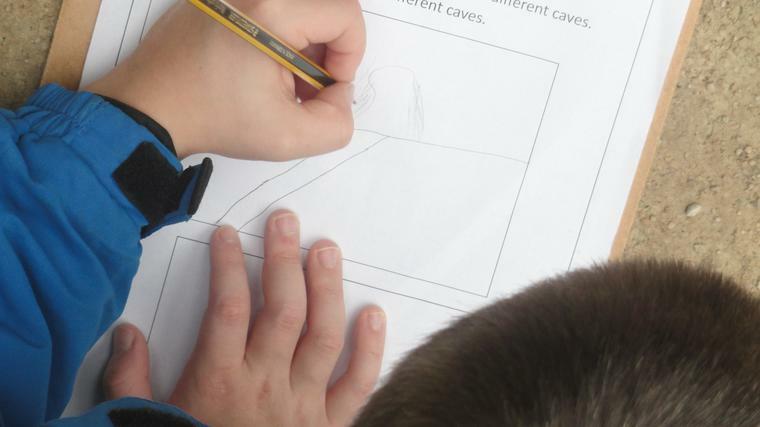 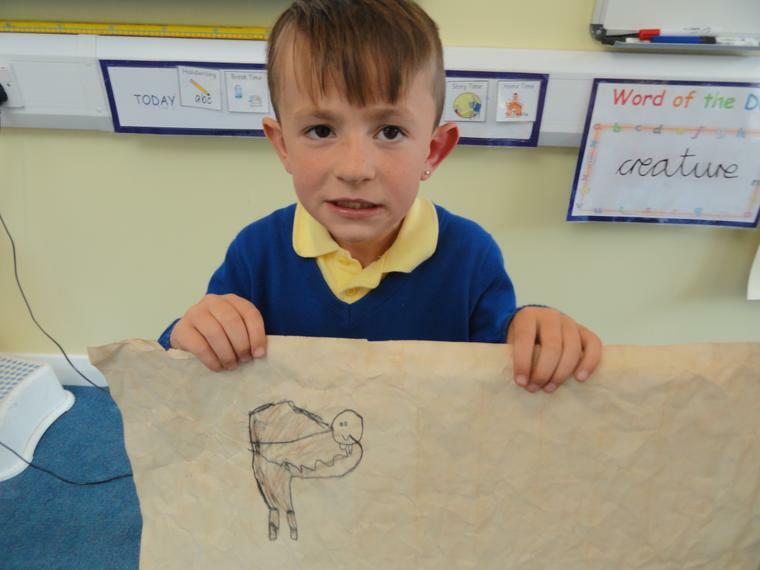 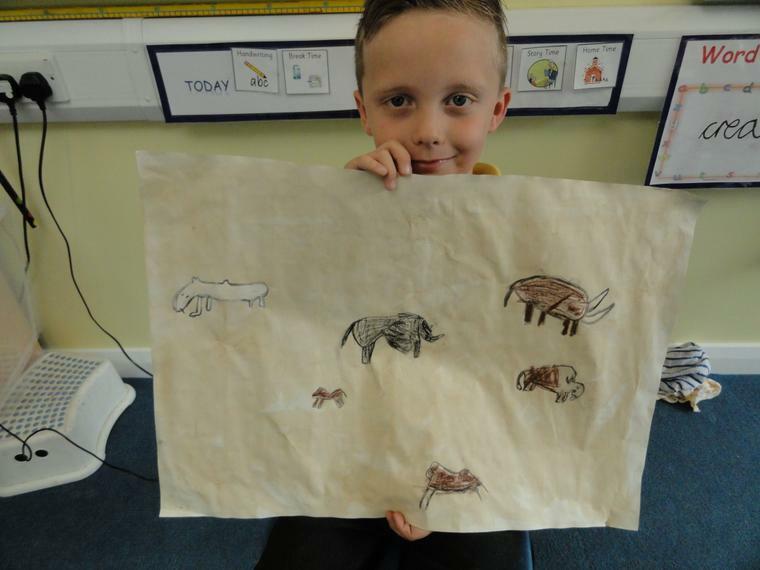 We wrote some great Stone Age adventure stories. 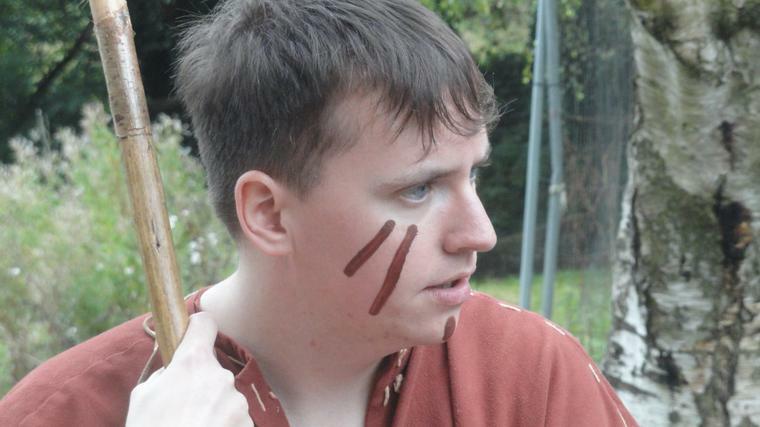 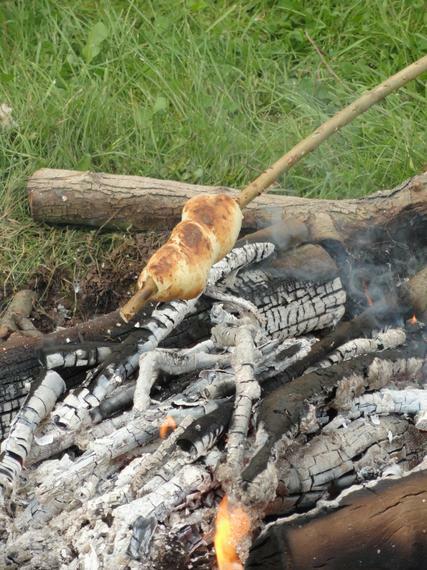 and how the Celts lived. 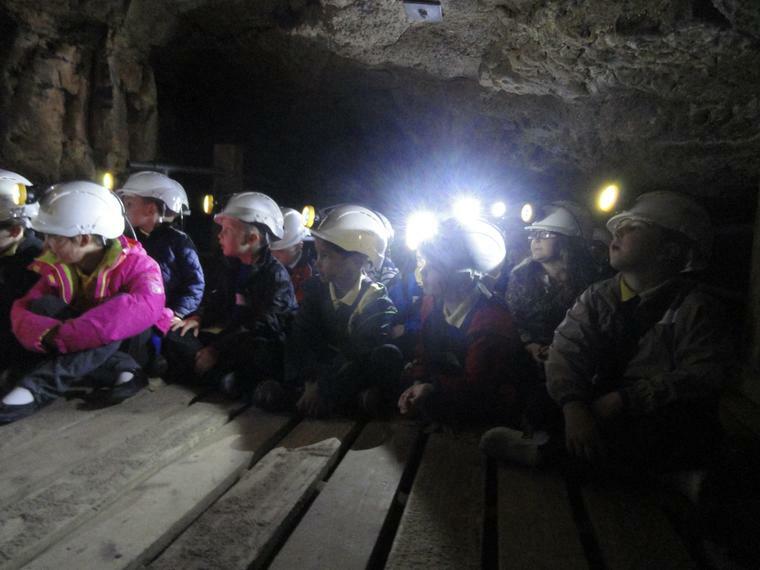 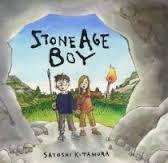 The Stone age Boy story. 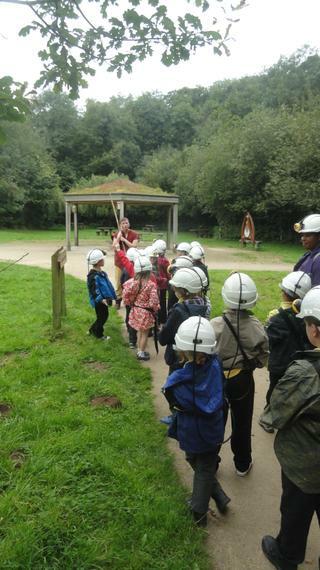 and had a fantastic day! 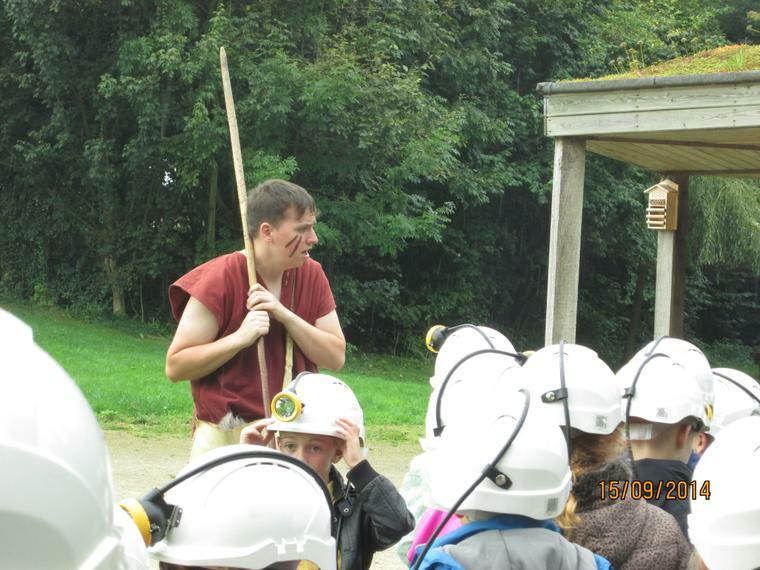 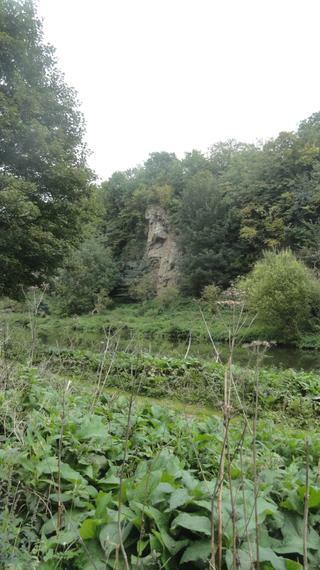 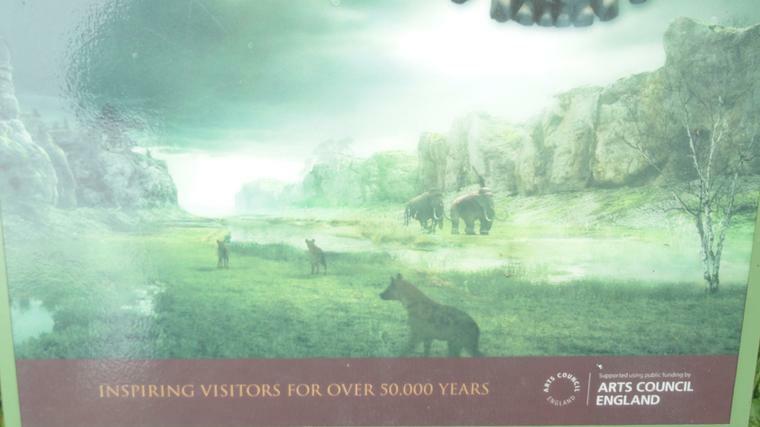 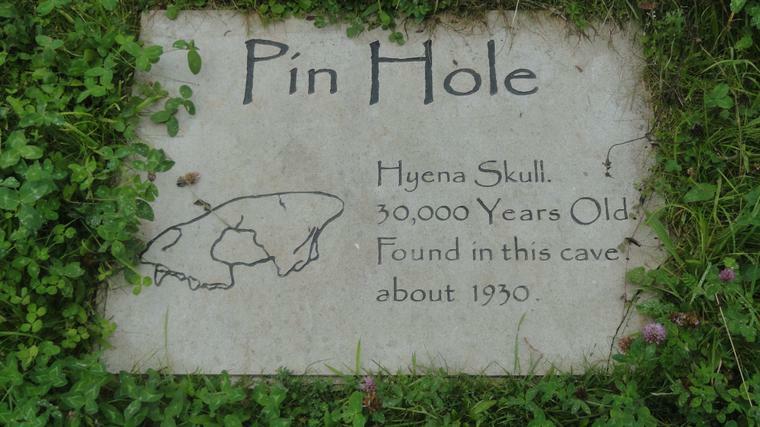 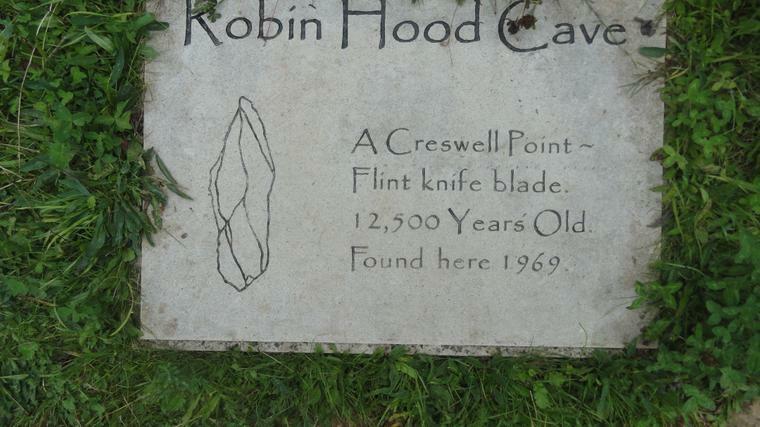 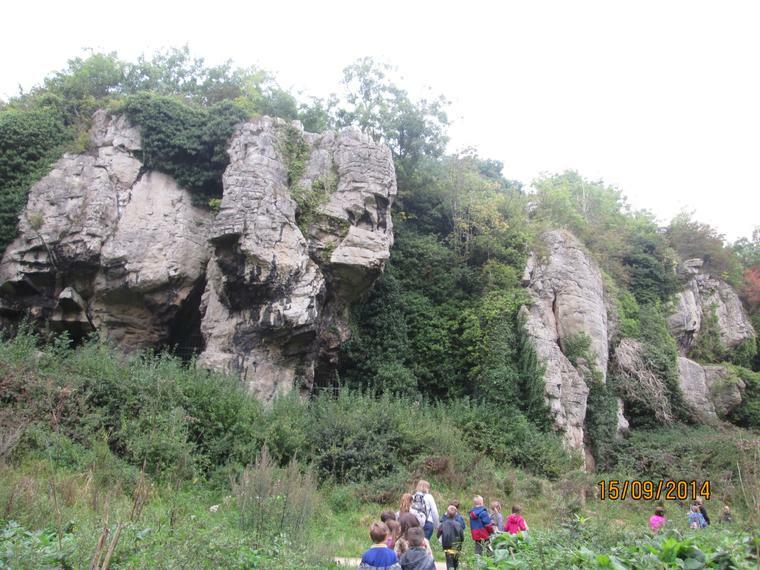 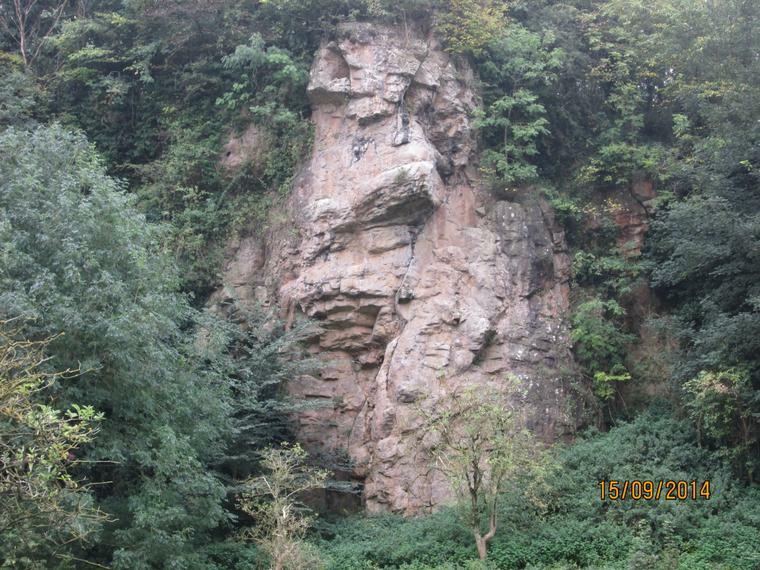 to find out more about the Stoneage. 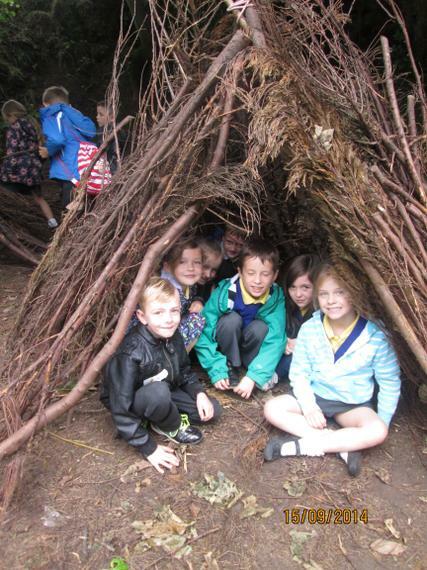 This term our topic is 'Buildings'. 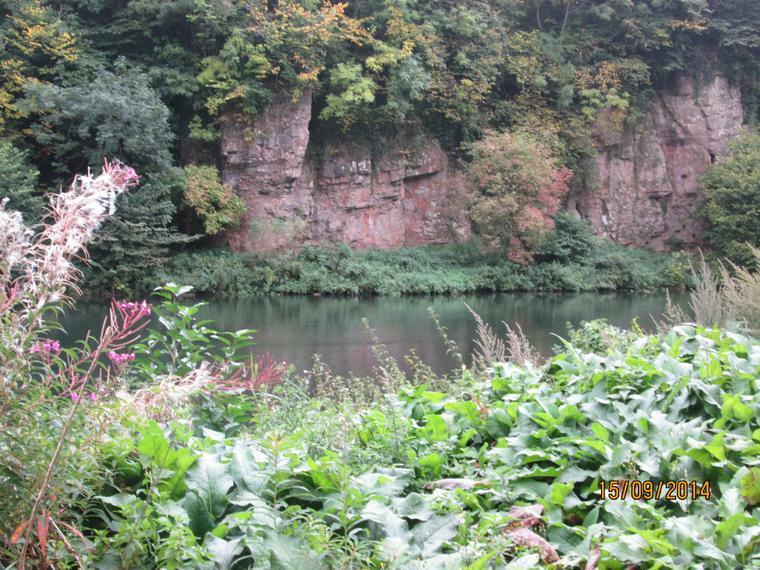 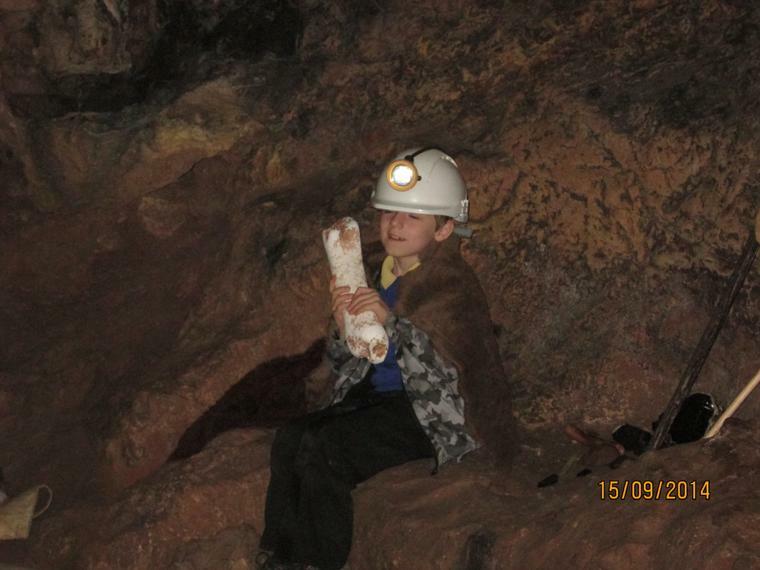 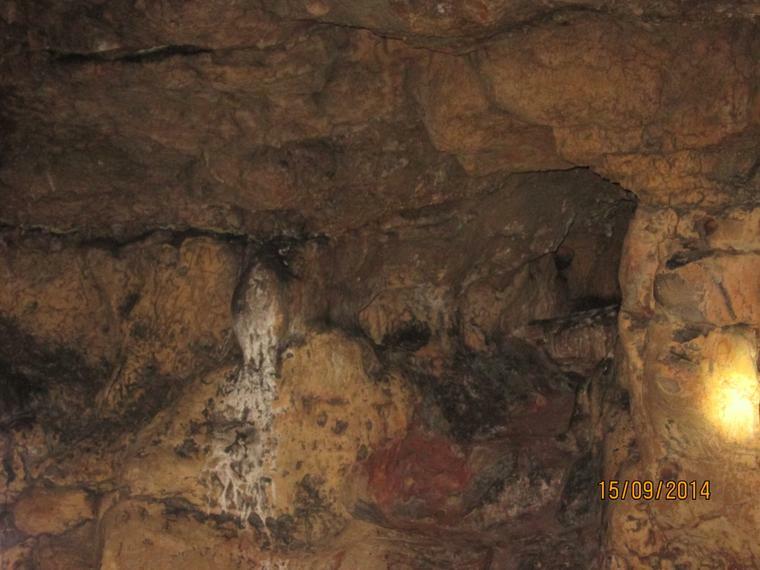 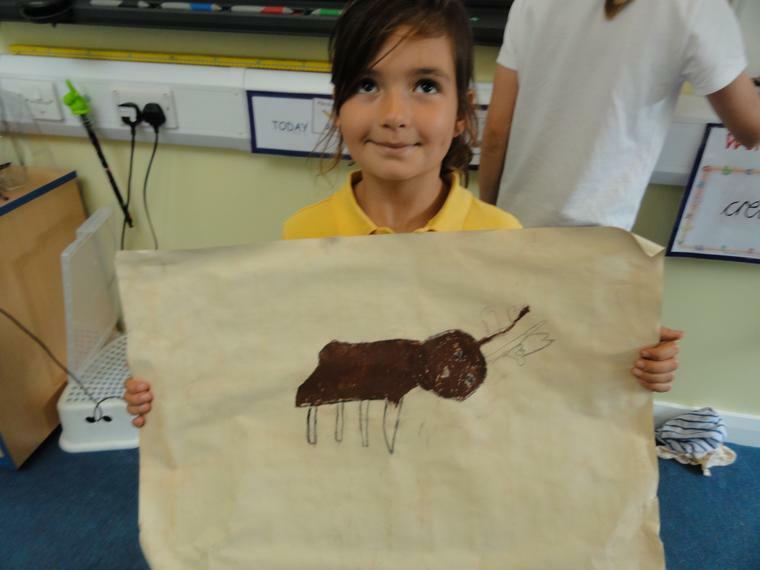 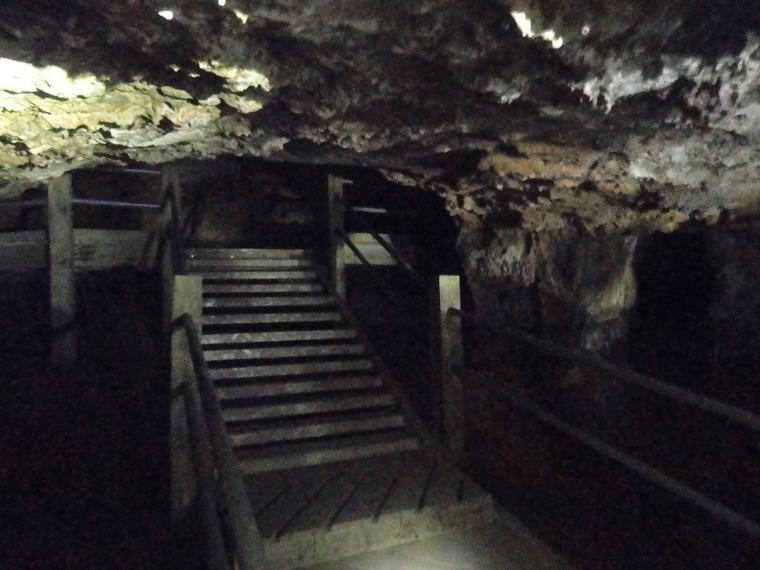 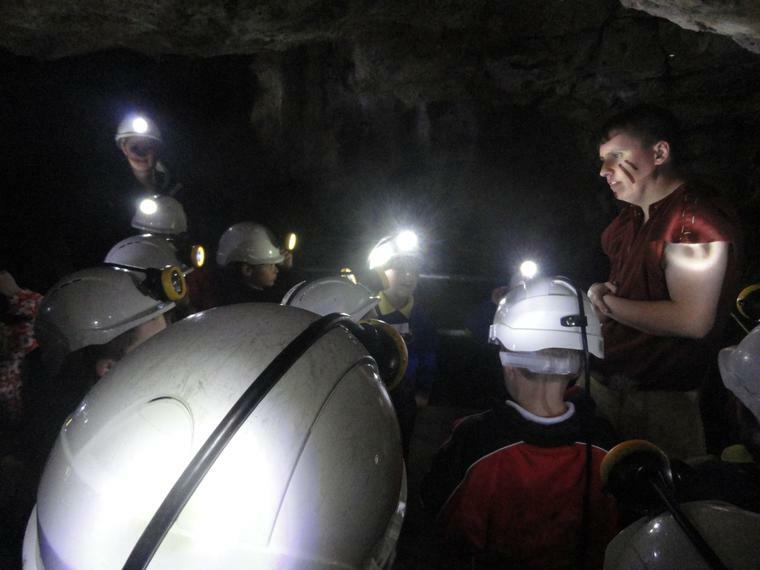 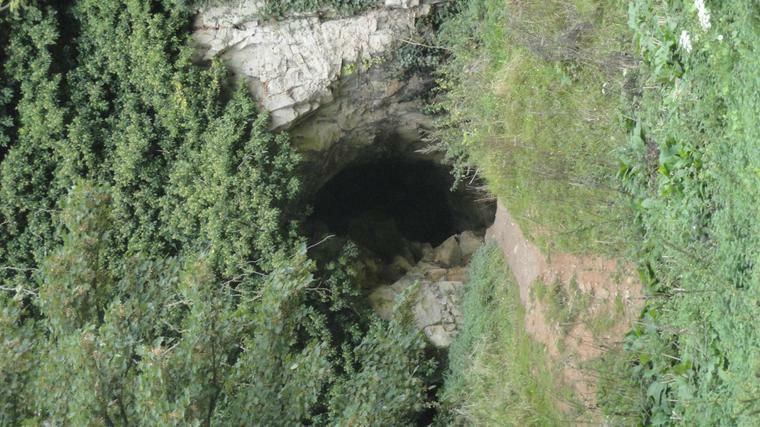 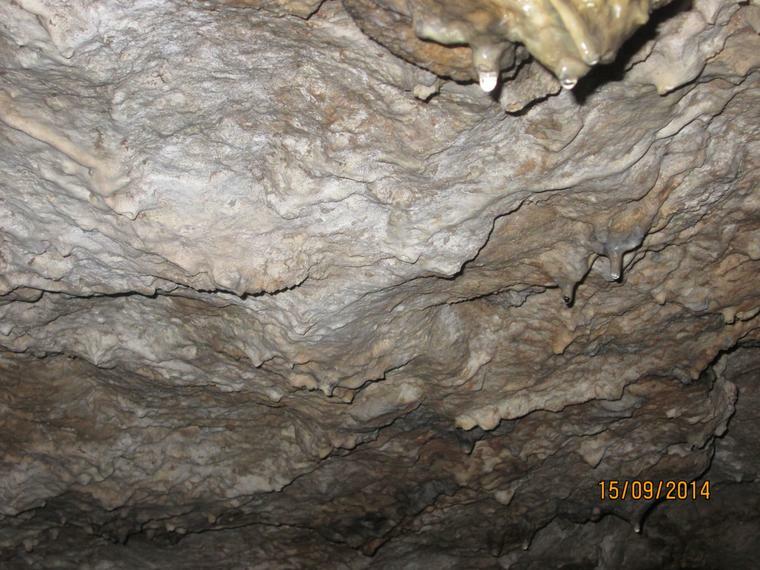 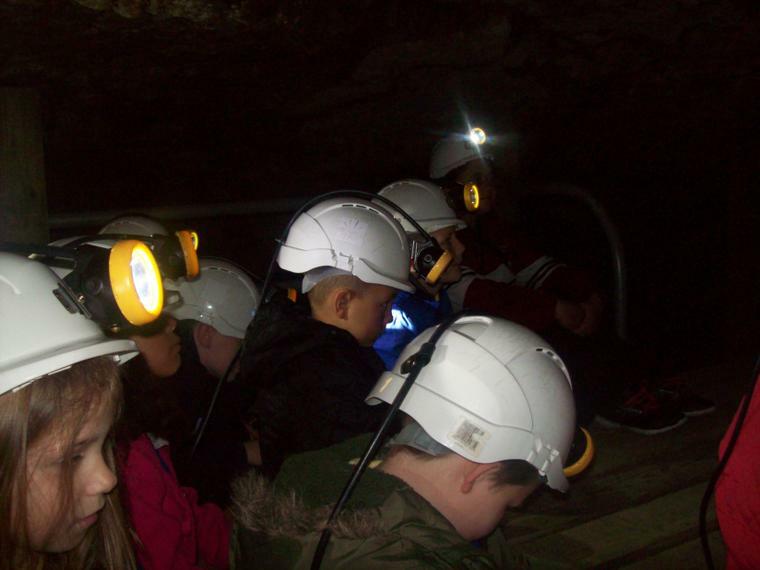 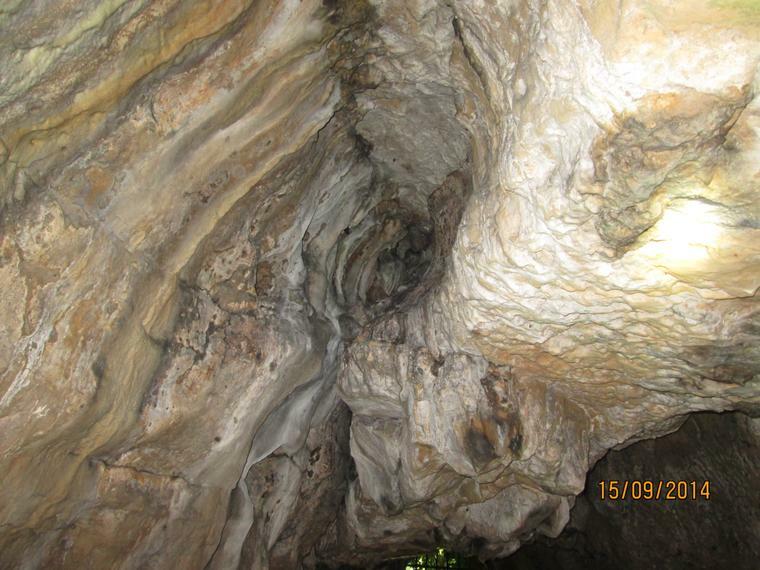 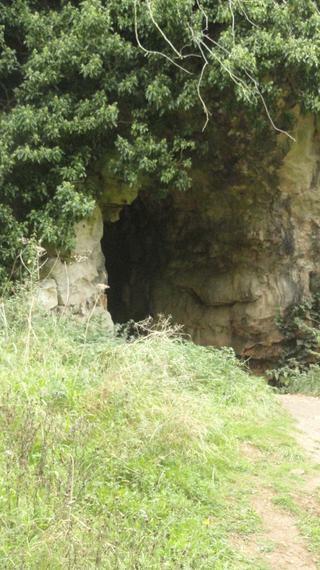 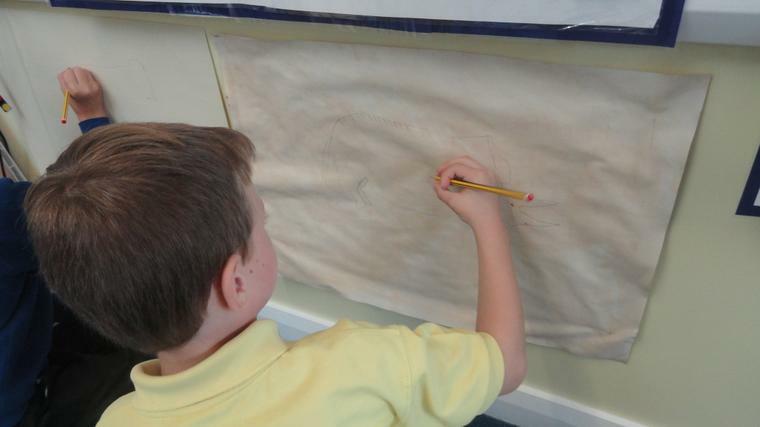 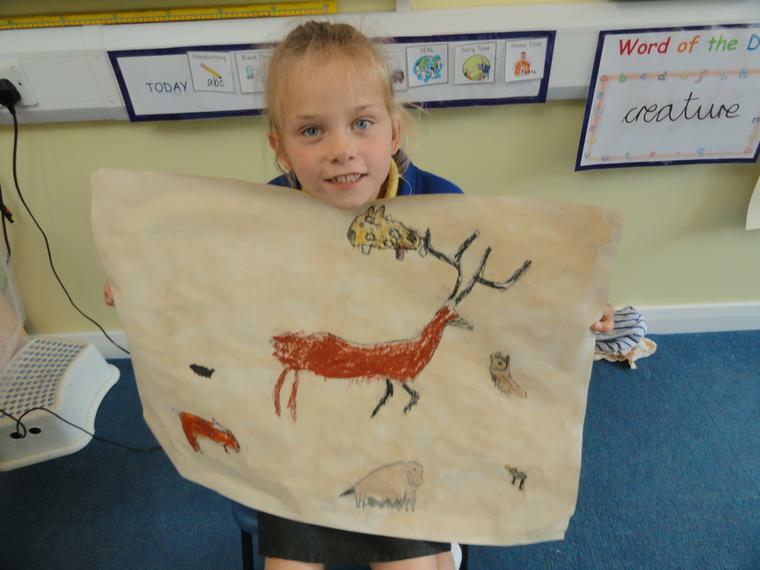 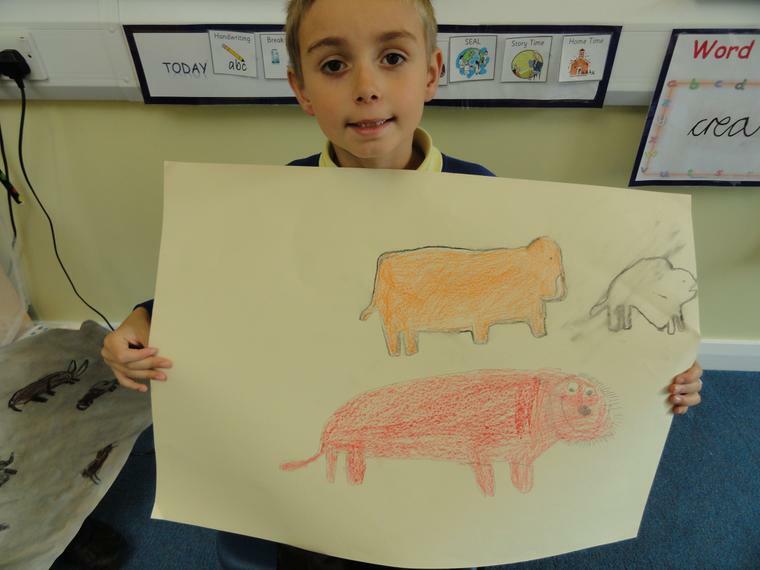 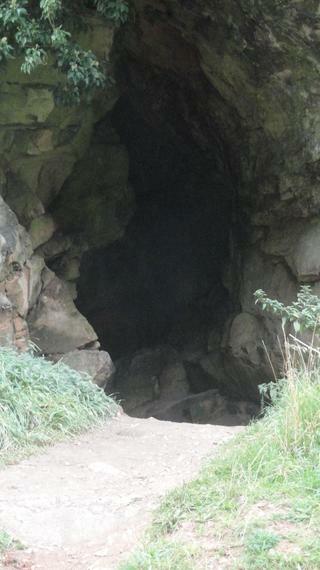 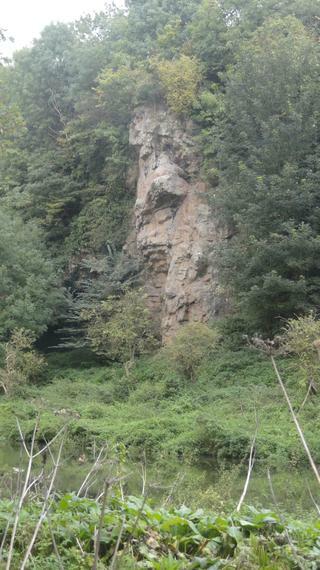 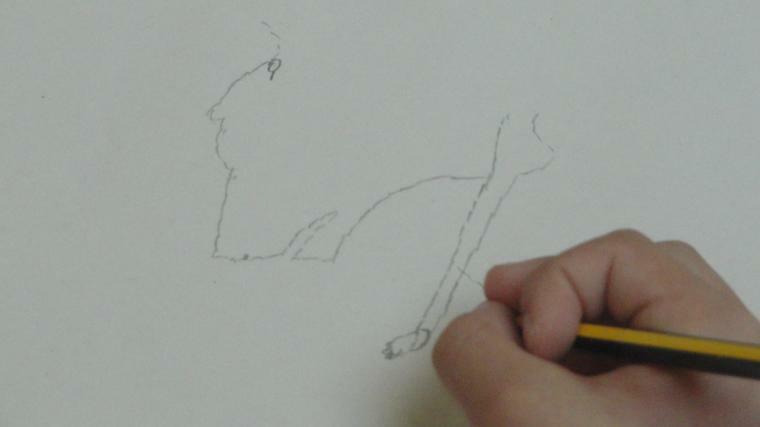 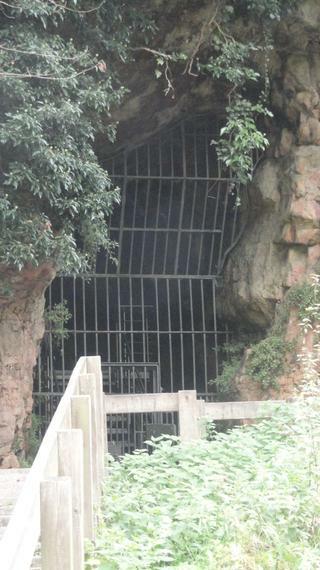 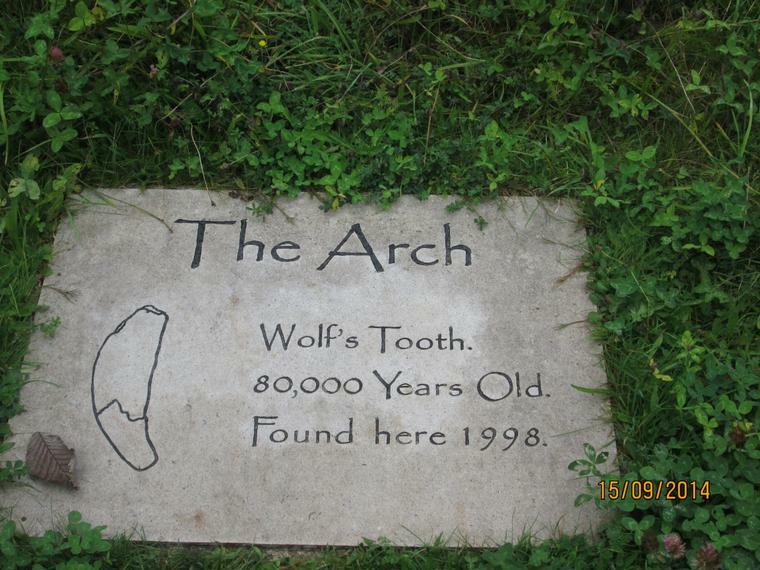 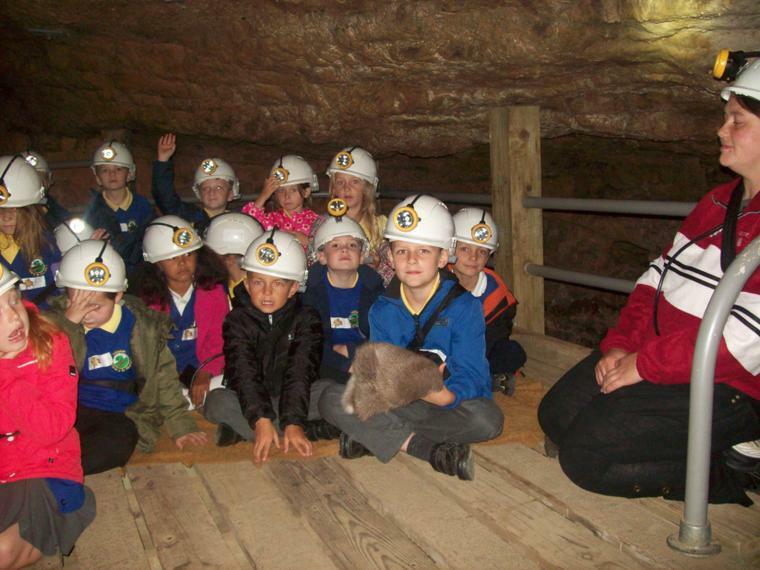 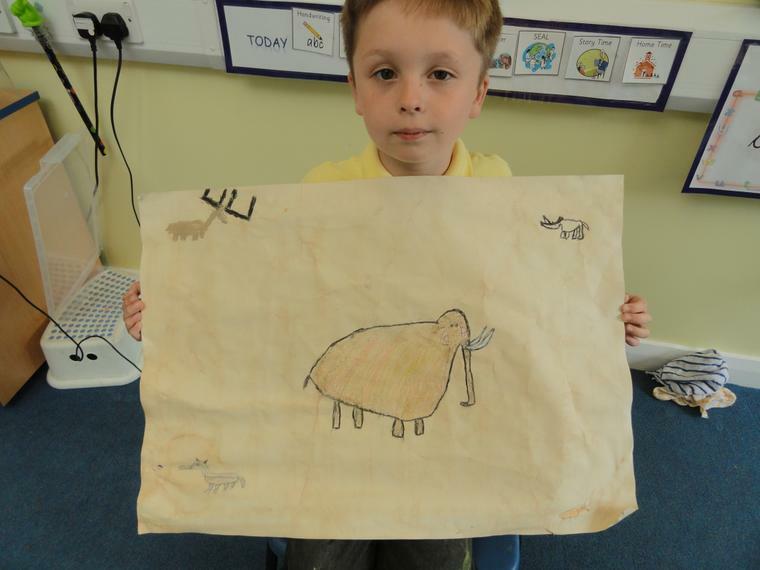 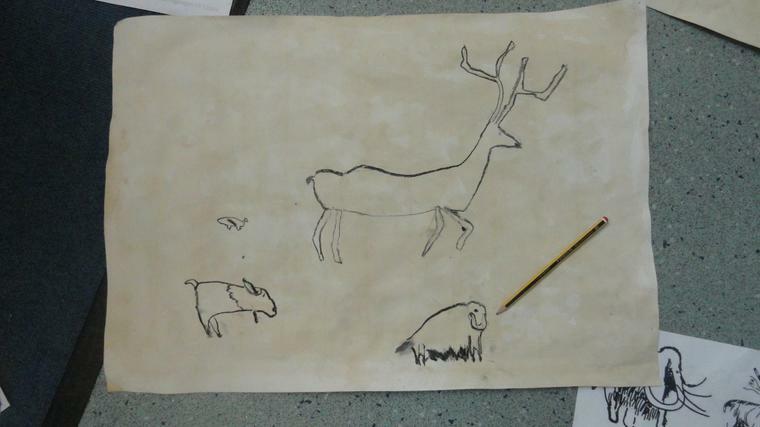 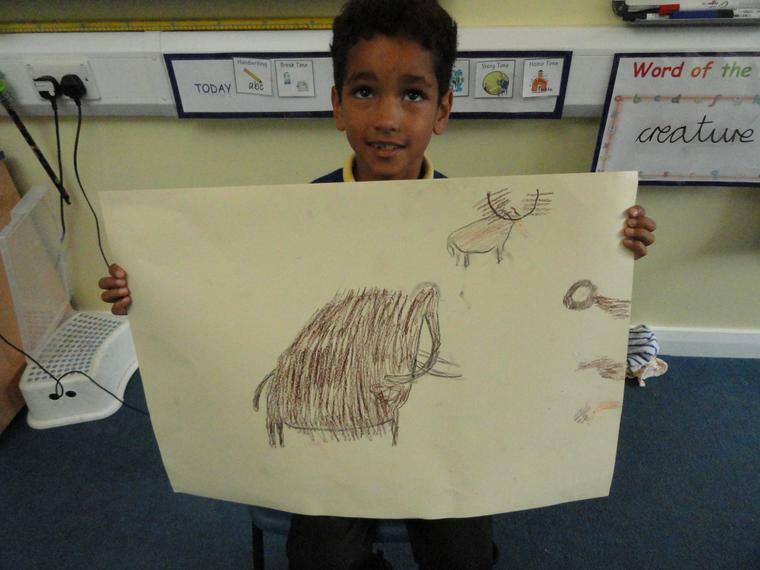 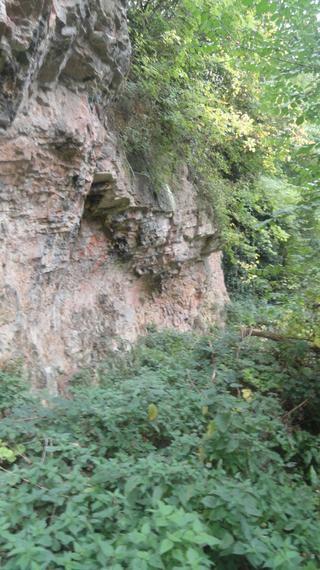 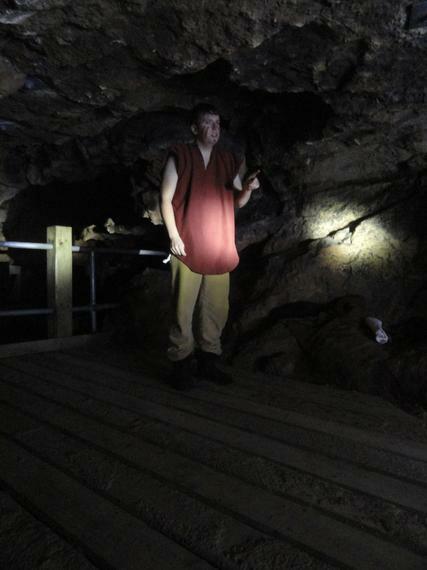 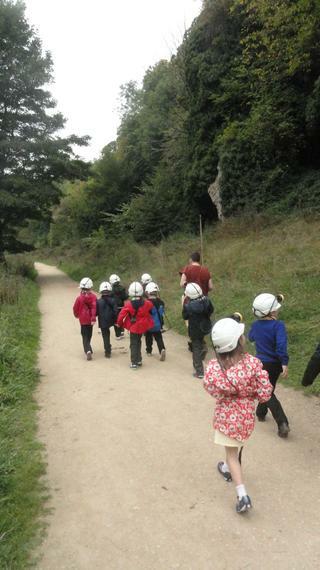 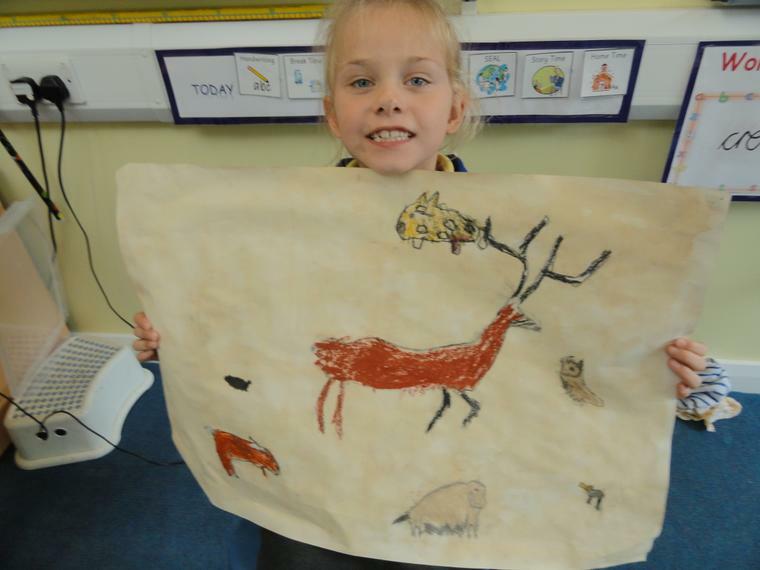 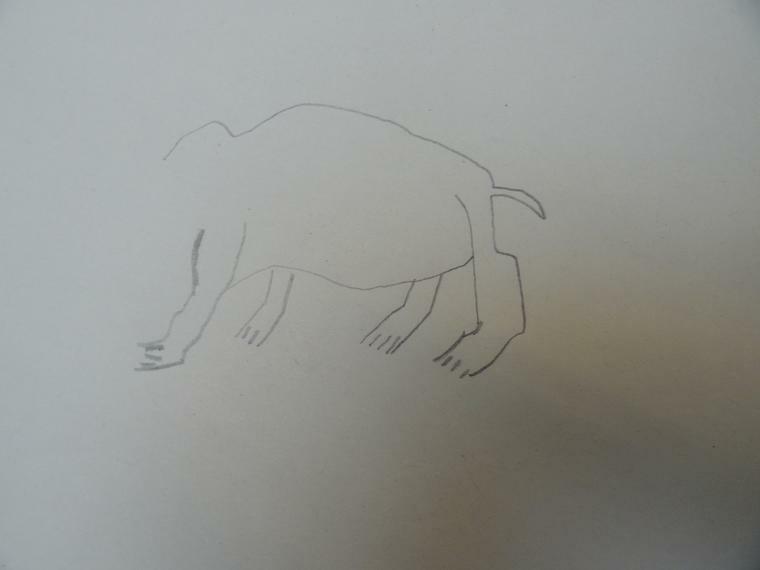 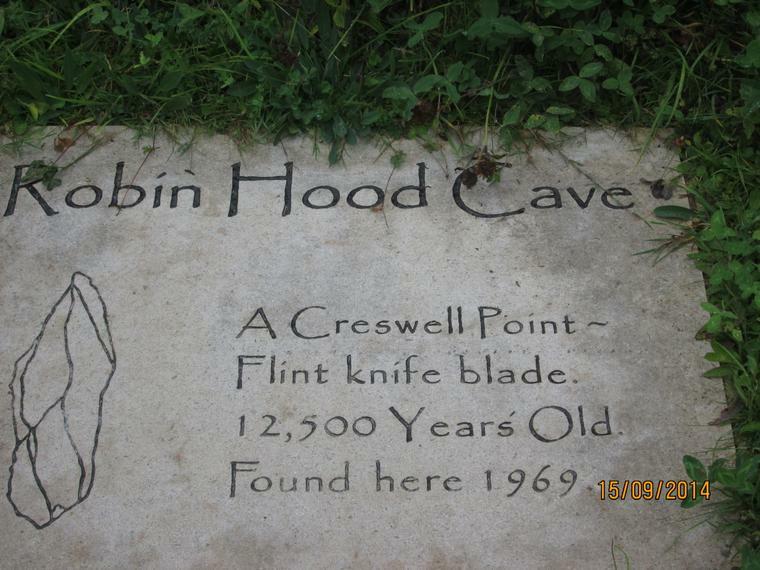 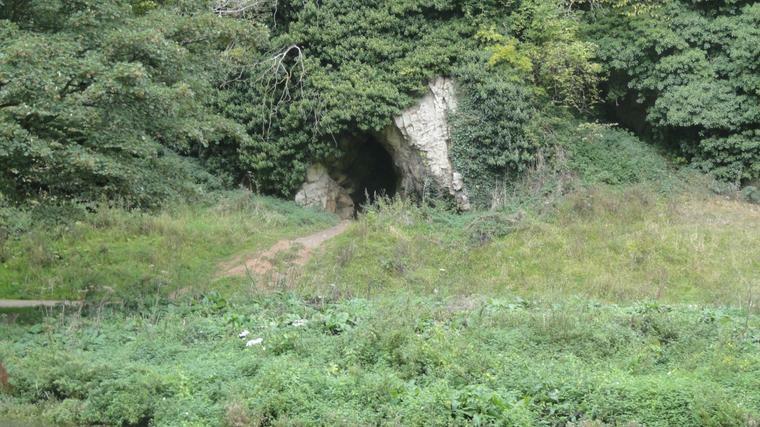 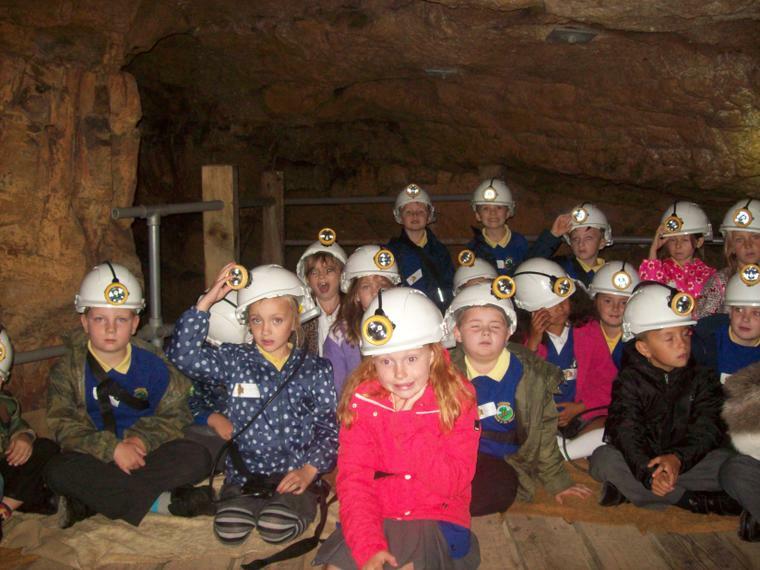 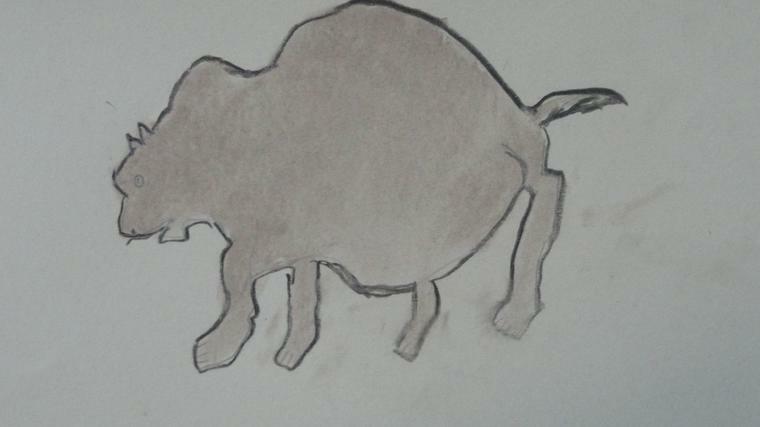 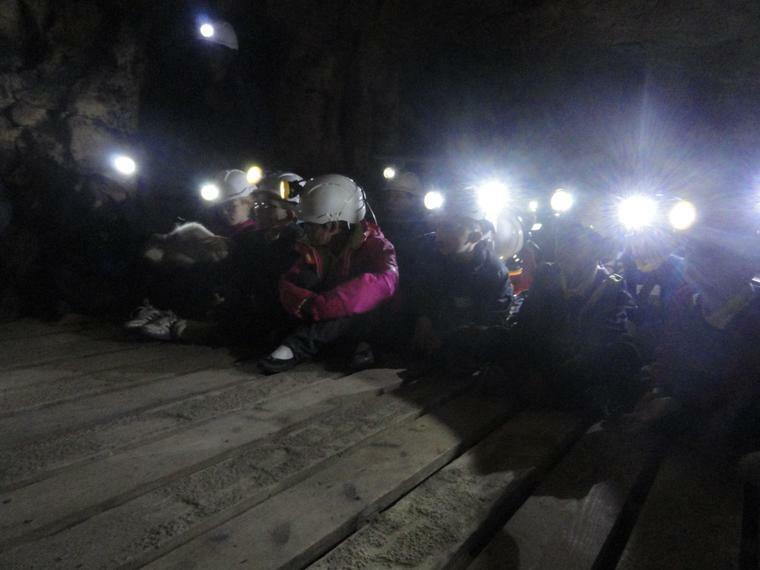 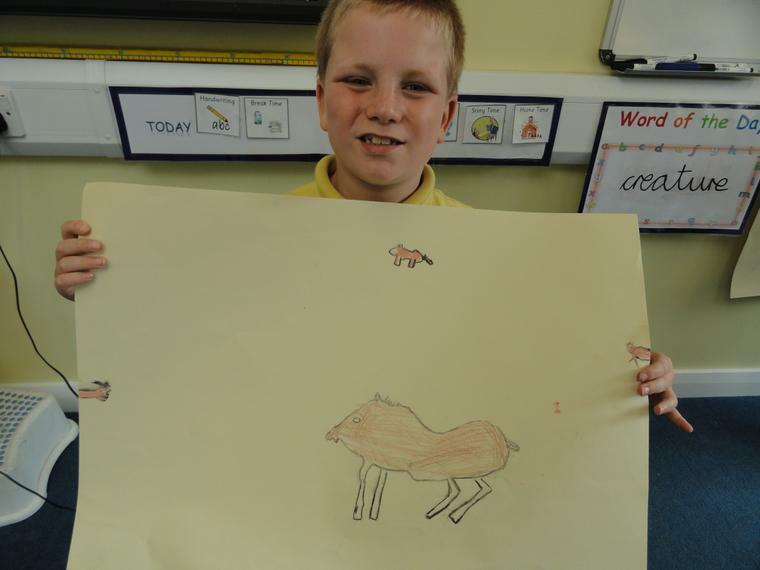 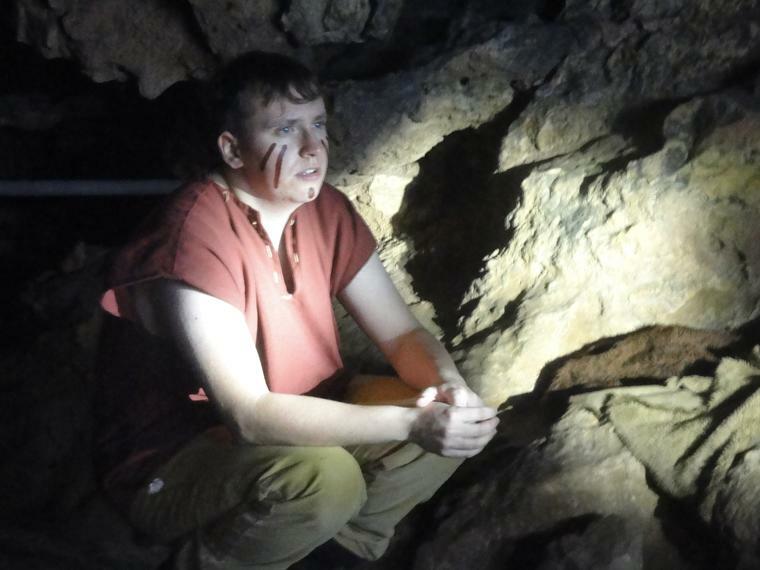 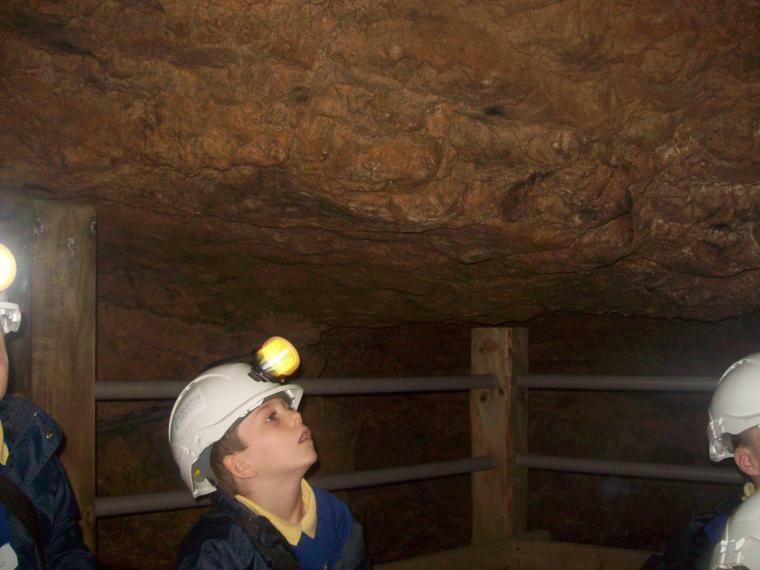 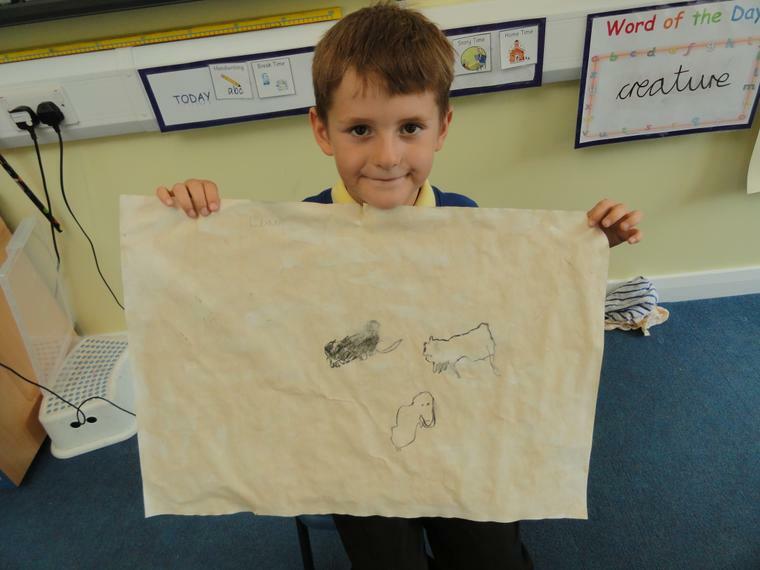 and look out for our cave art!